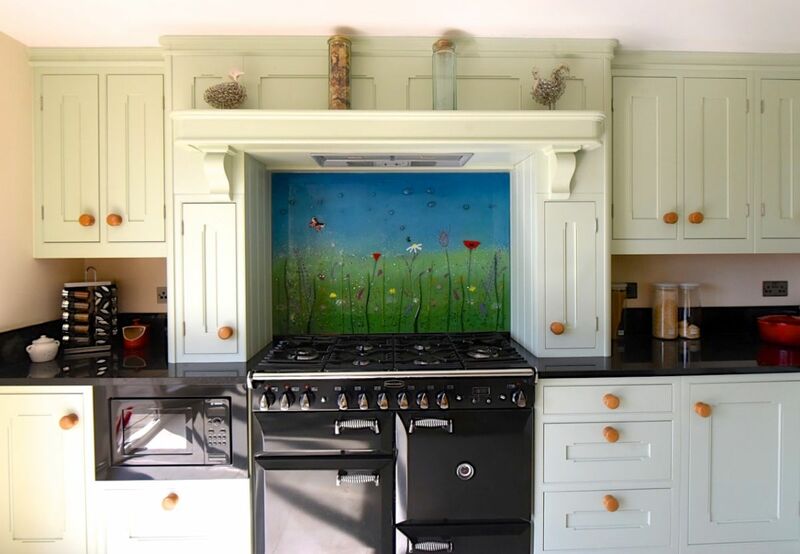 Is there an empty space behind the cooker that’s just dying to be decorated? 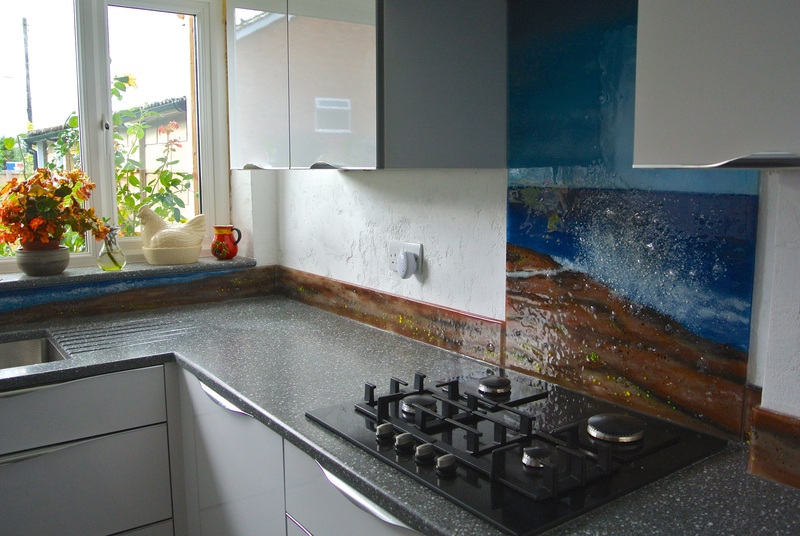 Is the back of your kitchen looking just a little bit too bare as it is right now? 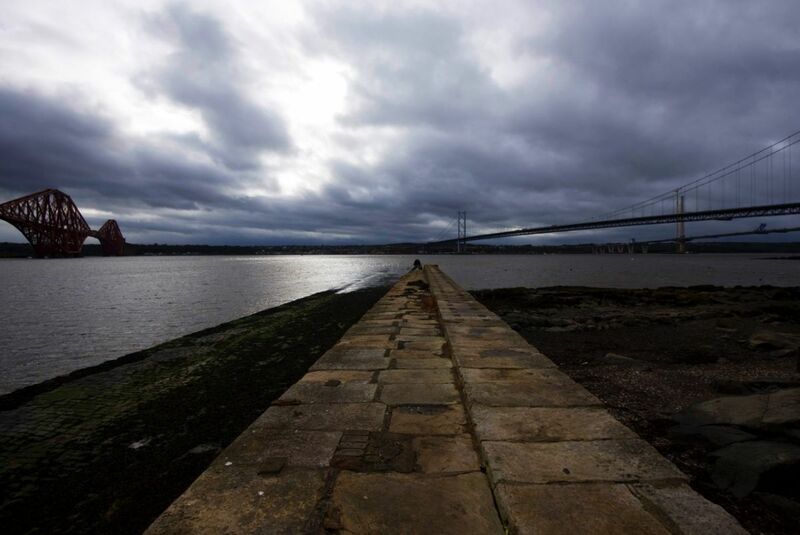 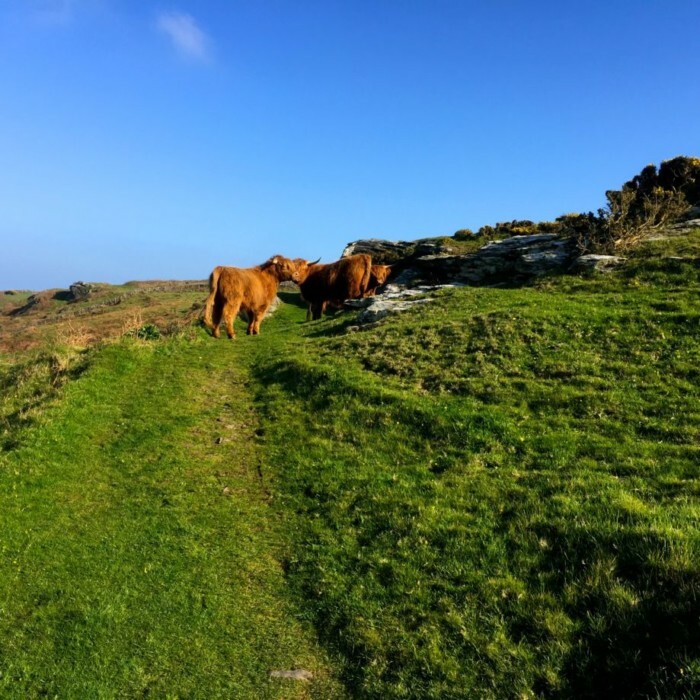 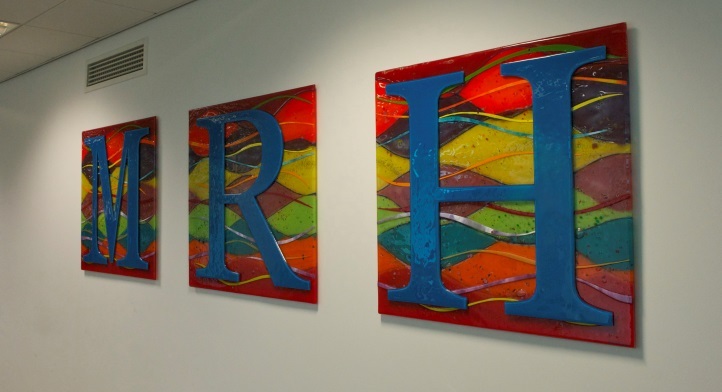 If either of those questions apply to you, then you’re certainly in the right place. 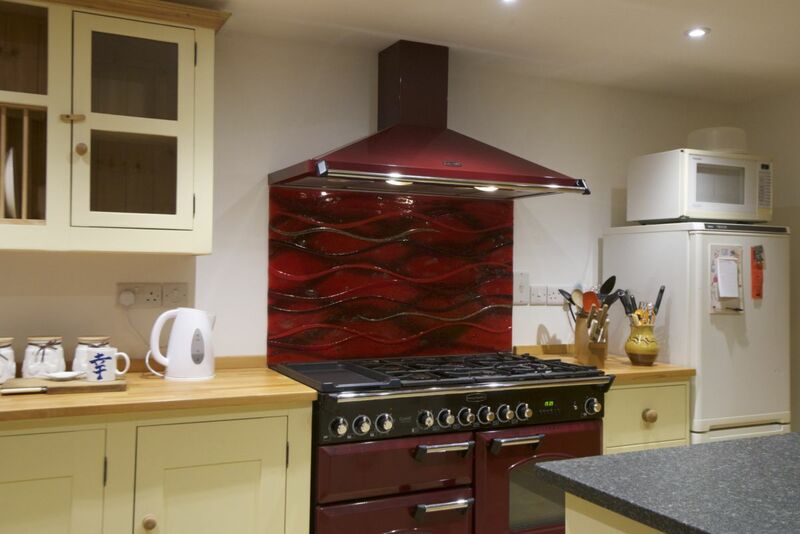 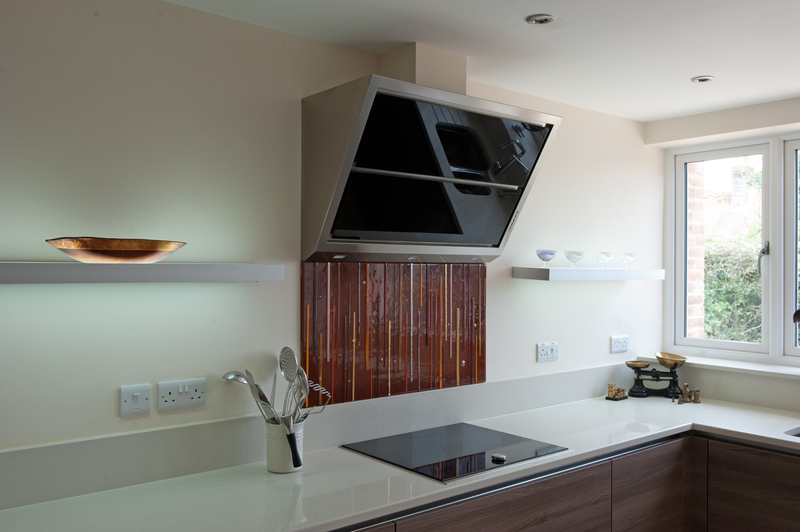 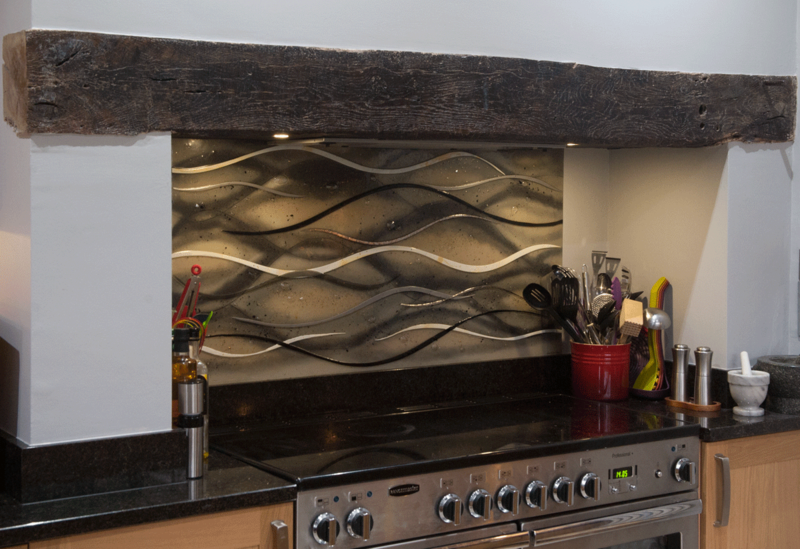 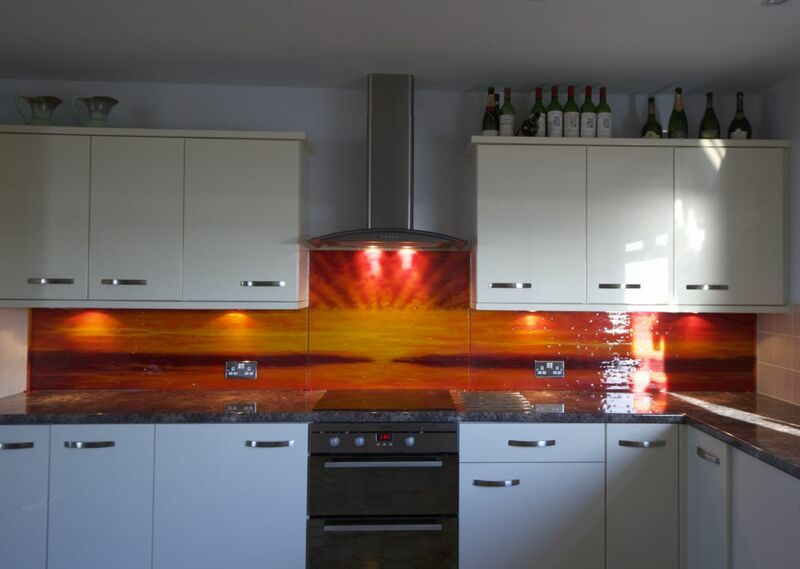 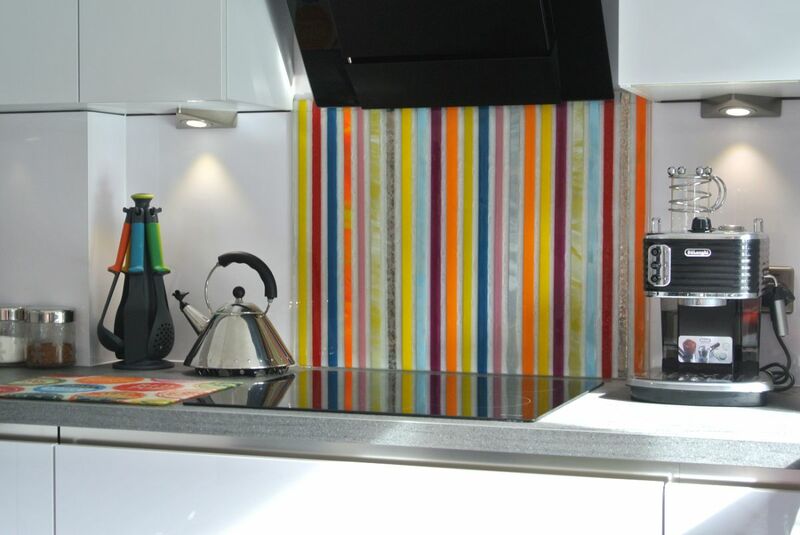 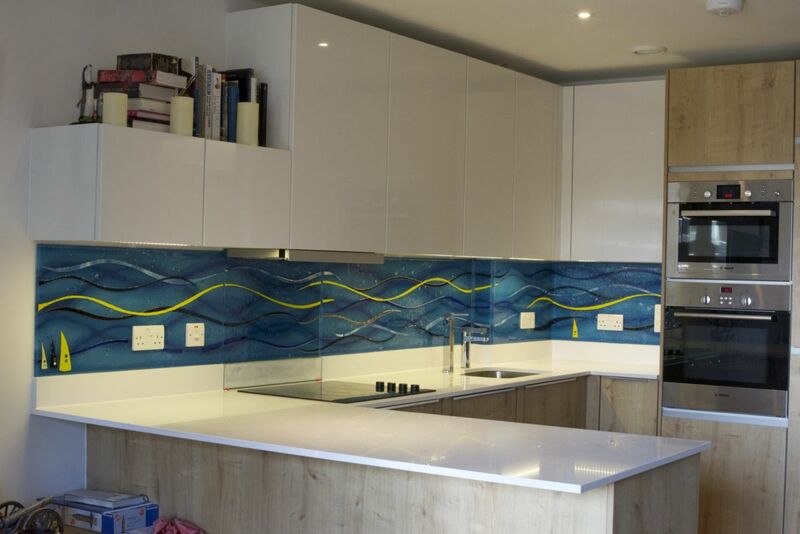 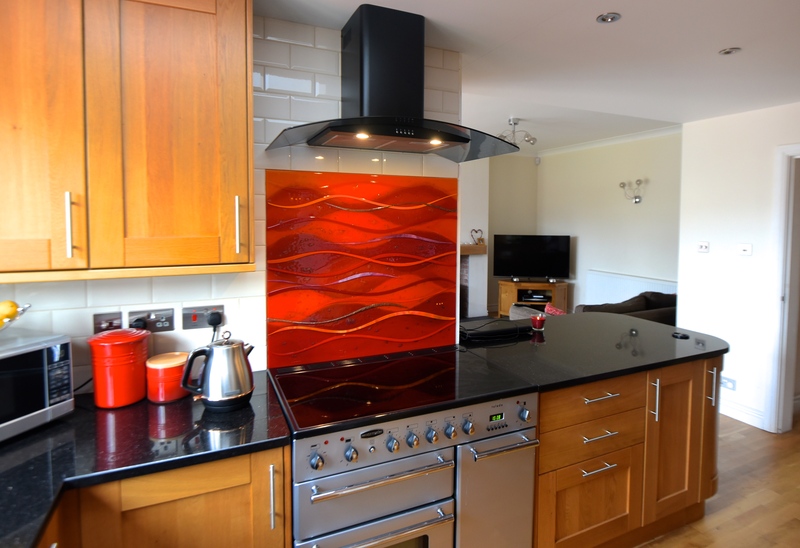 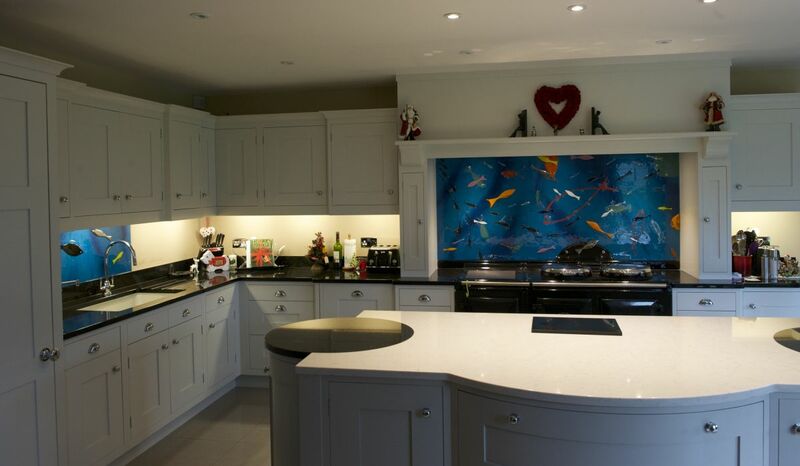 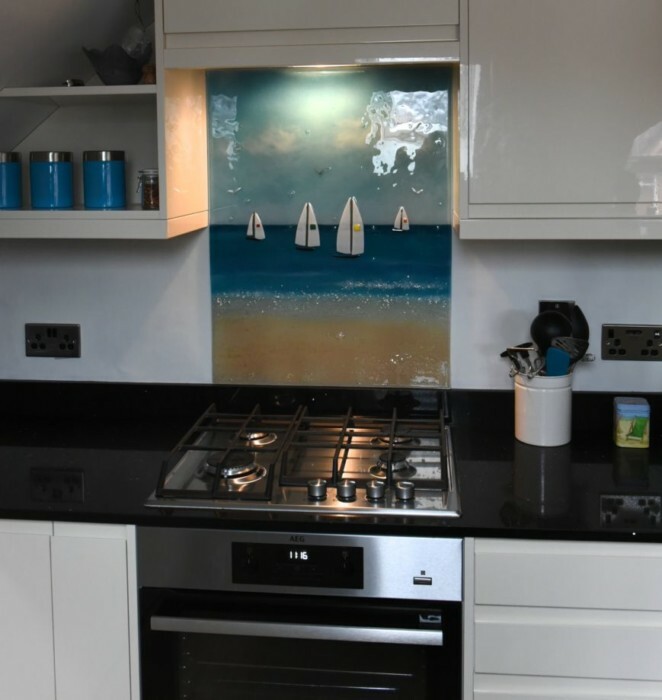 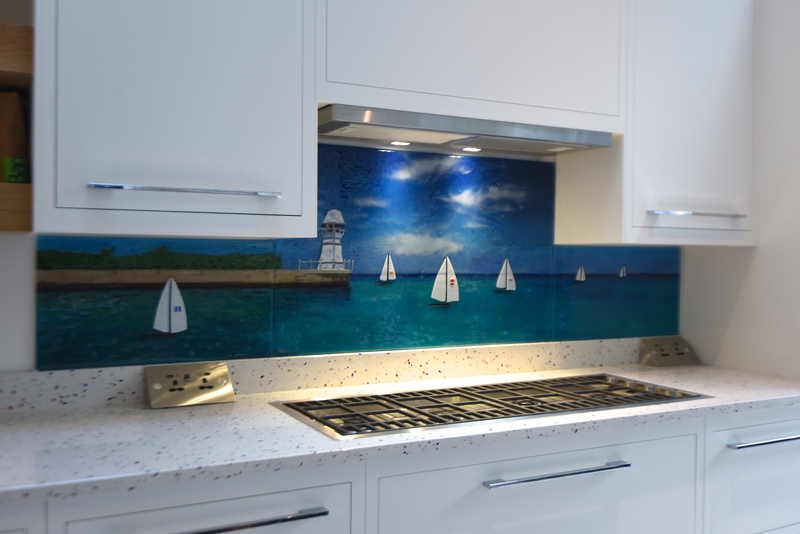 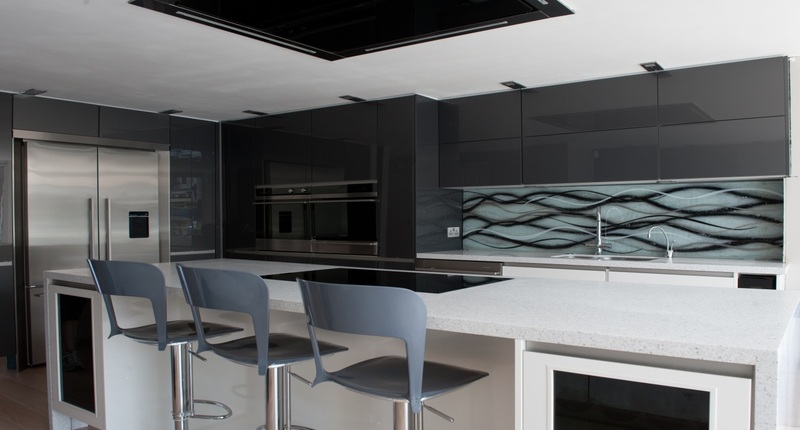 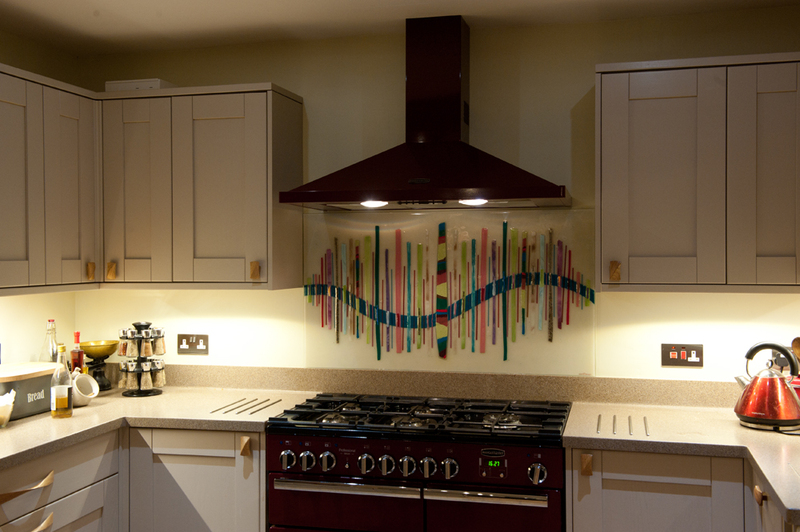 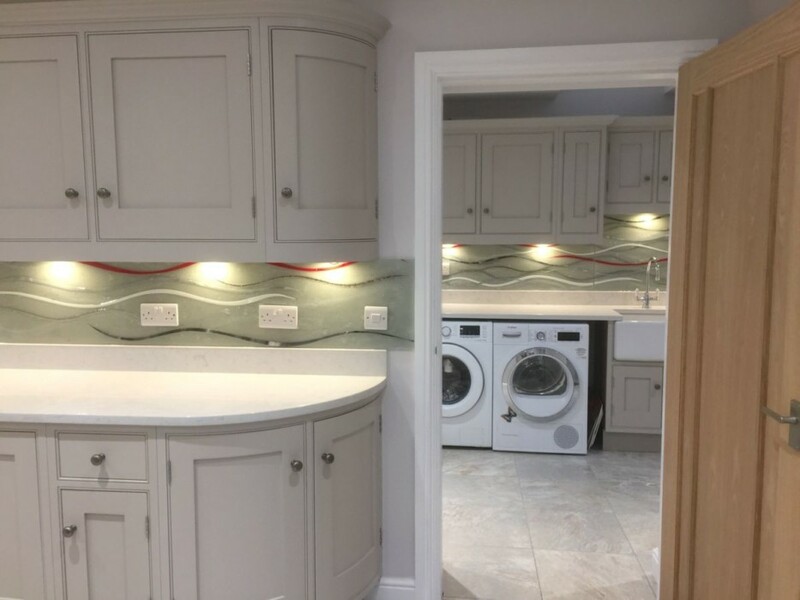 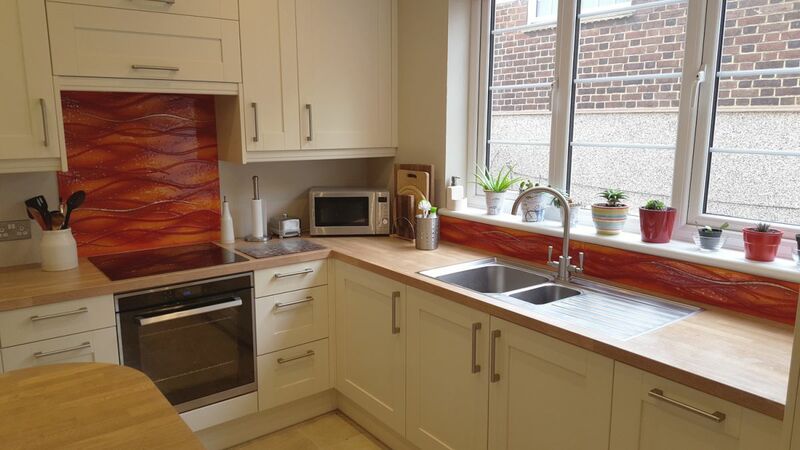 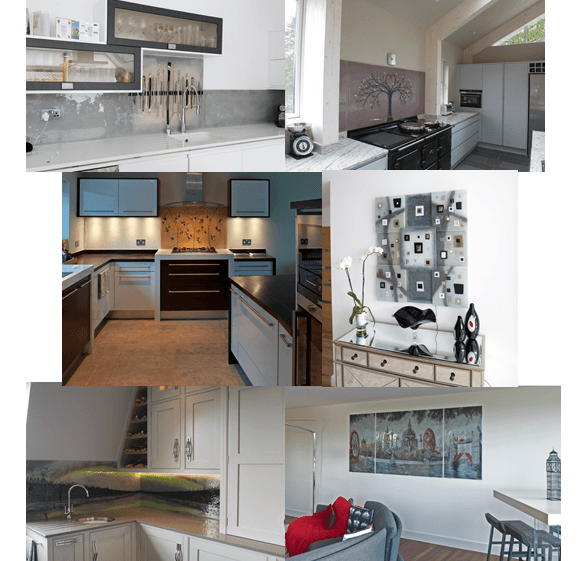 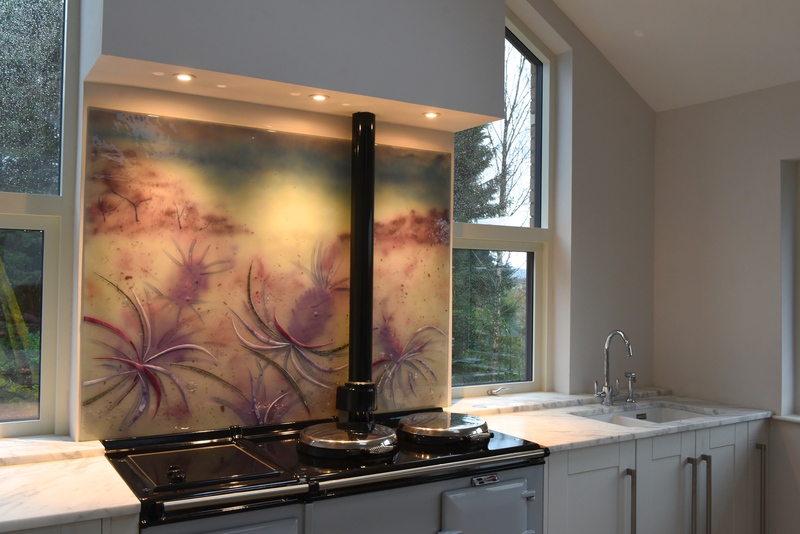 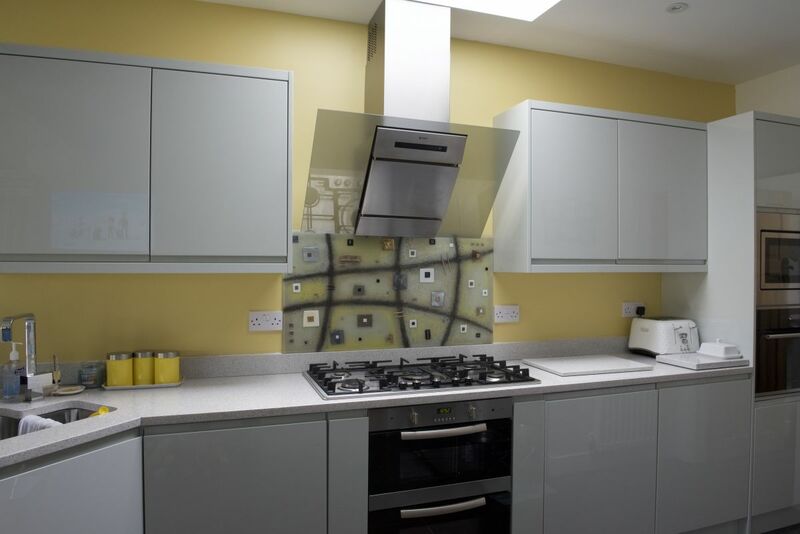 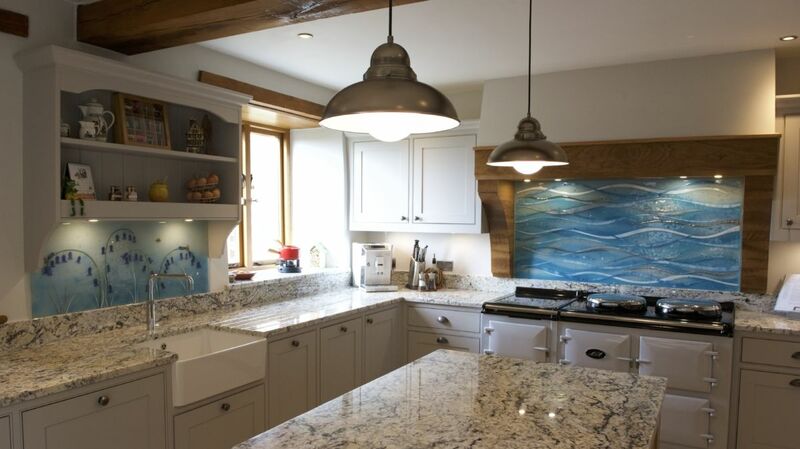 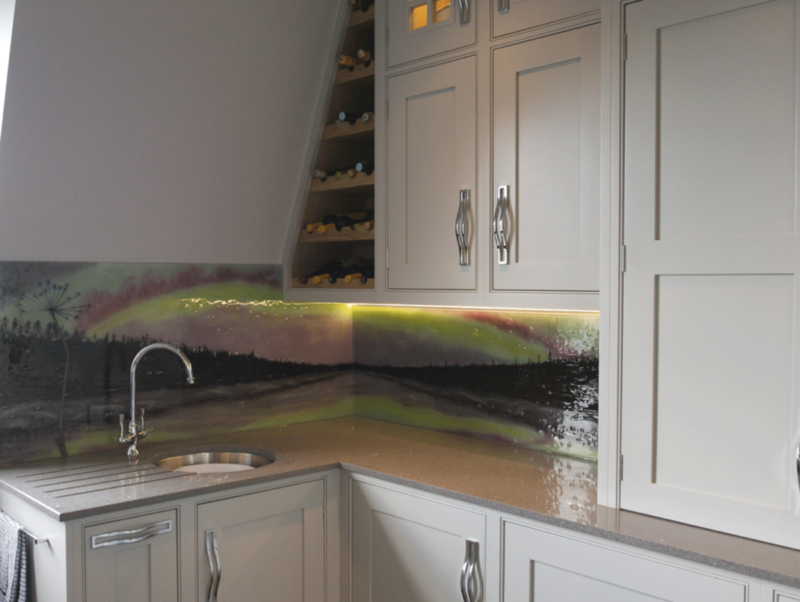 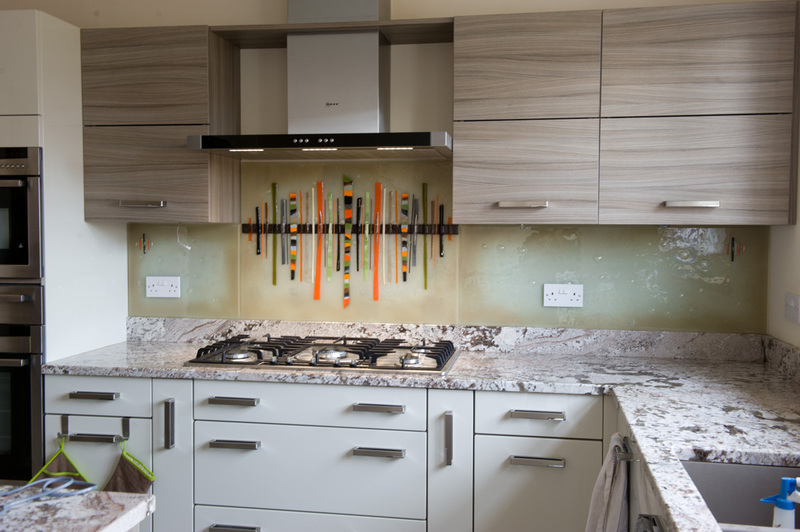 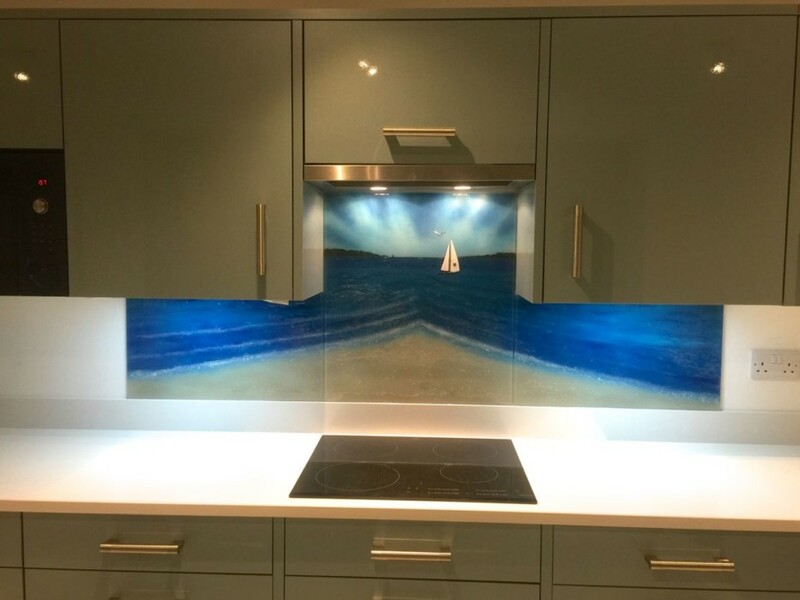 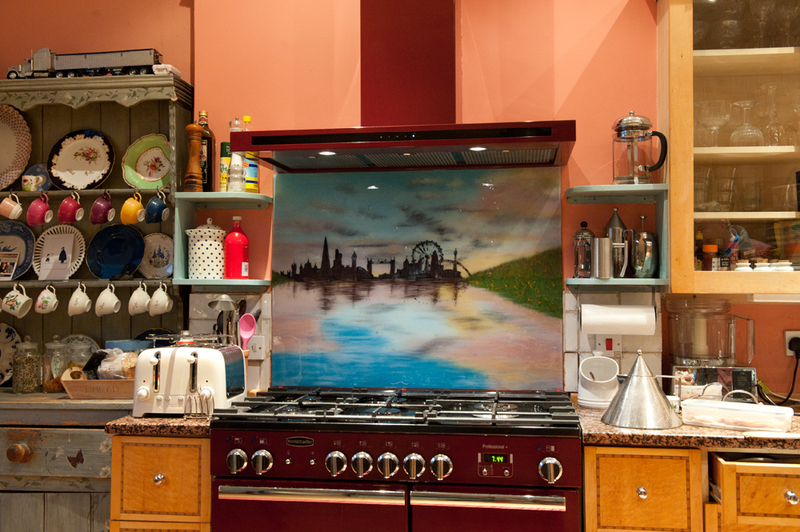 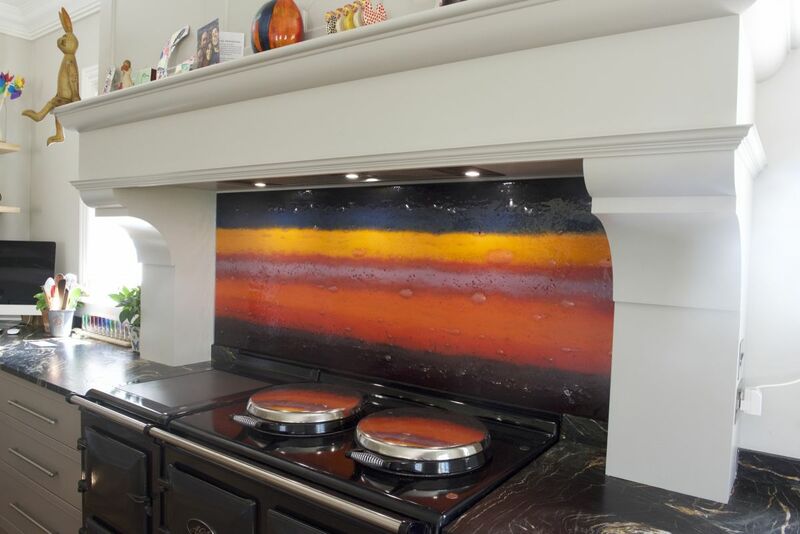 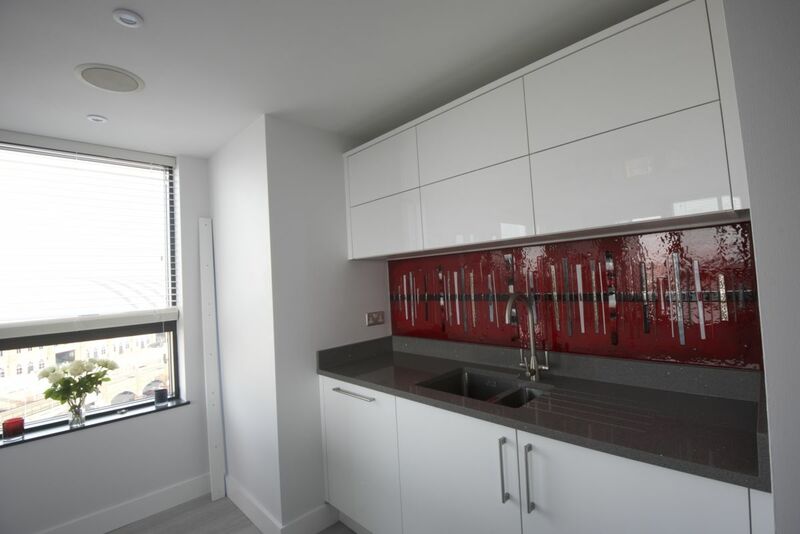 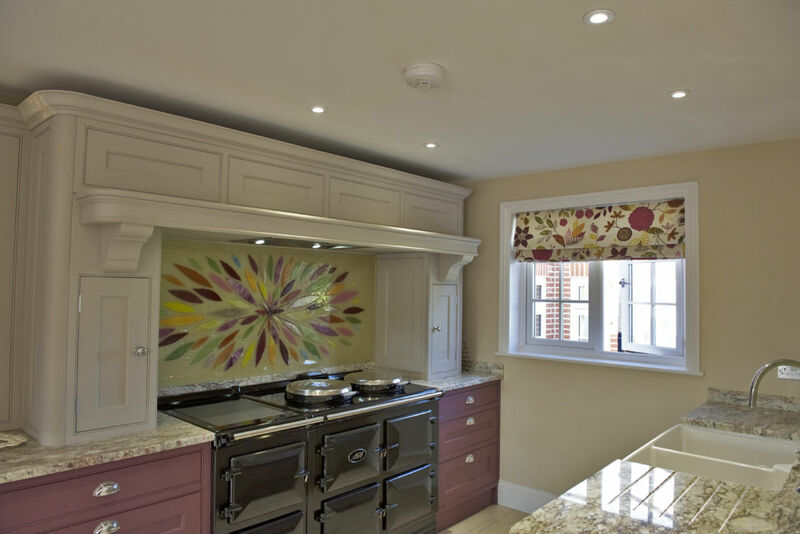 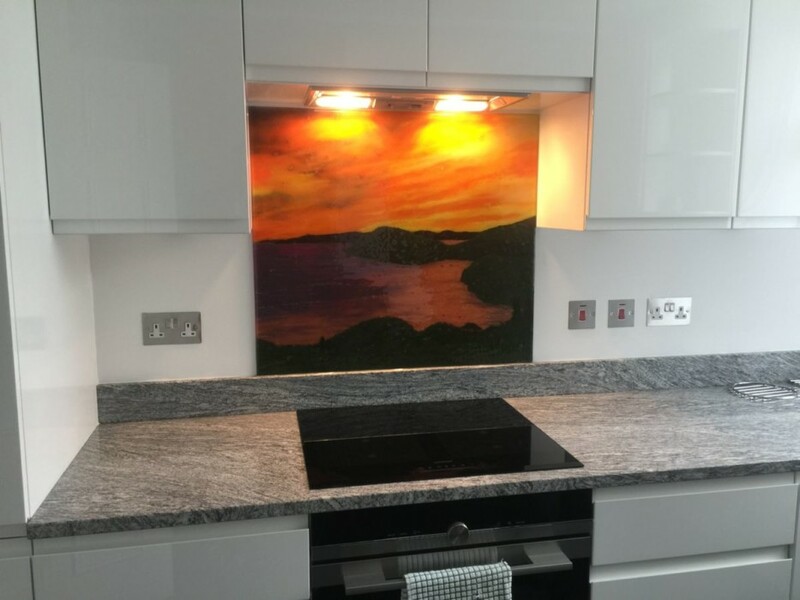 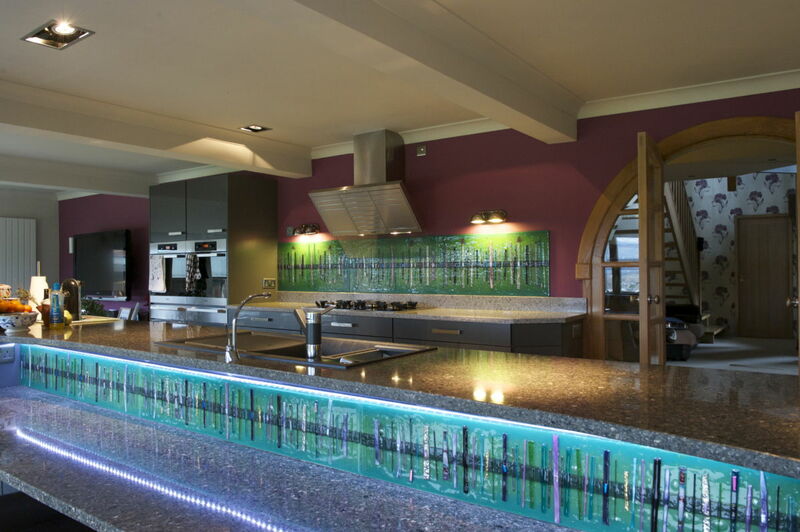 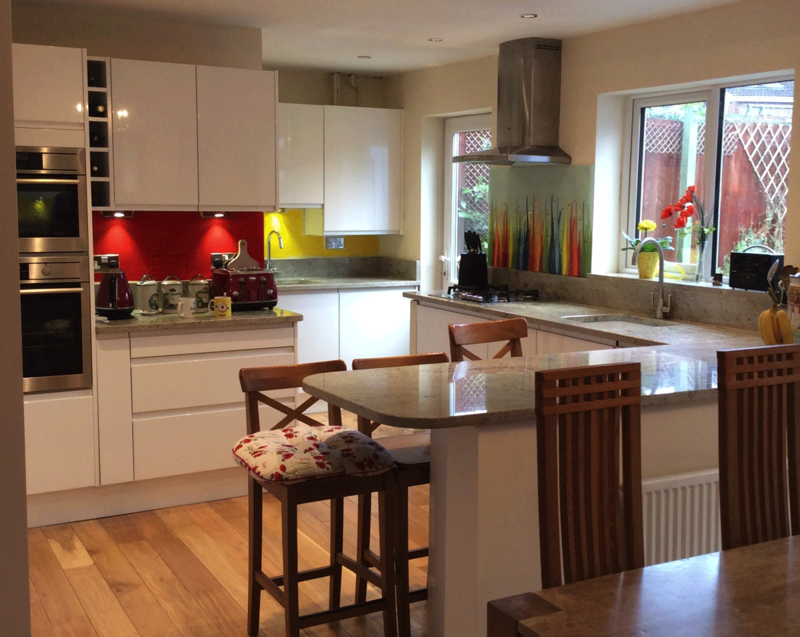 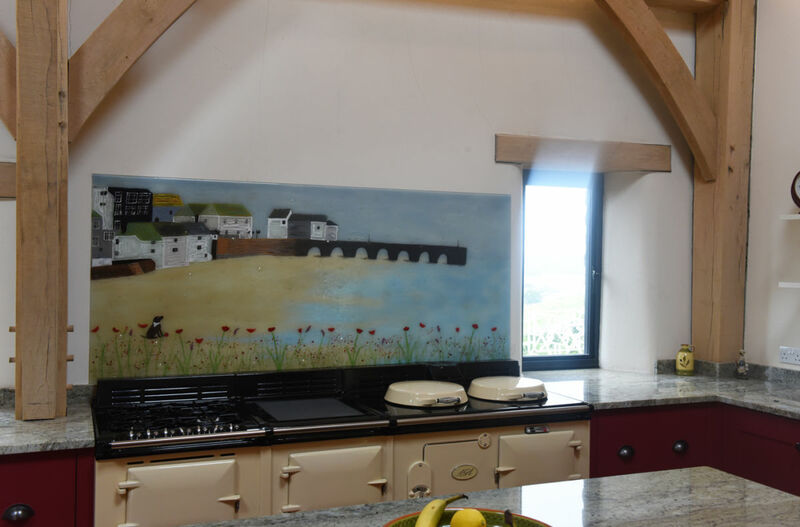 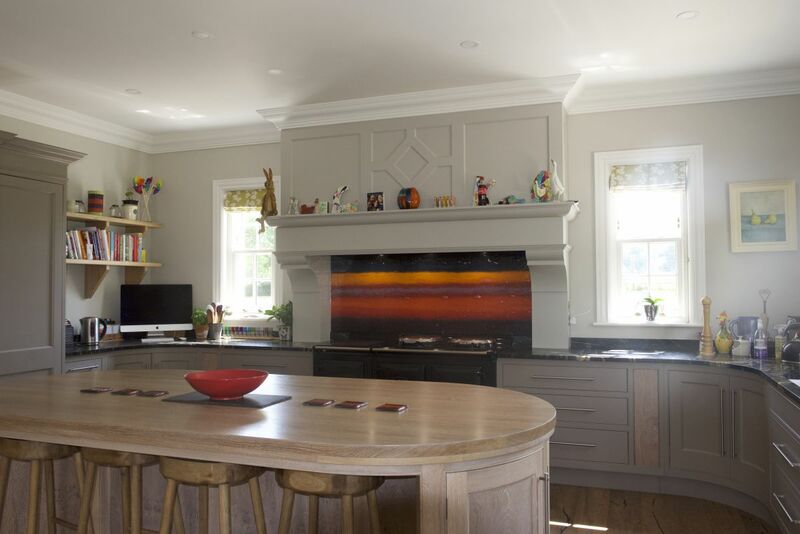 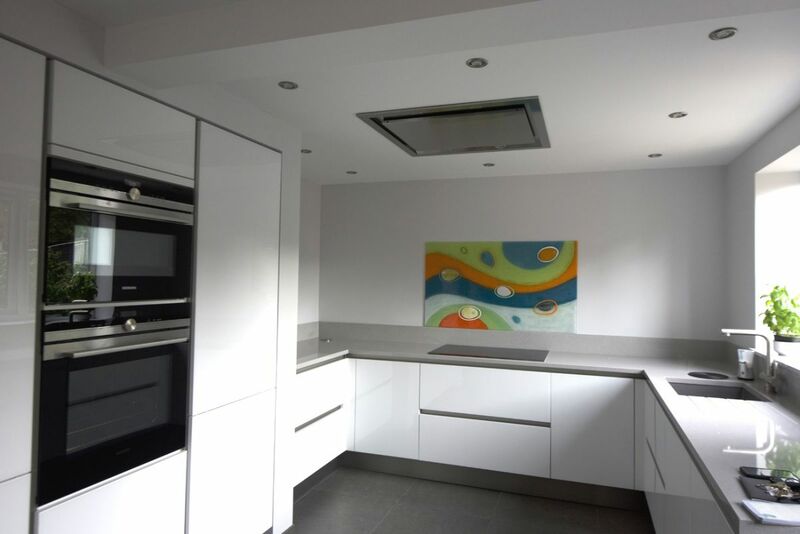 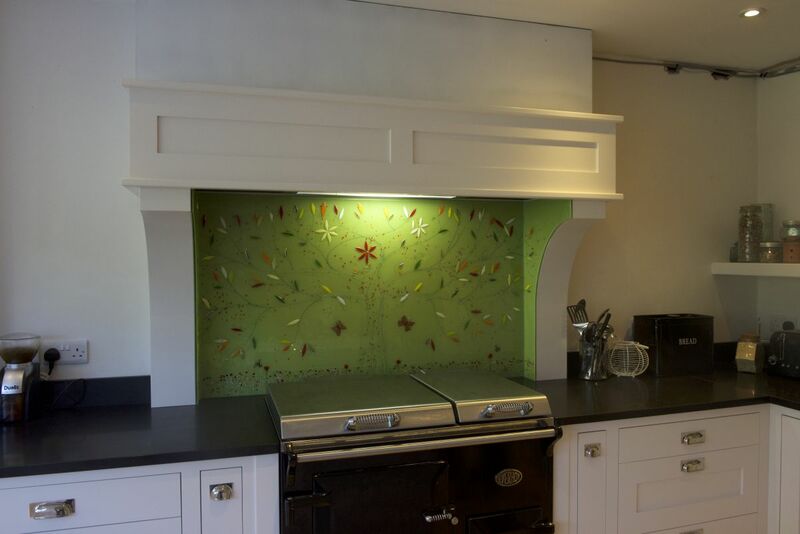 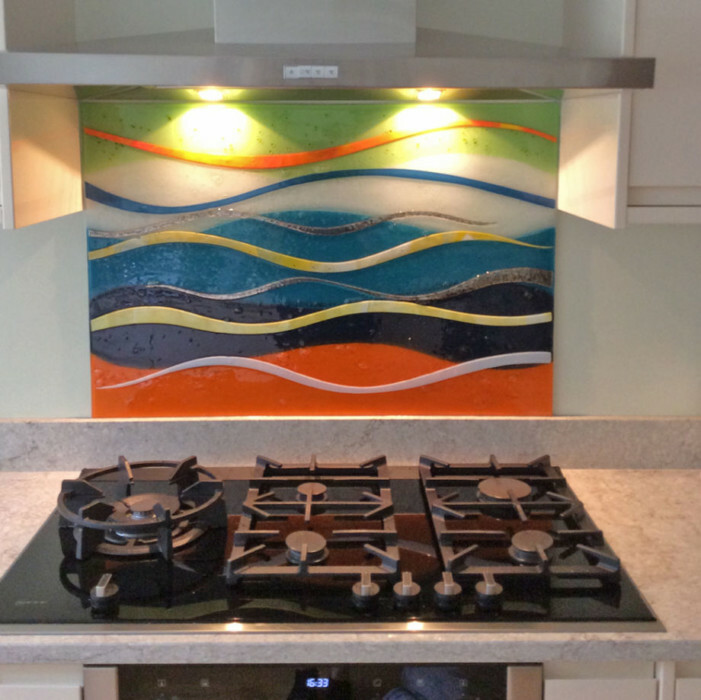 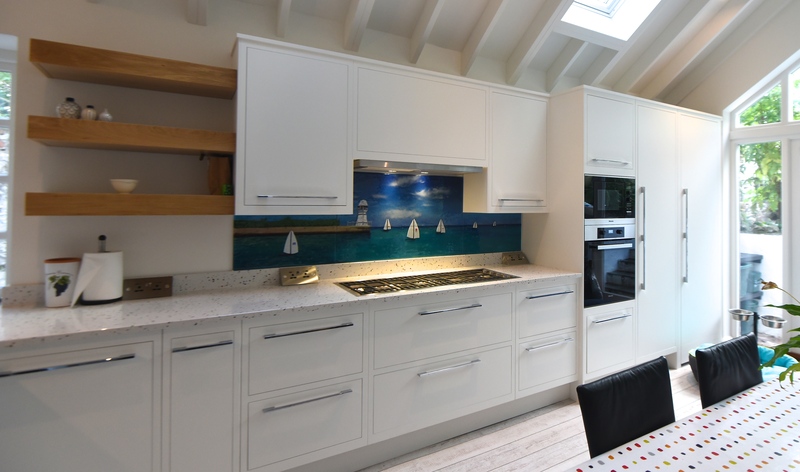 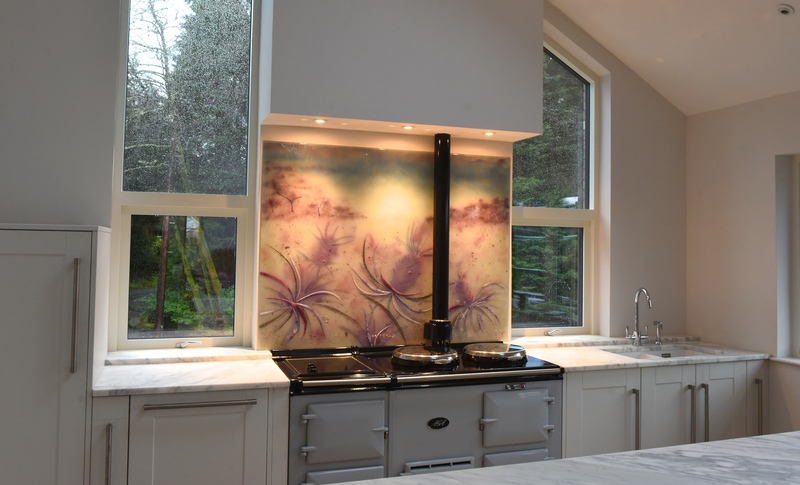 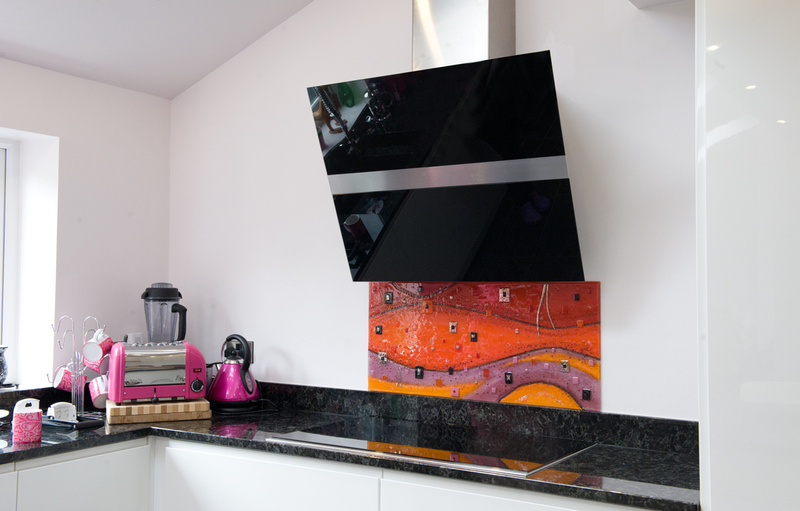 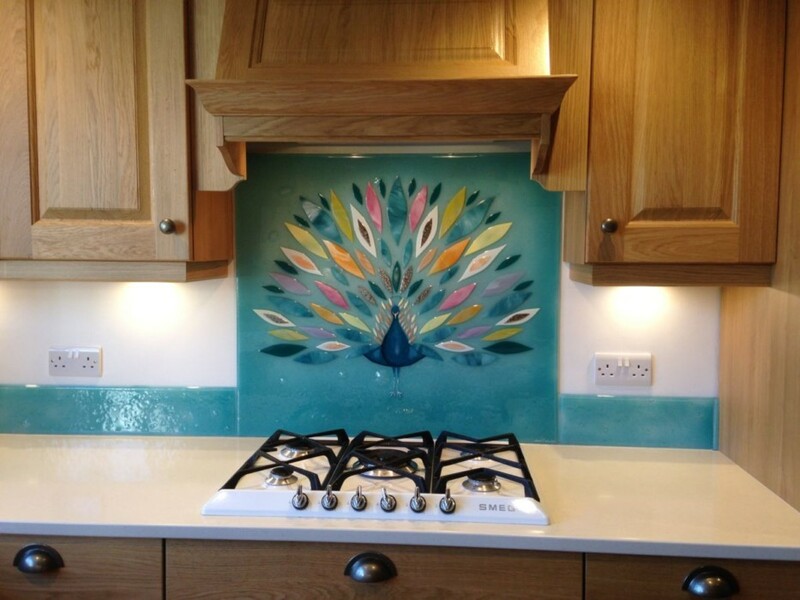 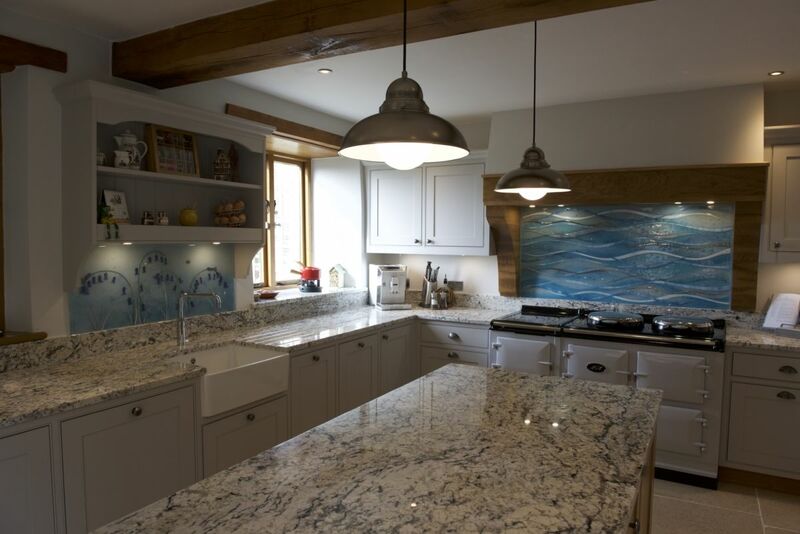 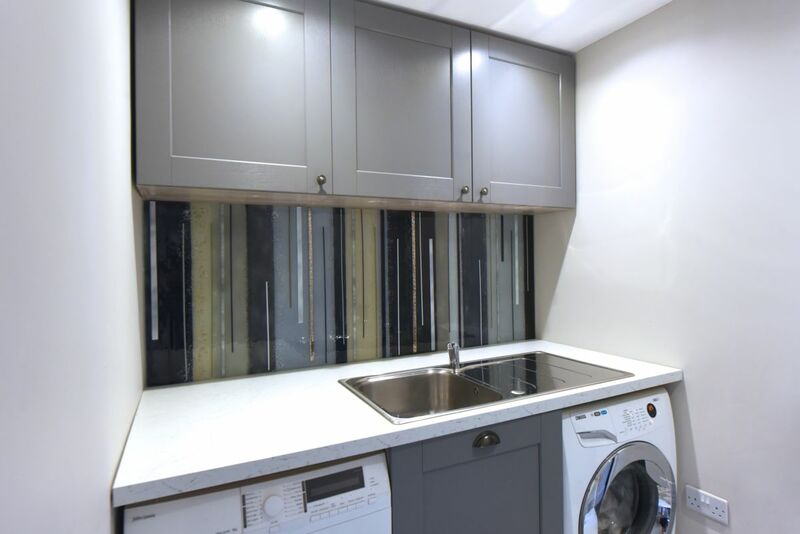 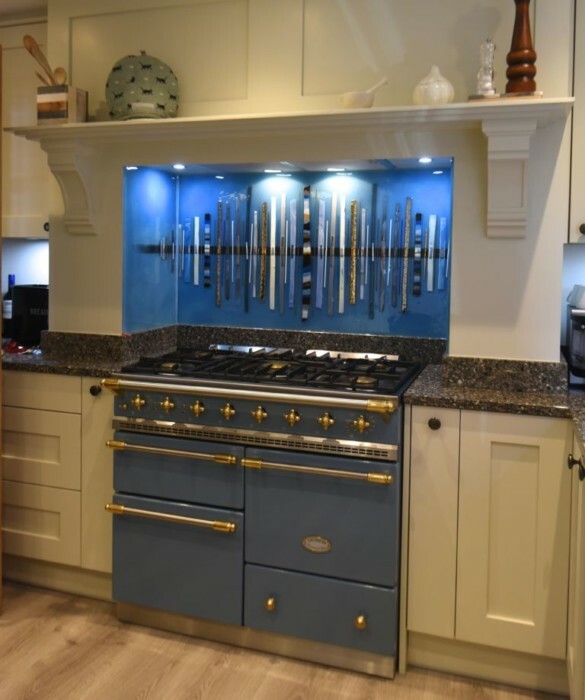 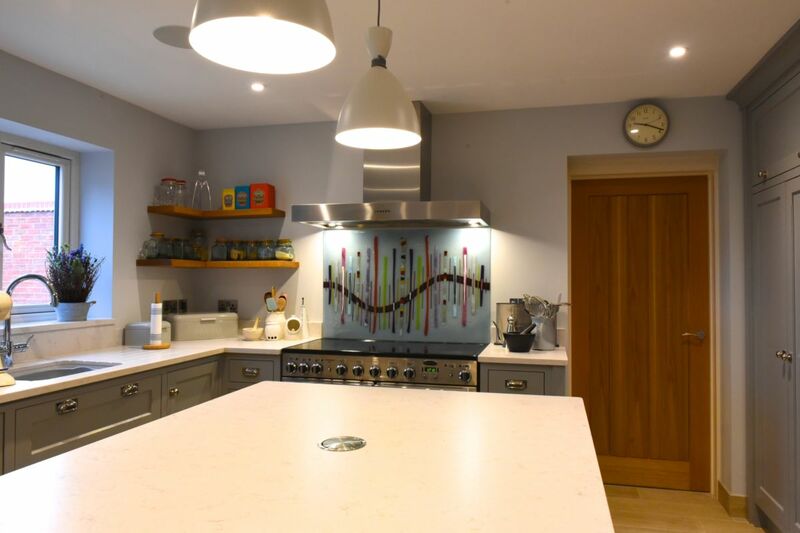 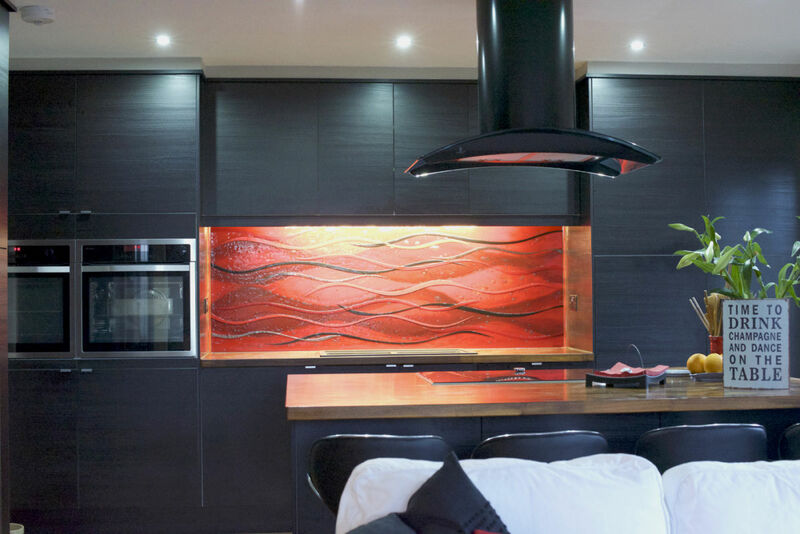 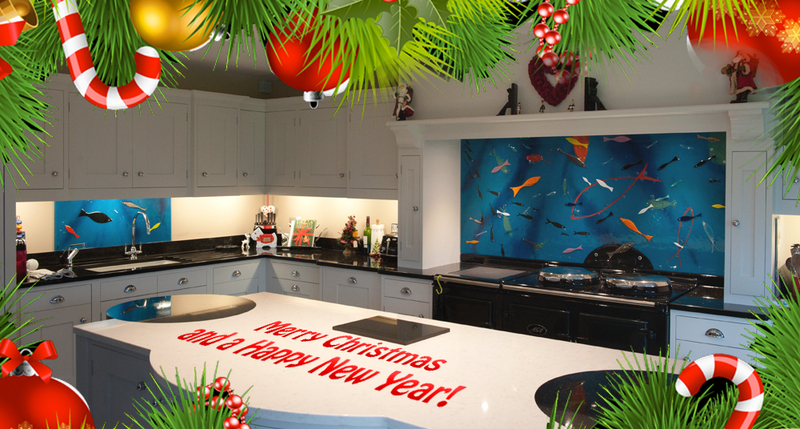 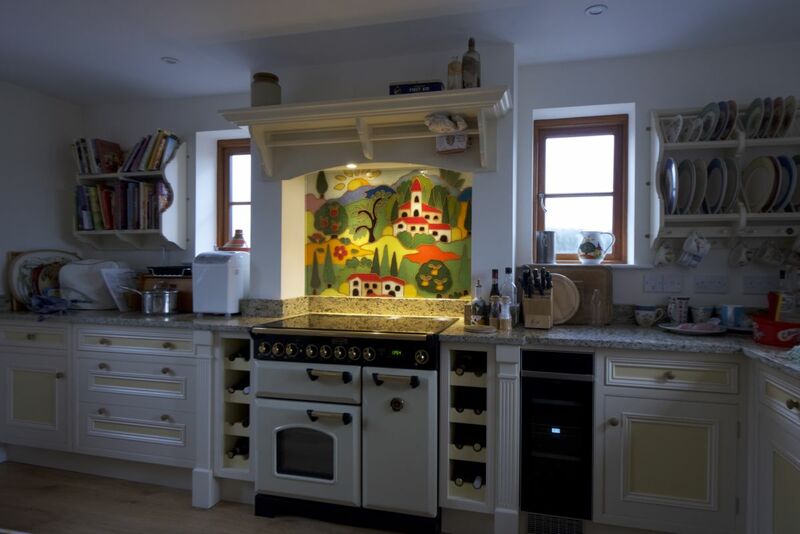 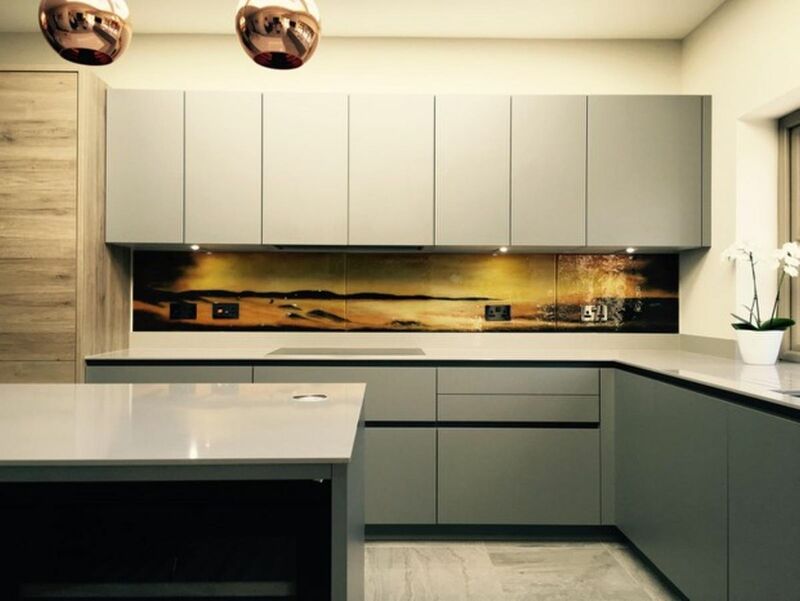 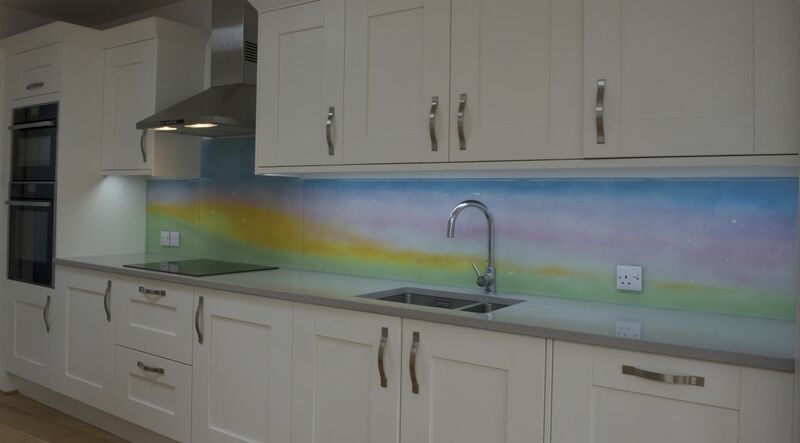 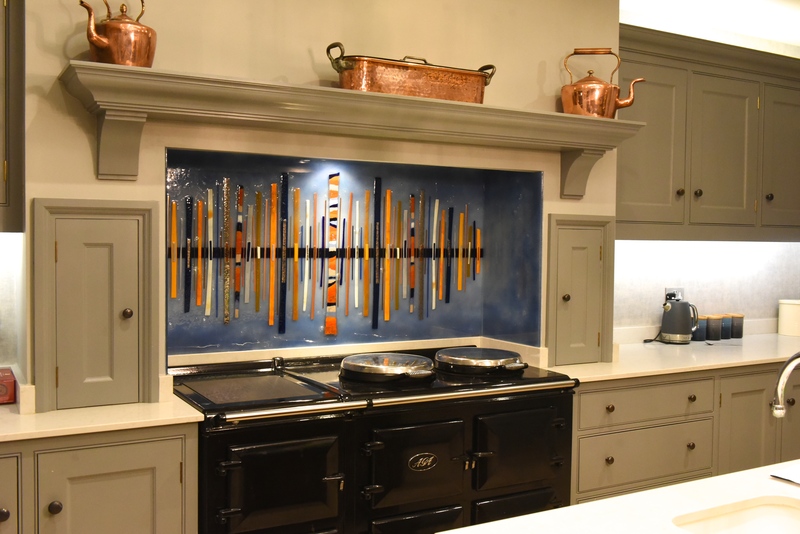 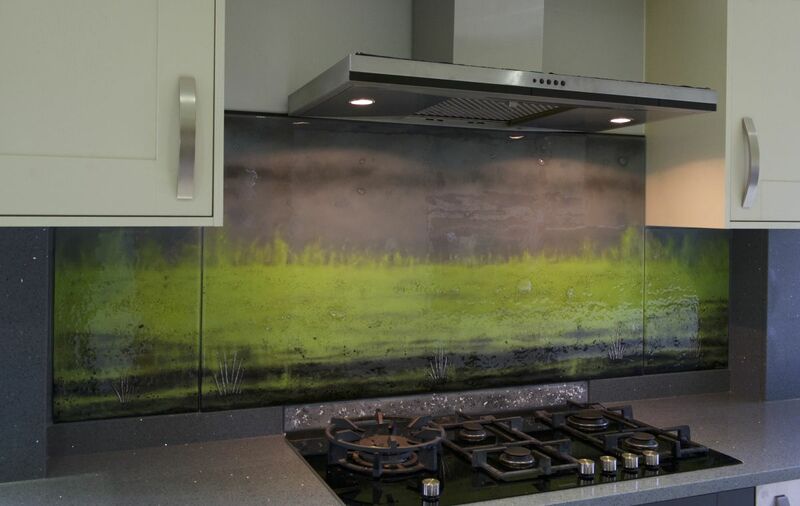 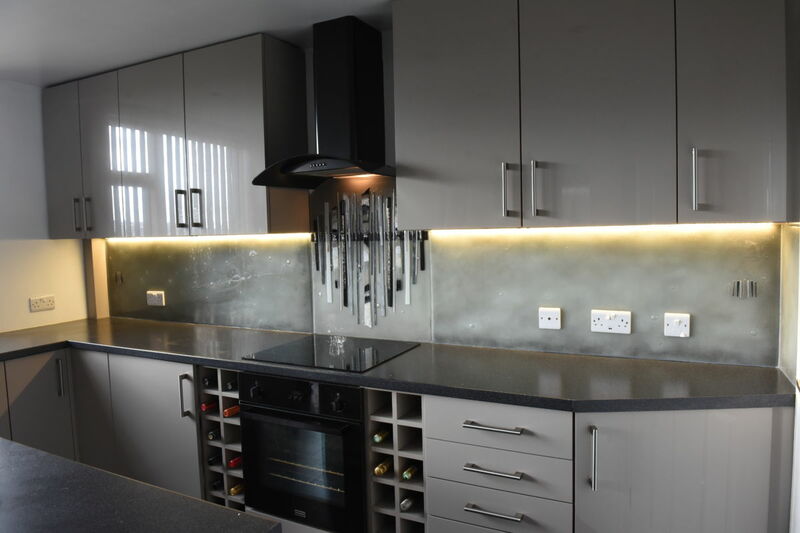 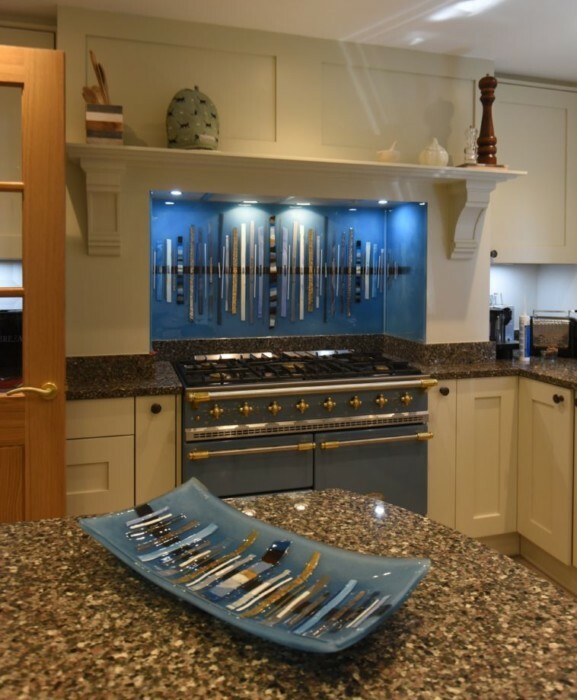 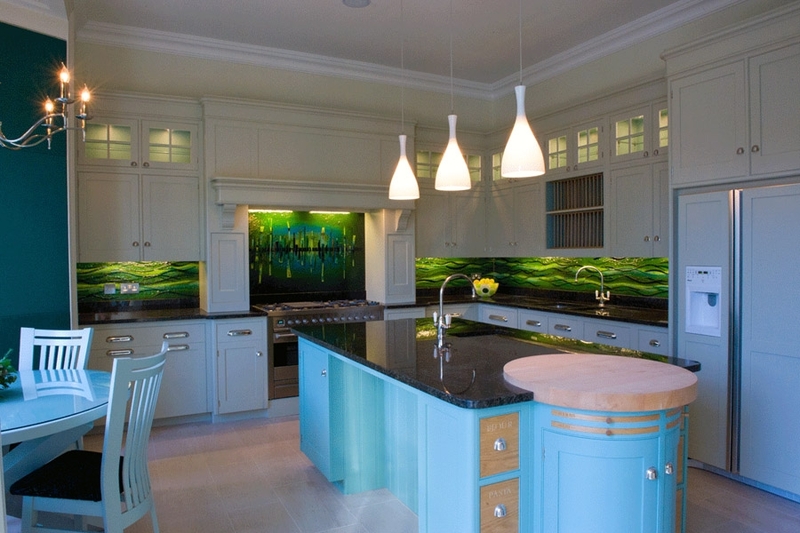 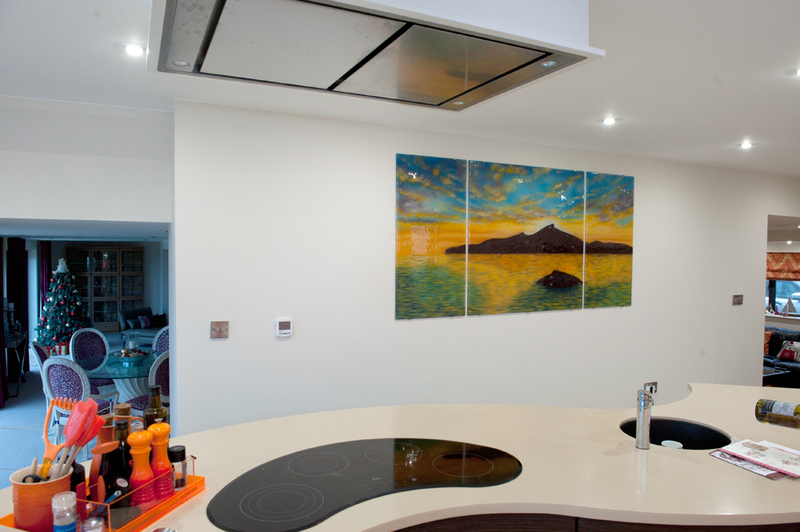 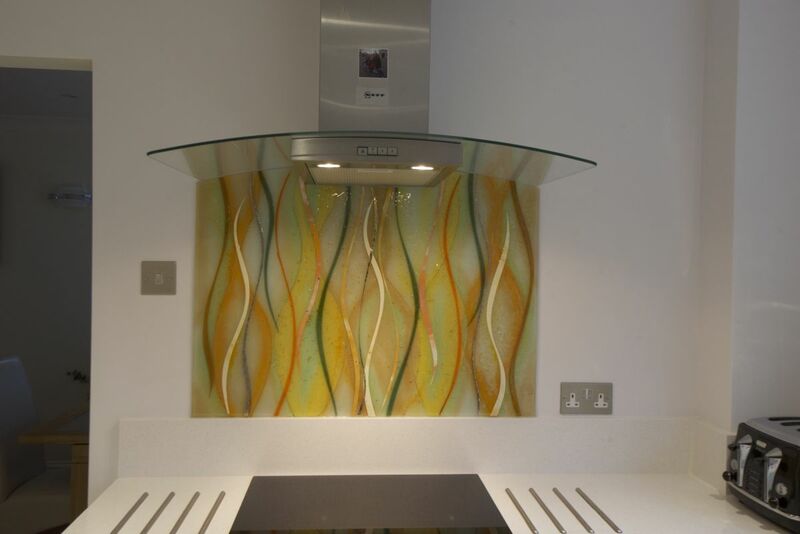 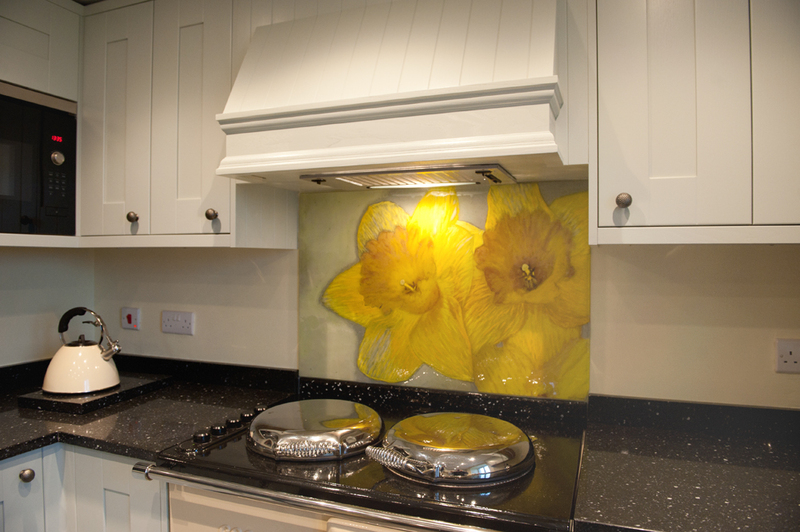 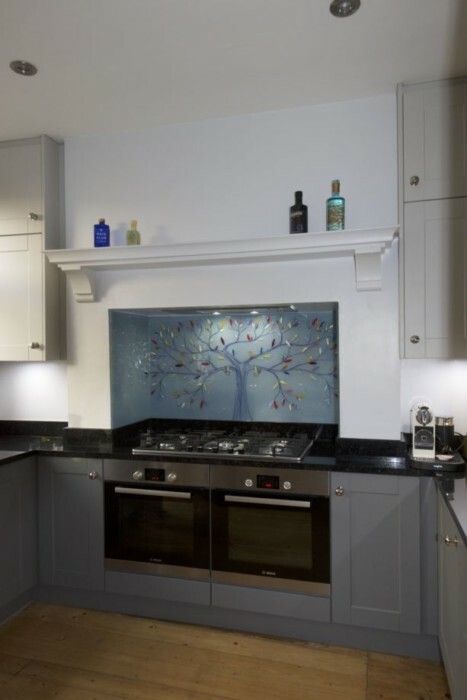 We here at The House of Ugly Fish just so happen to be experts when it comes to making bespoke splashbacks for the home! 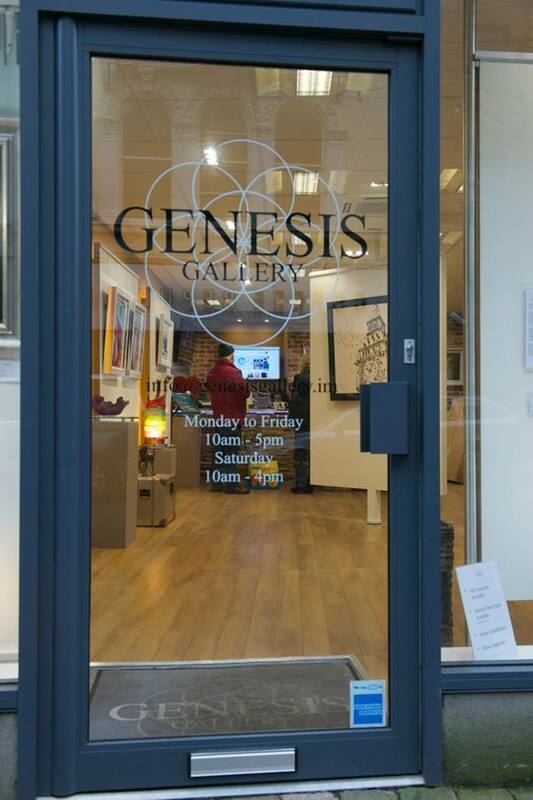 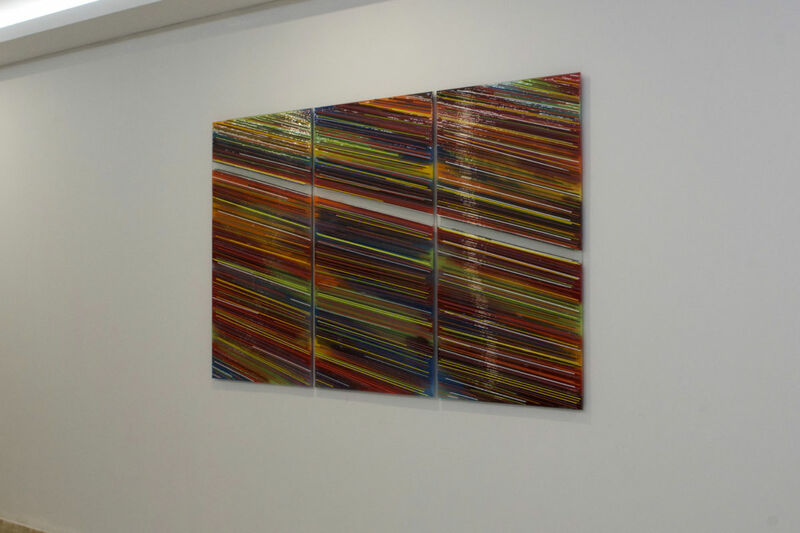 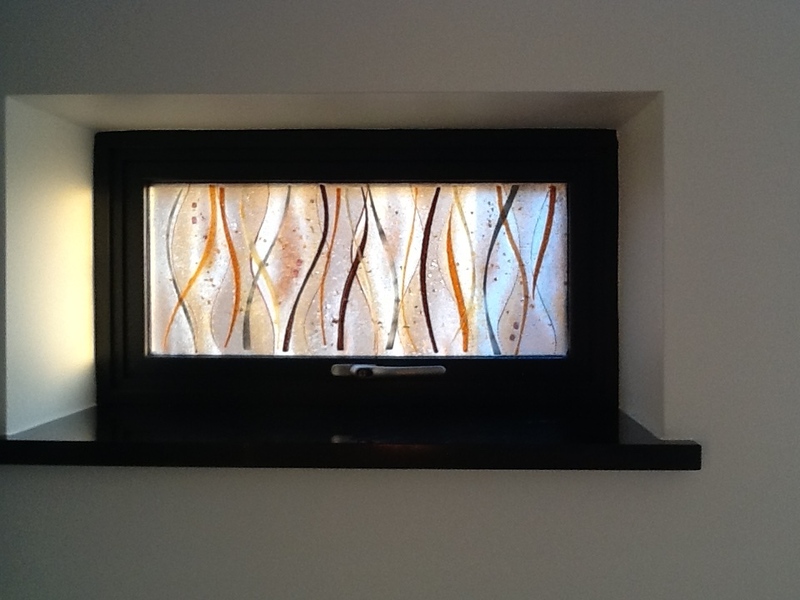 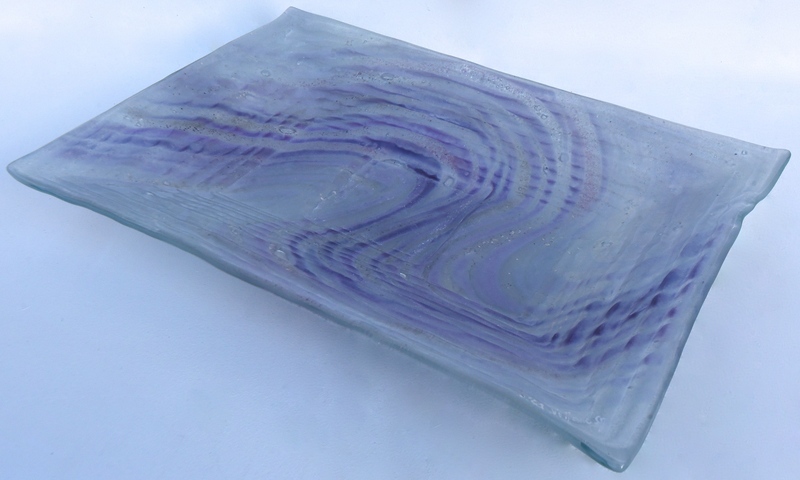 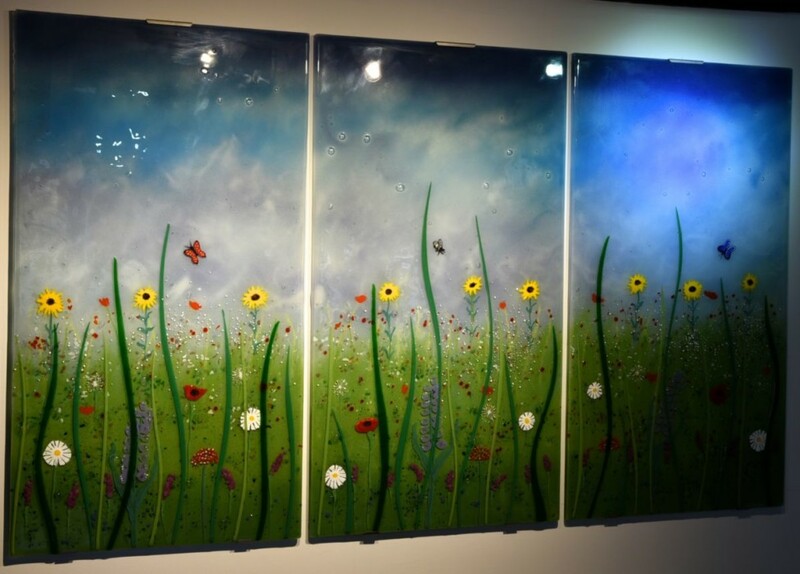 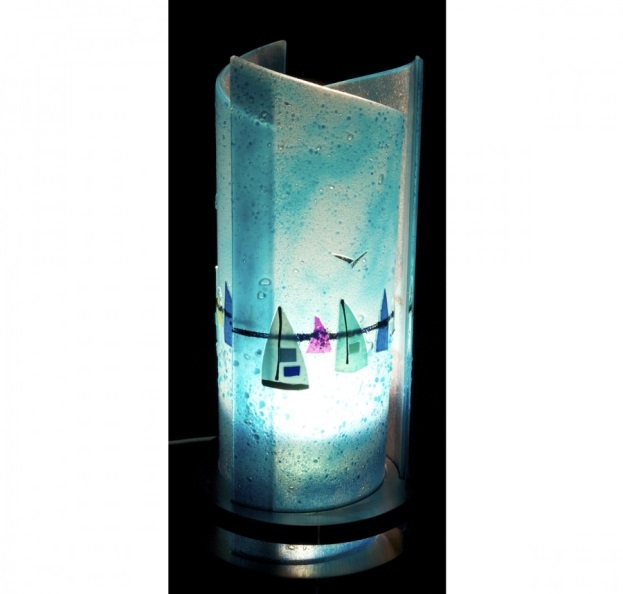 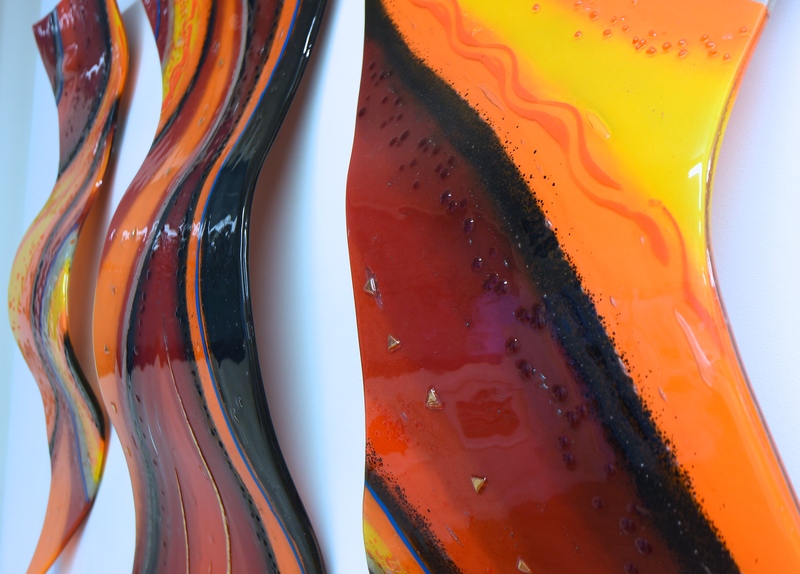 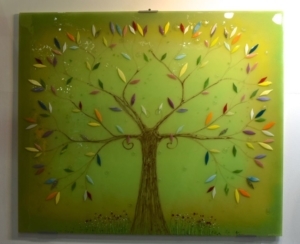 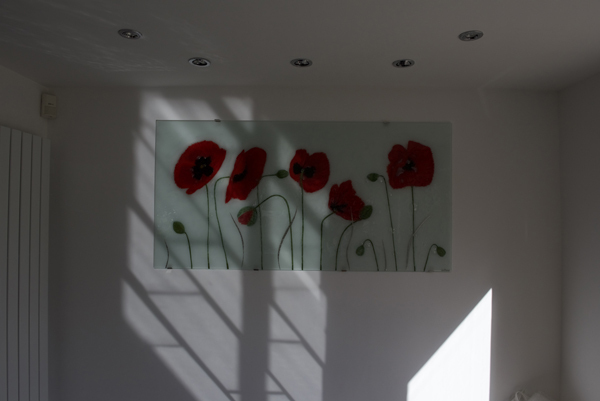 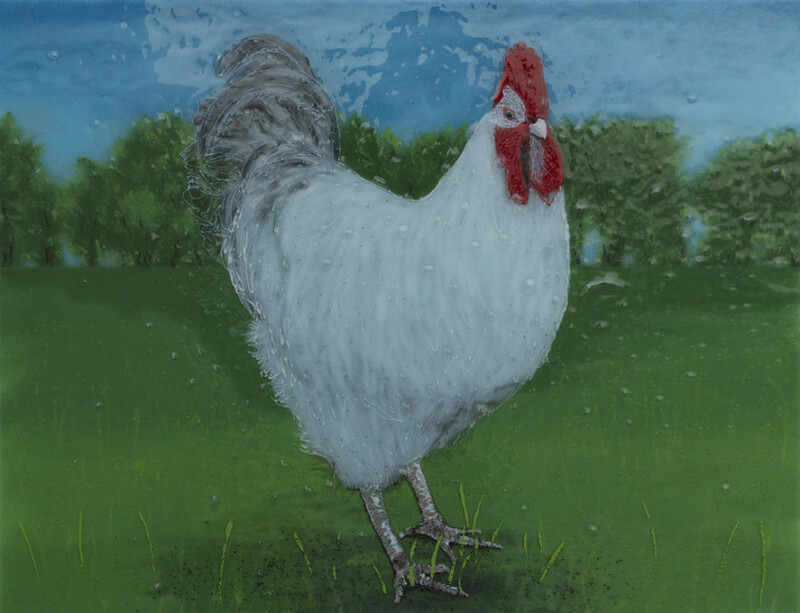 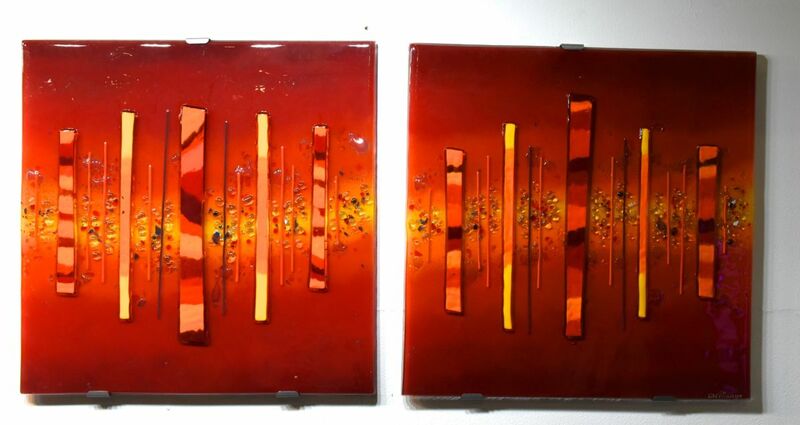 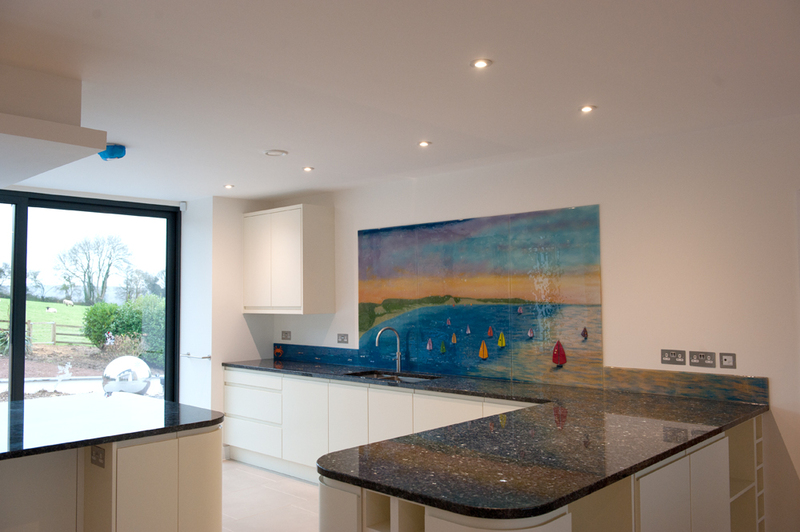 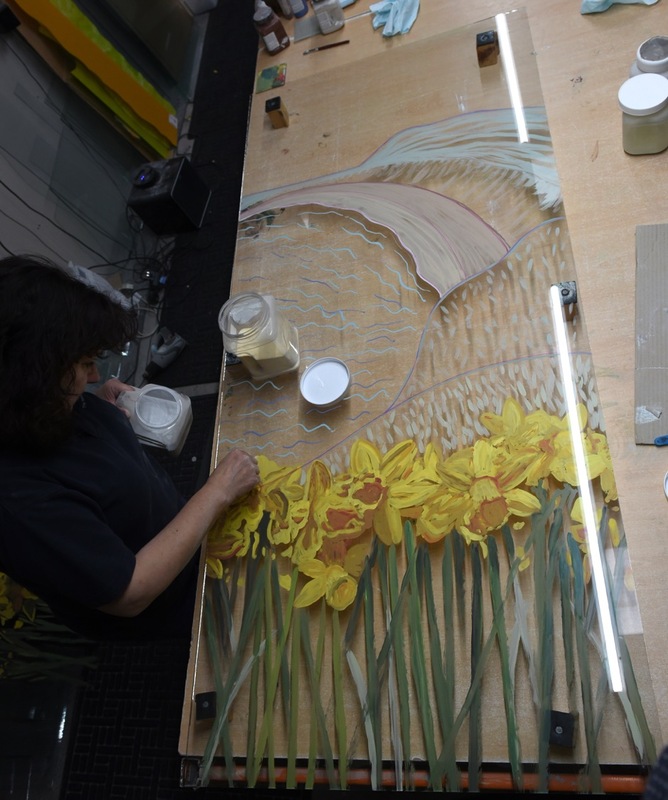 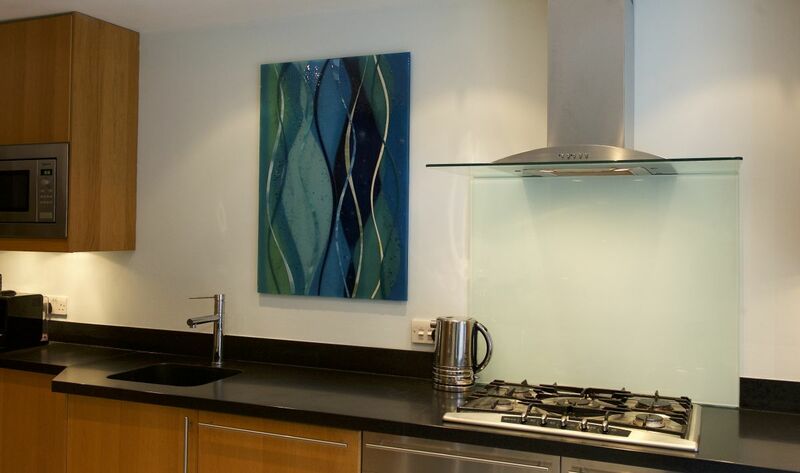 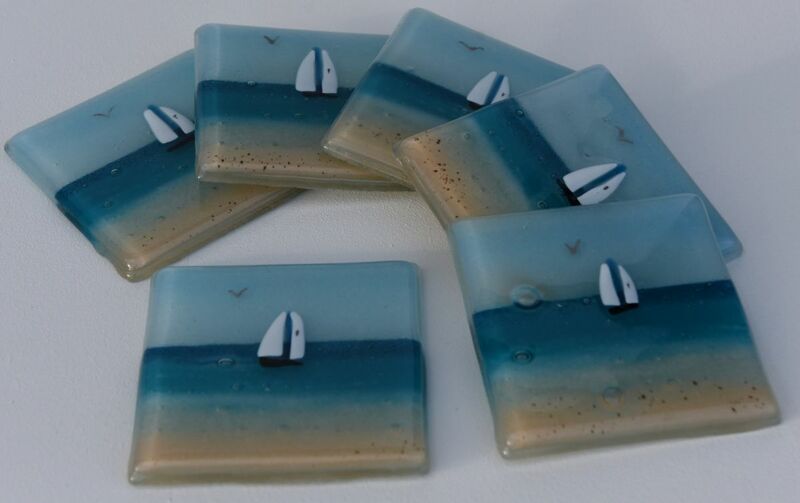 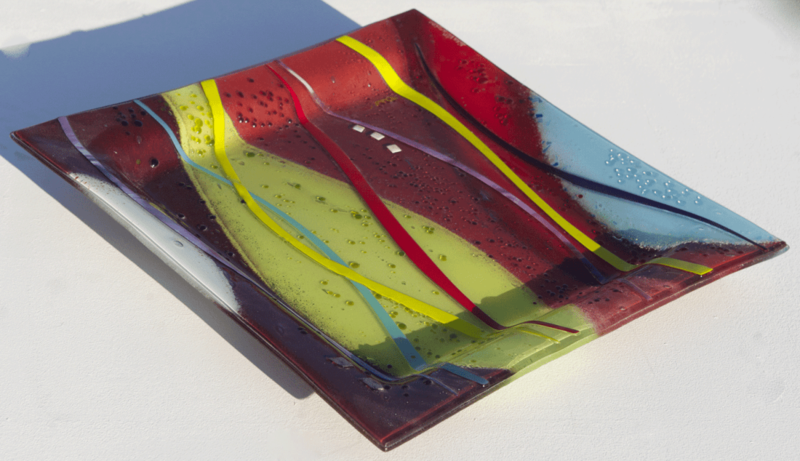 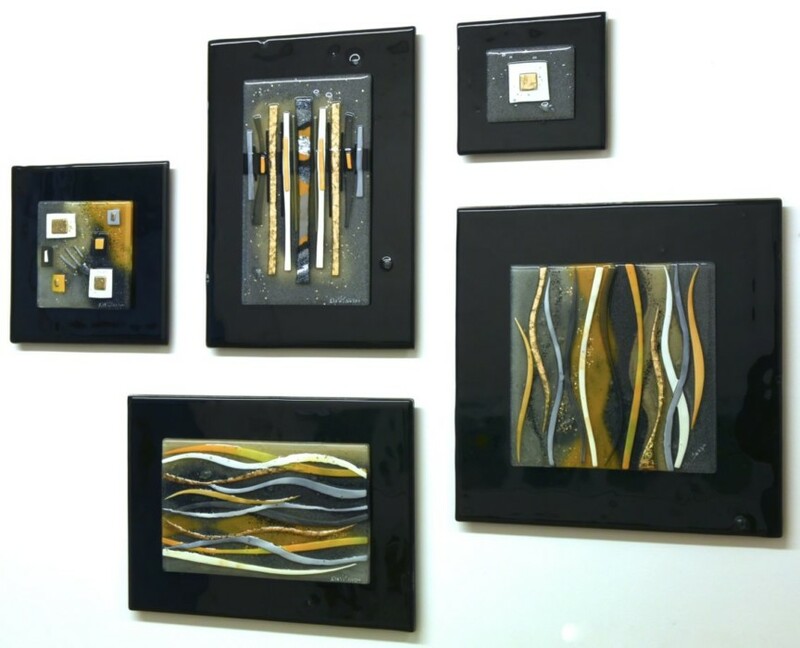 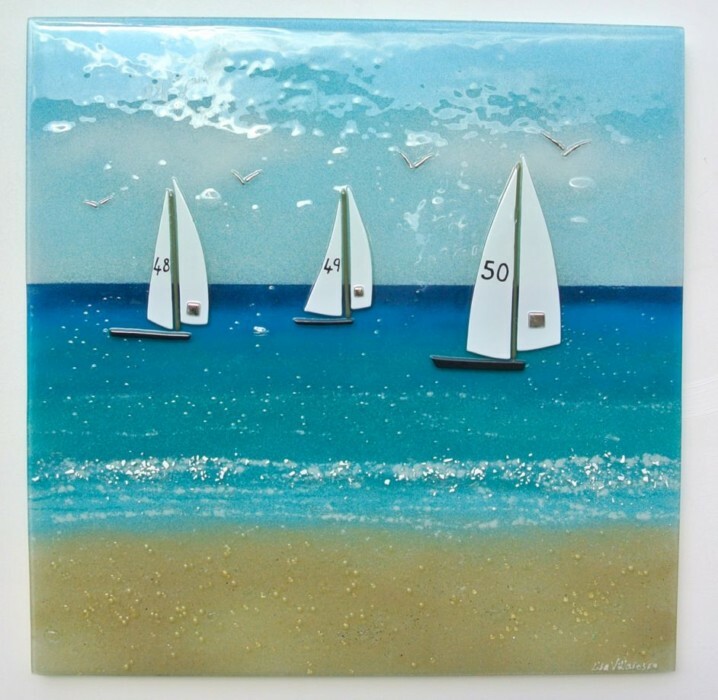 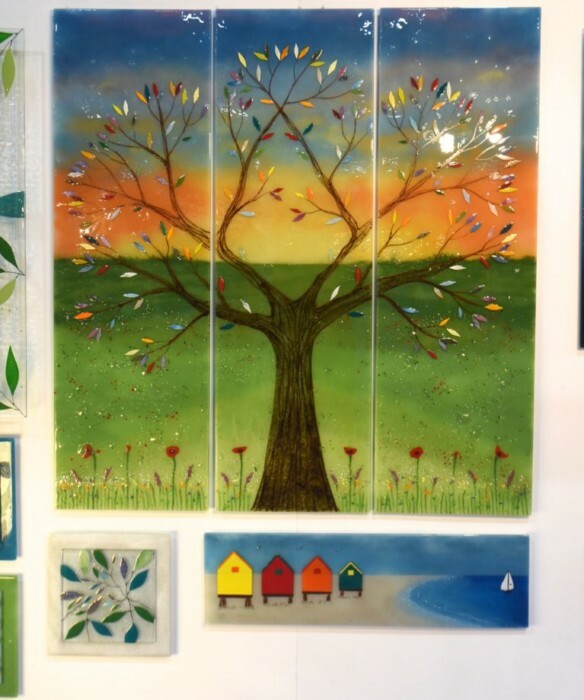 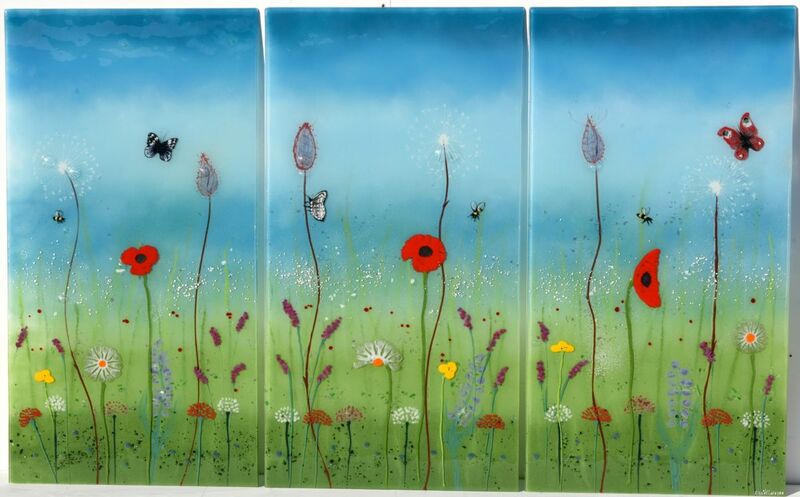 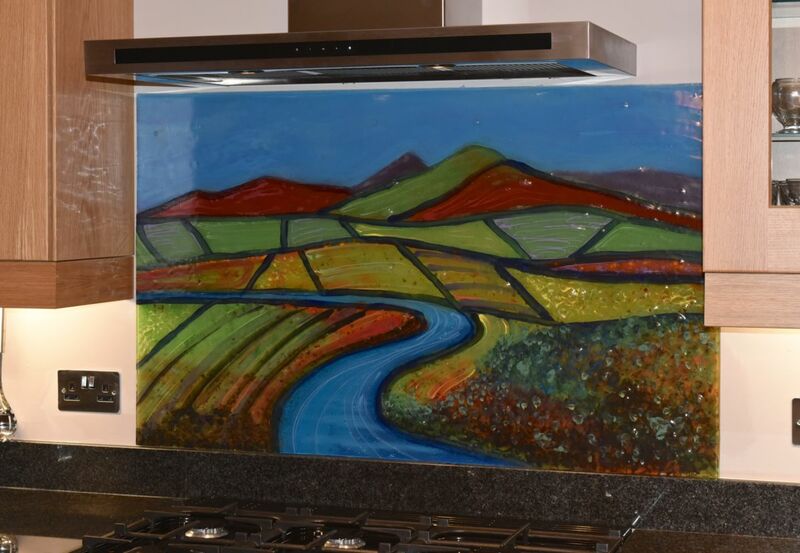 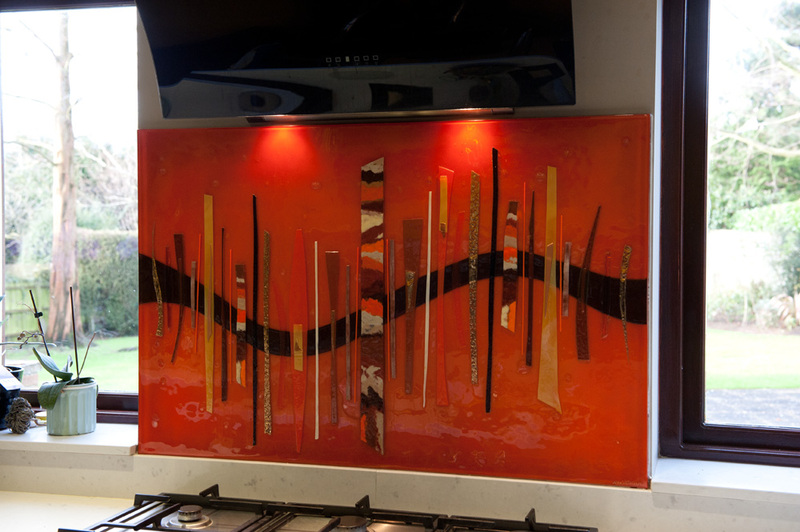 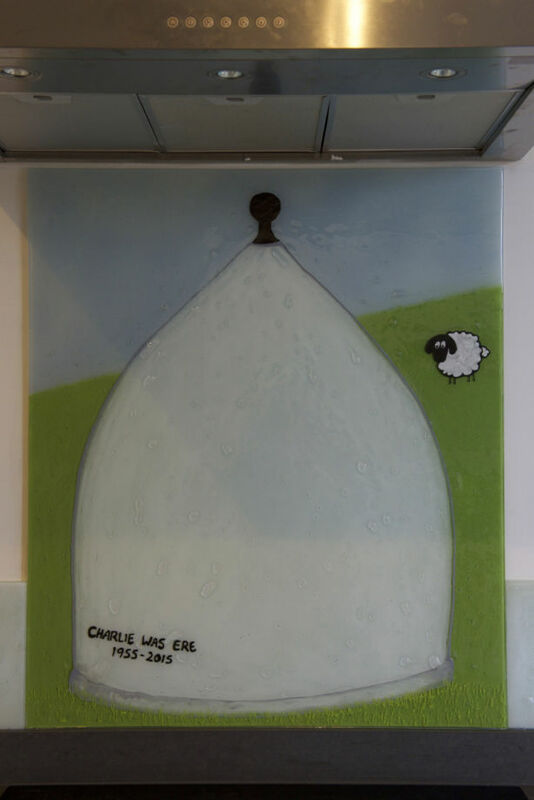 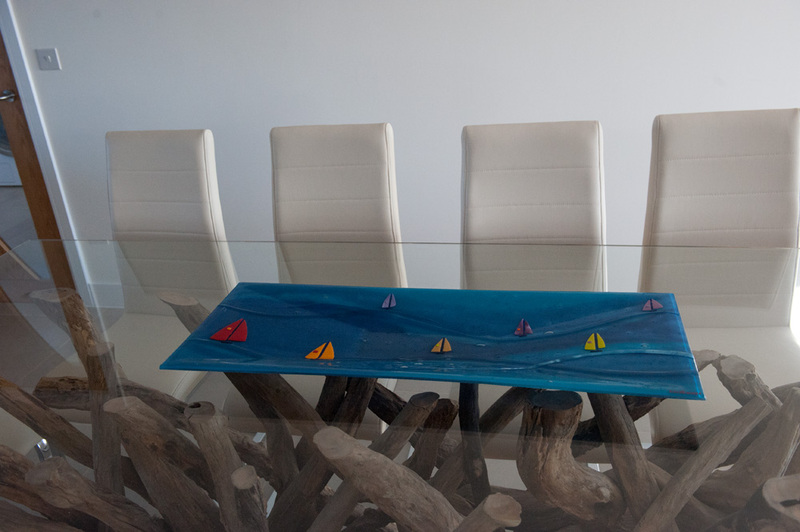 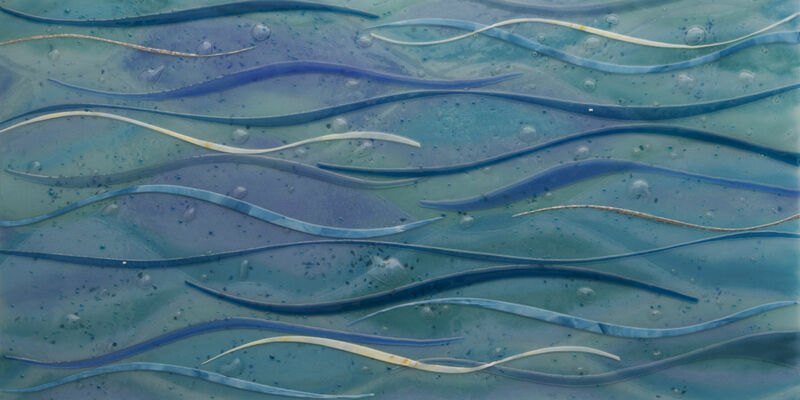 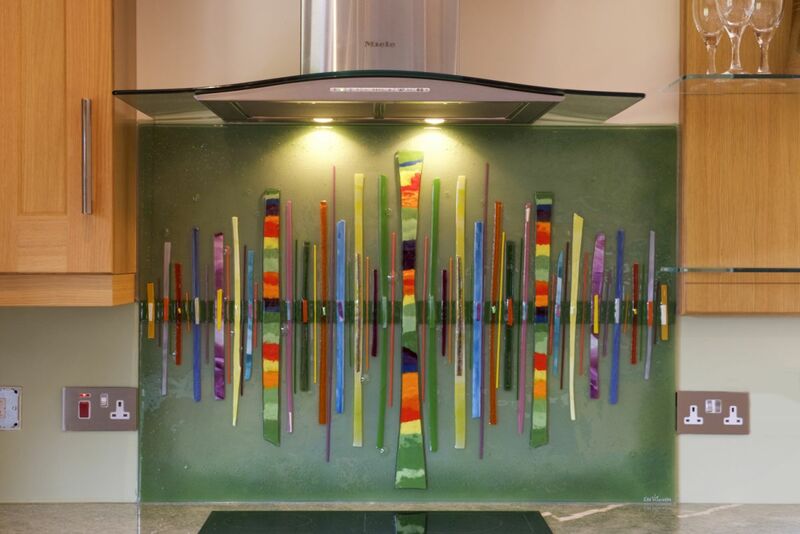 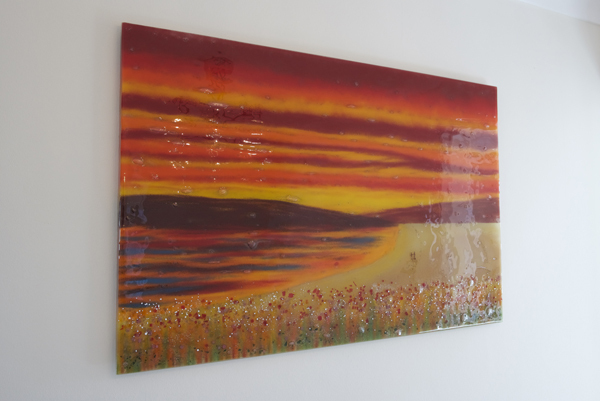 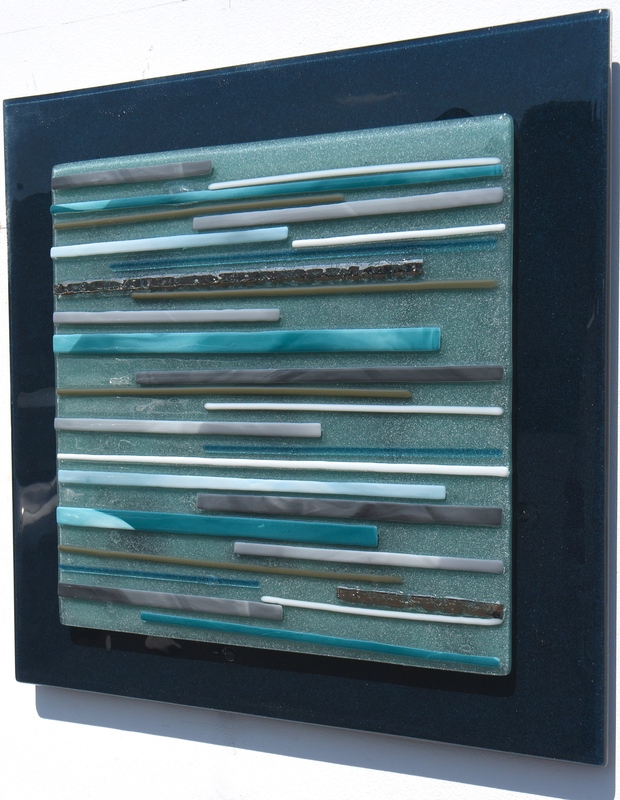 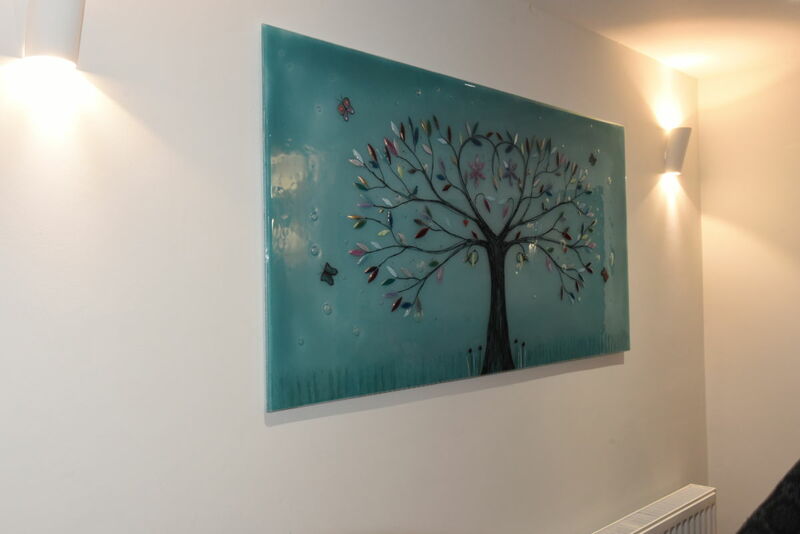 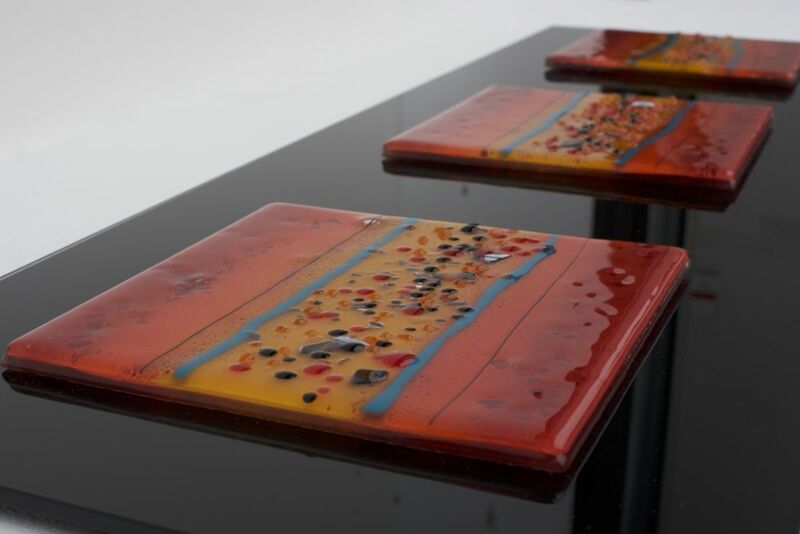 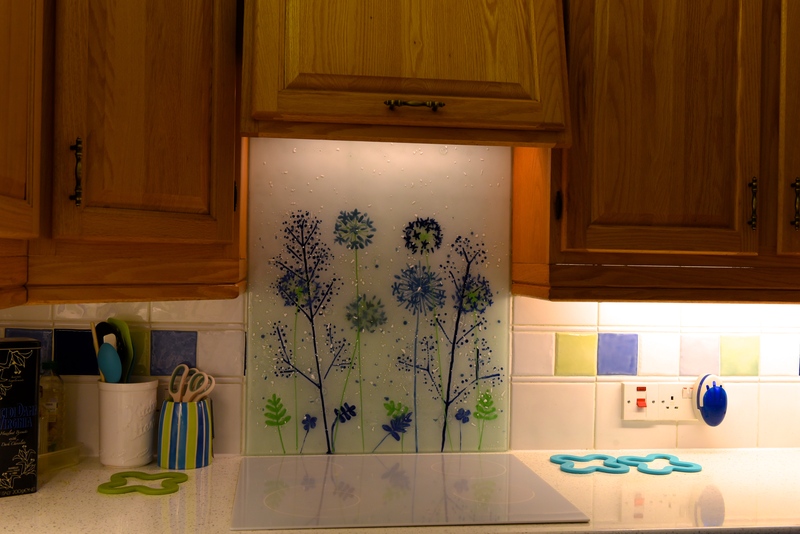 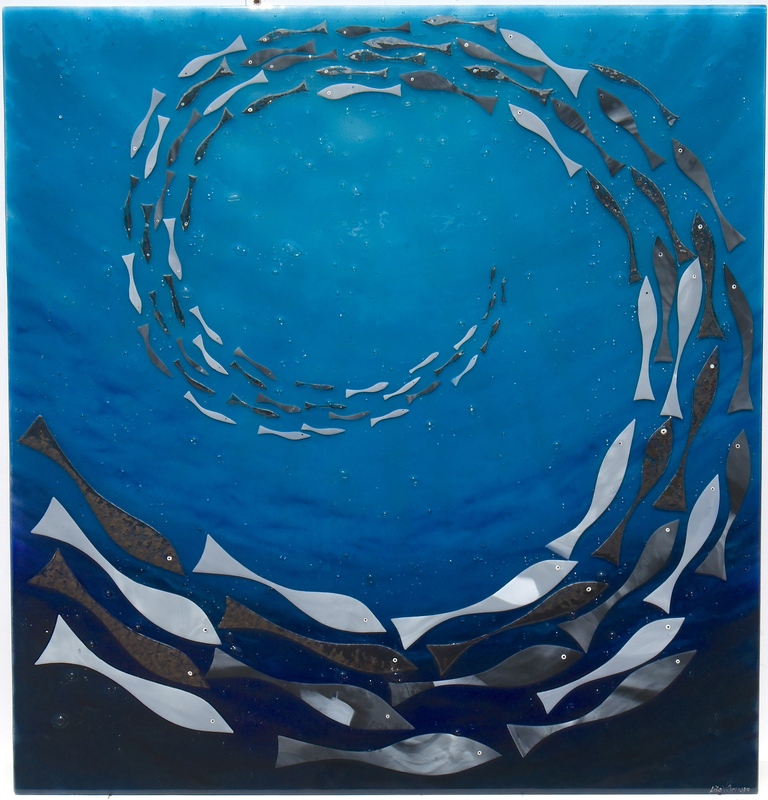 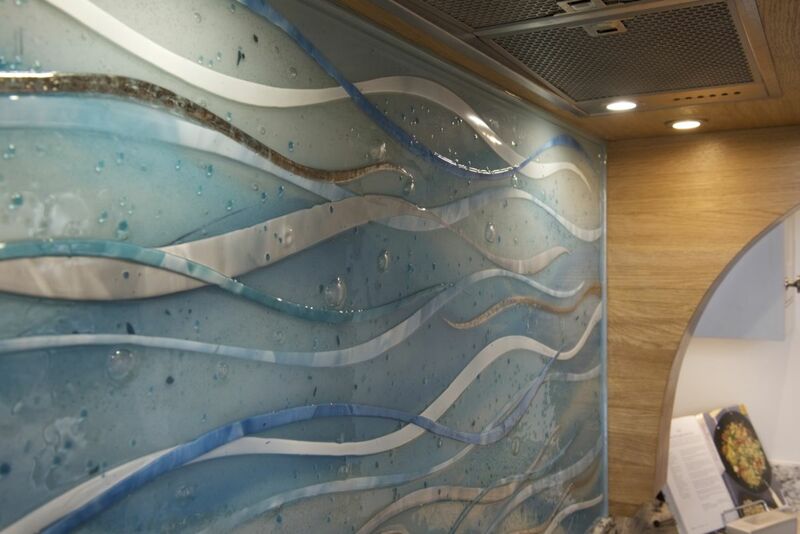 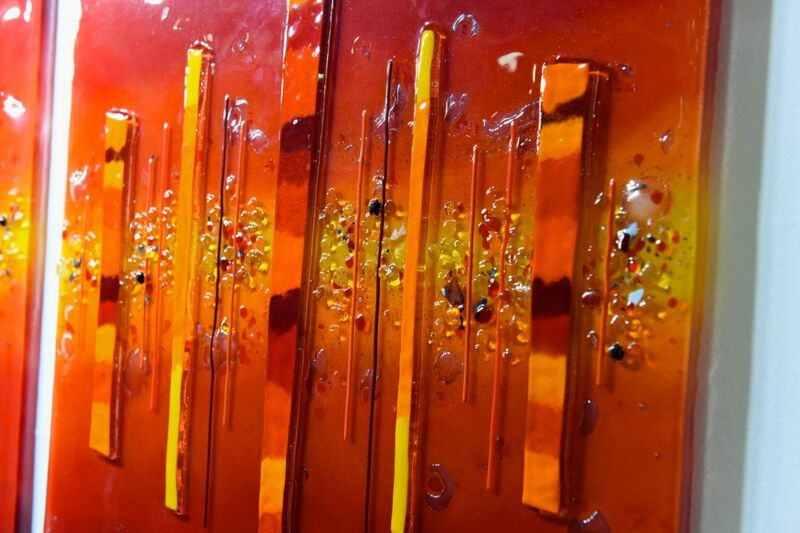 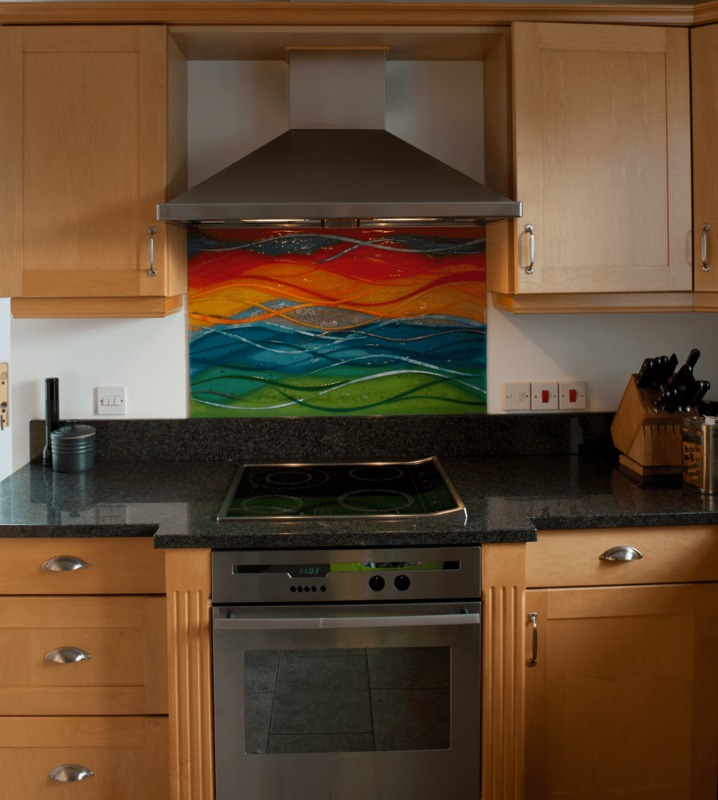 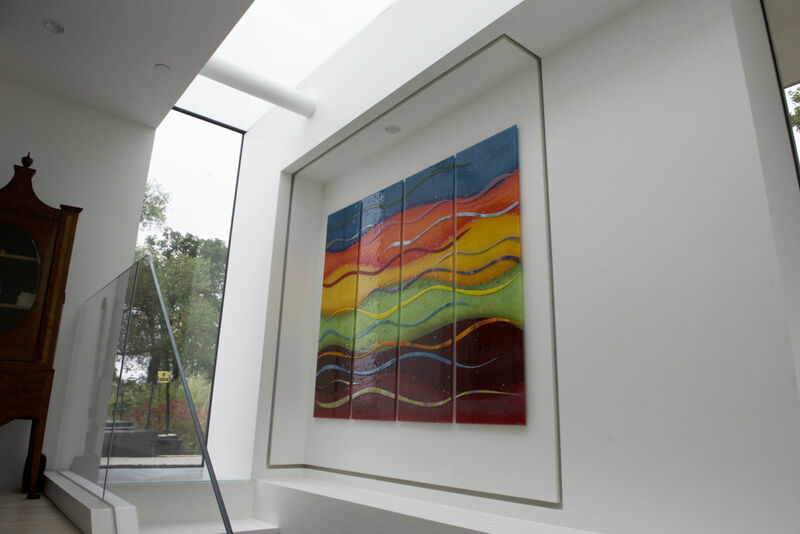 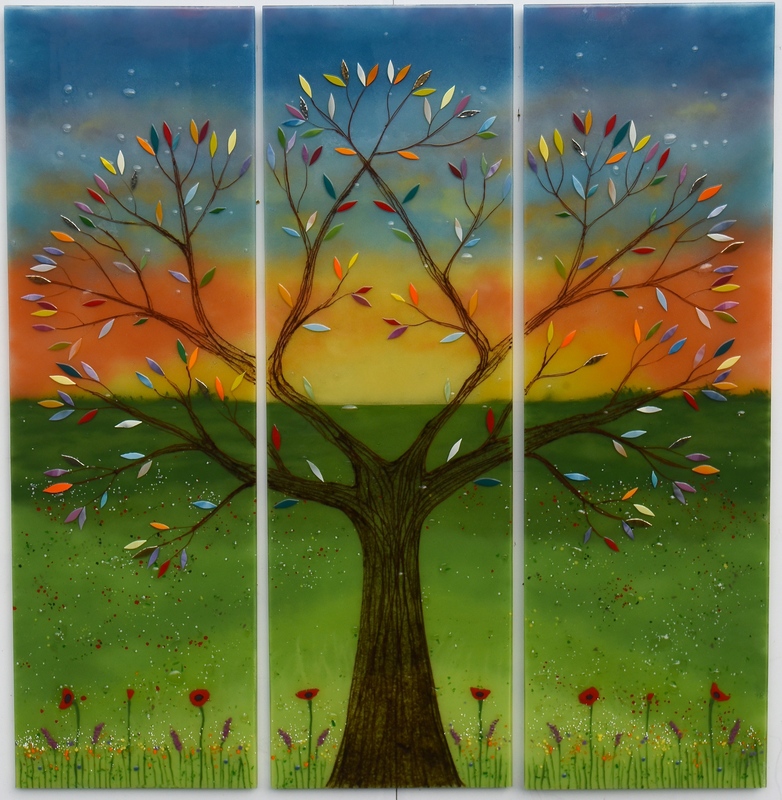 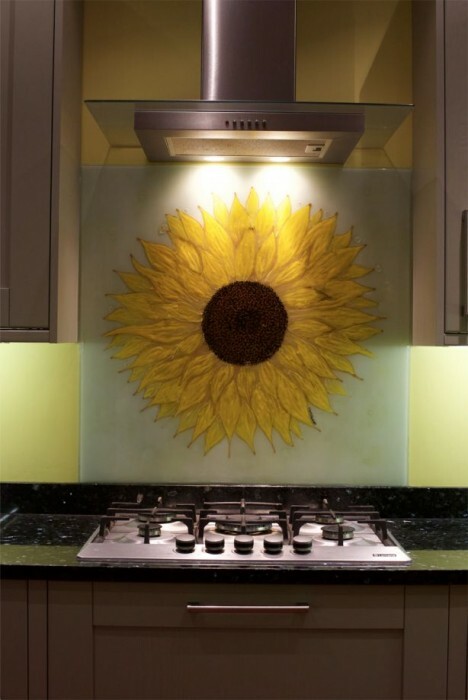 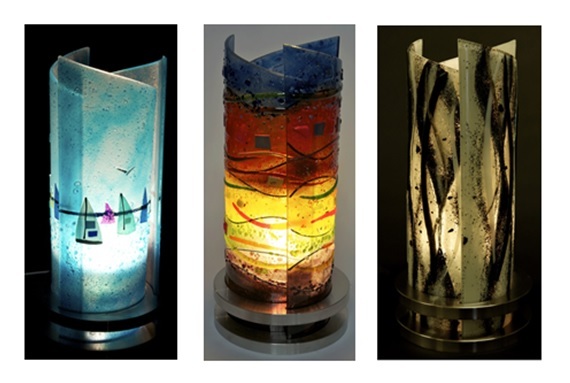 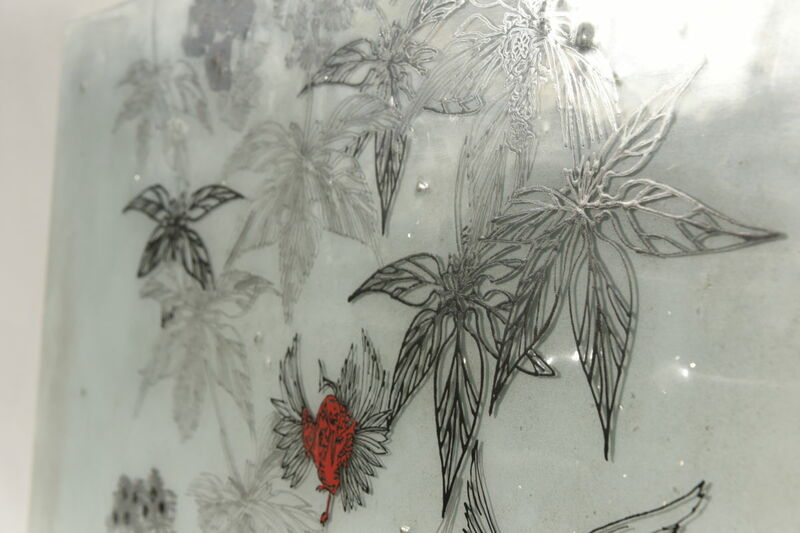 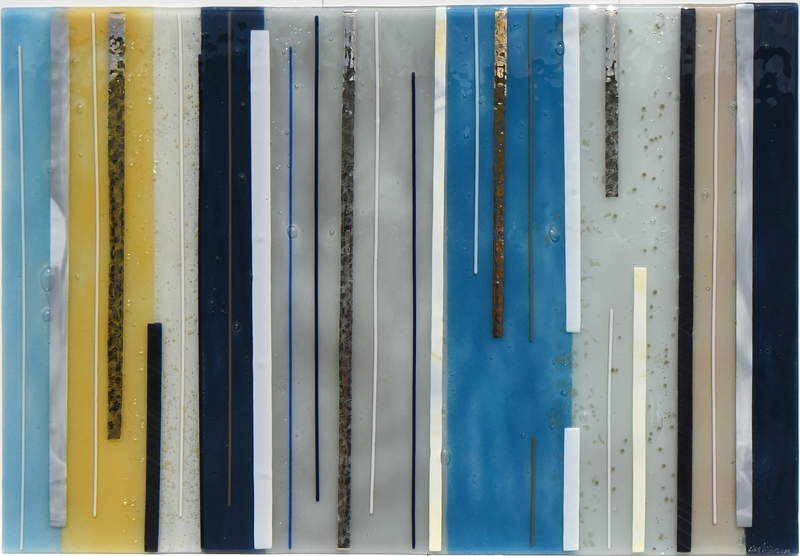 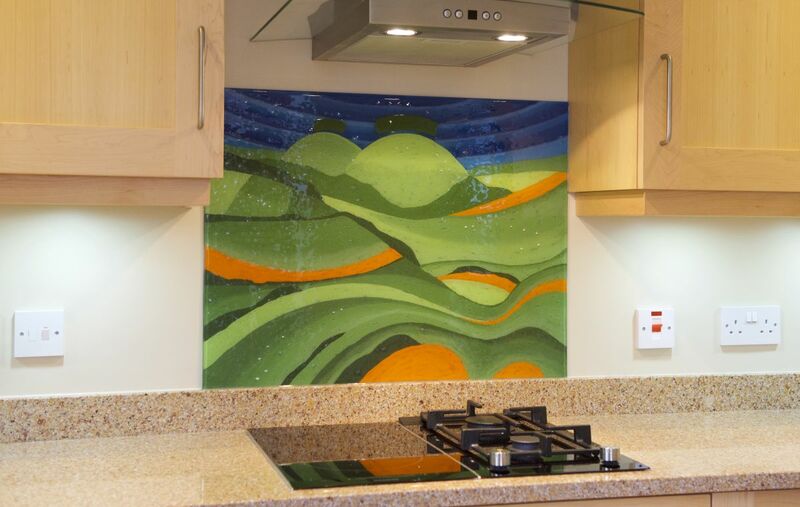 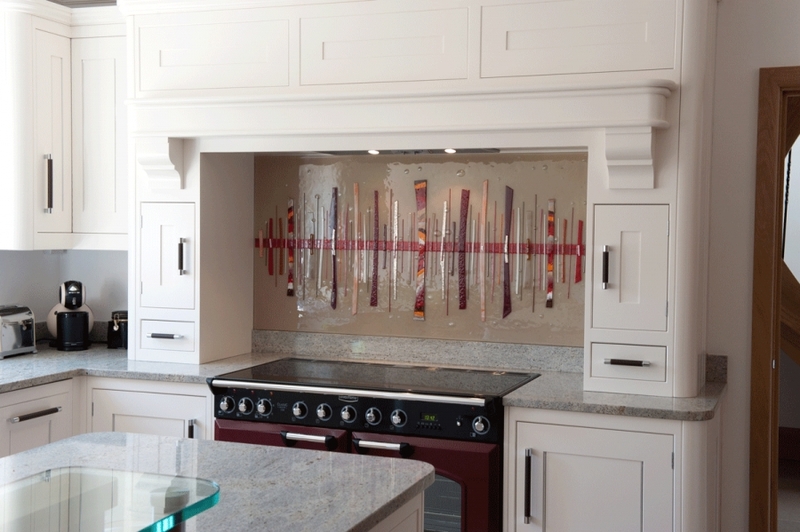 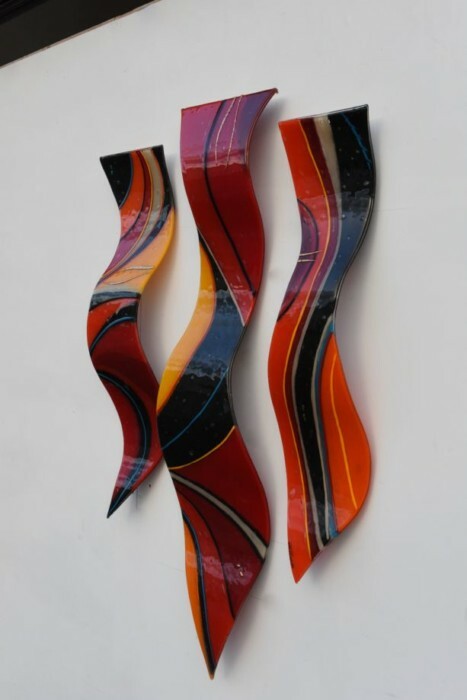 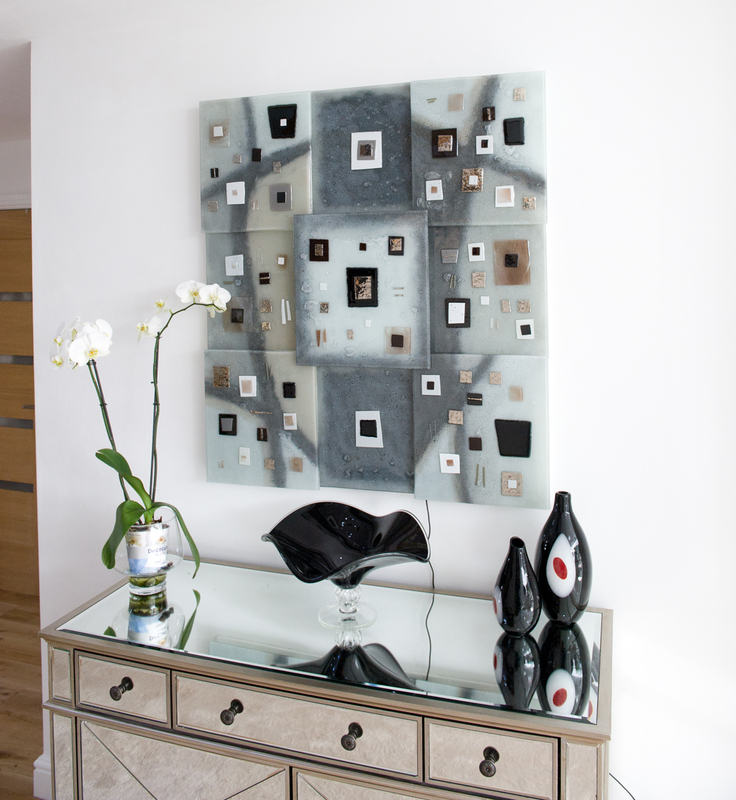 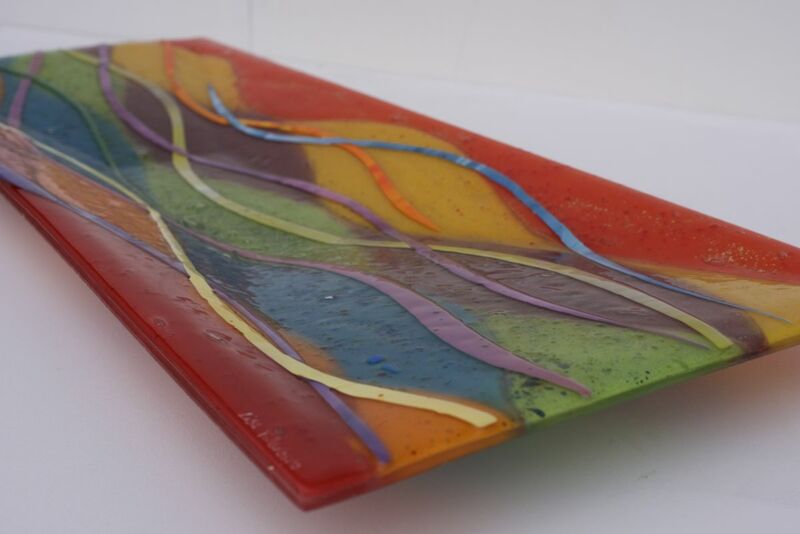 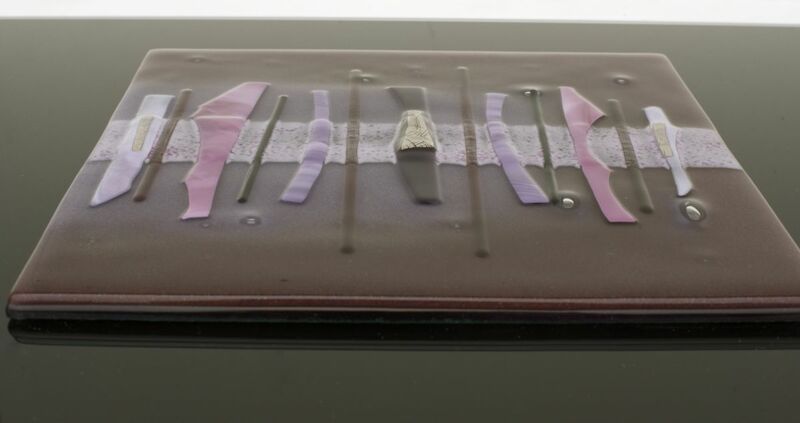 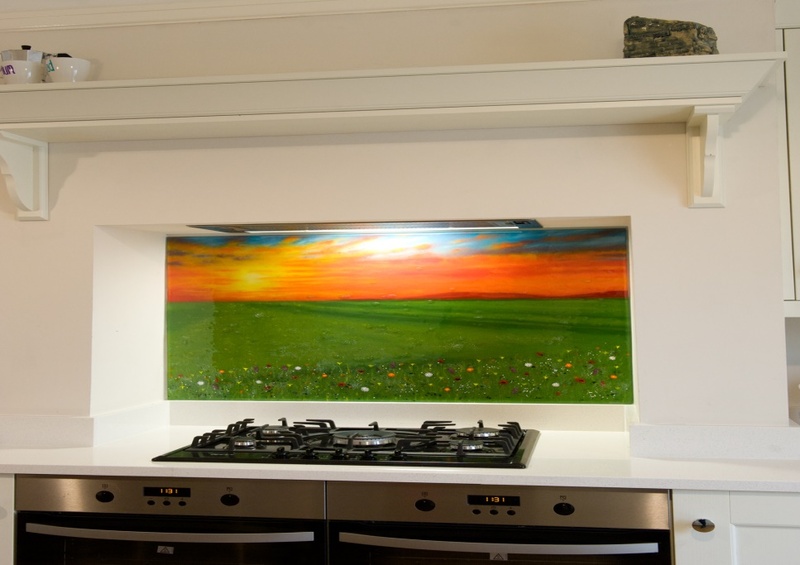 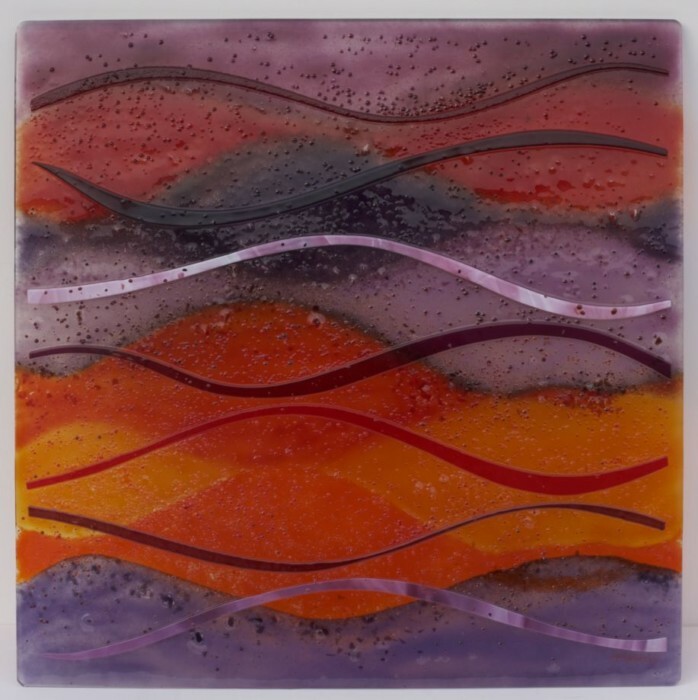 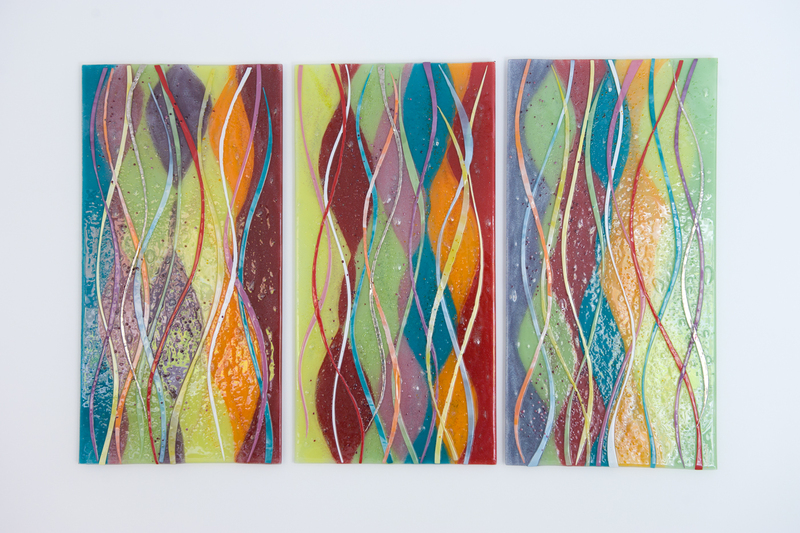 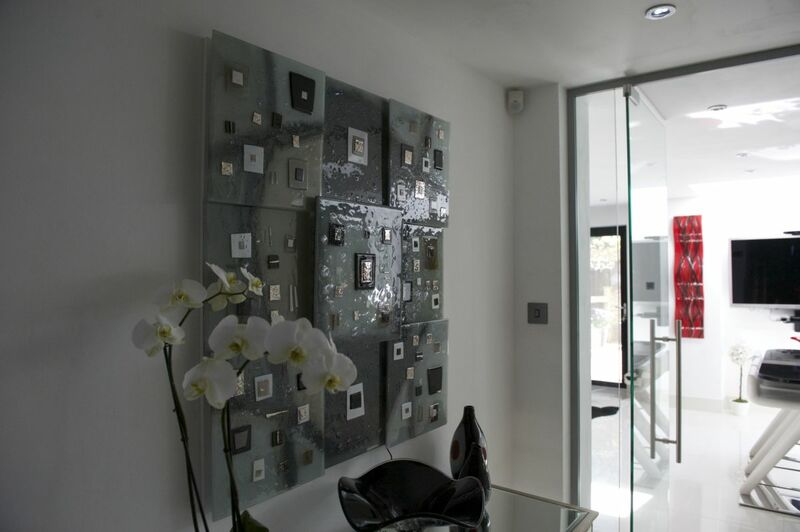 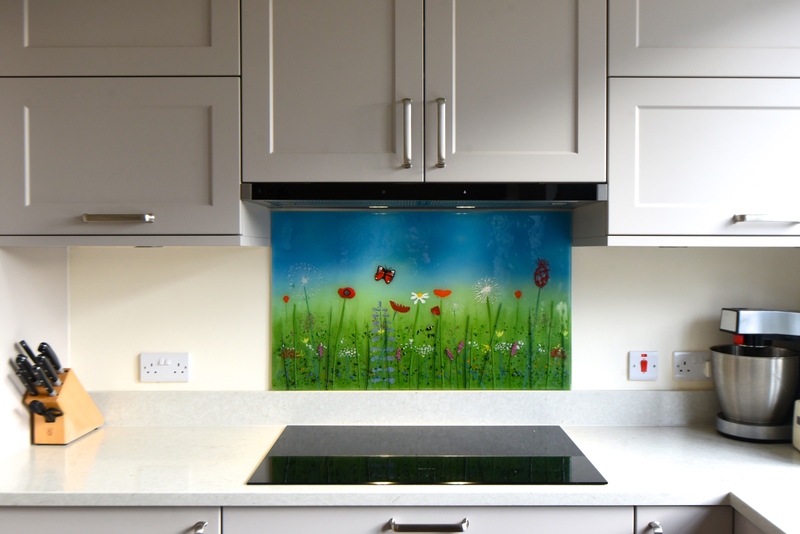 The fused glass art that we create is fully bespoke by design. 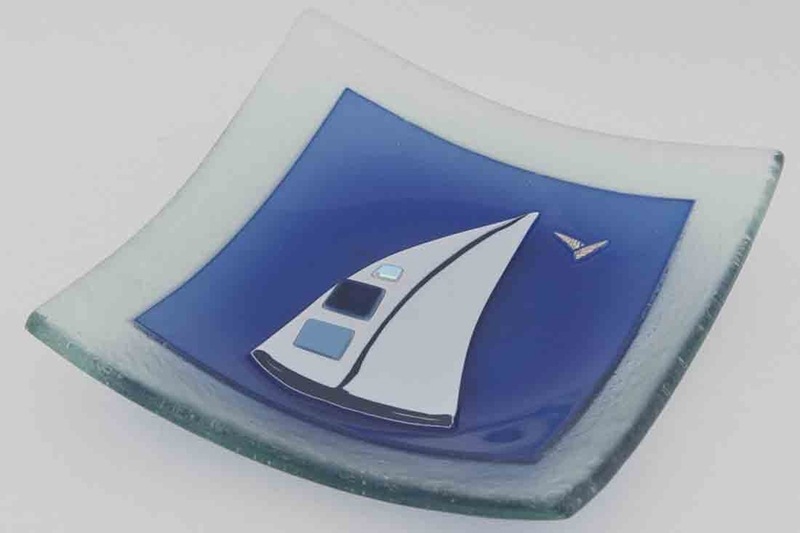 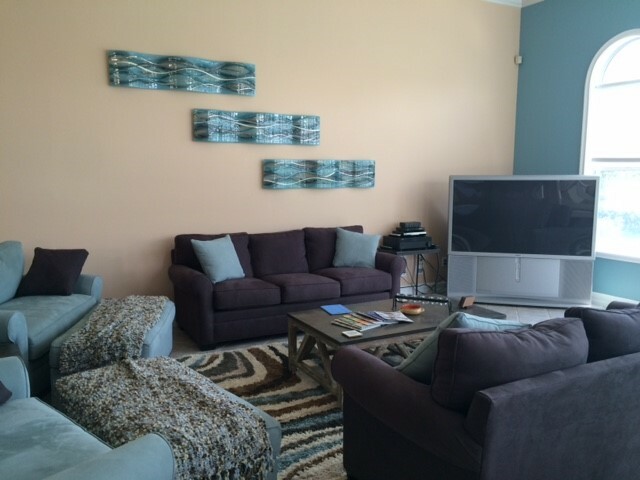 That means that our customers have a lot of input into how the piece looks. 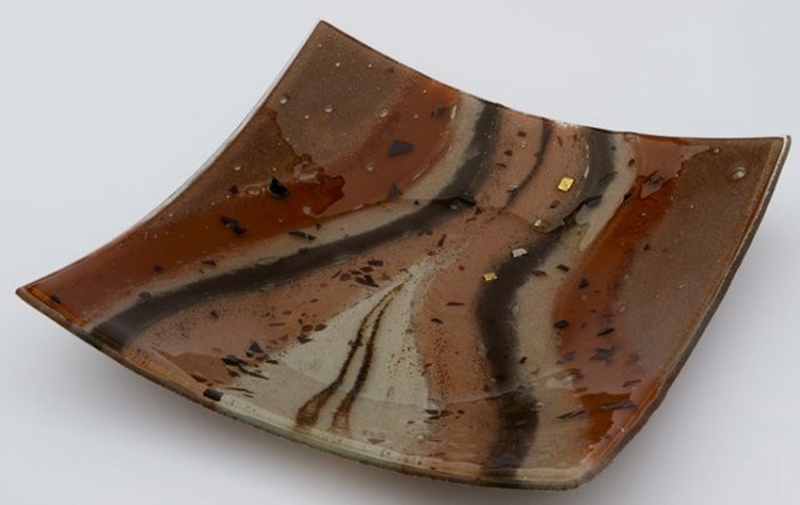 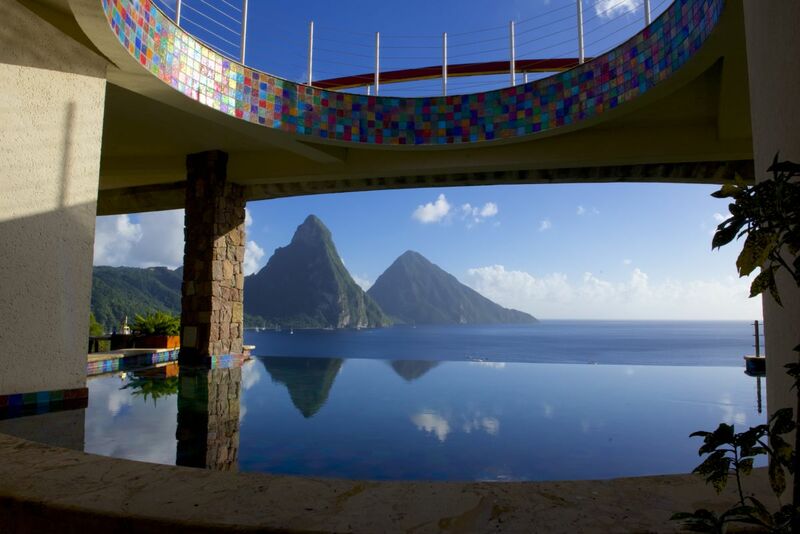 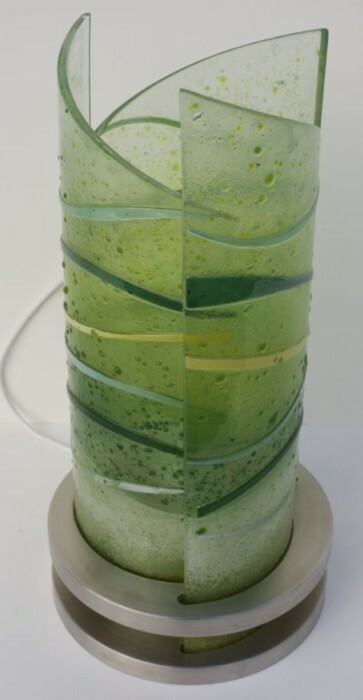 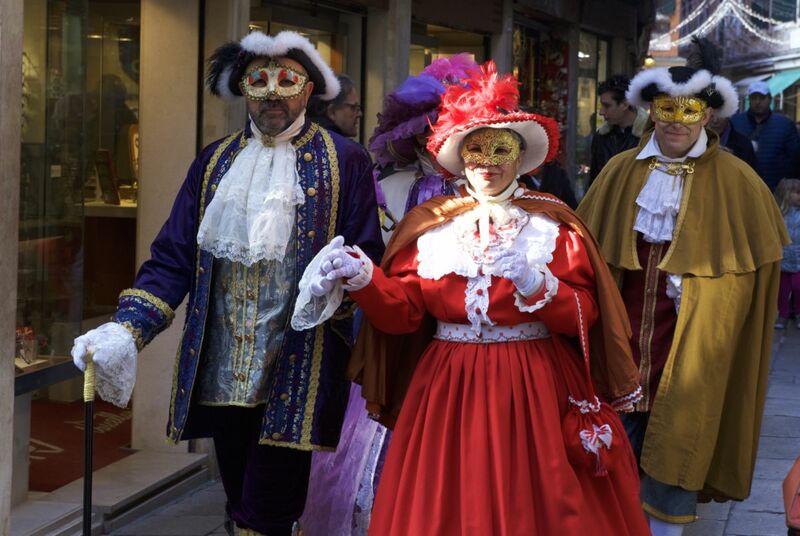 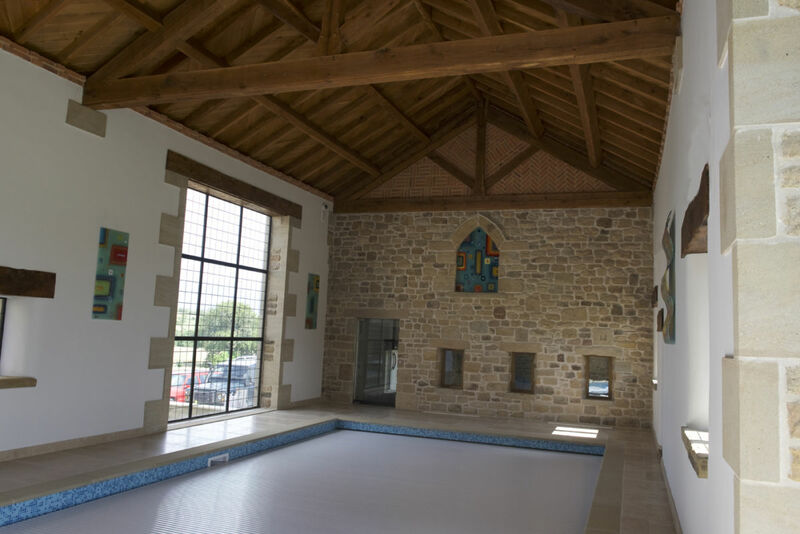 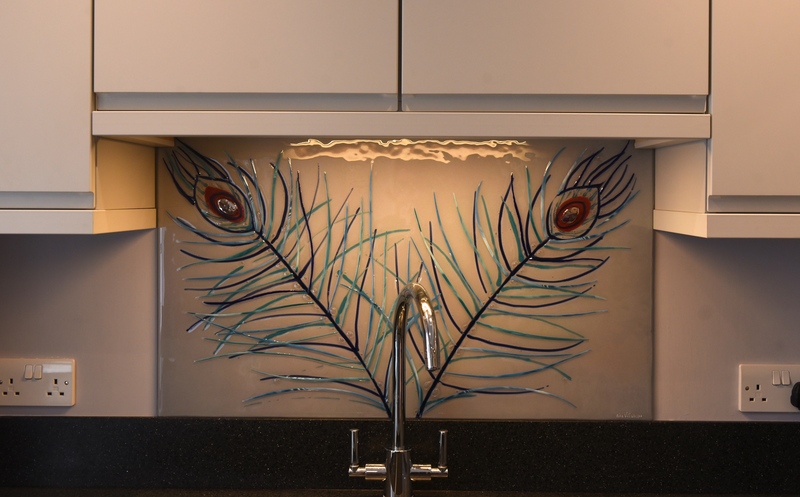 In fact, the glass is pretty much made according to their specifications, from dimensions and measurements all the way to the colours and elements of the design. 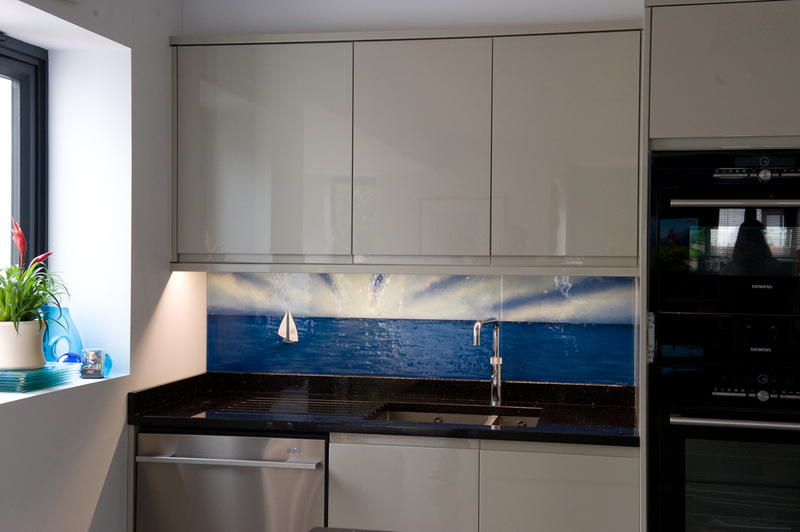 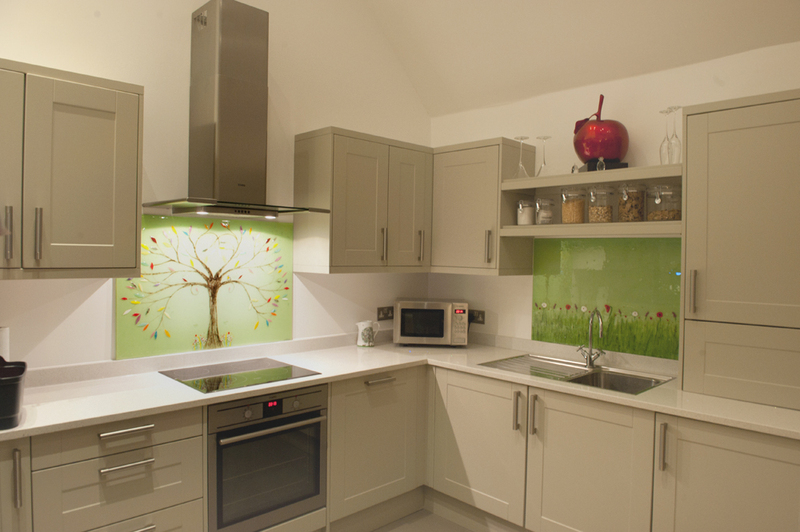 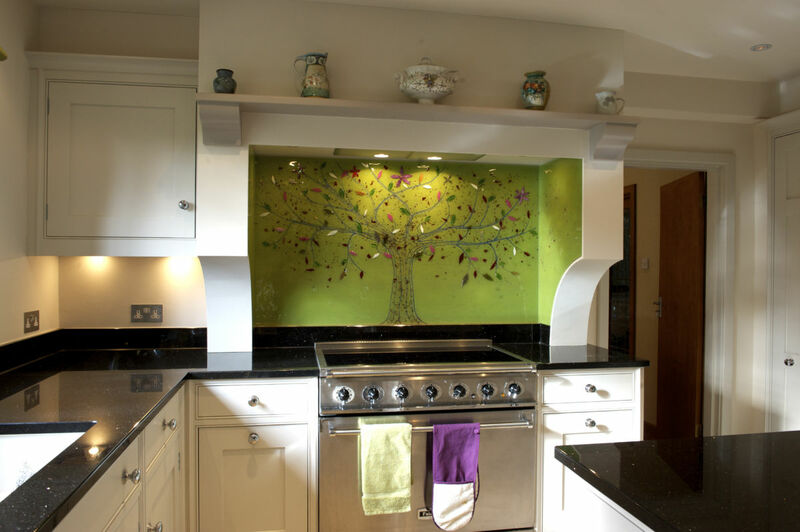 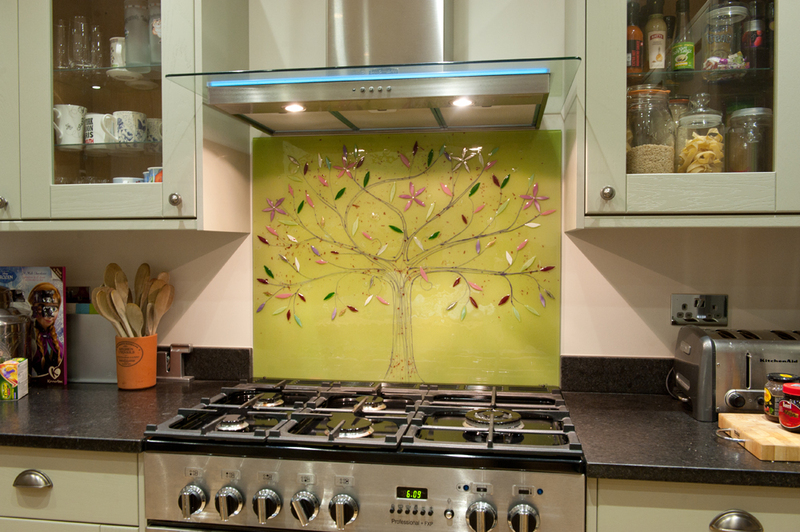 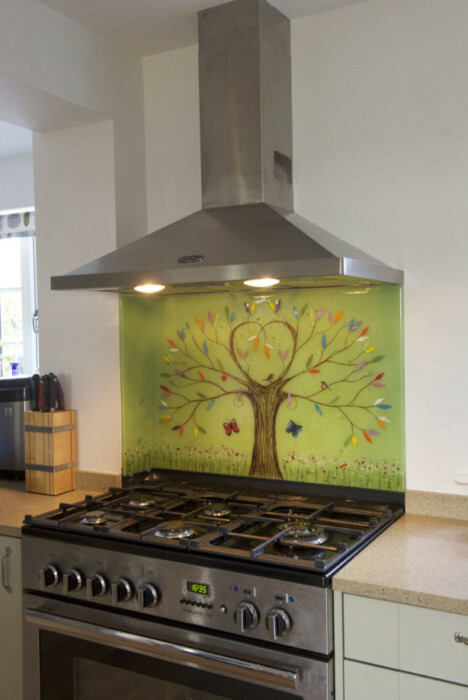 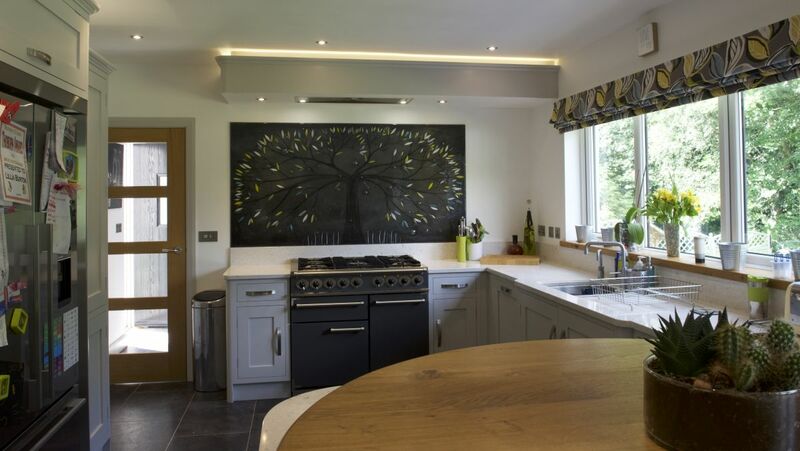 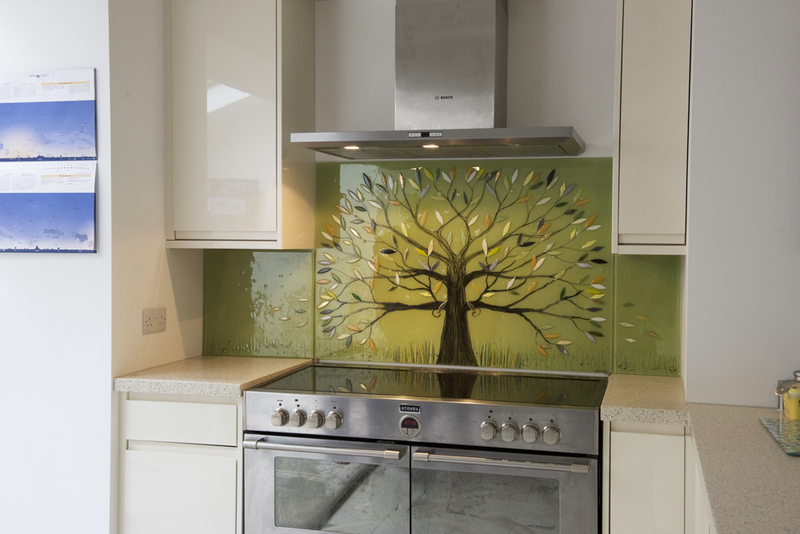 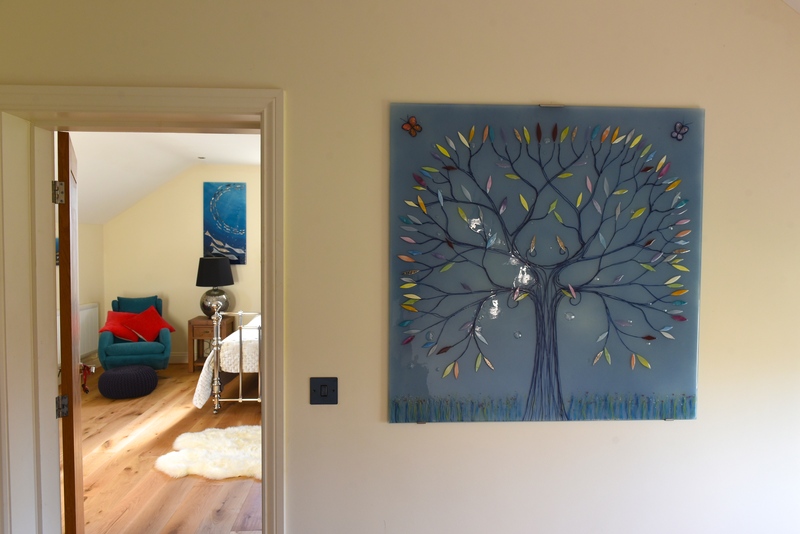 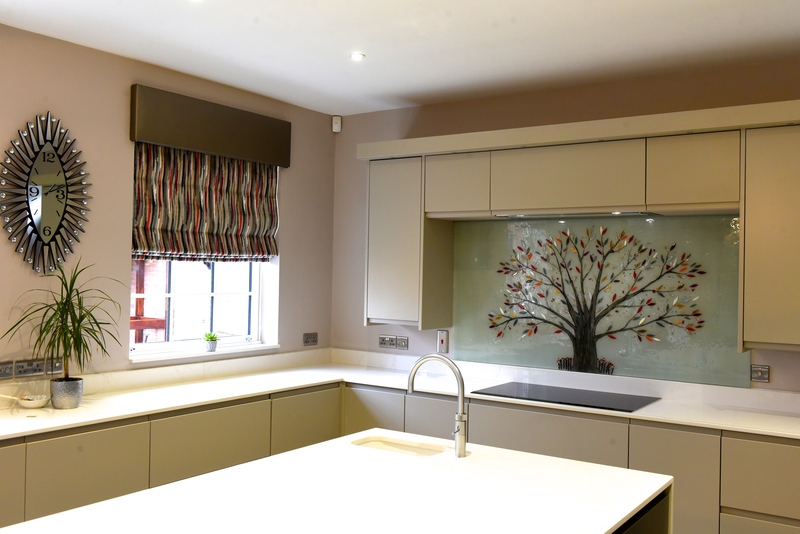 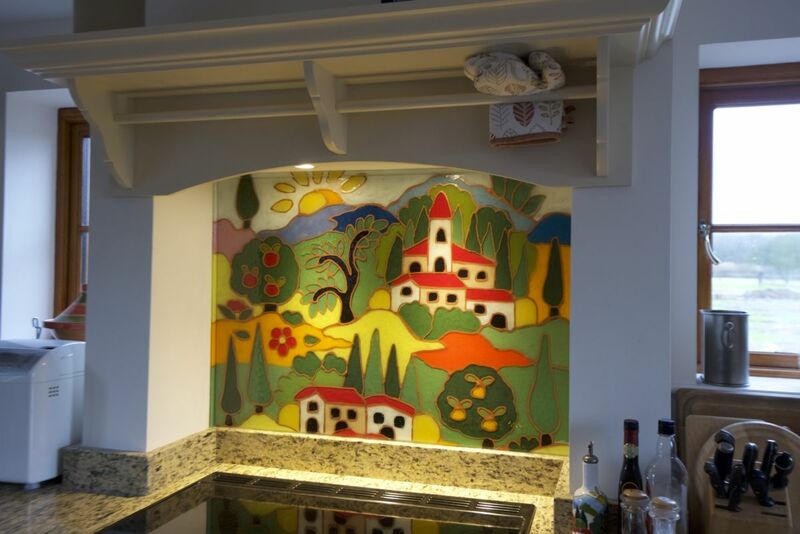 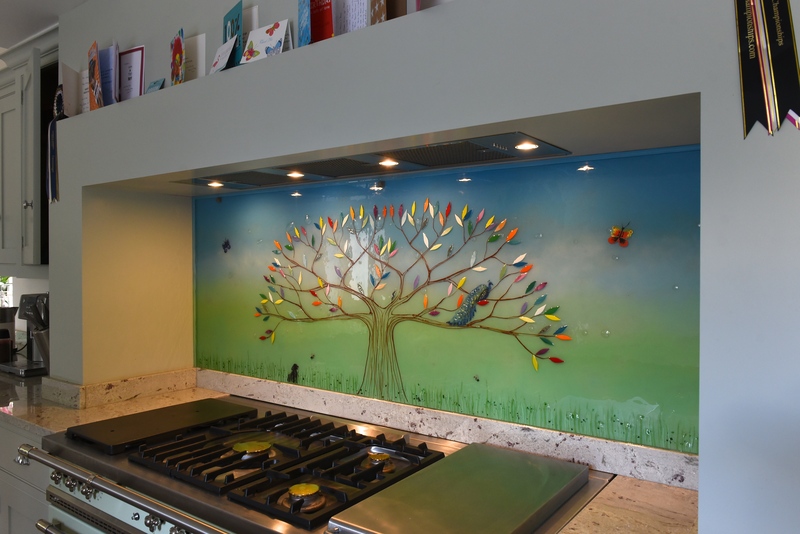 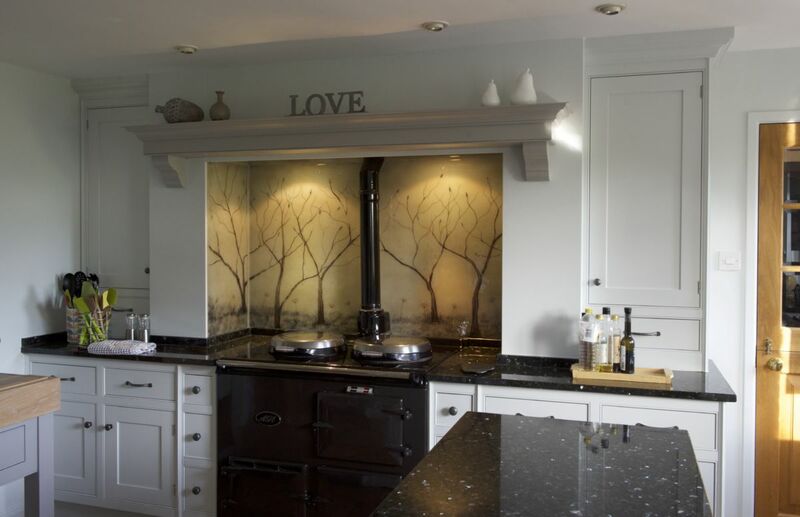 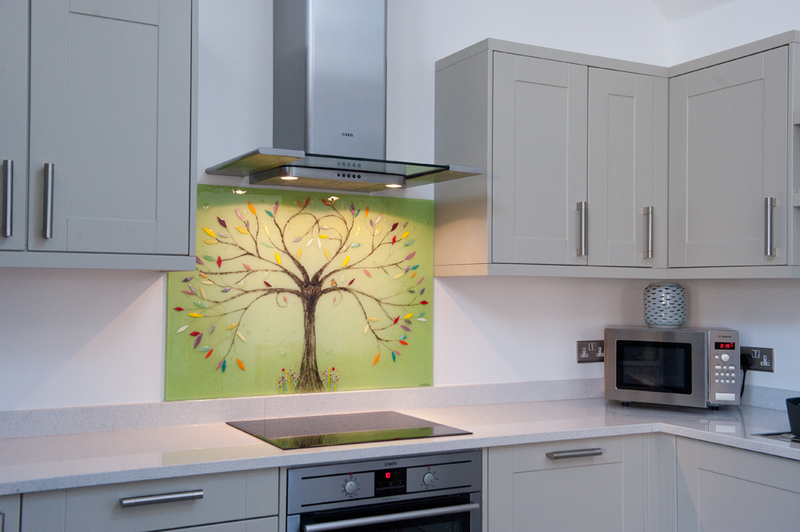 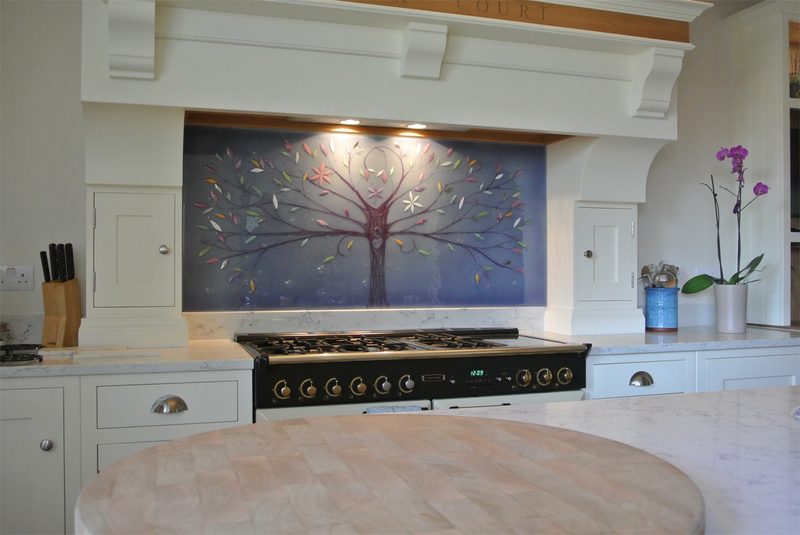 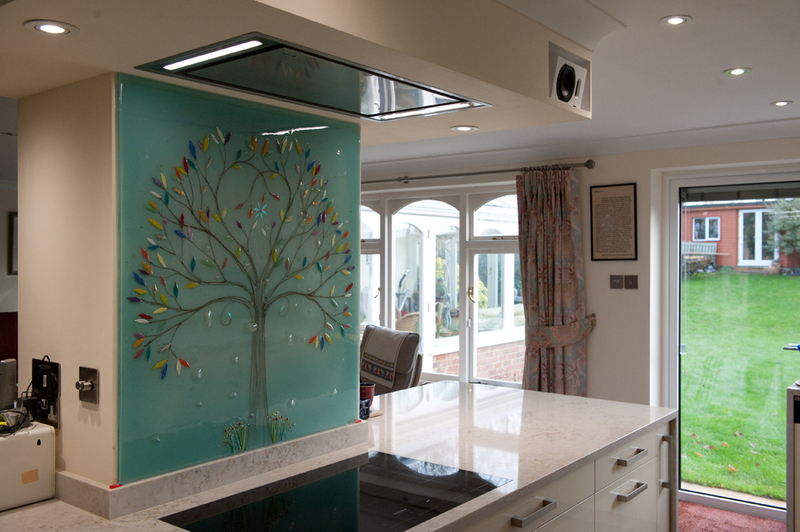 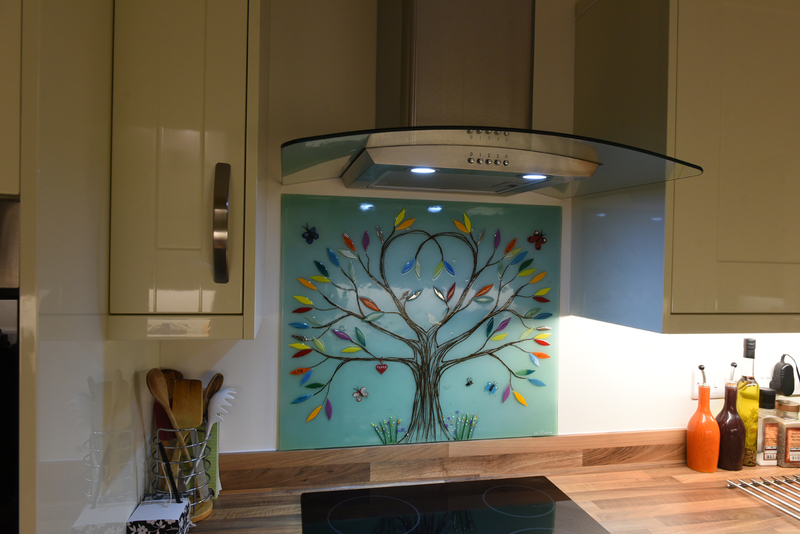 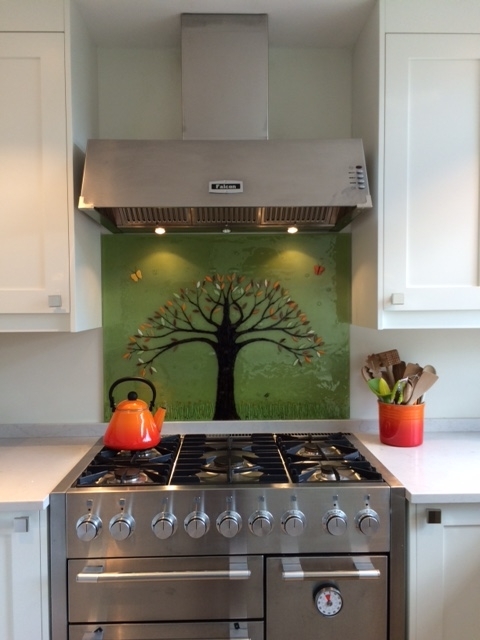 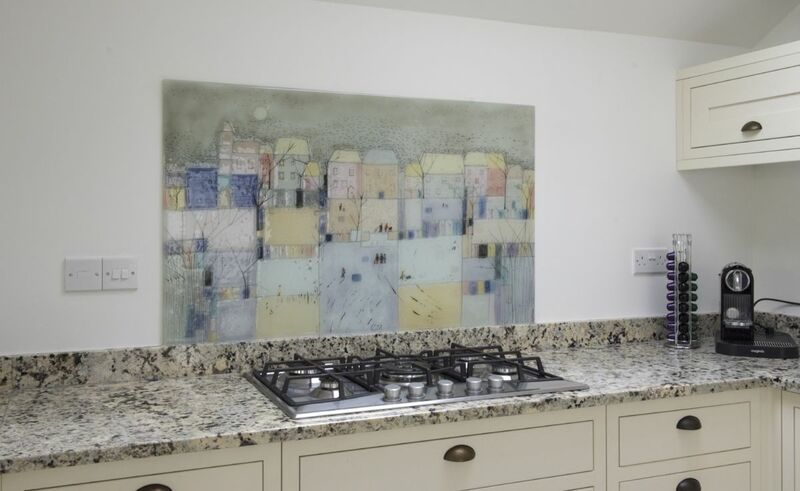 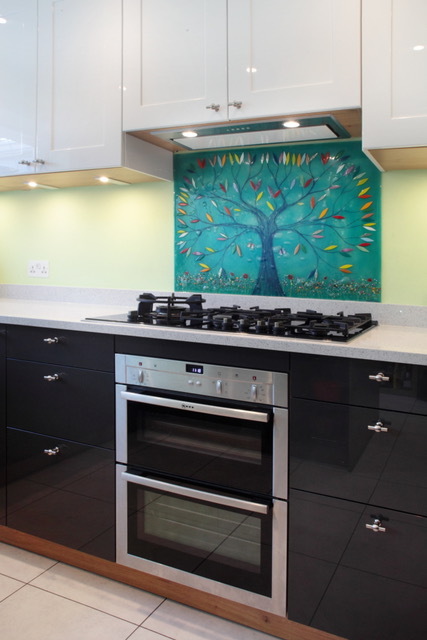 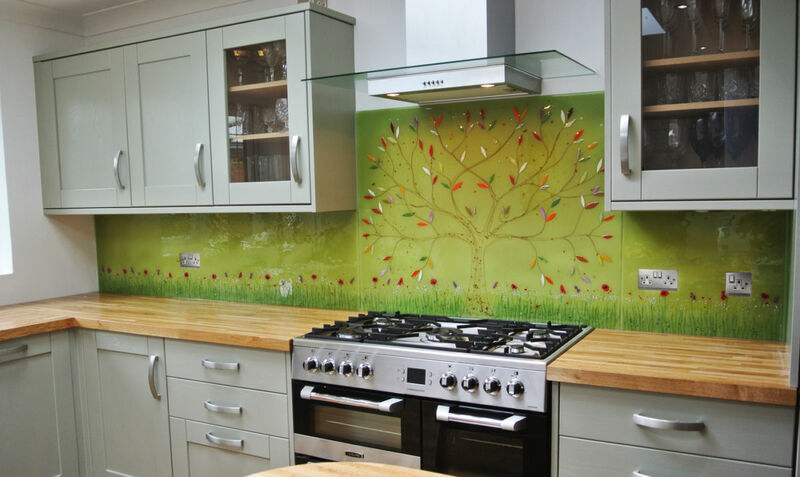 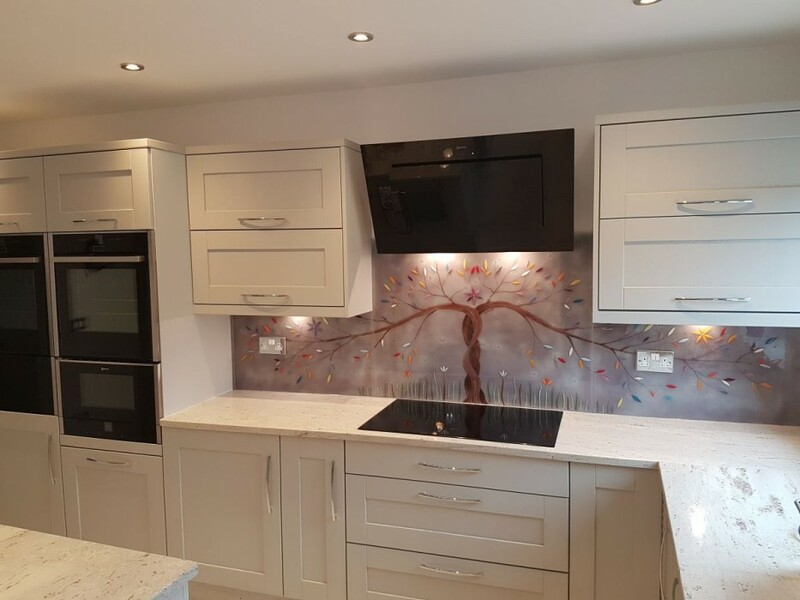 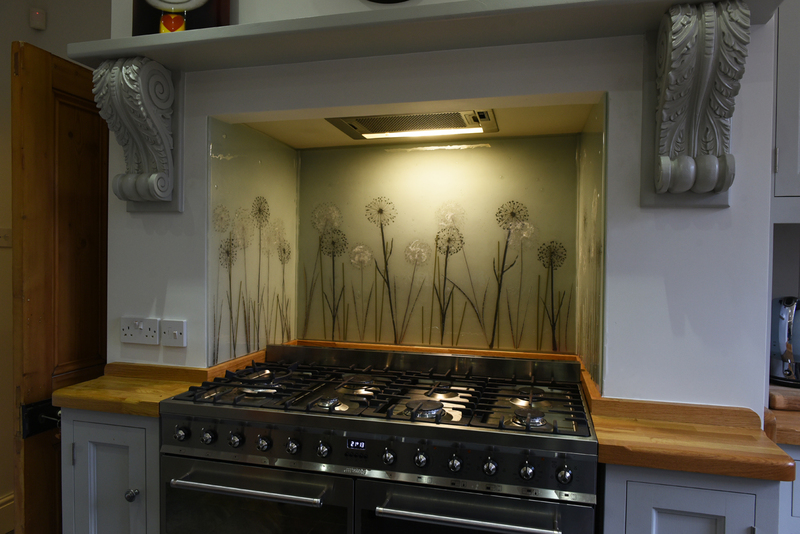 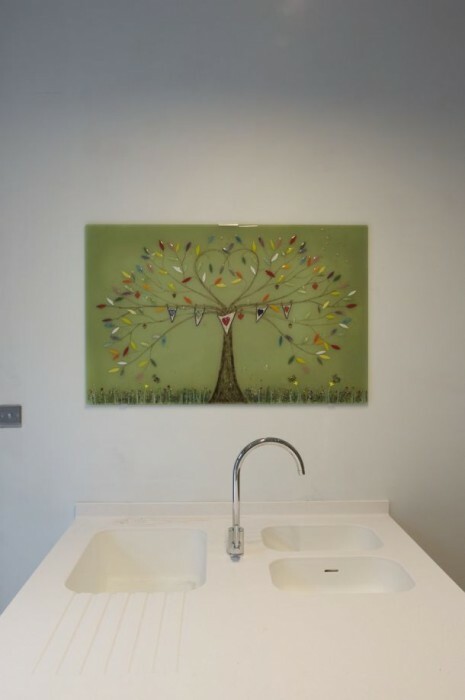 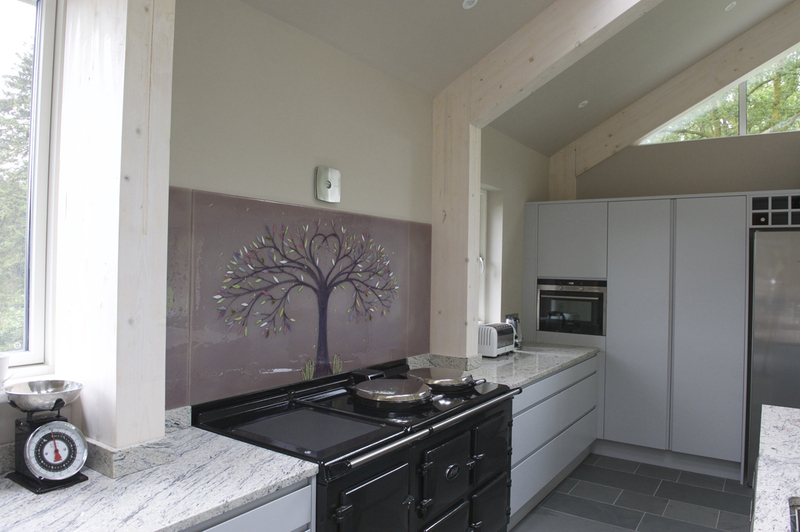 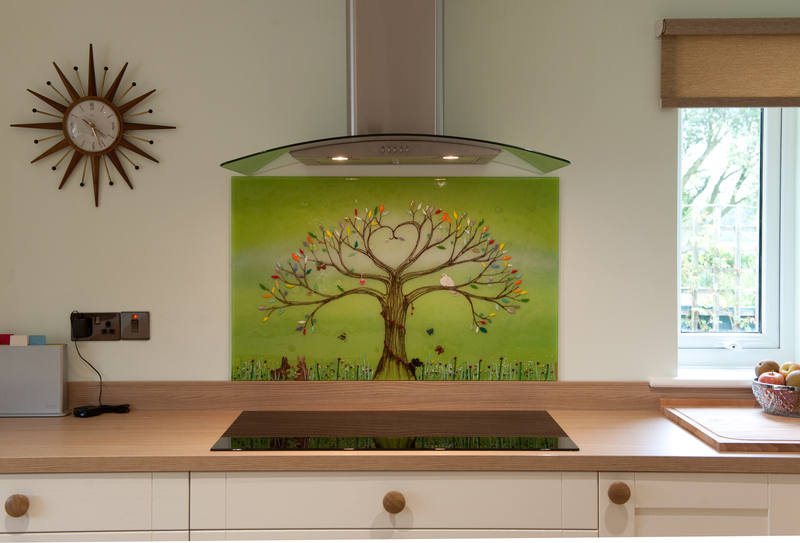 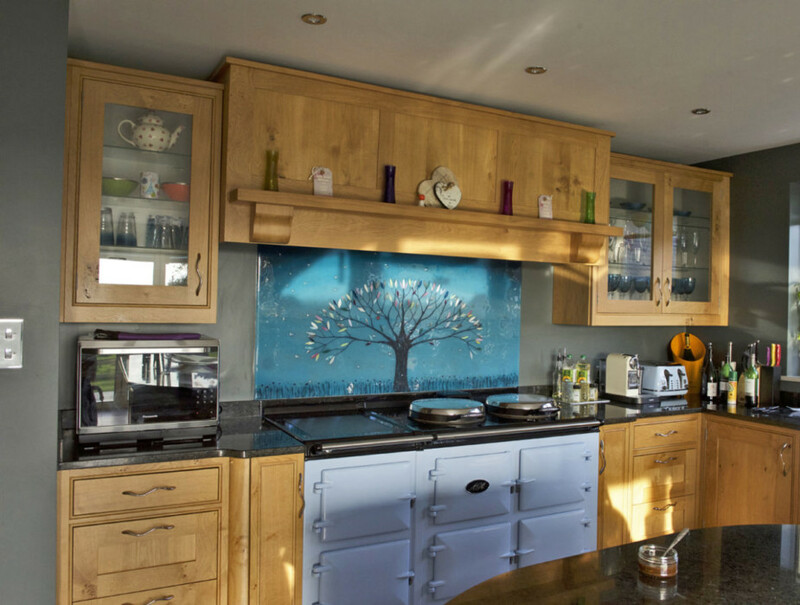 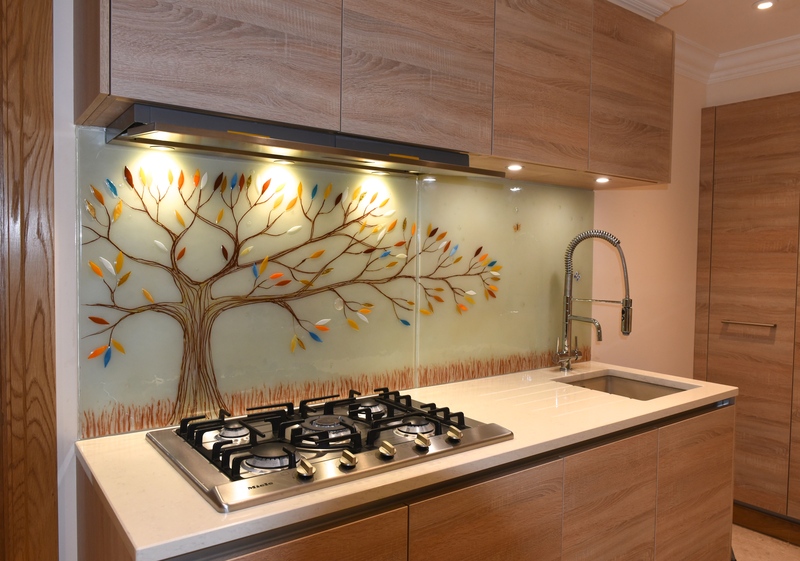 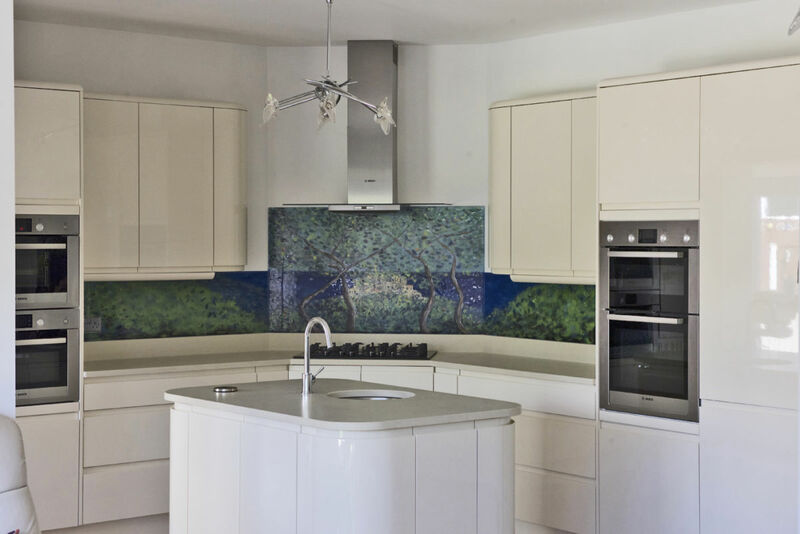 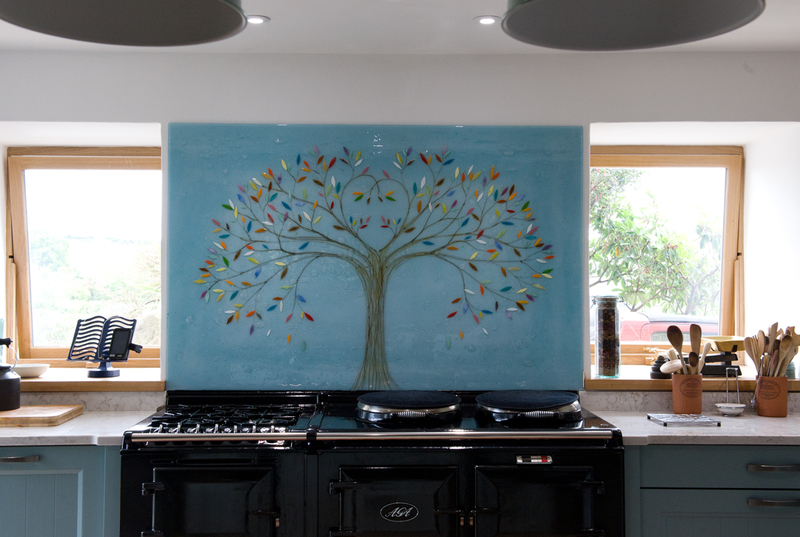 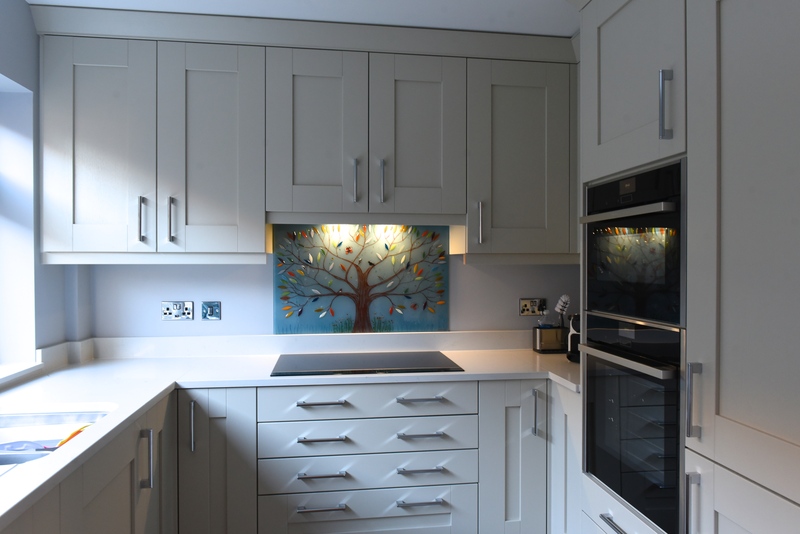 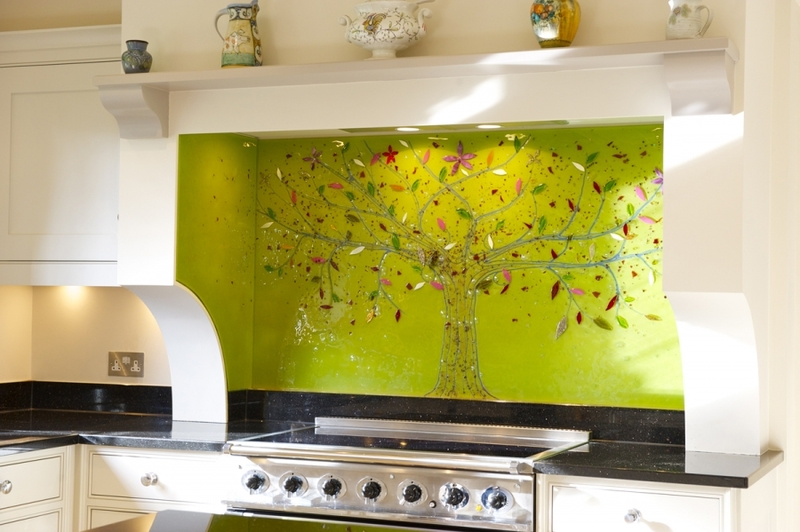 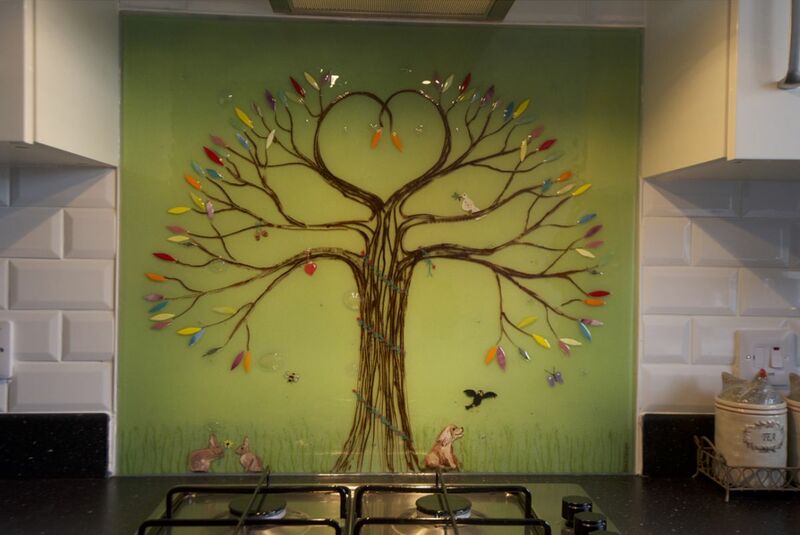 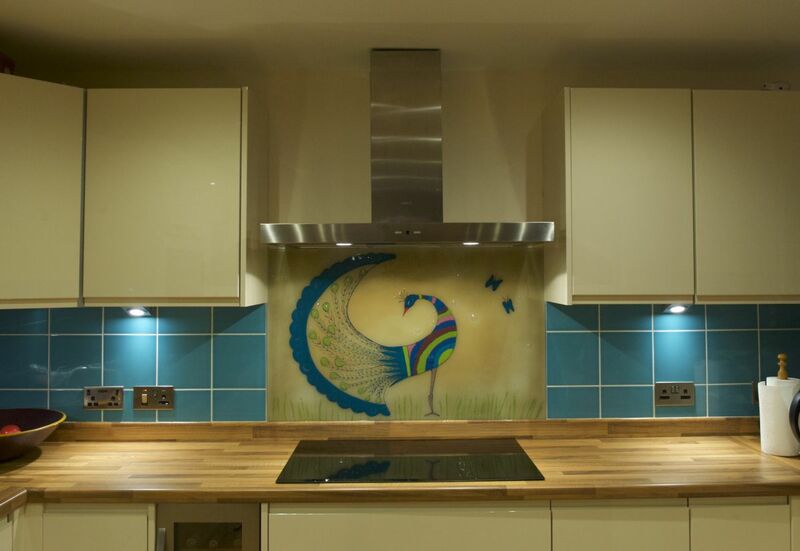 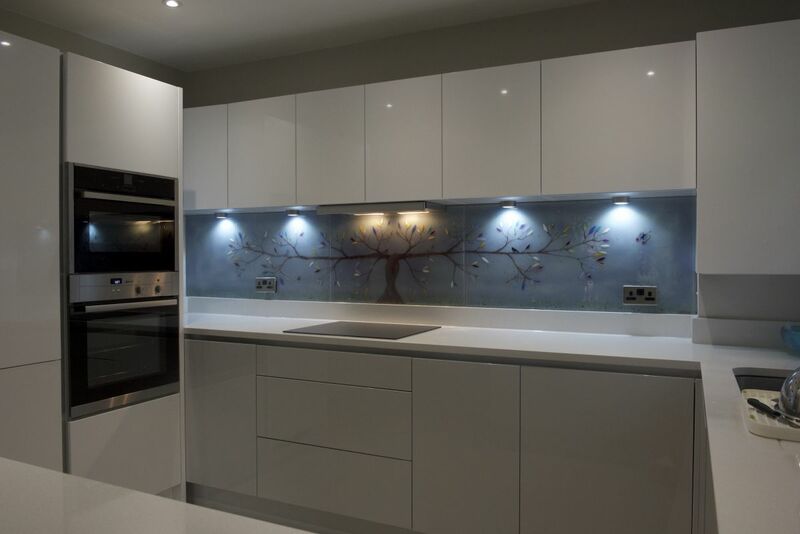 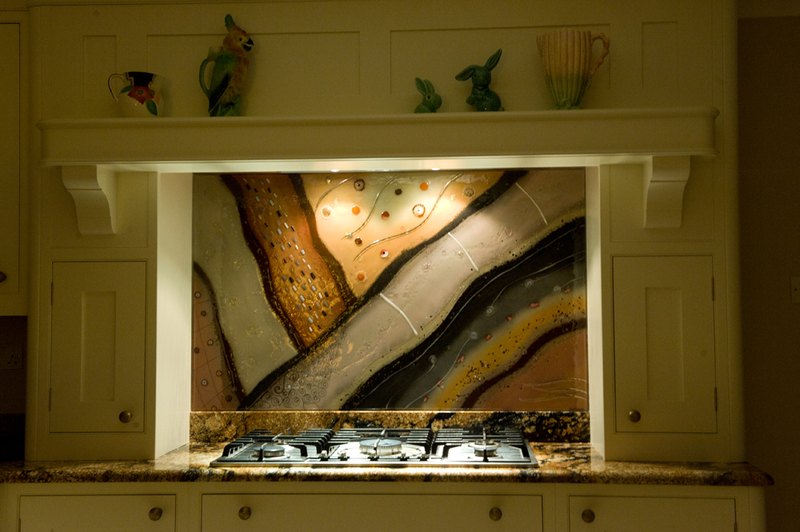 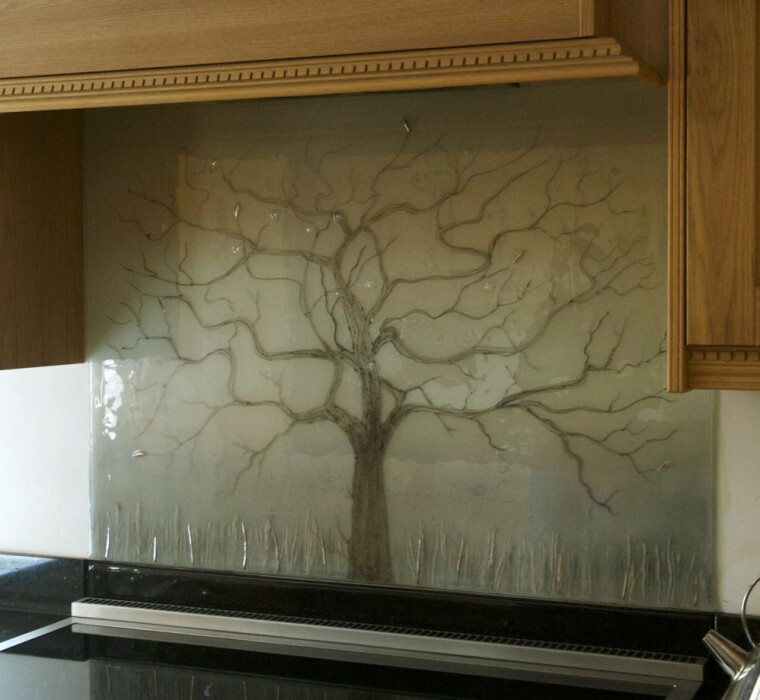 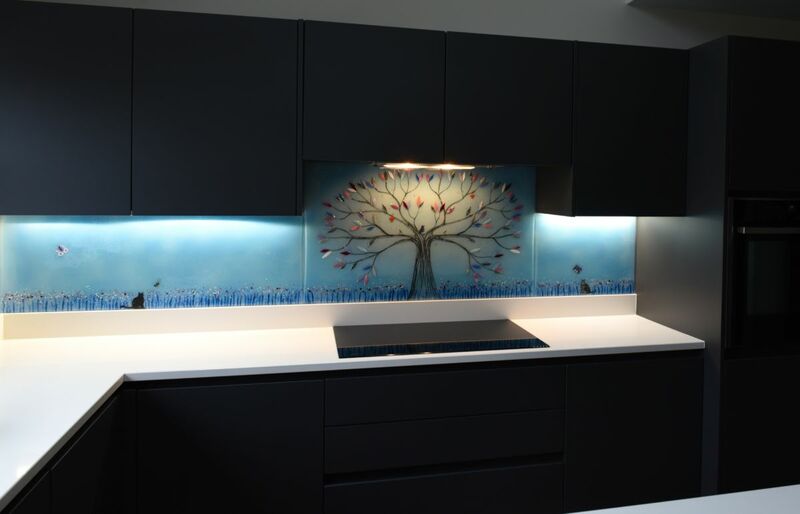 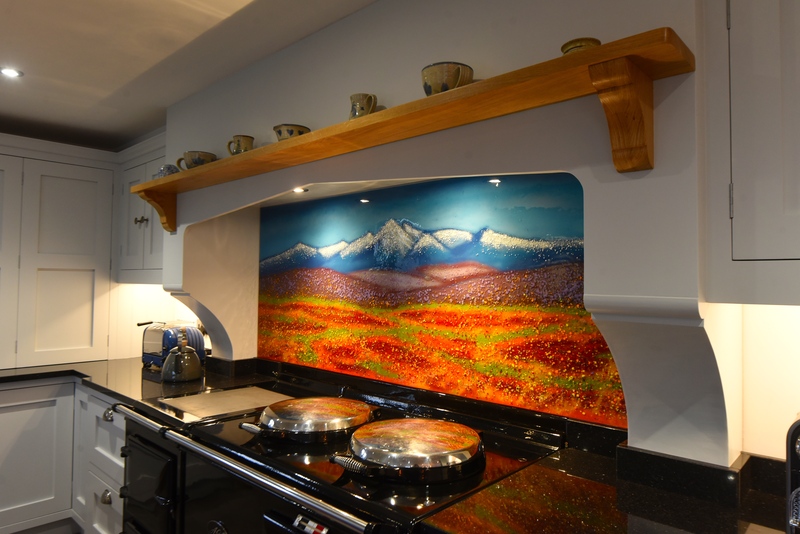 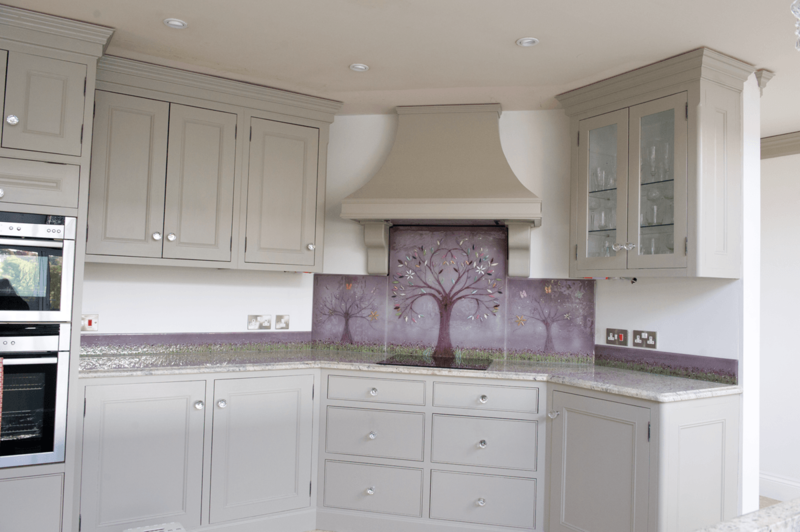 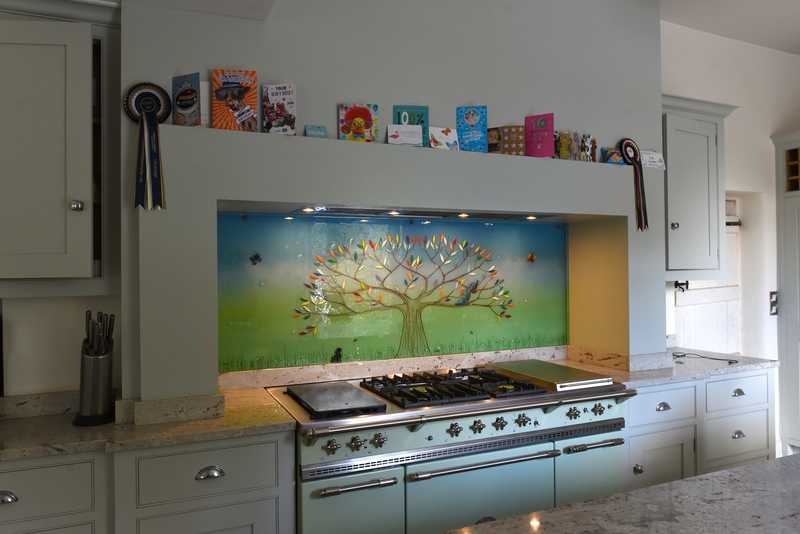 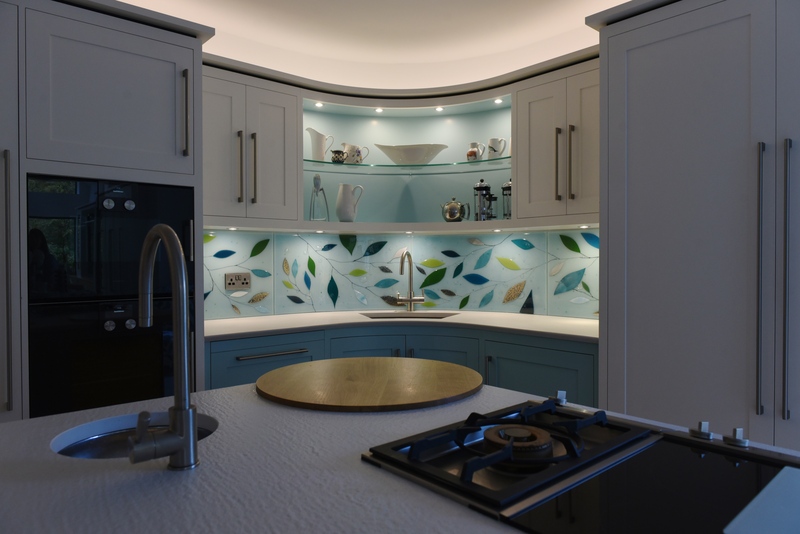 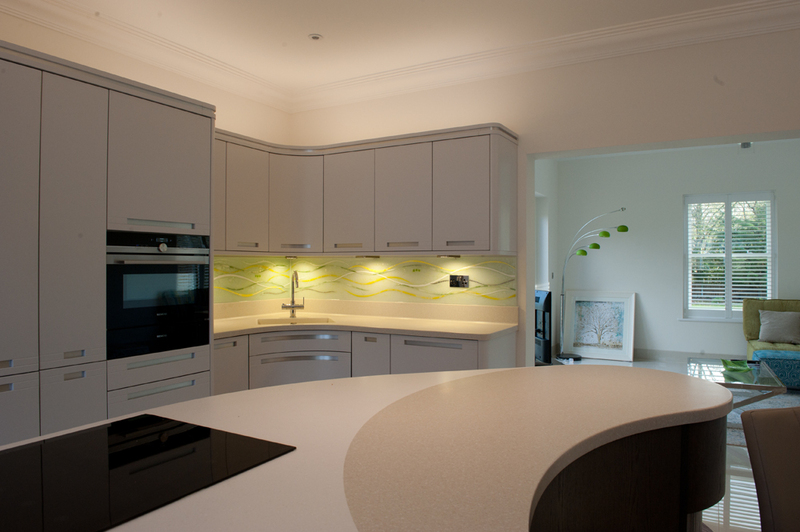 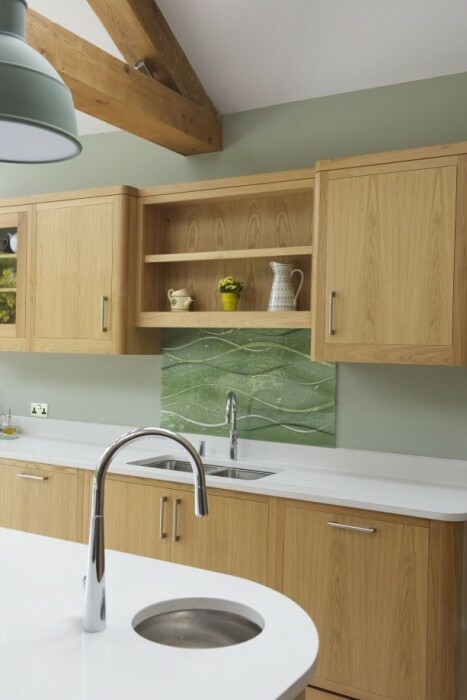 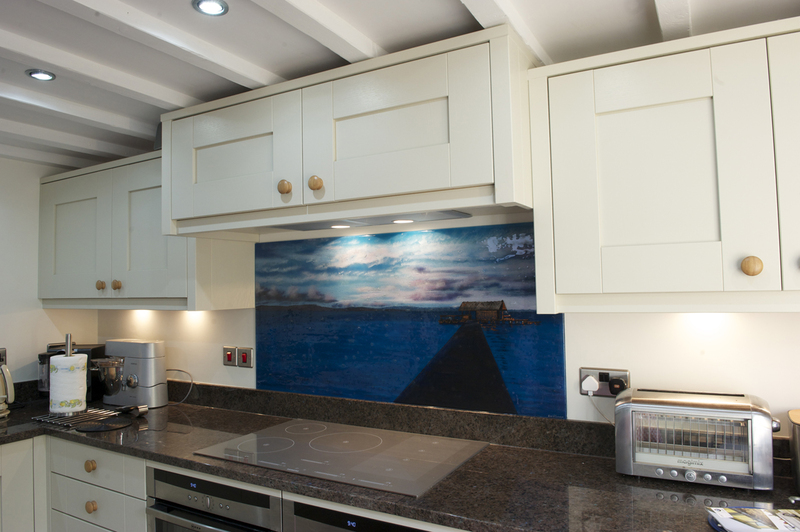 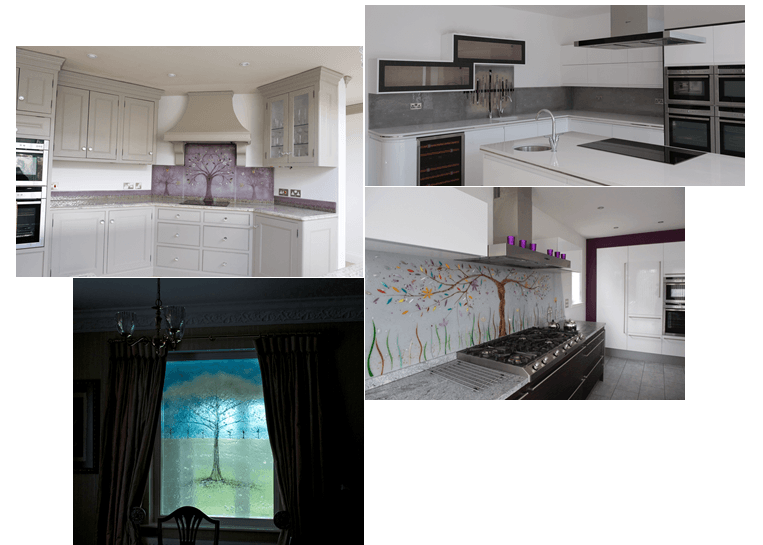 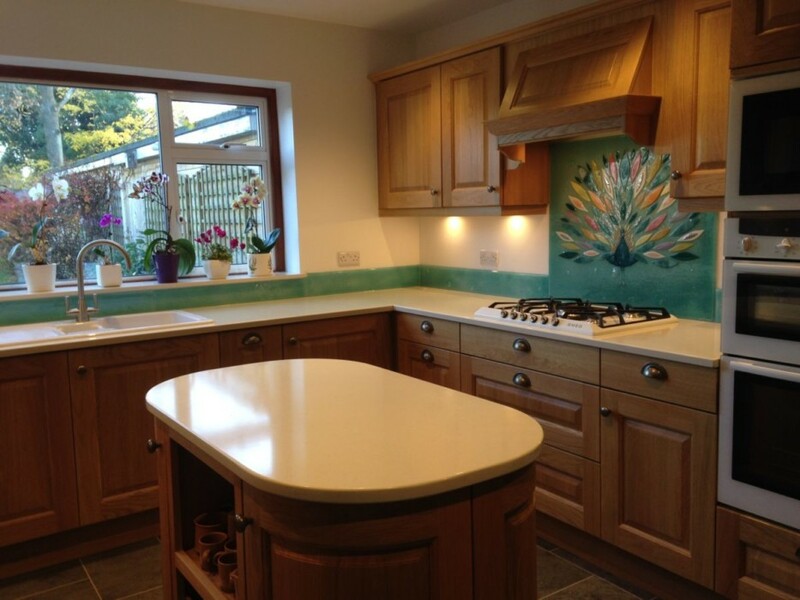 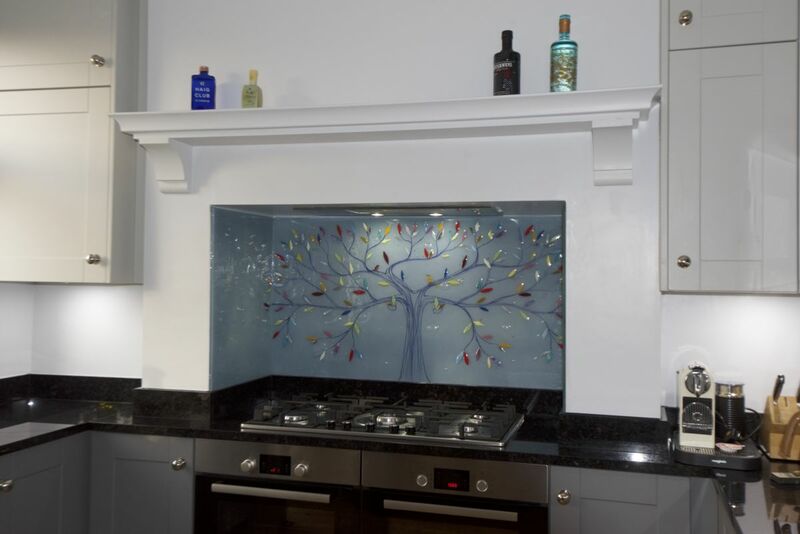 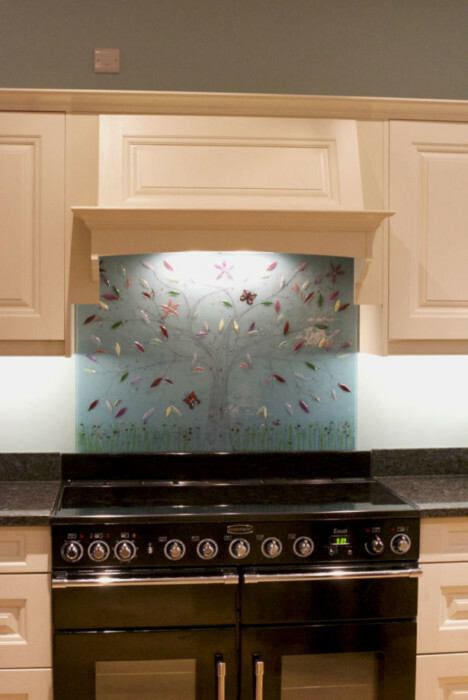 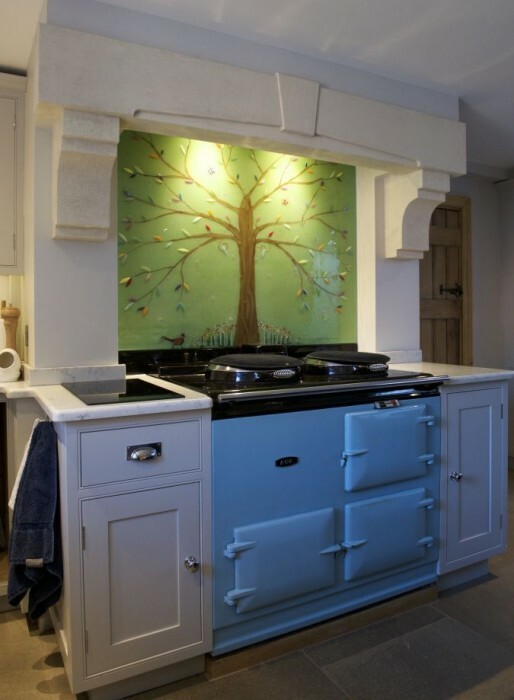 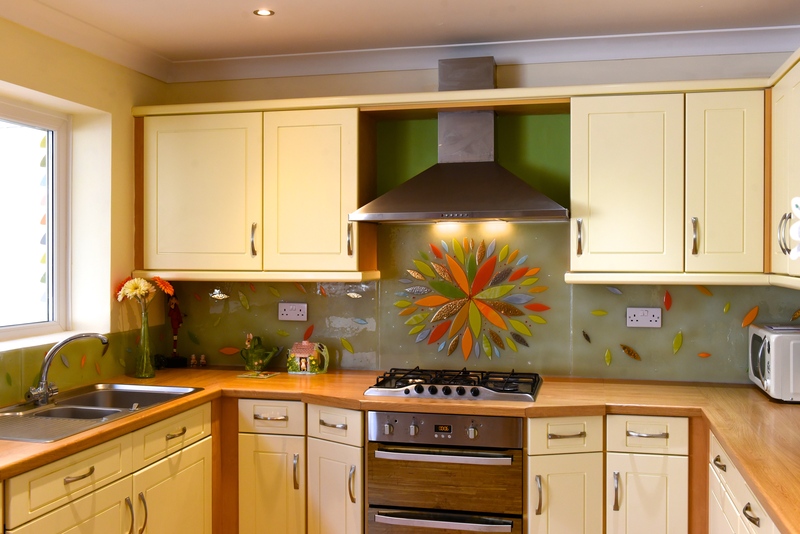 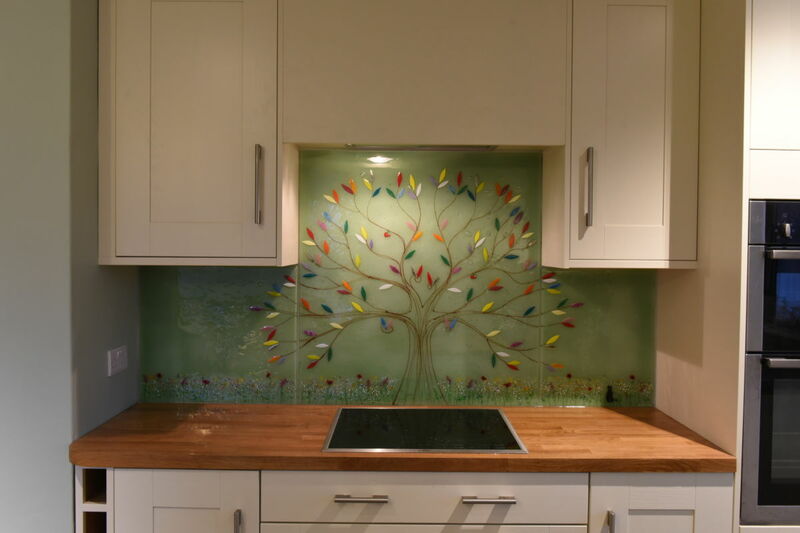 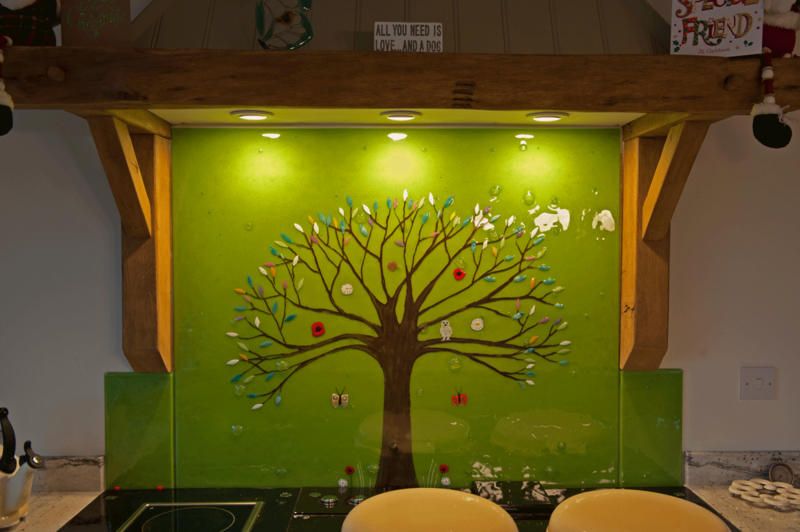 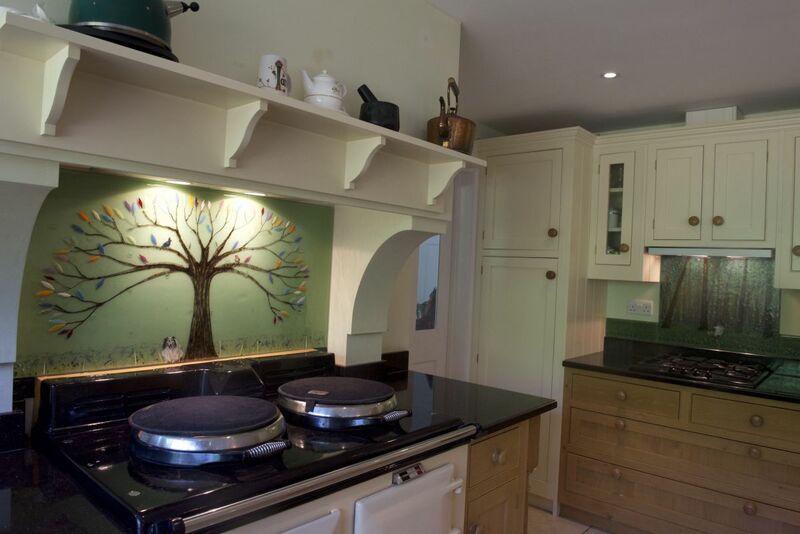 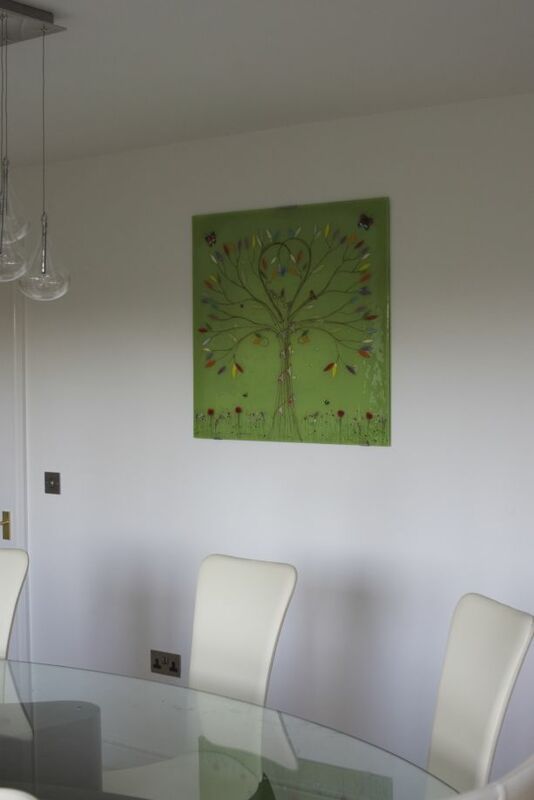 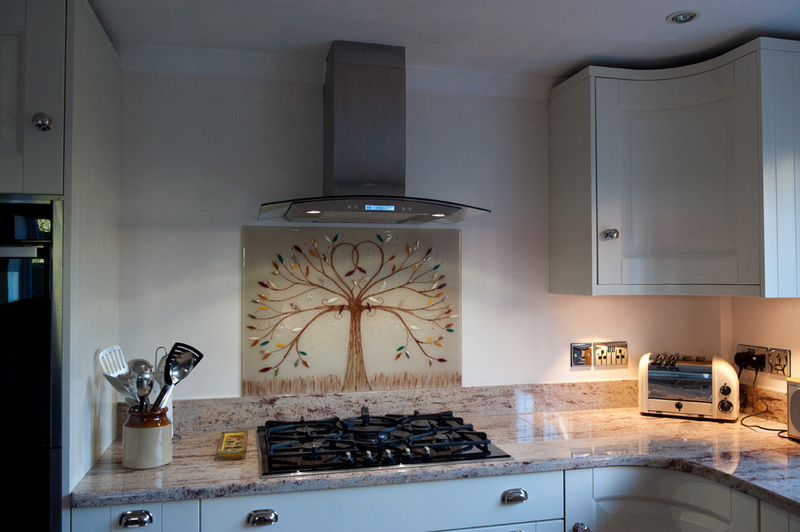 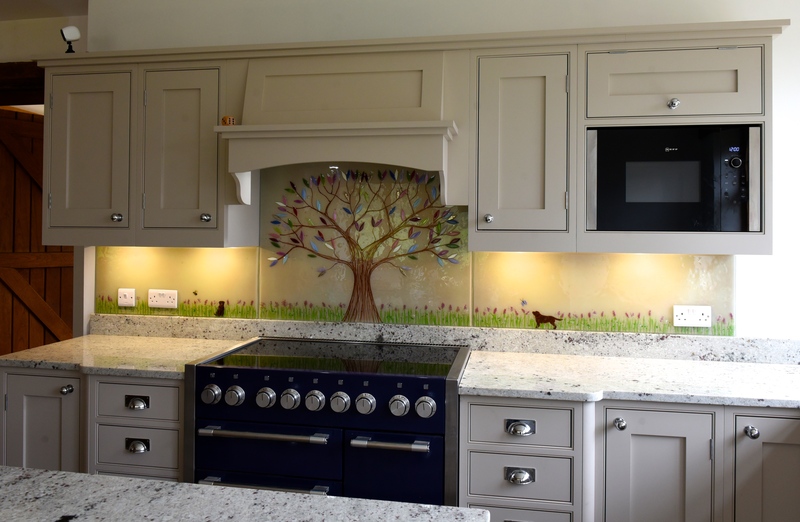 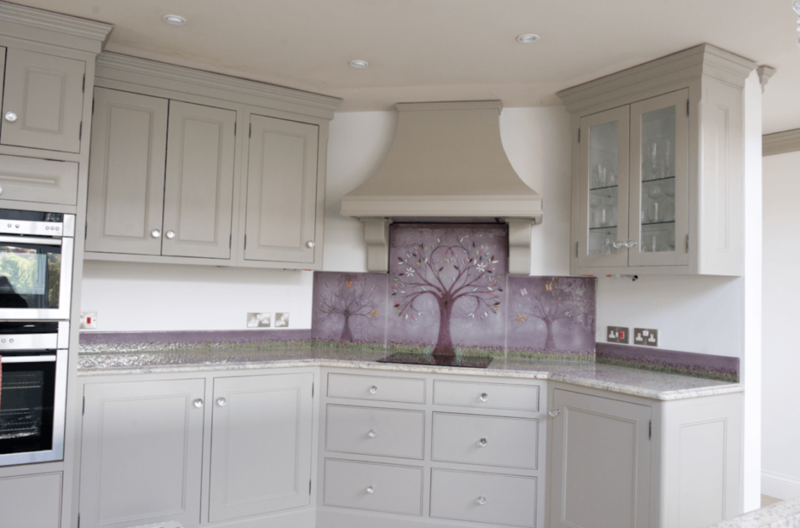 The classic Tree of Life design is a customer favourite for bespoke kitchen splashback designs. 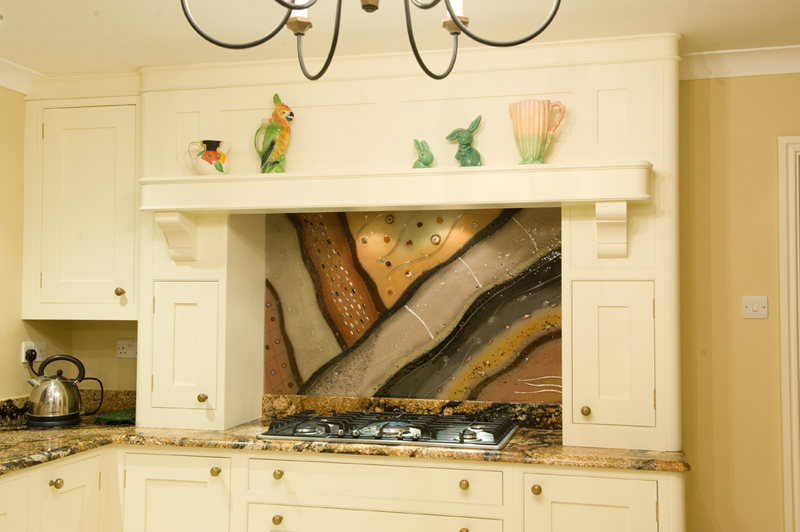 We’re often asked to create something completely original and never done before. 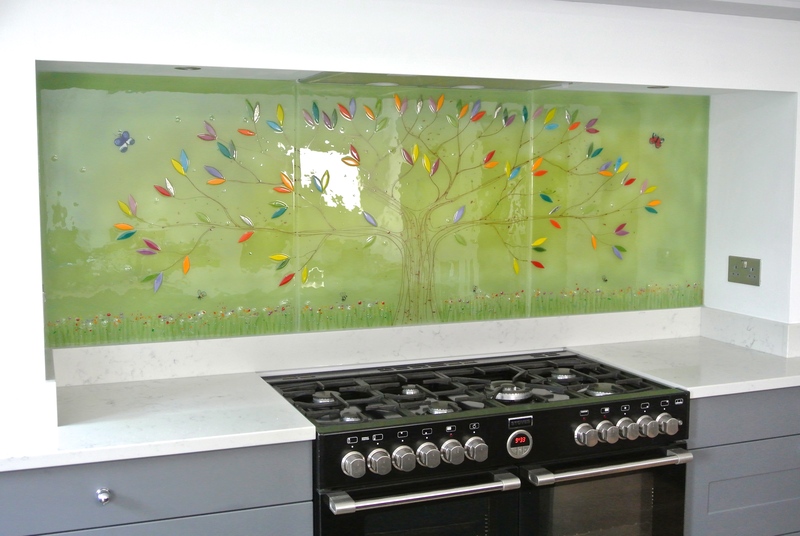 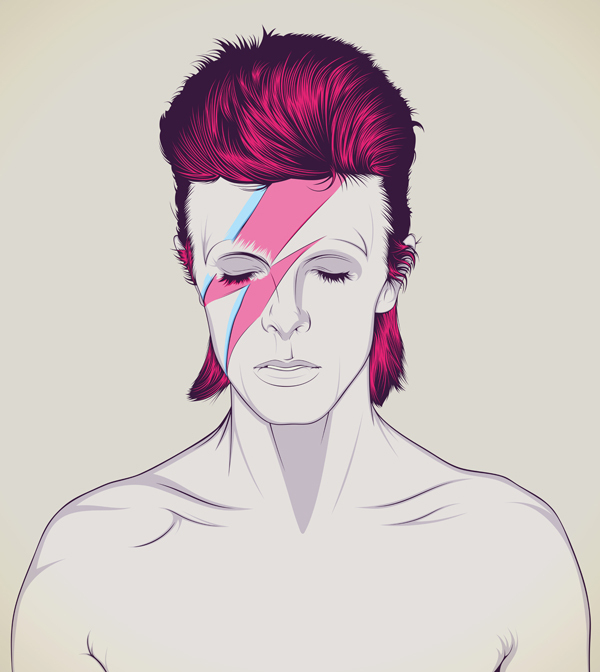 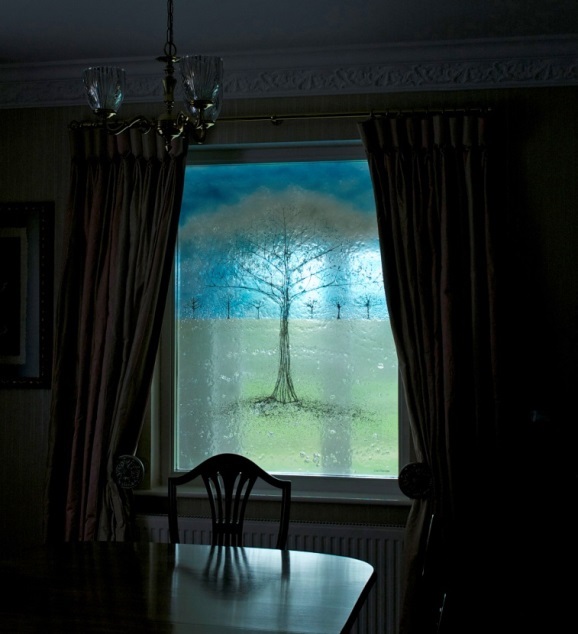 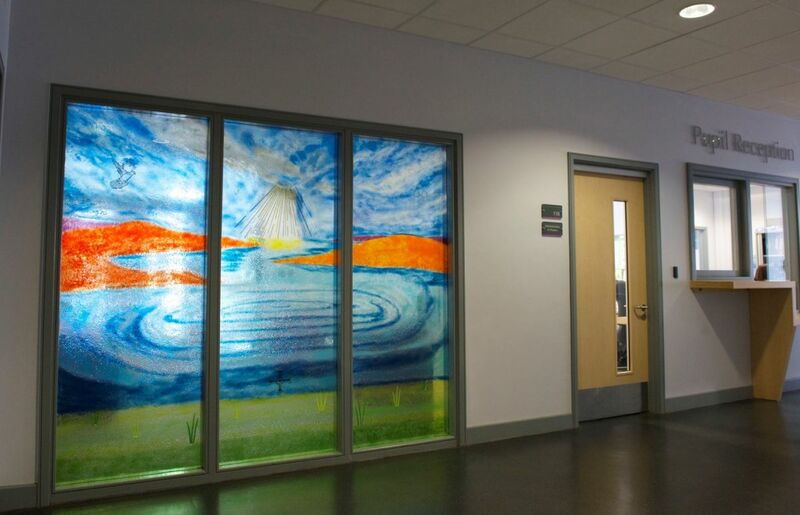 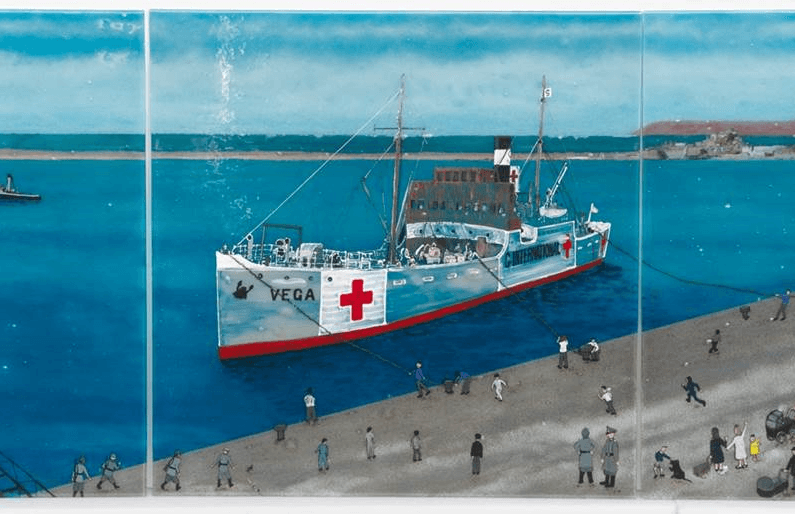 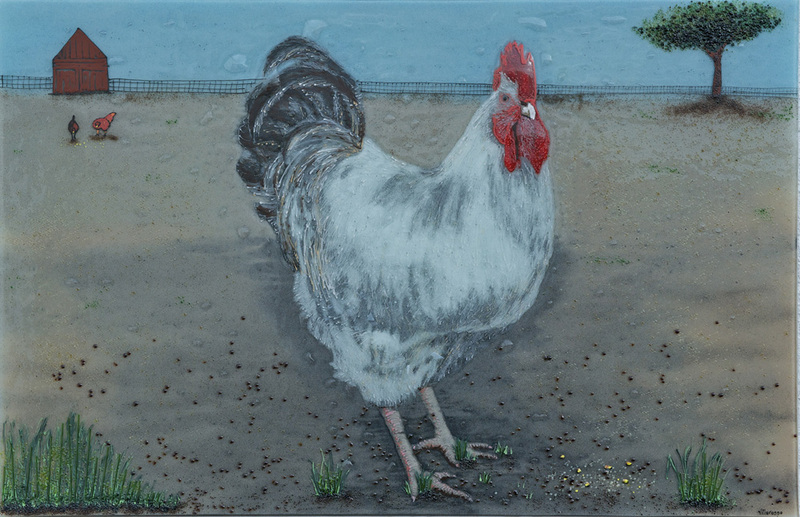 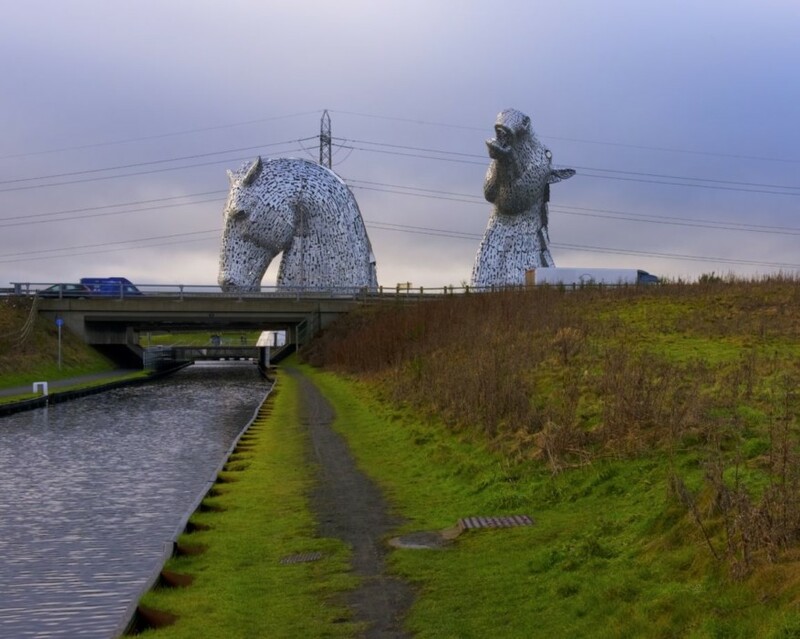 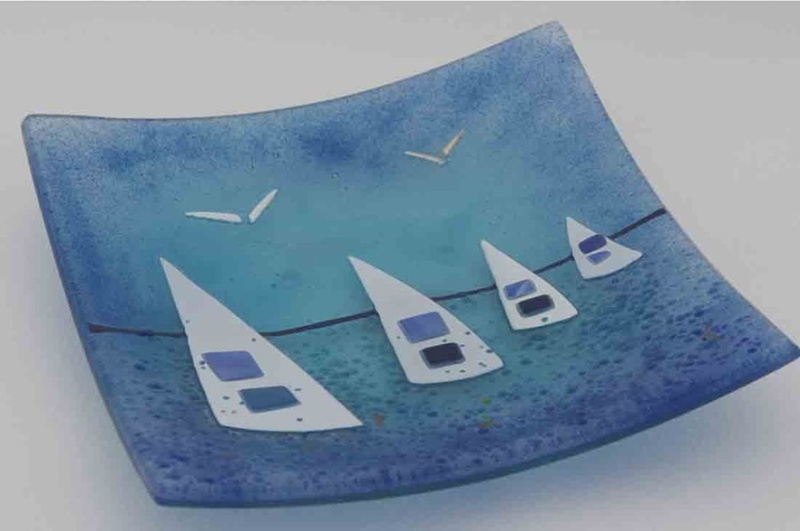 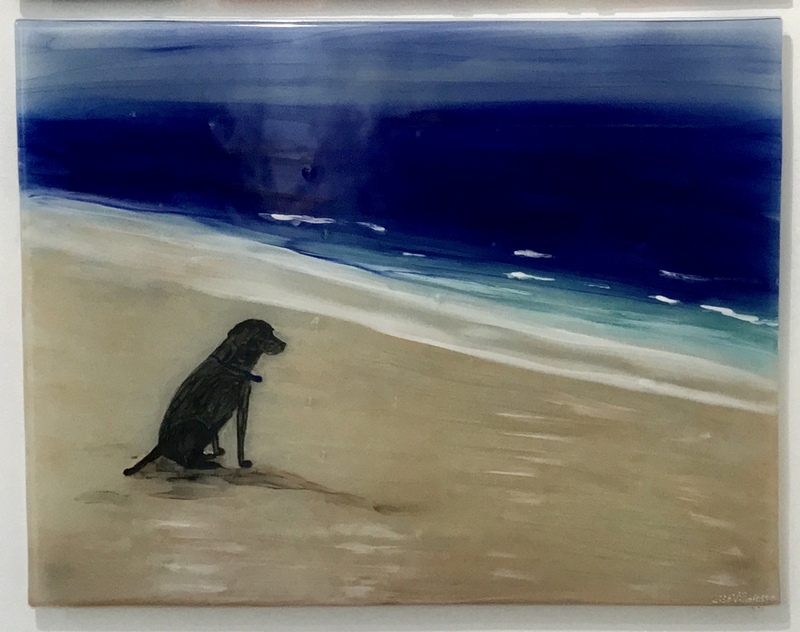 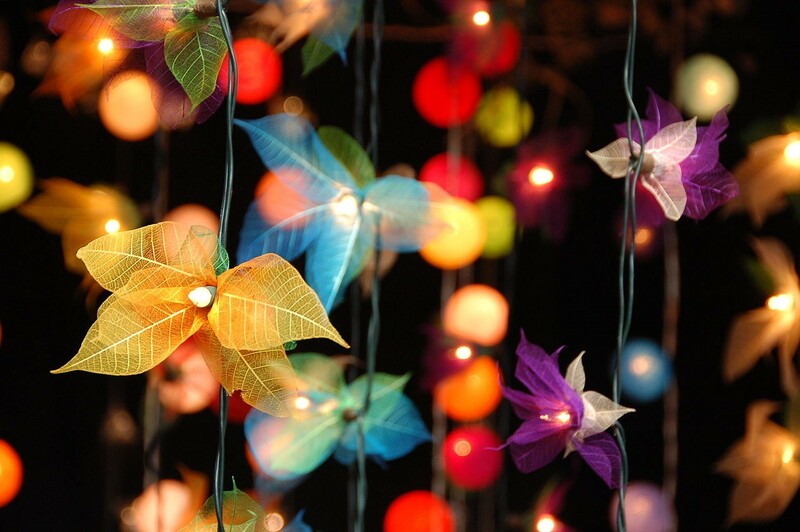 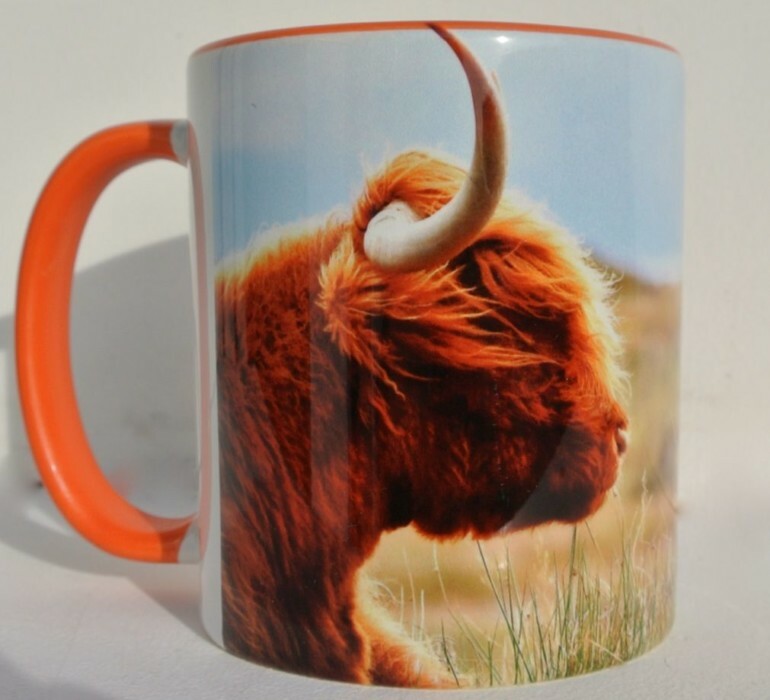 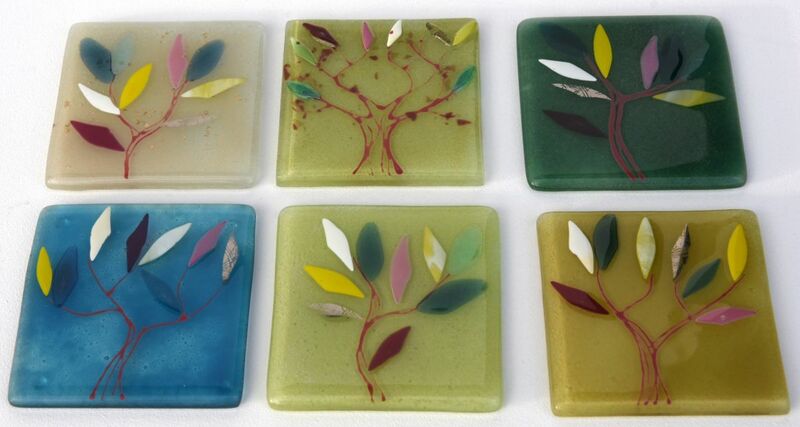 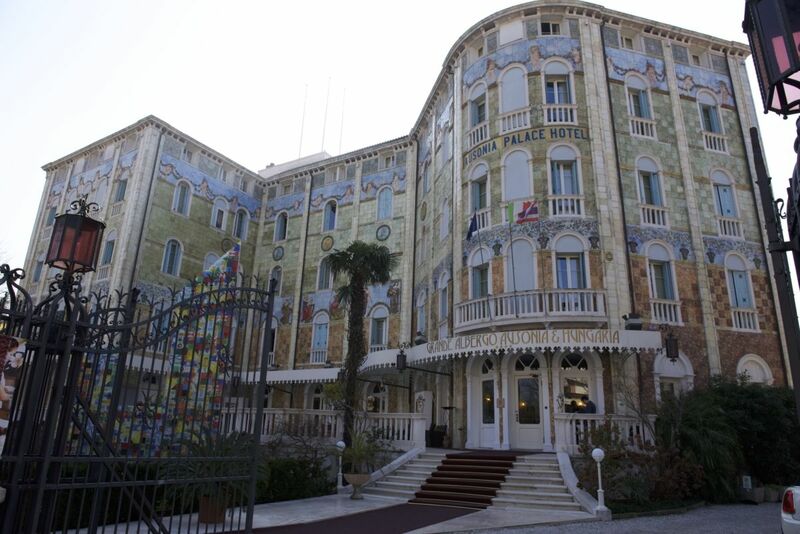 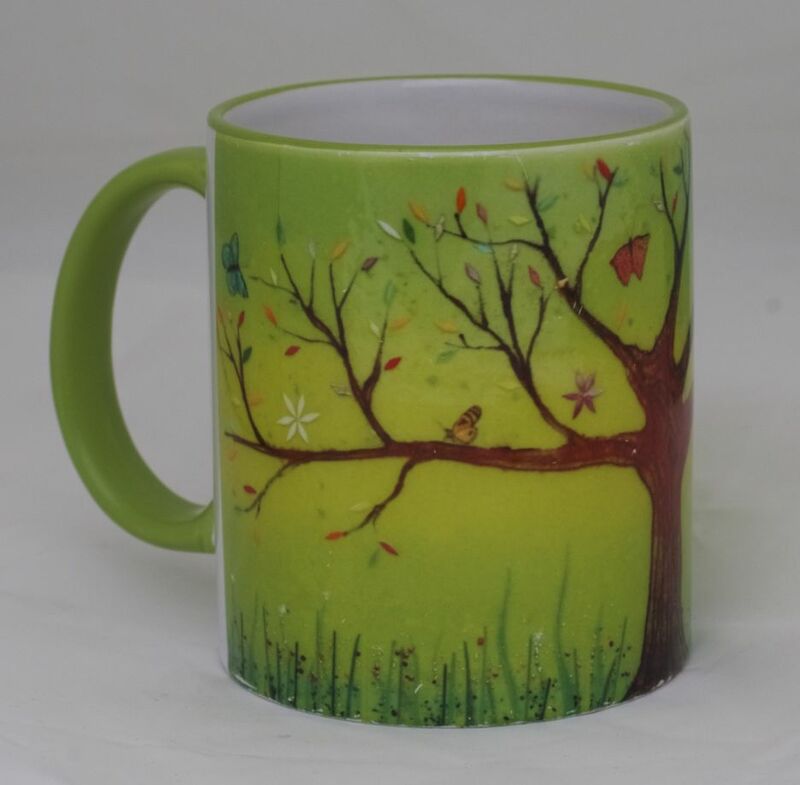 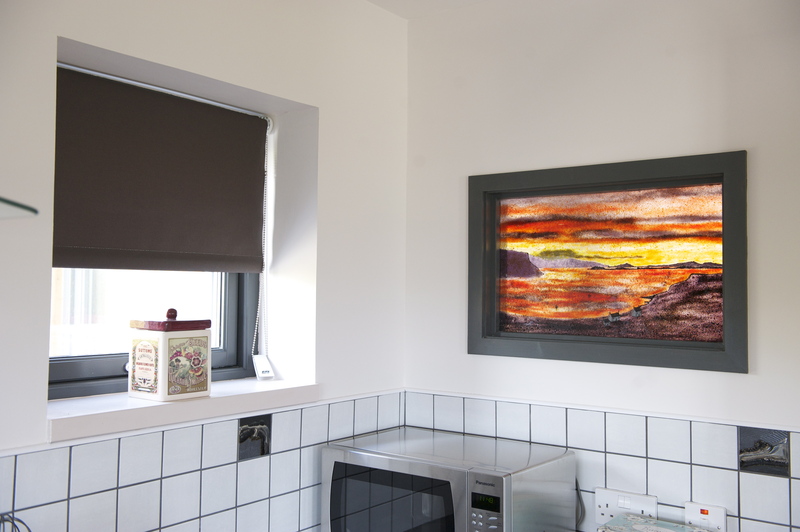 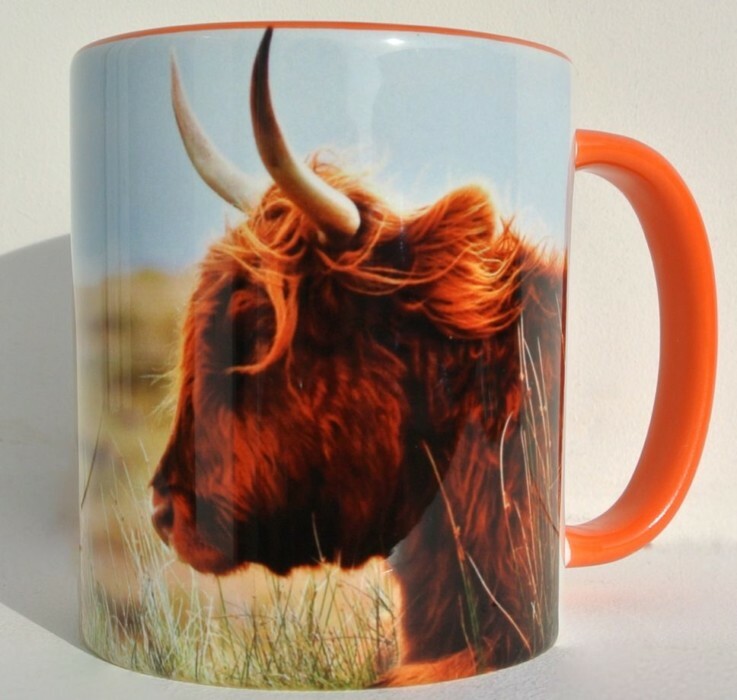 These kinds of designs involve ideas like recreating a photograph, painting or memory in the medium of glass. 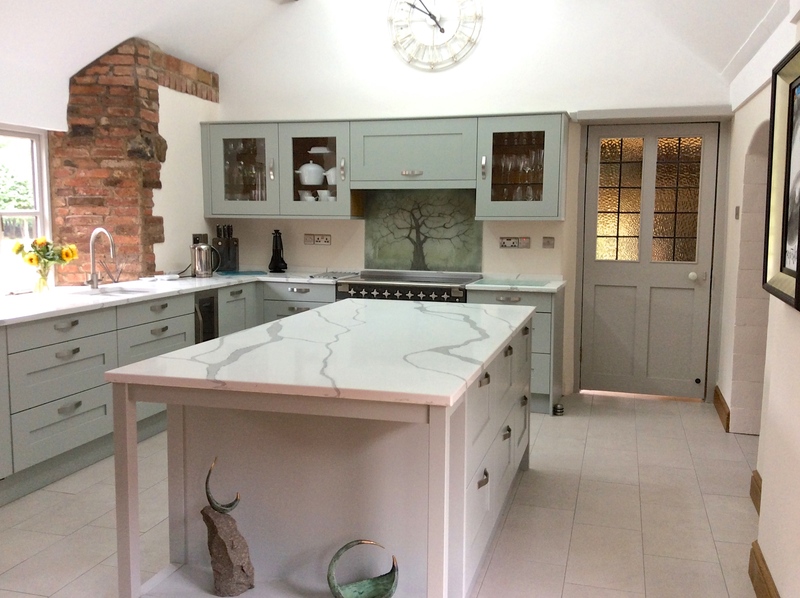 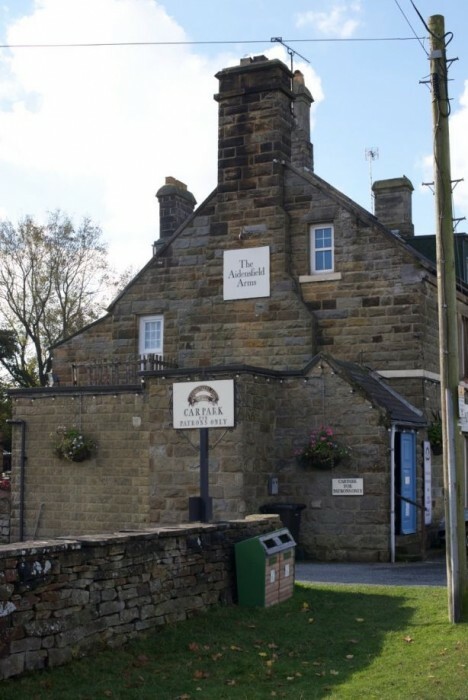 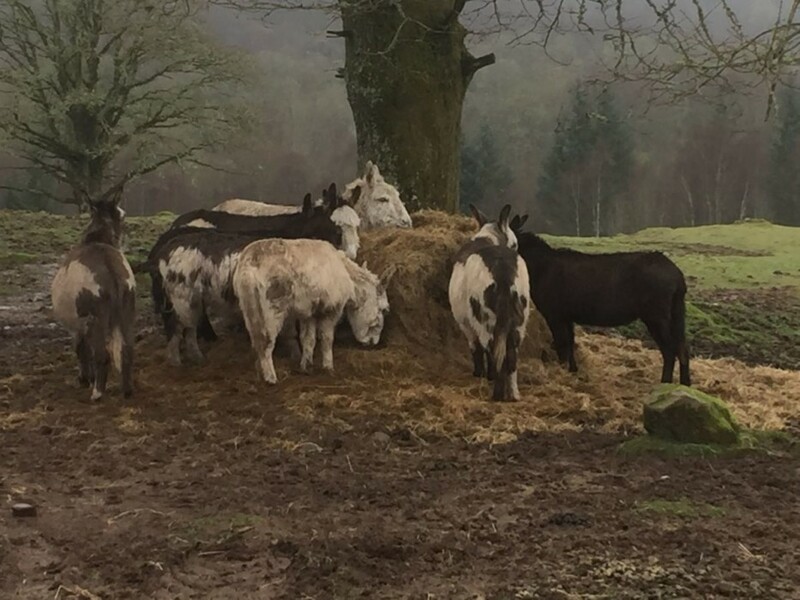 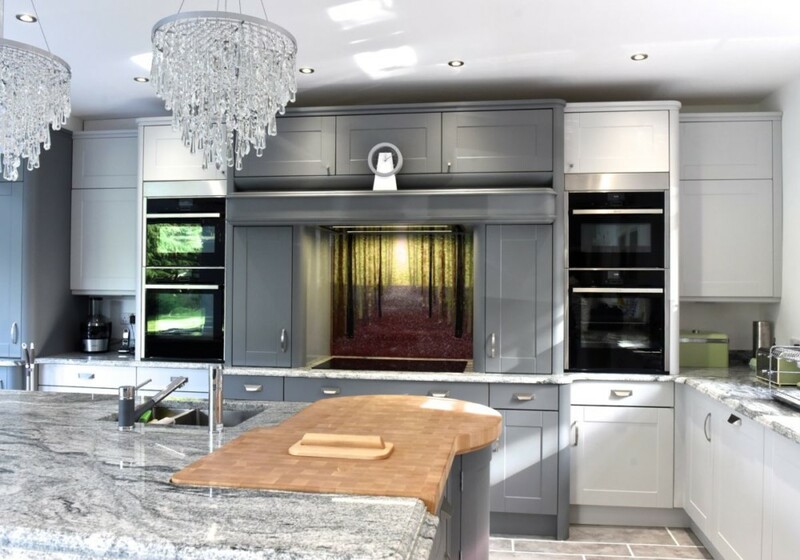 At the same time, just as many customers spot something on our online portfolio or in our Manchester showroom and want to have something similar created. 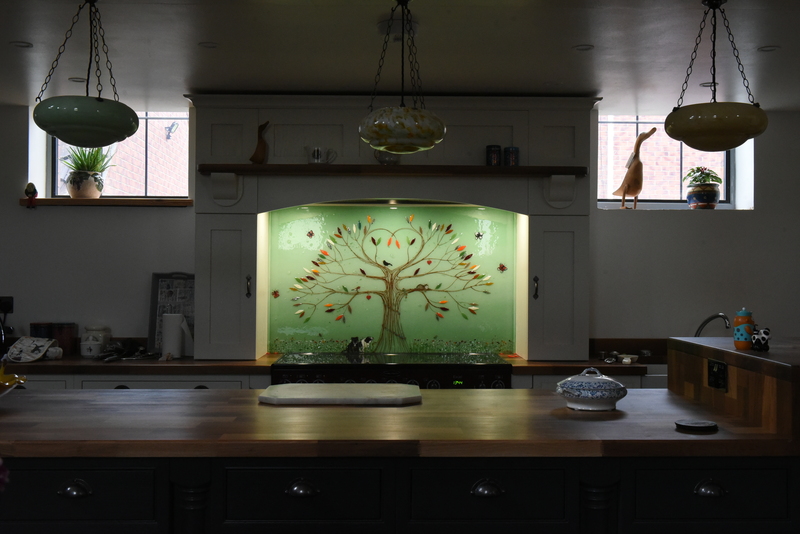 This is why you’ll see so many Tree of Life designs on our website, alongside other recurring favourites such as the Dalaman and the Wave. 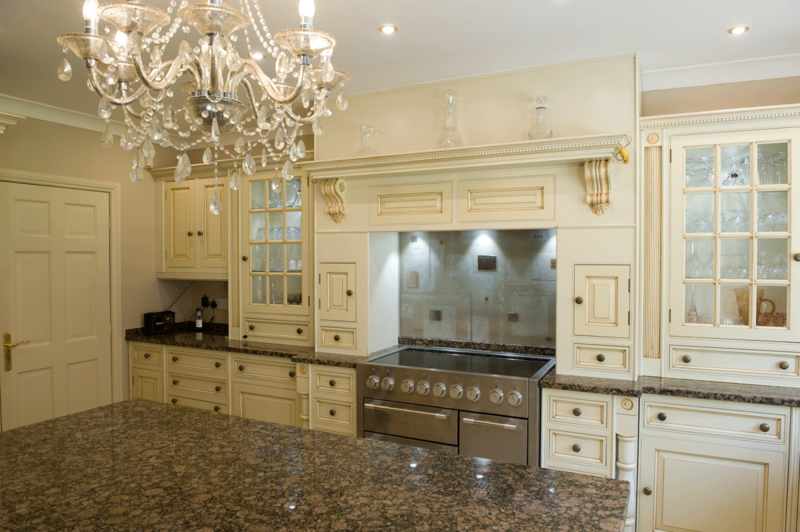 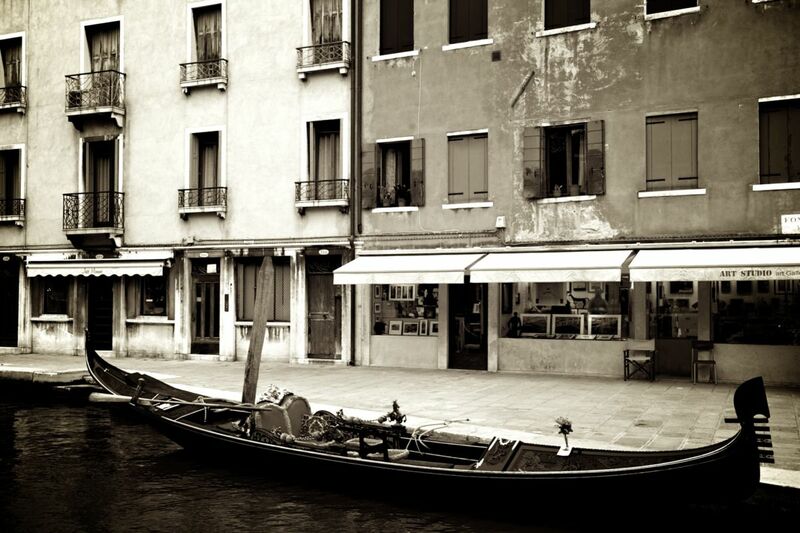 Even though the basic design concept or style is similar, however, no two pieces are ever the same. 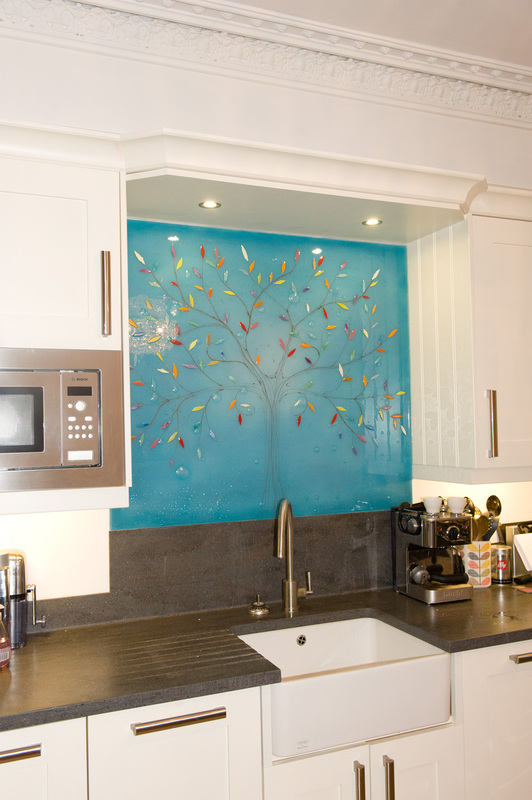 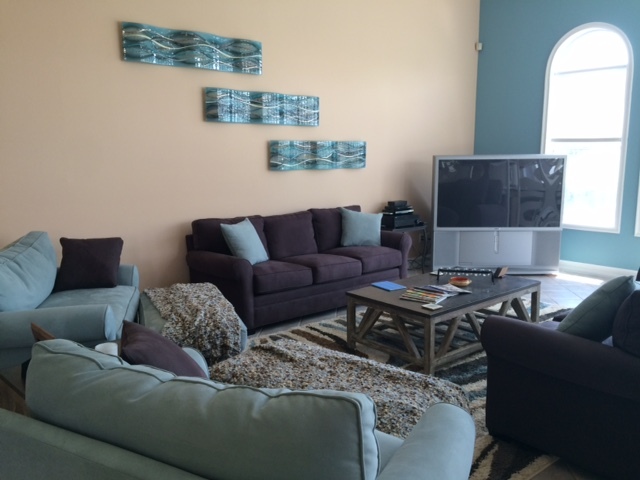 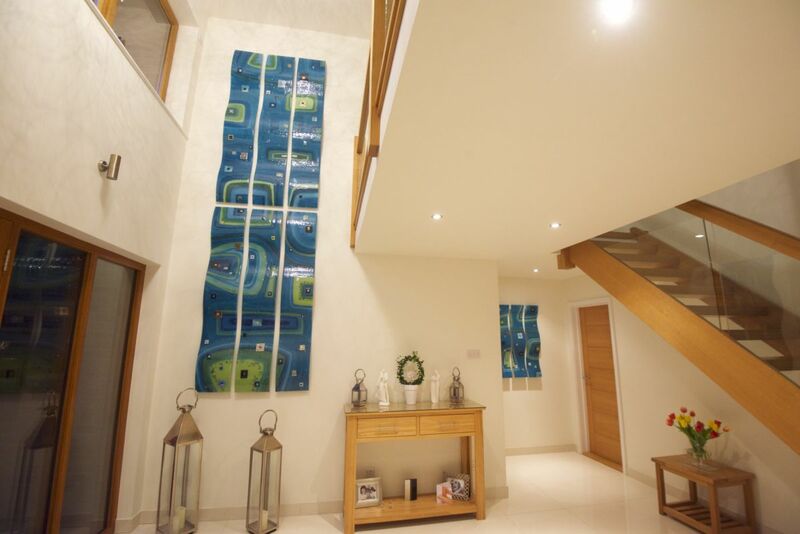 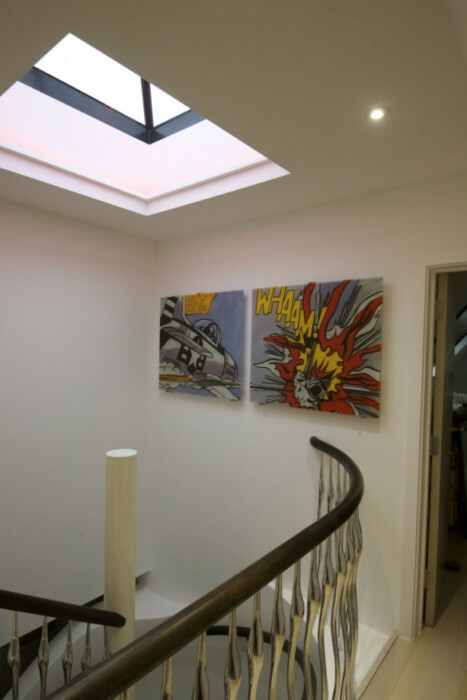 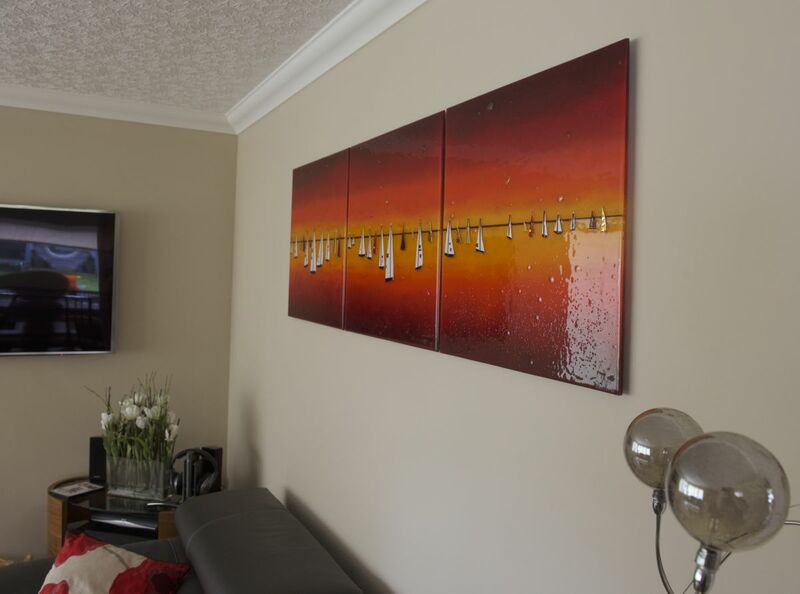 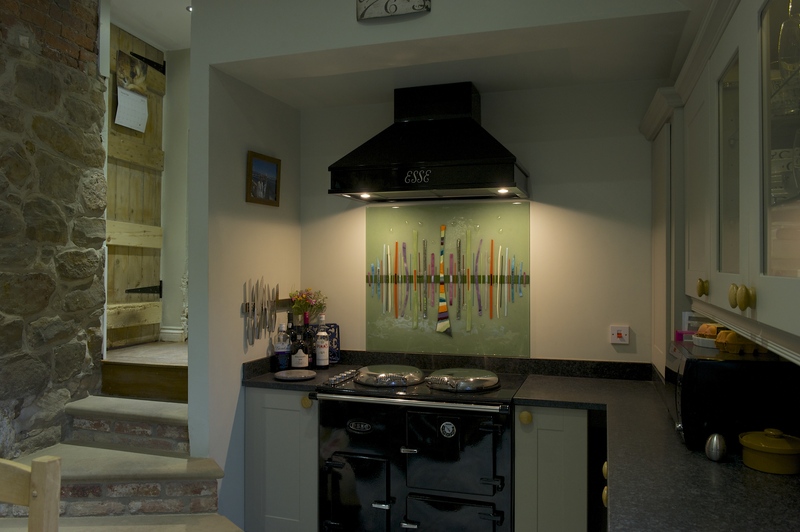 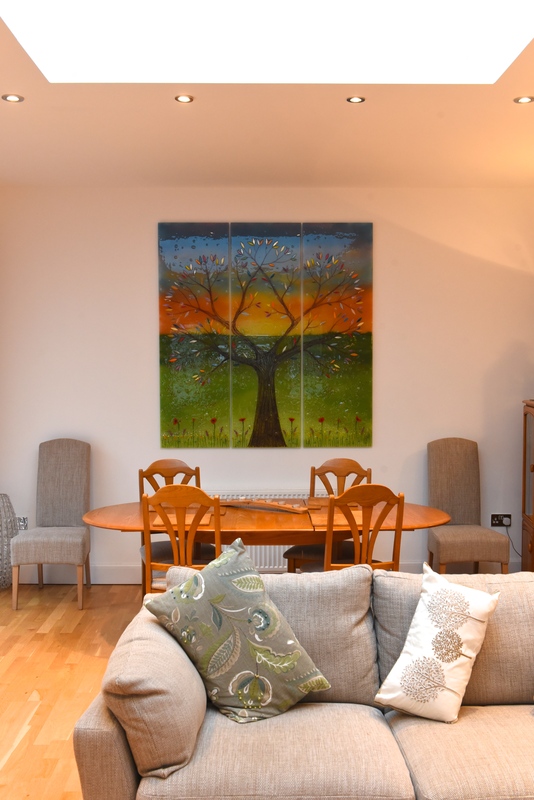 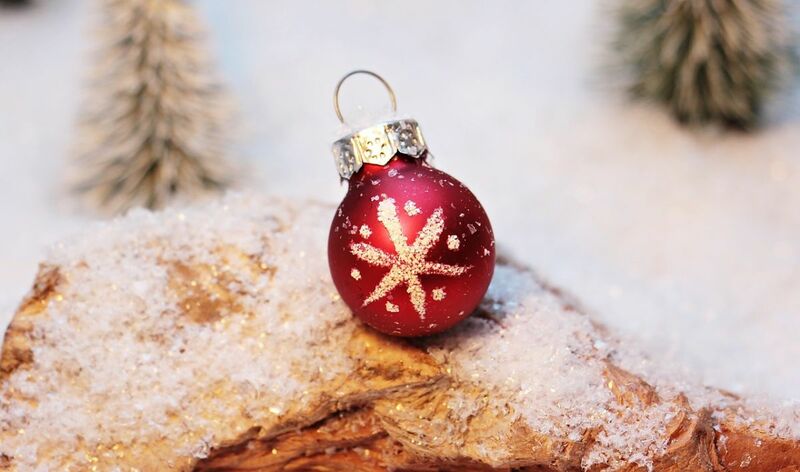 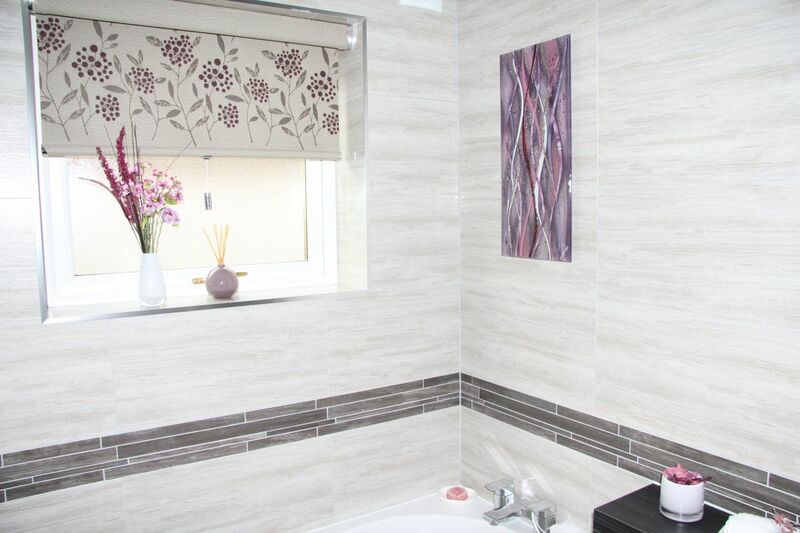 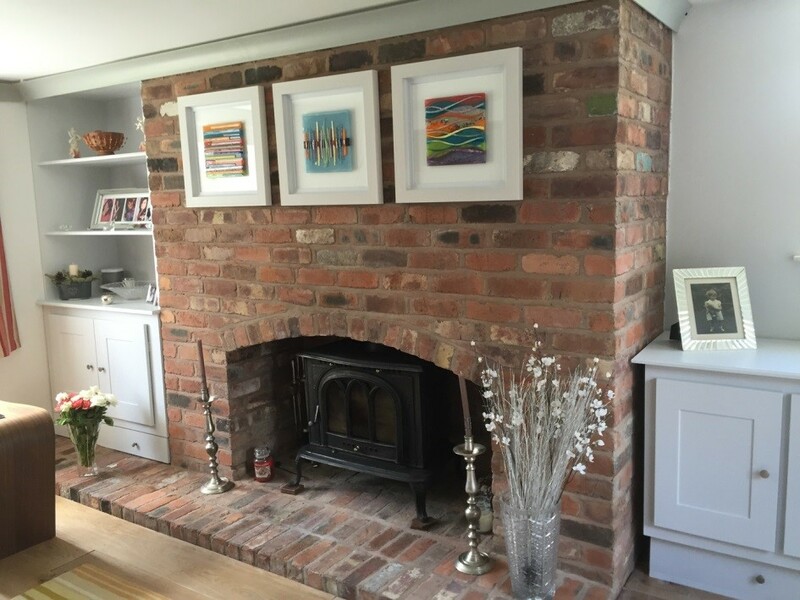 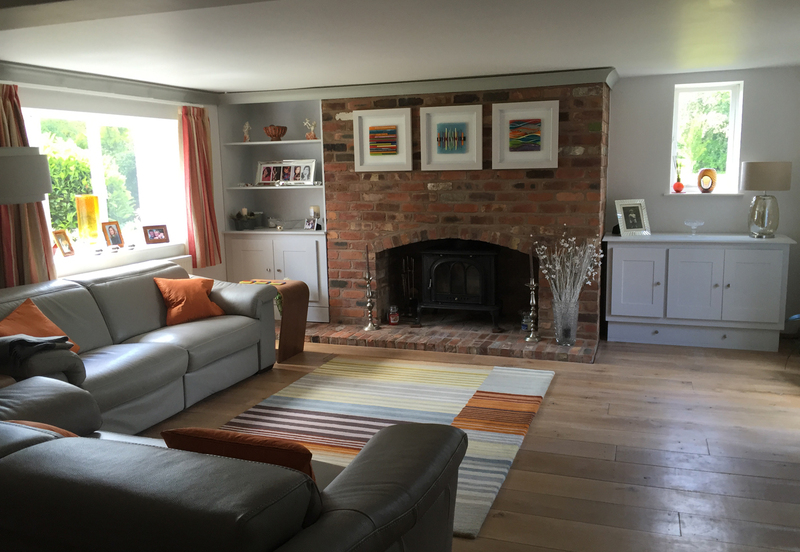 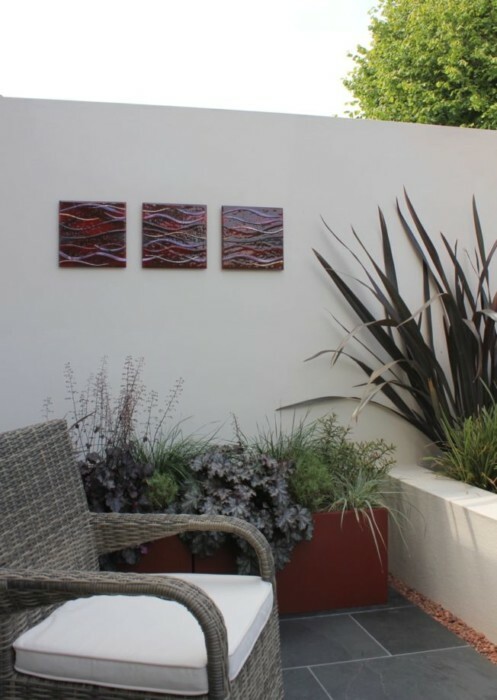 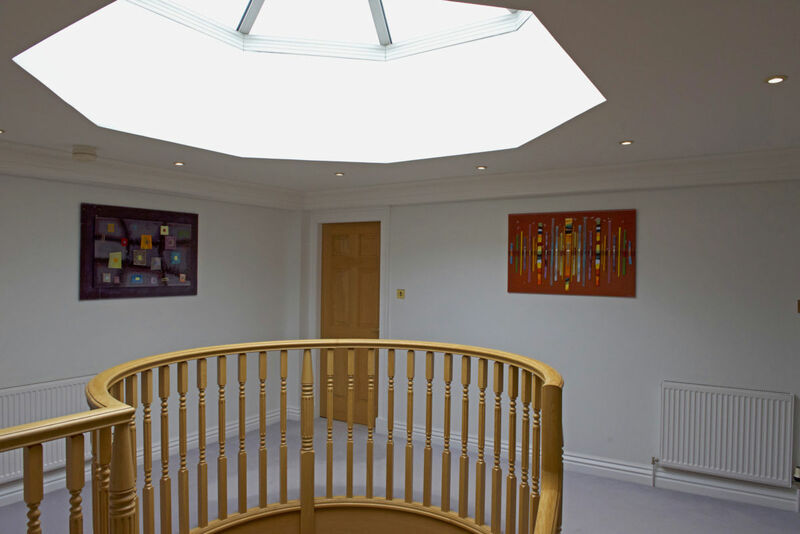 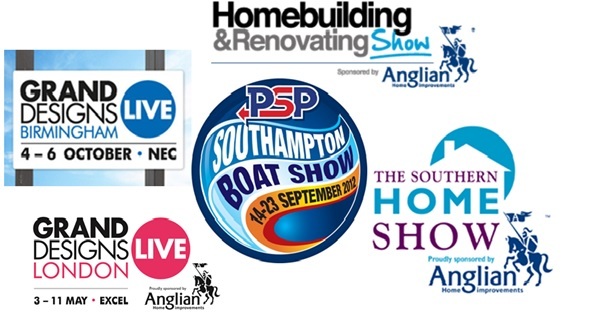 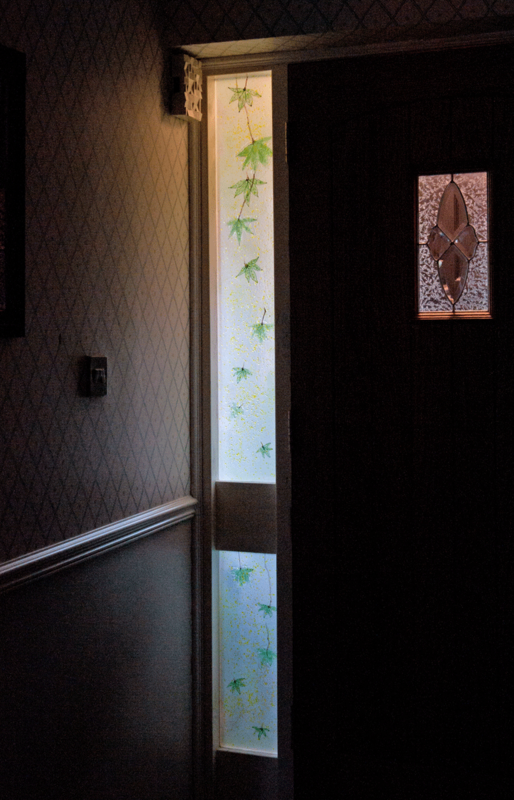 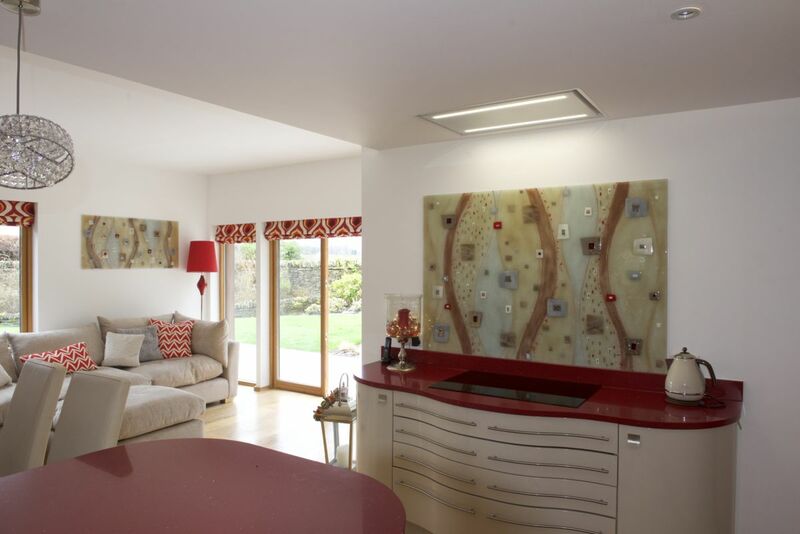 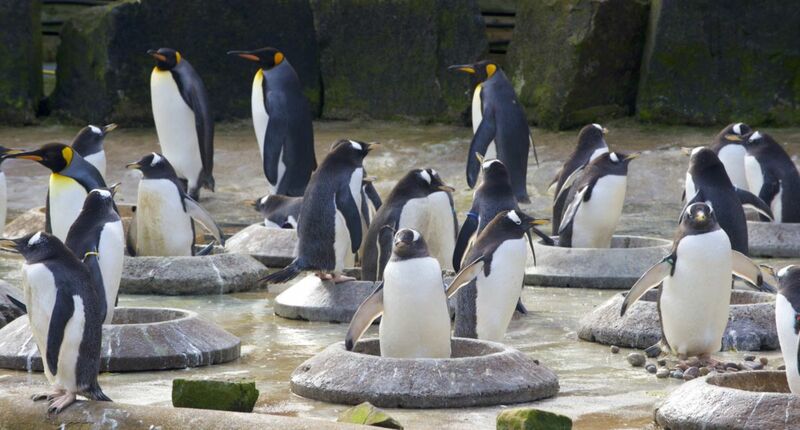 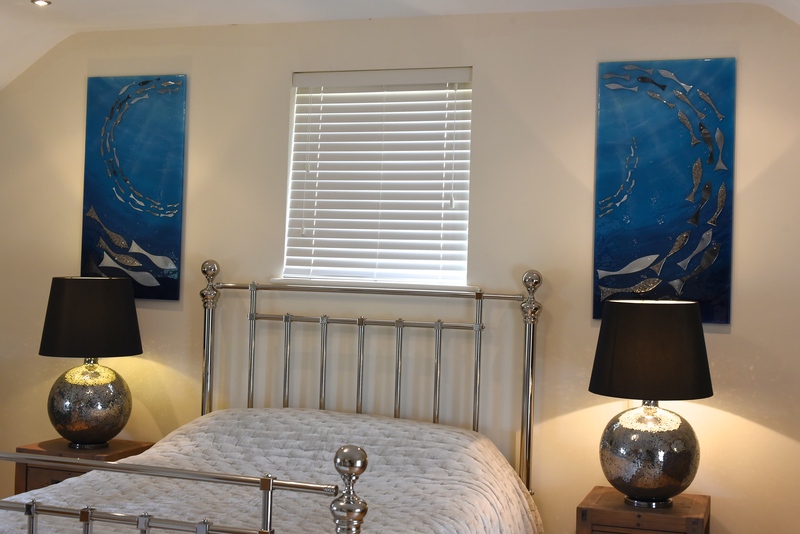 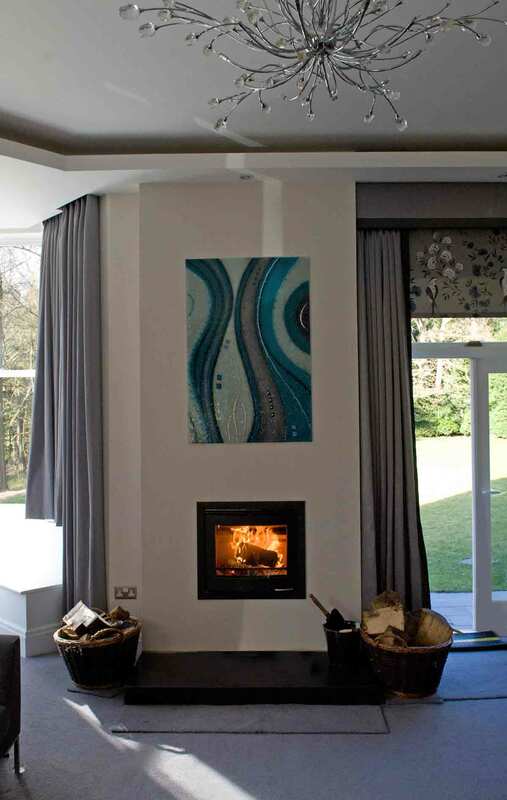 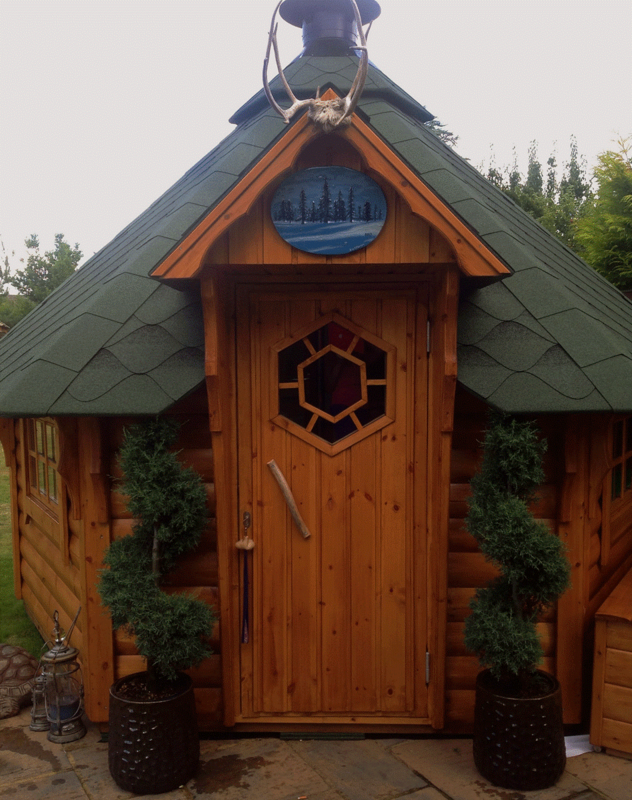 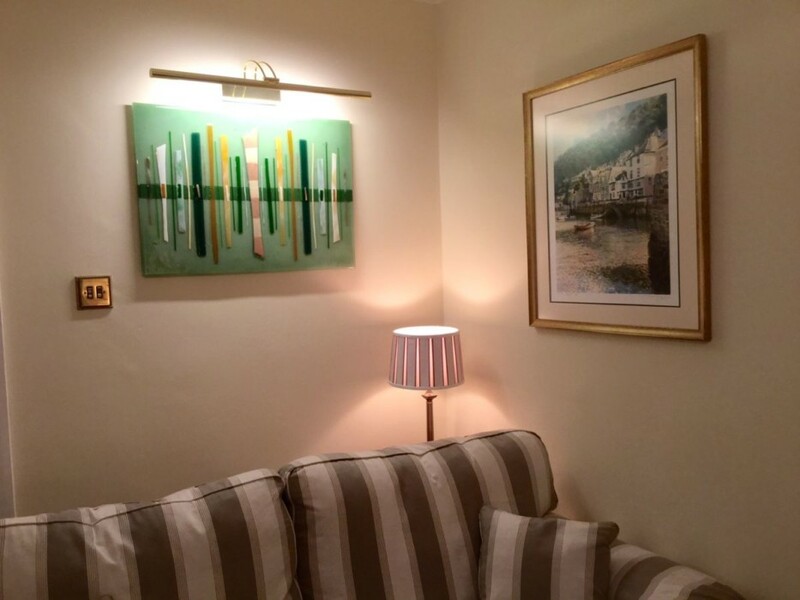 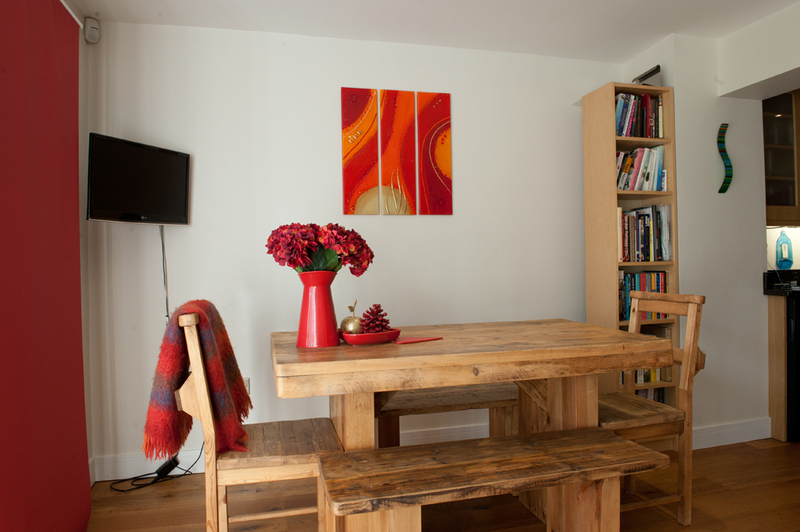 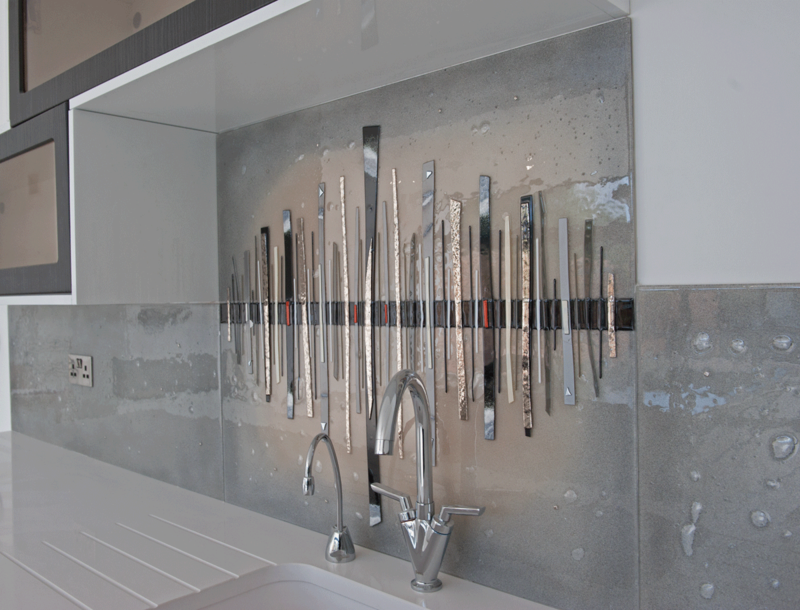 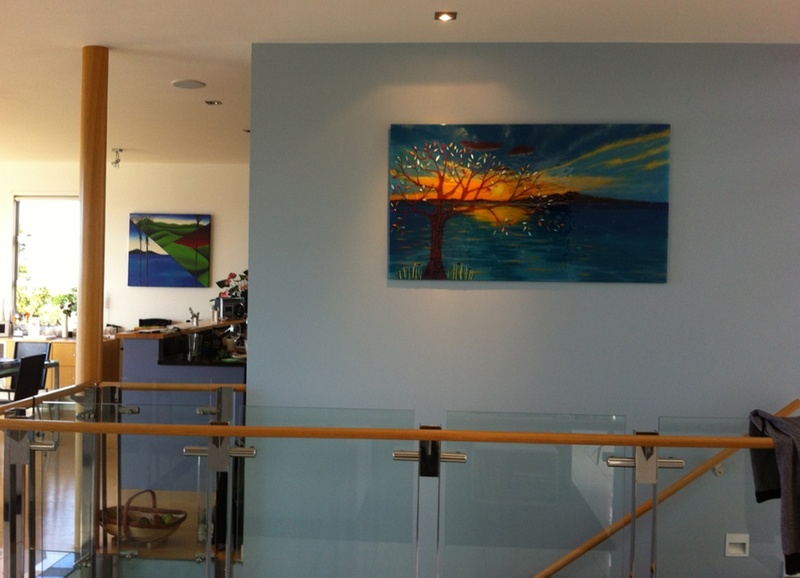 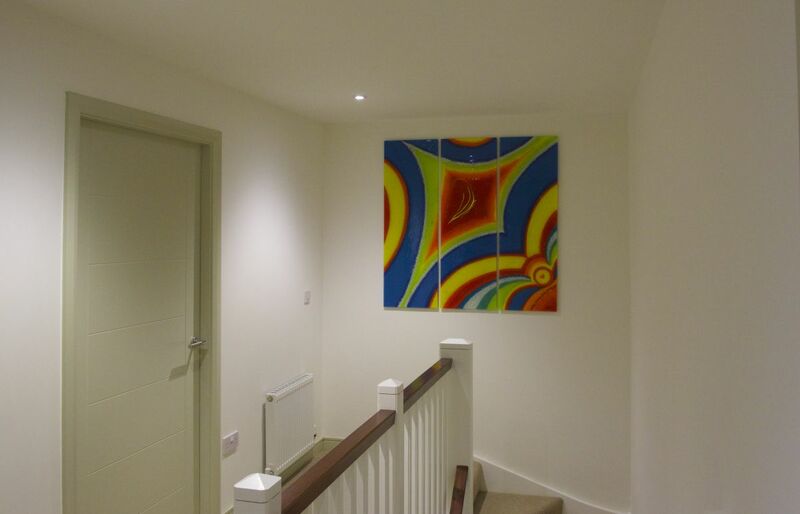 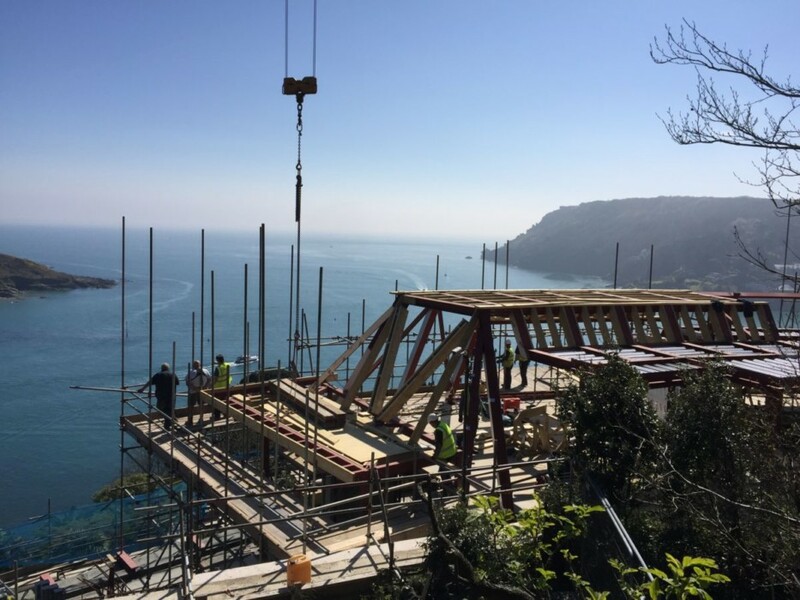 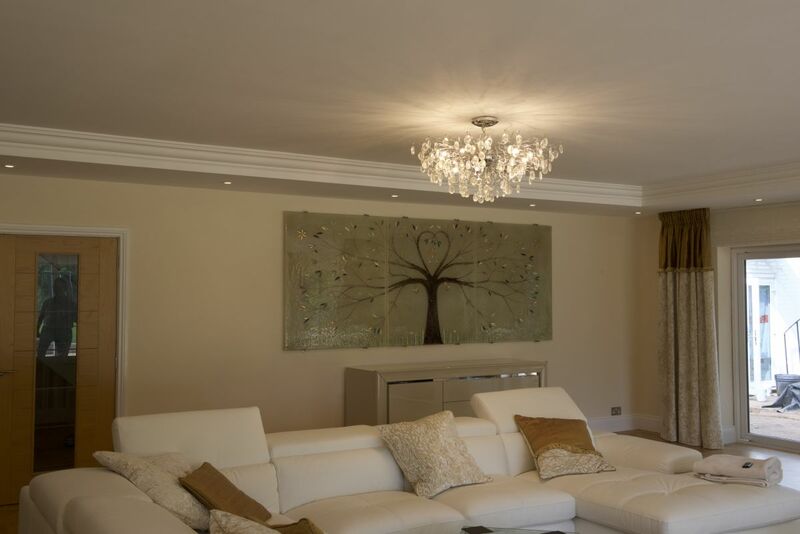 Customers are able personalise their designs in ways that suit their home perfectly. 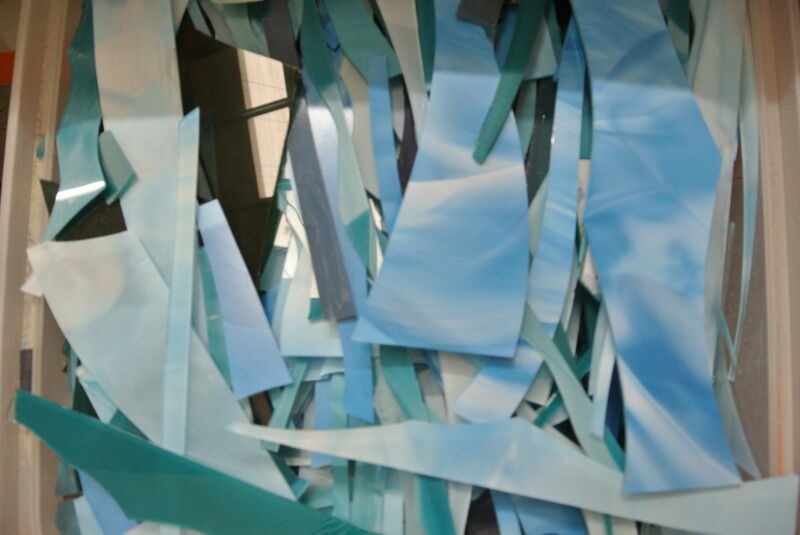 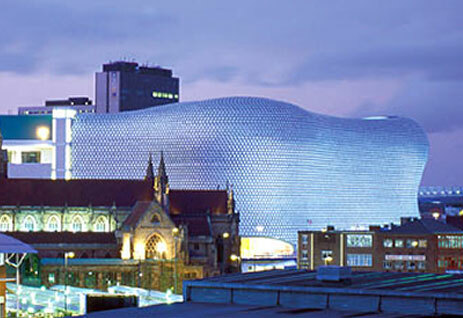 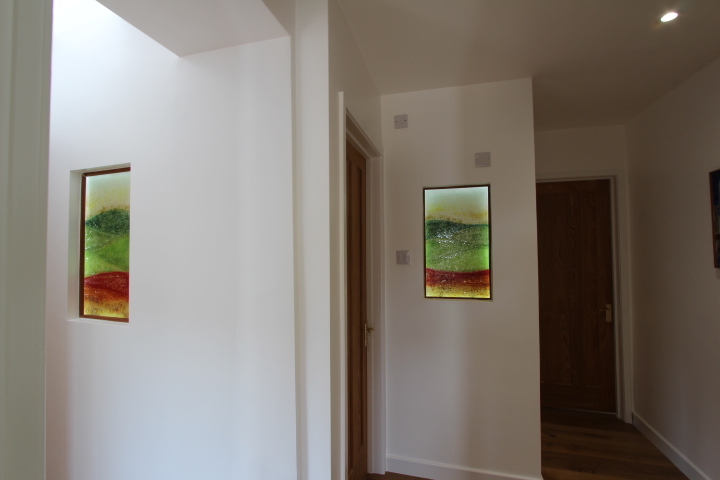 They can pick out the perfect colours and we’ll adjust every aspect of the glass to fit. 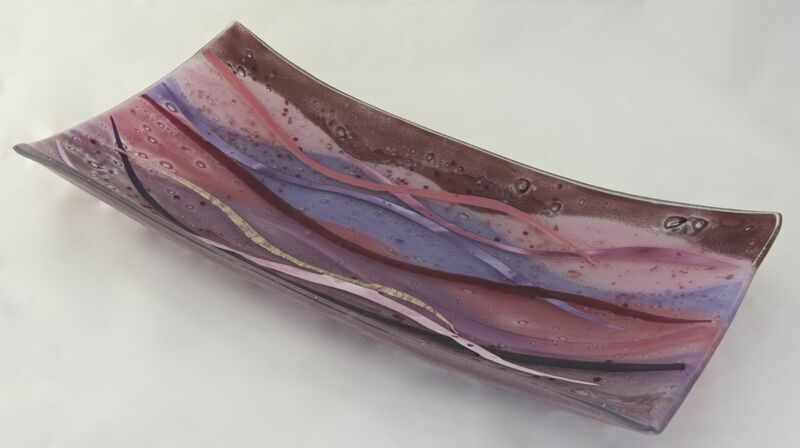 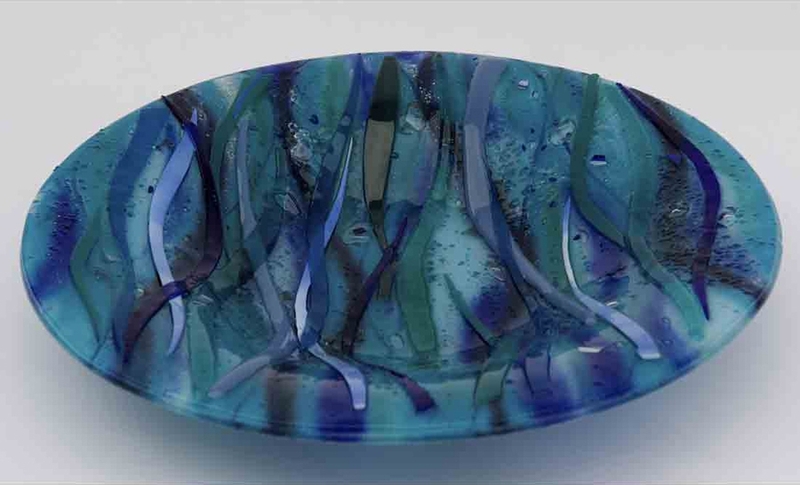 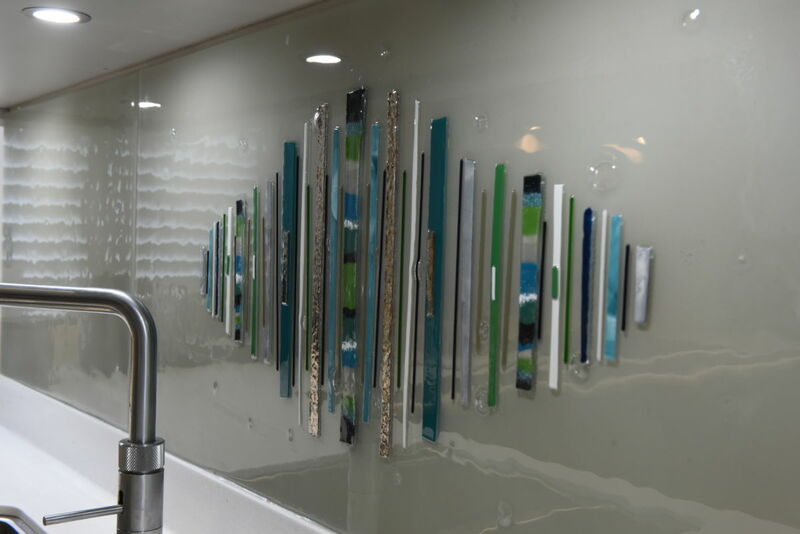 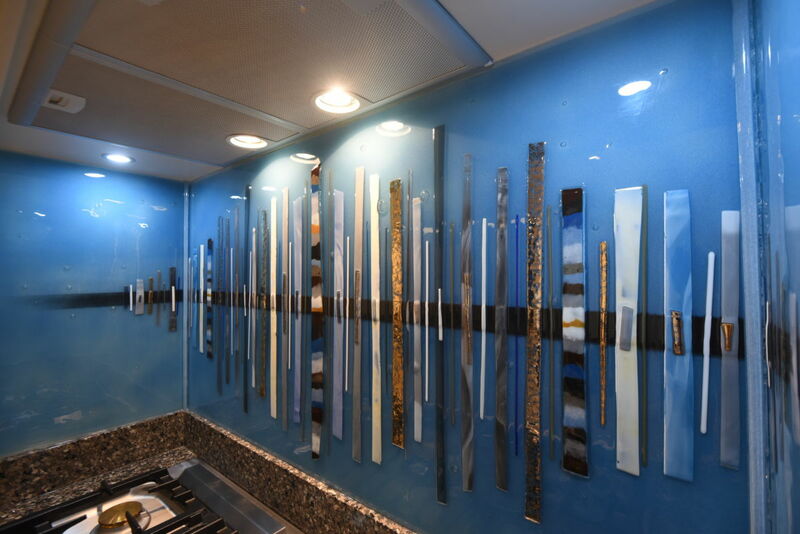 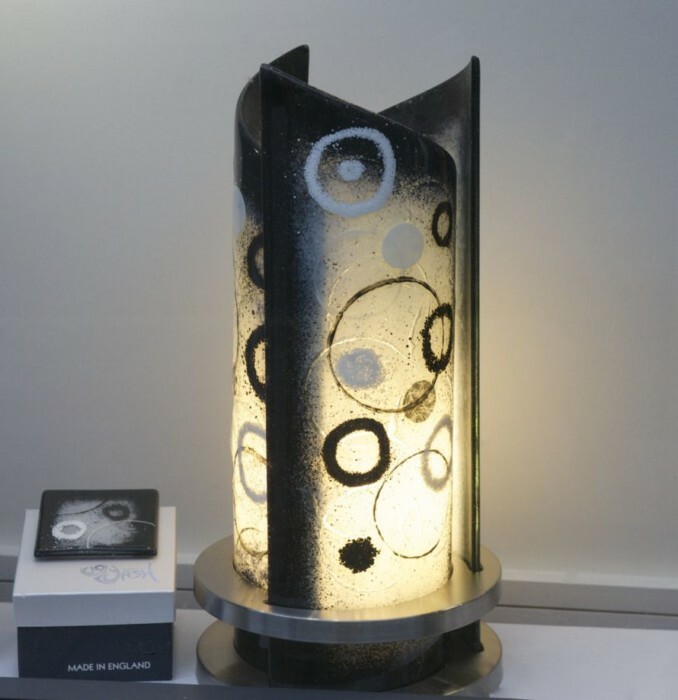 Couple that with the unique quirks of fused glass as a medium, such as the bubbles that form when the glass panes fuse together, and you get a recipe that ensures a one-of-a-kind end result every time. 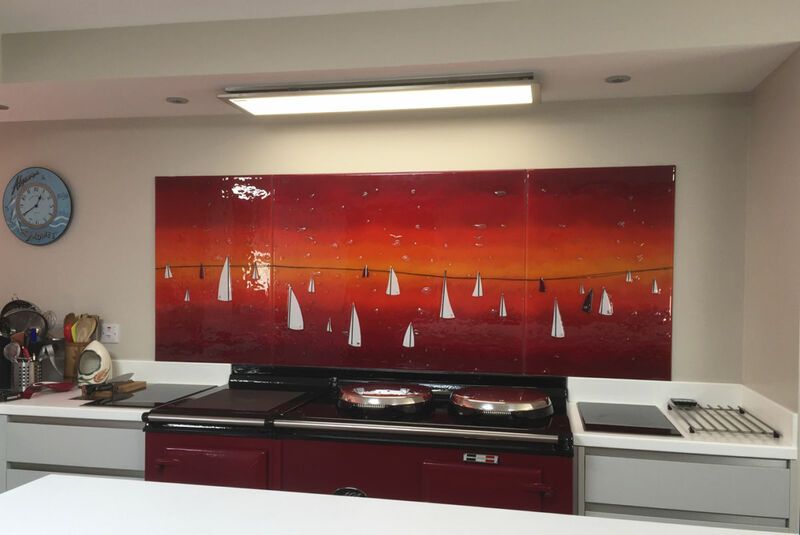 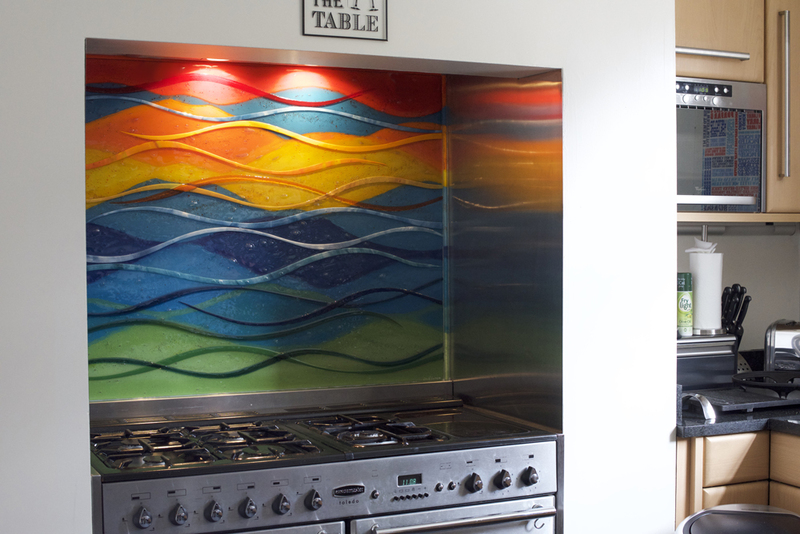 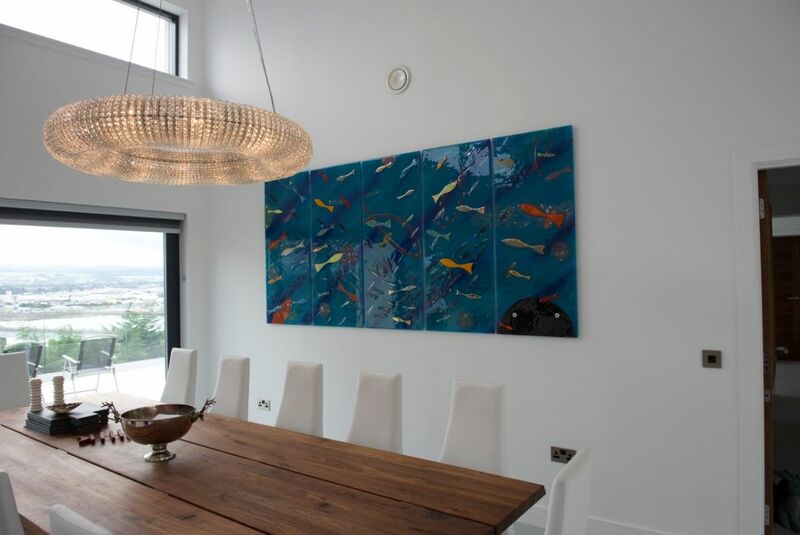 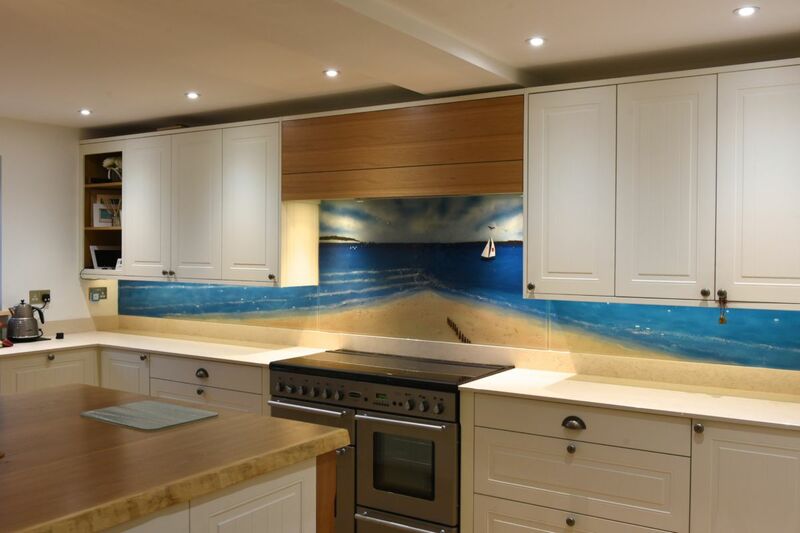 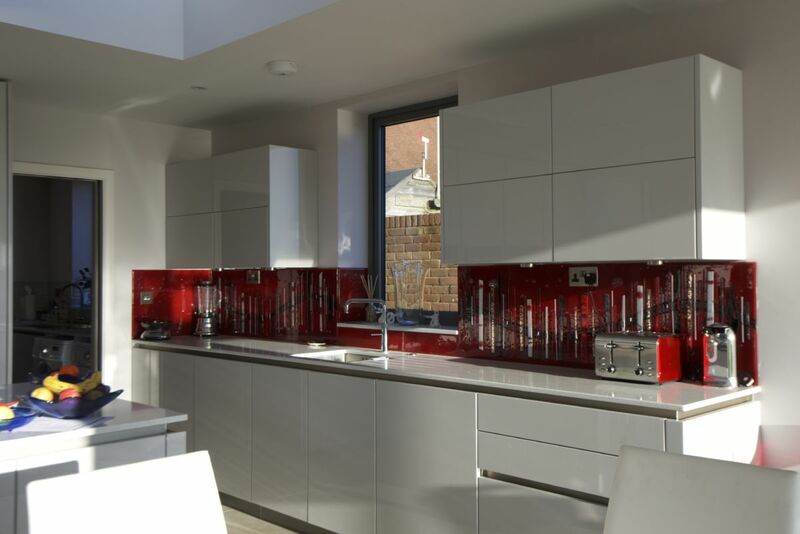 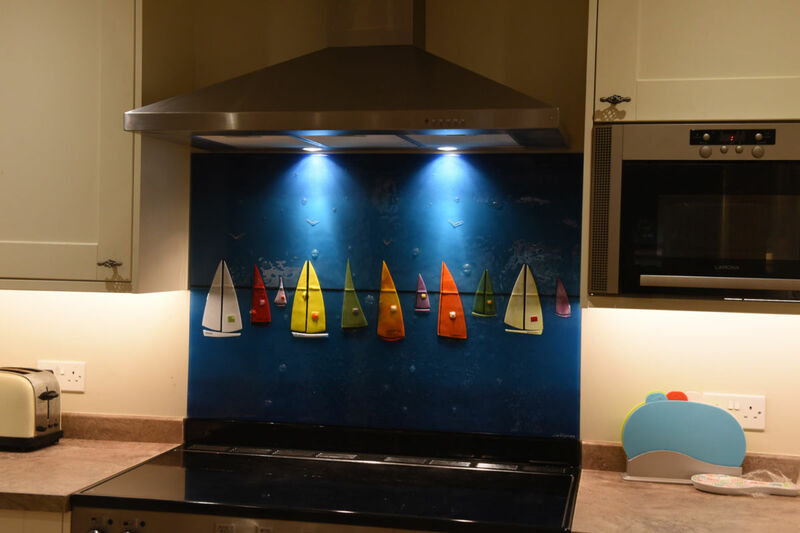 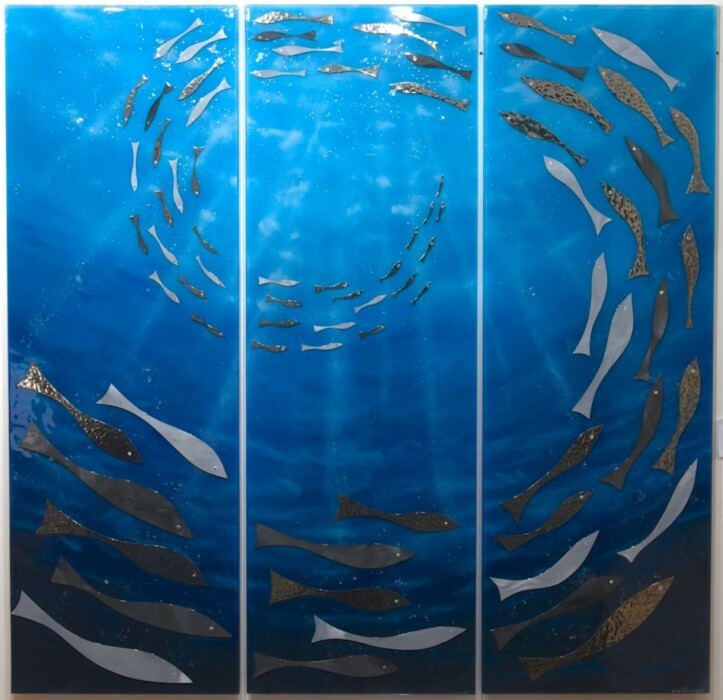 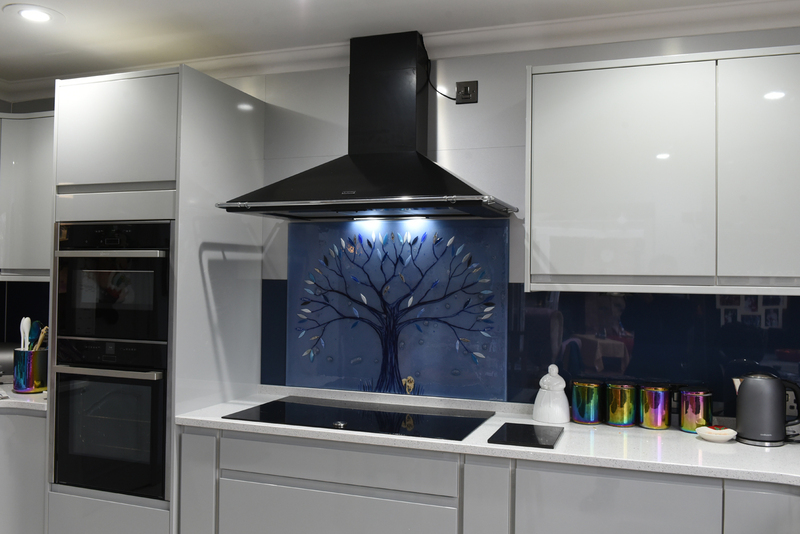 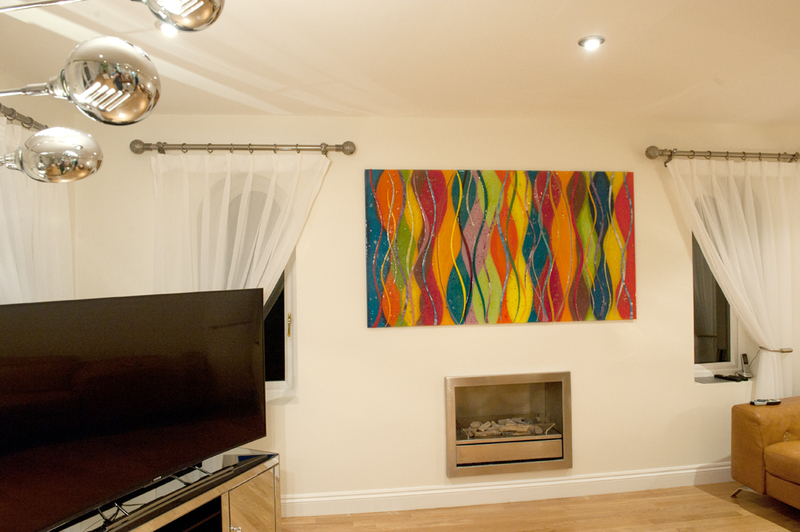 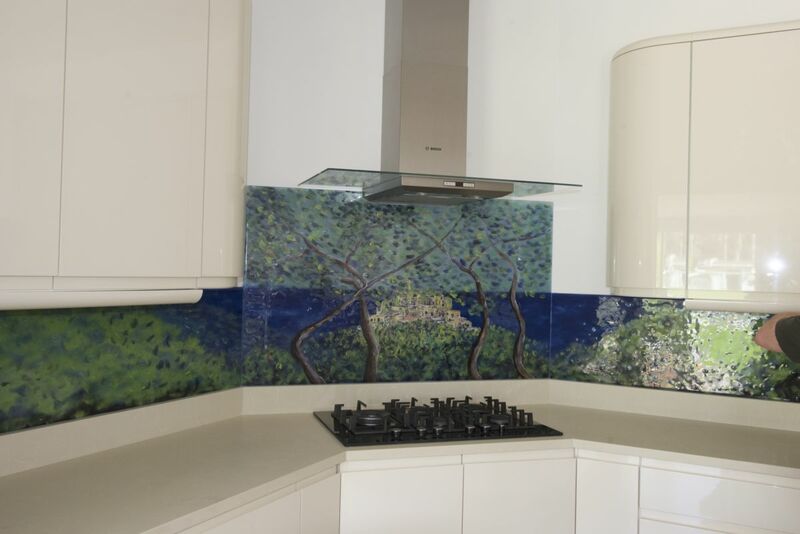 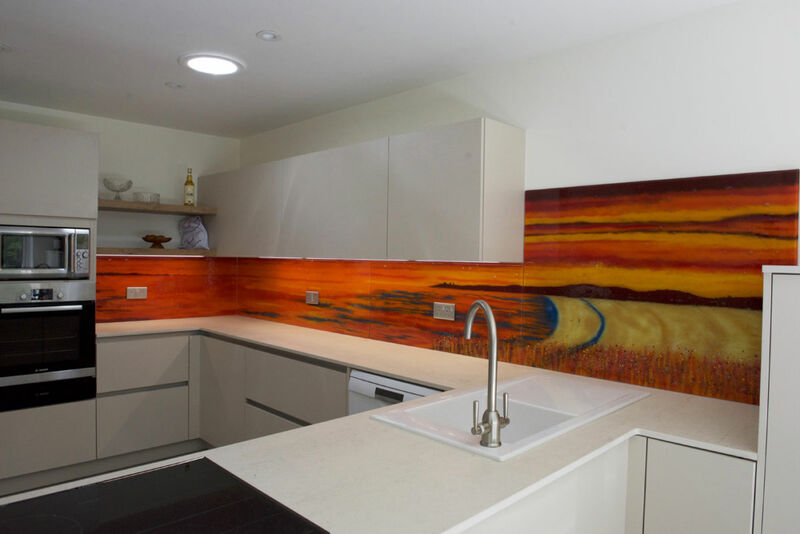 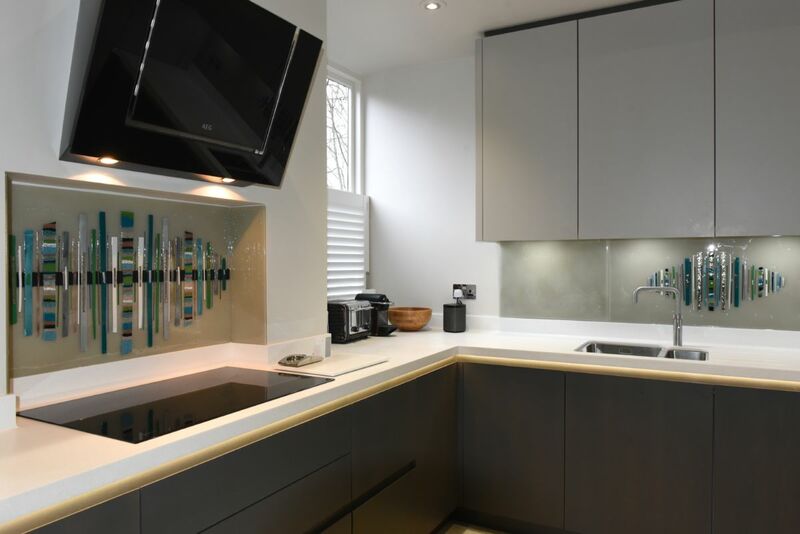 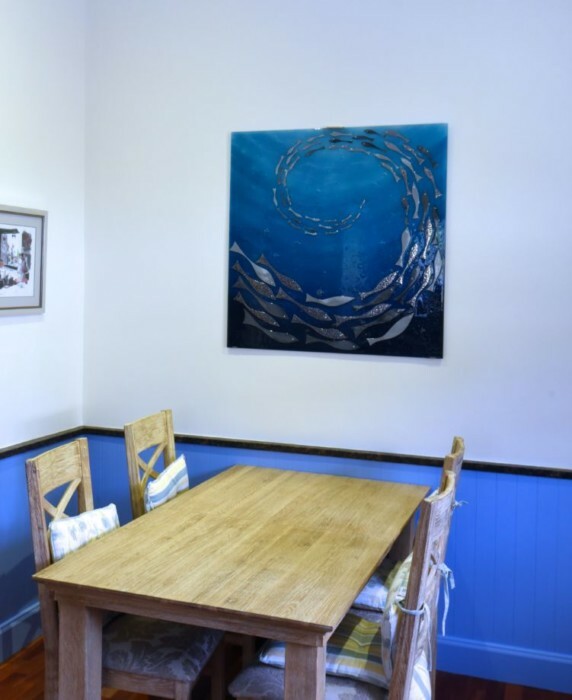 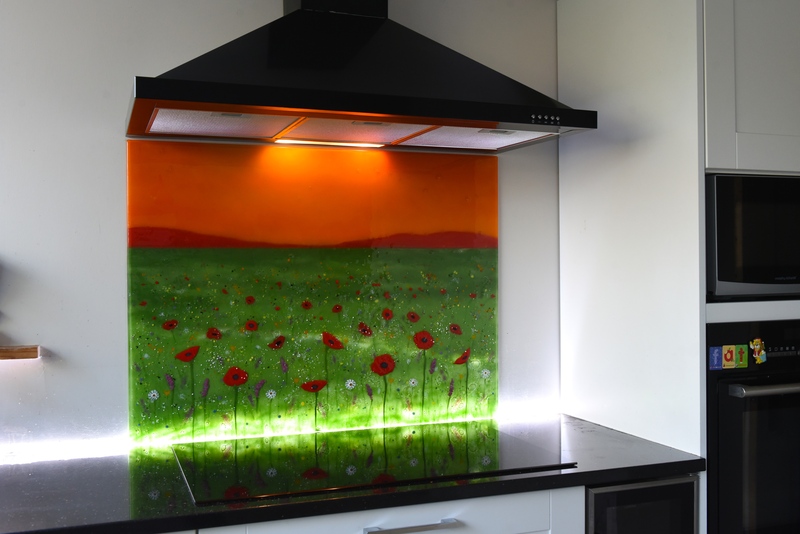 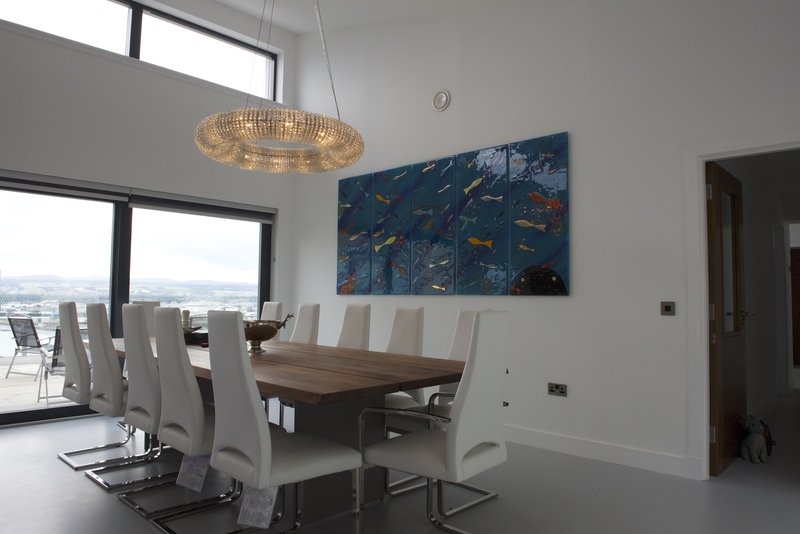 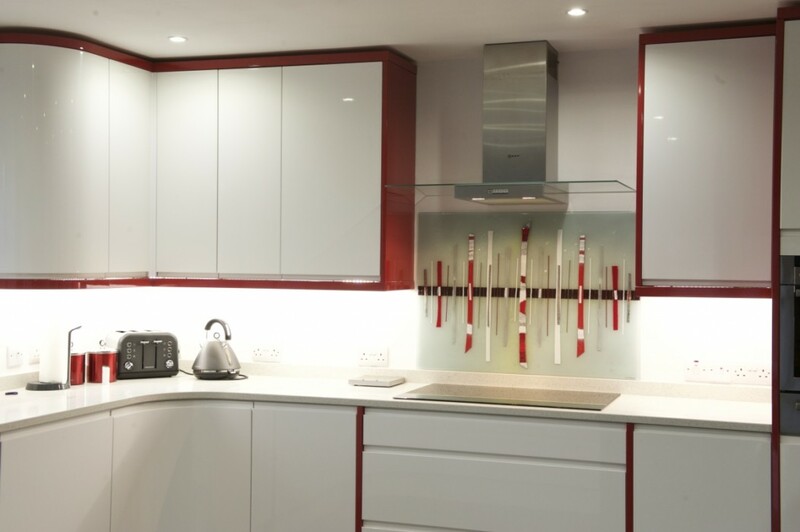 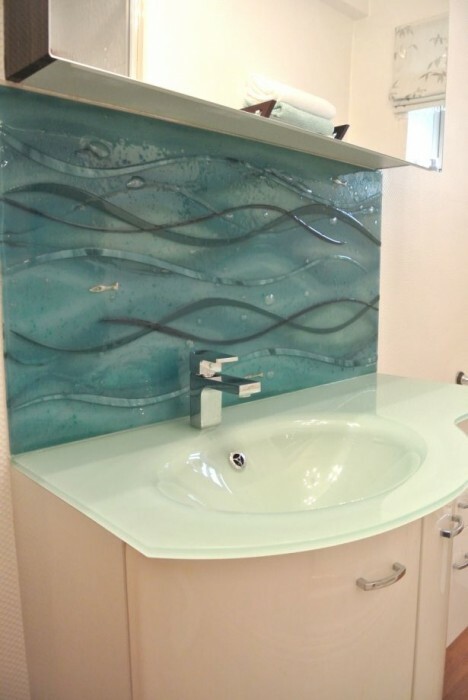 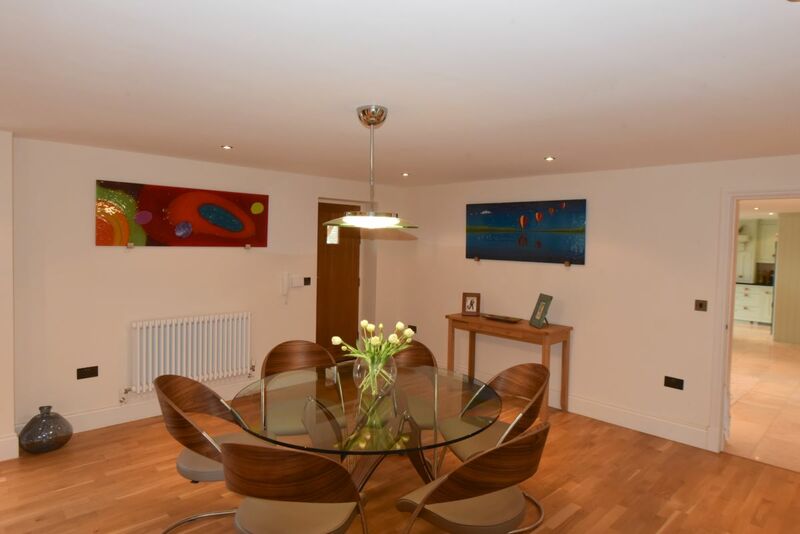 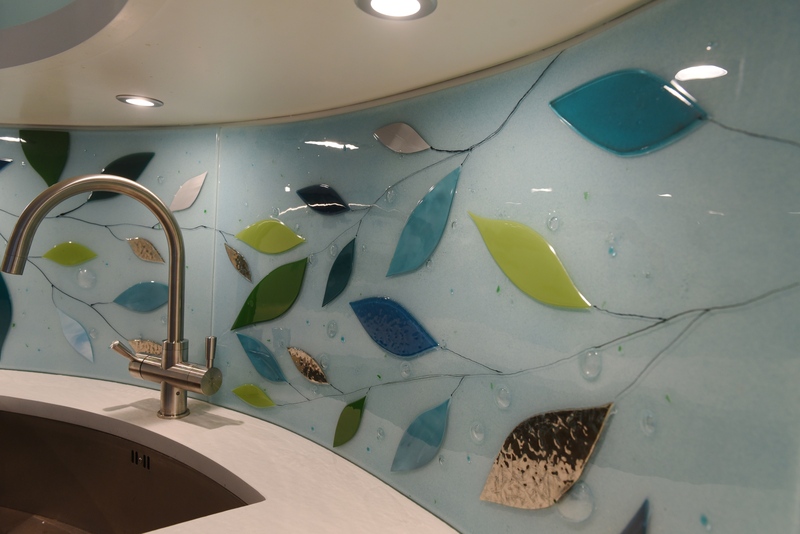 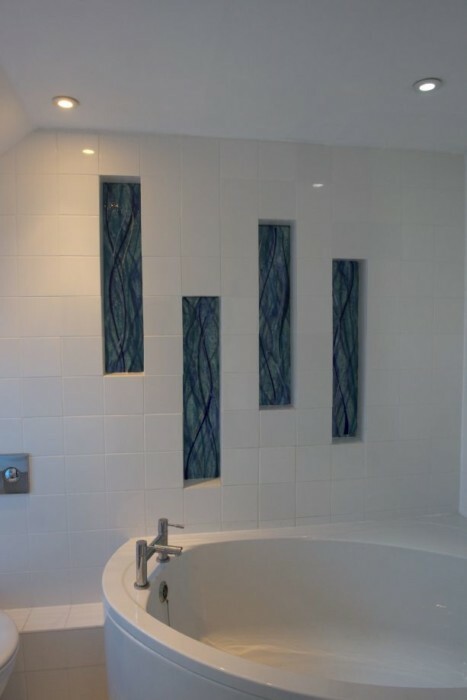 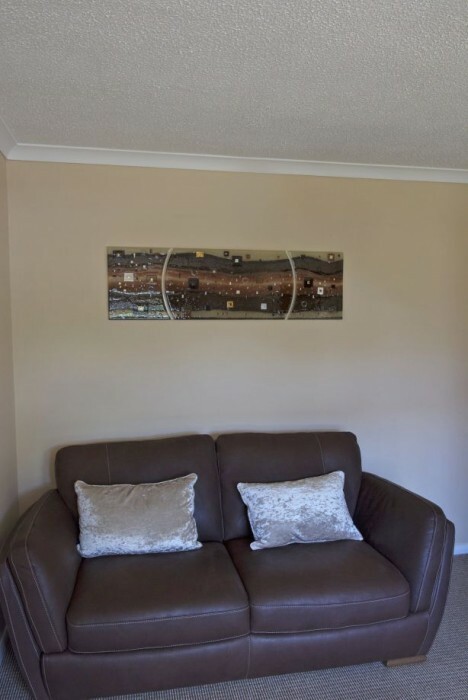 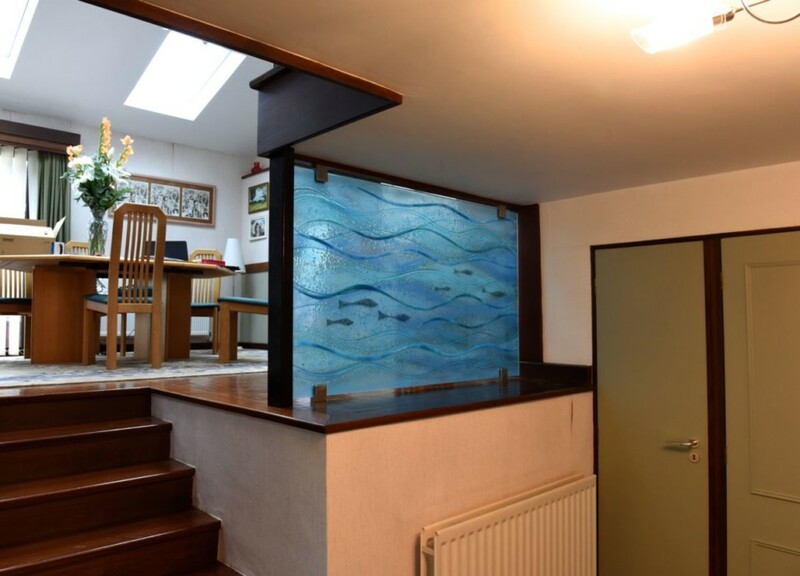 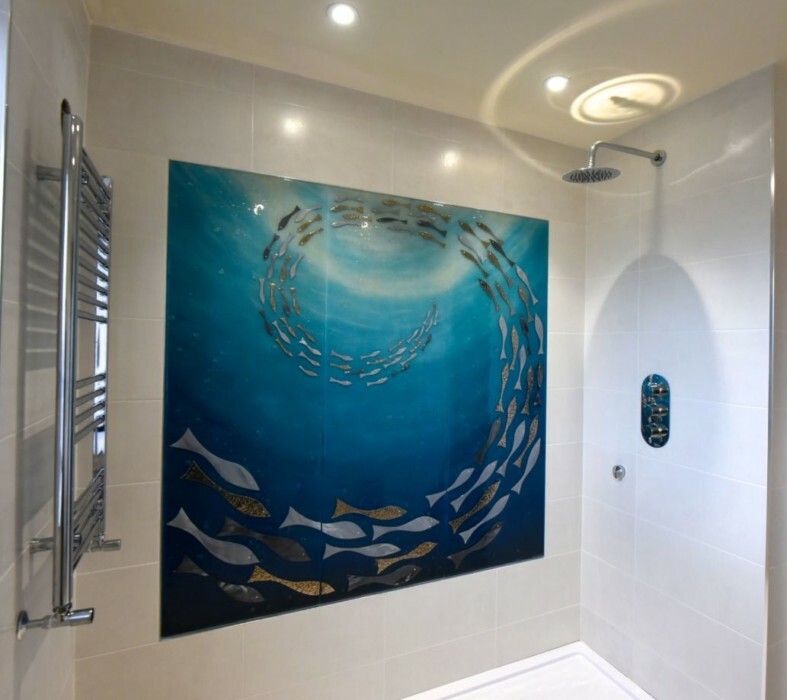 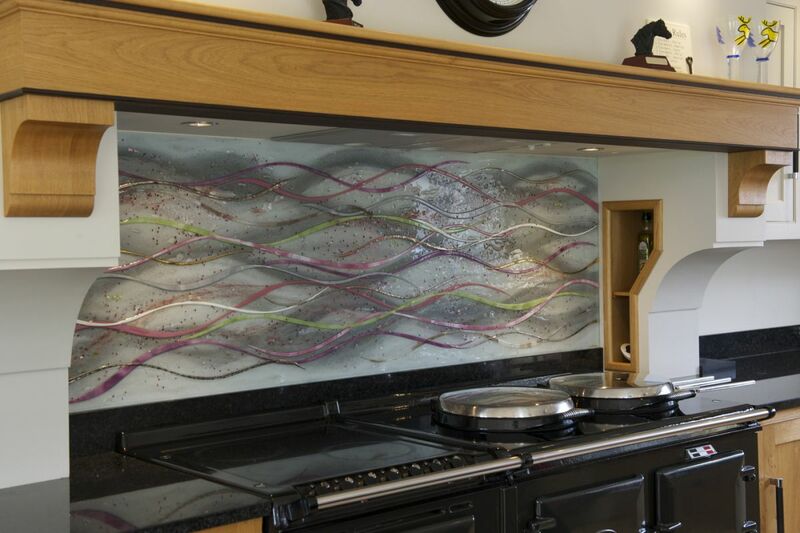 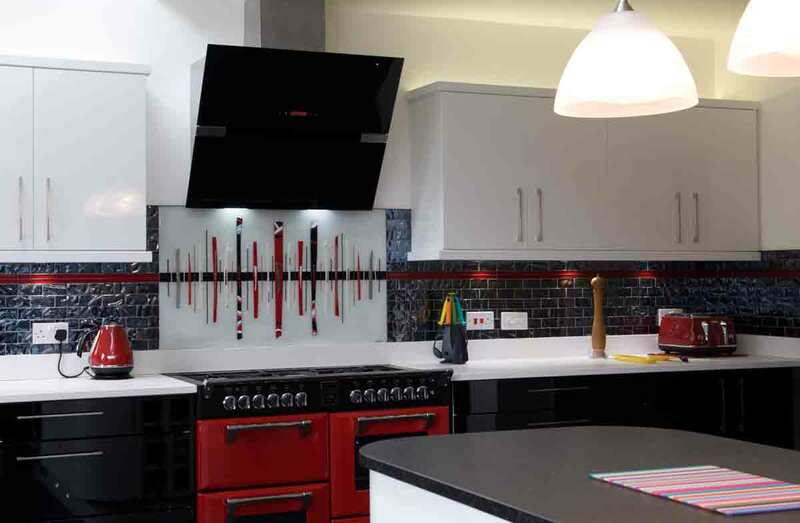 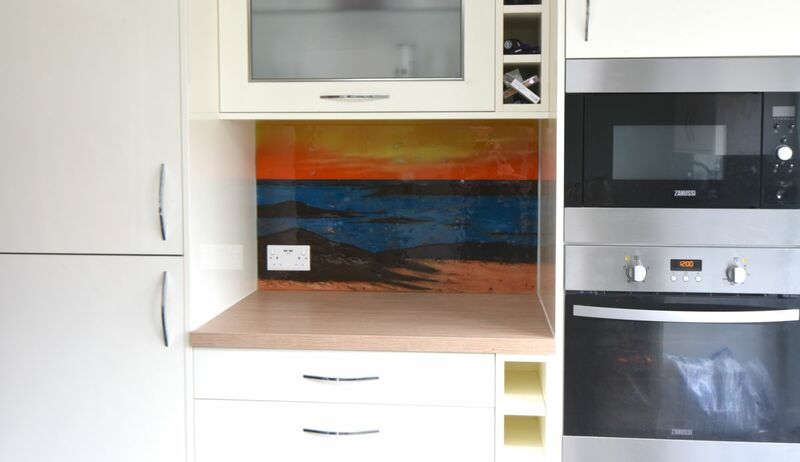 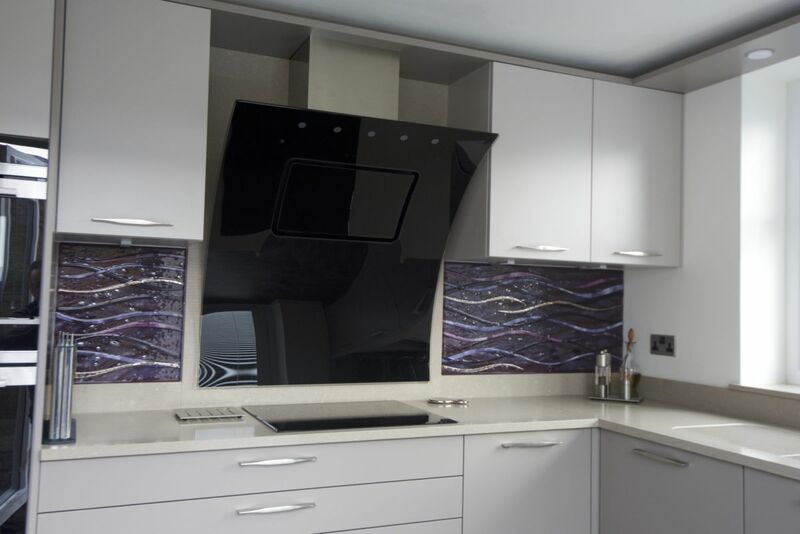 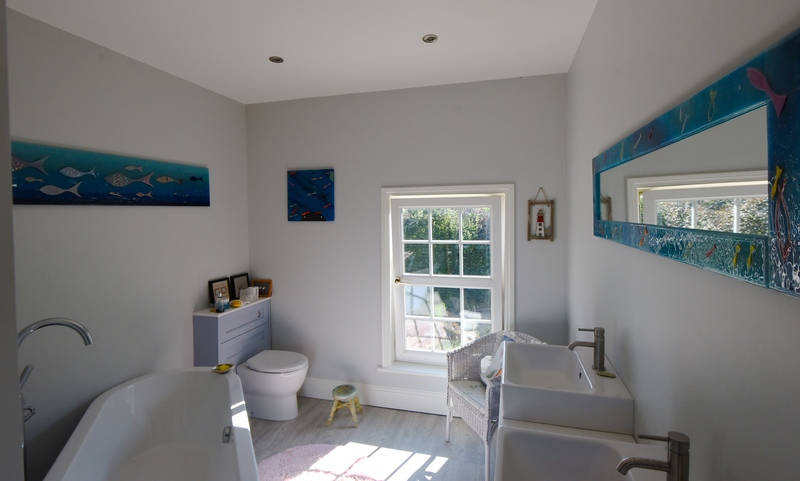 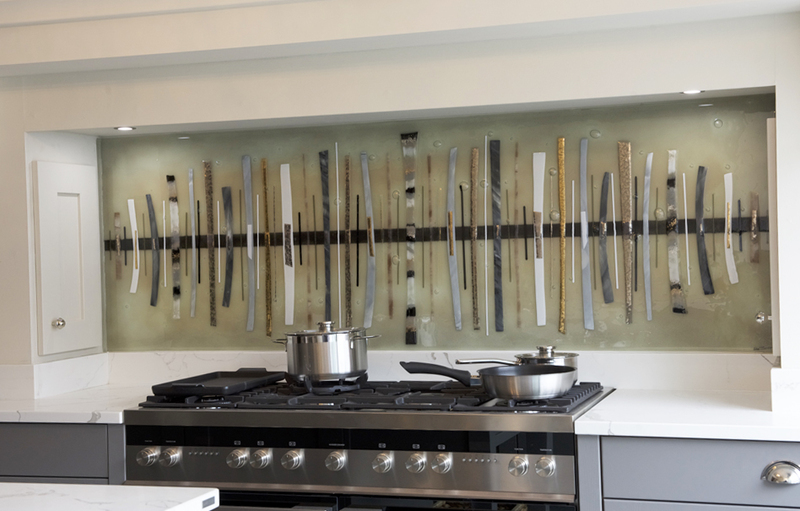 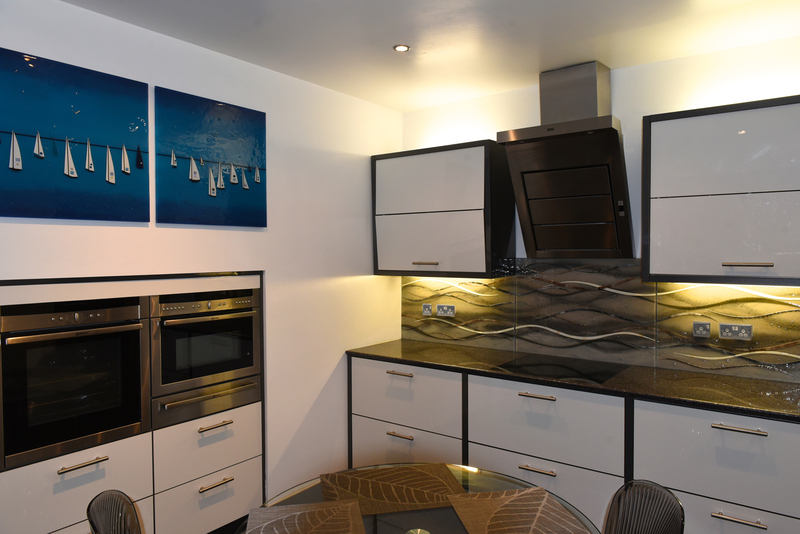 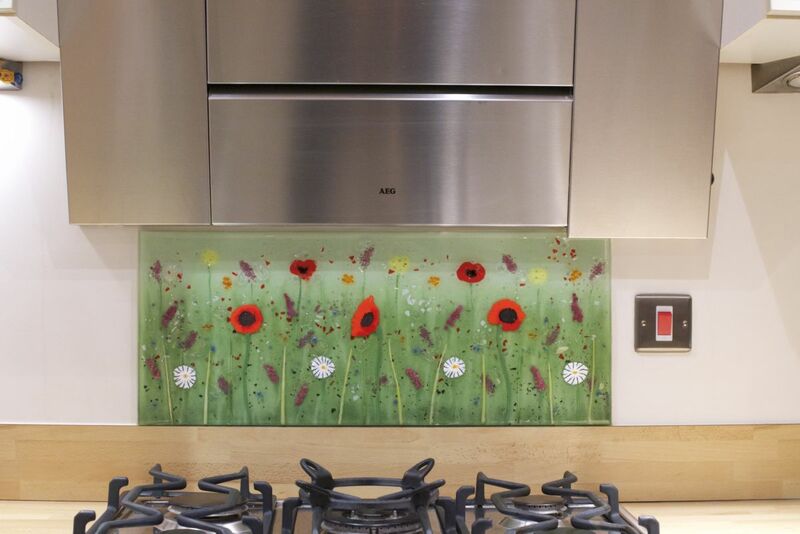 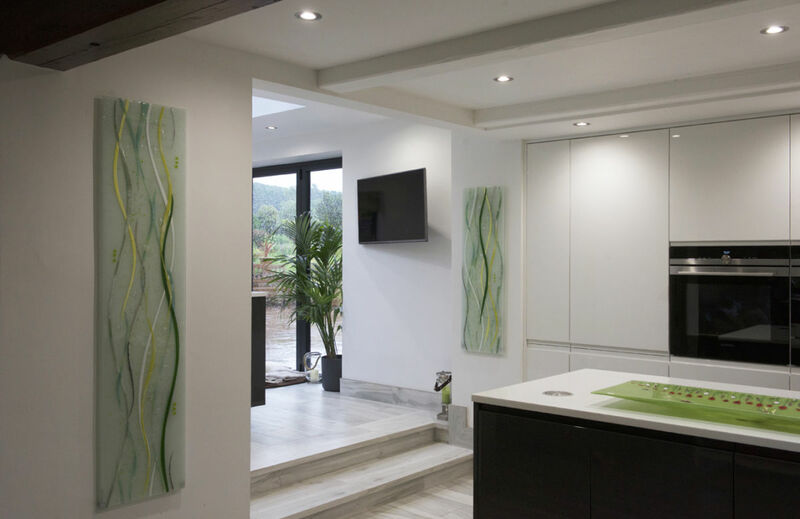 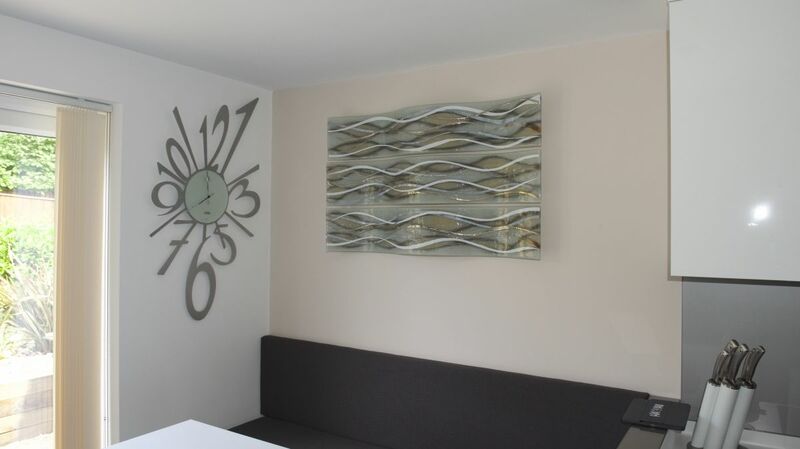 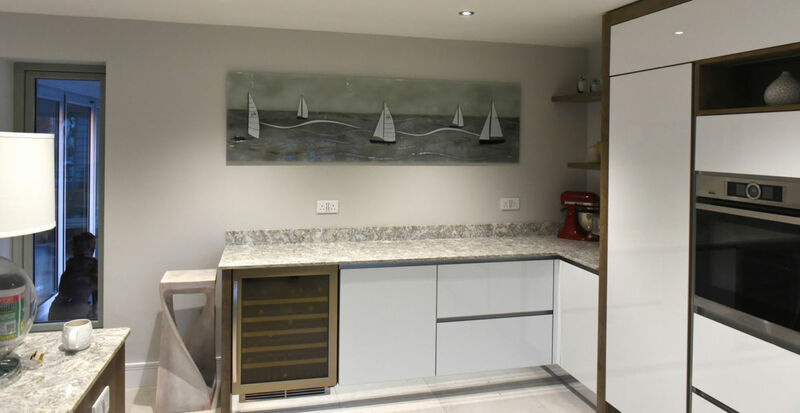 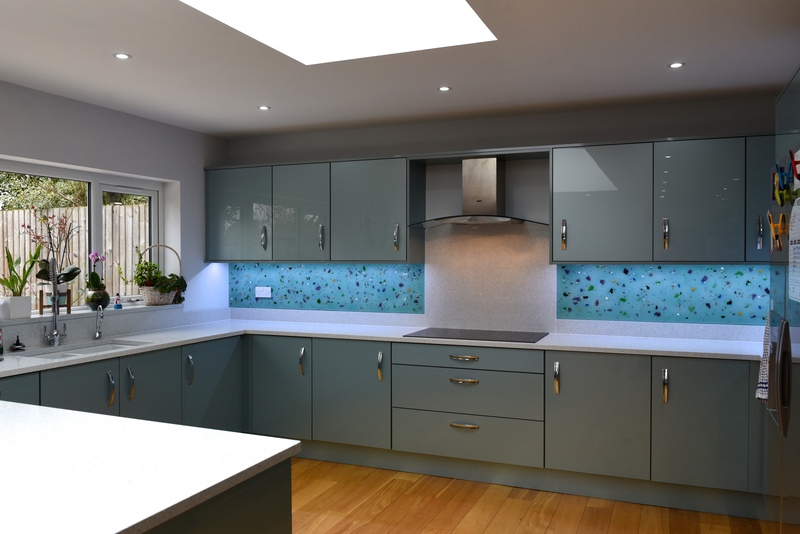 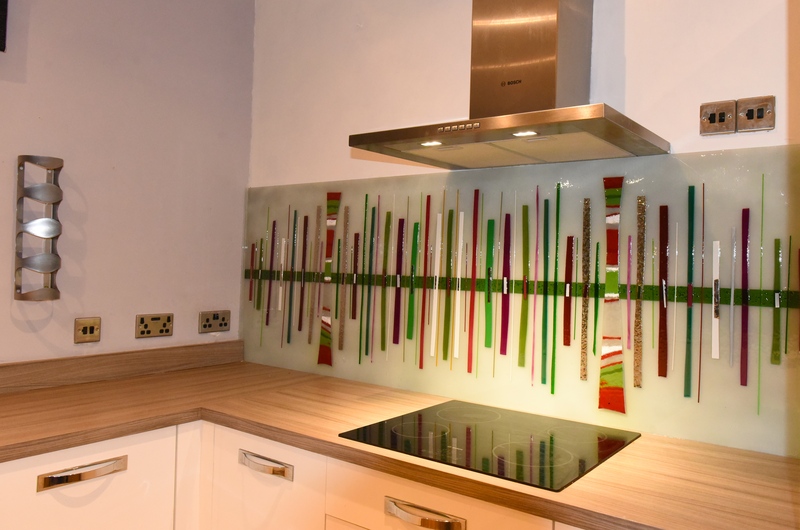 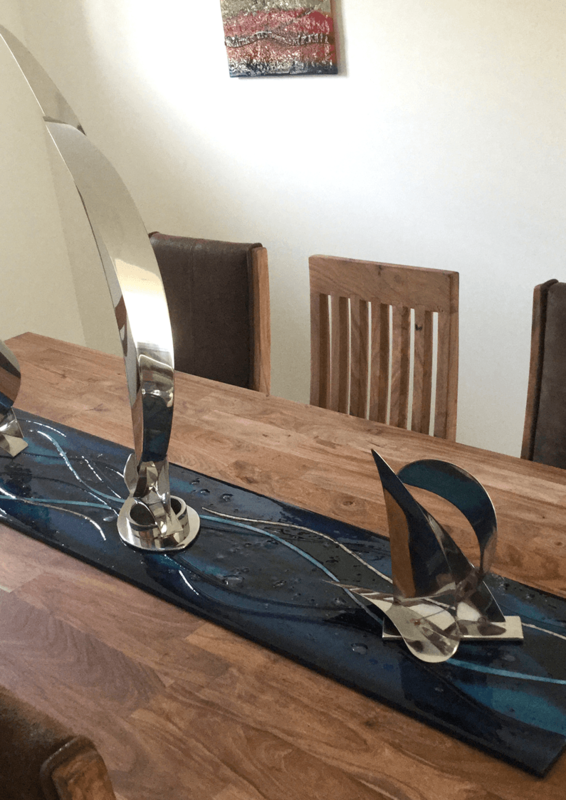 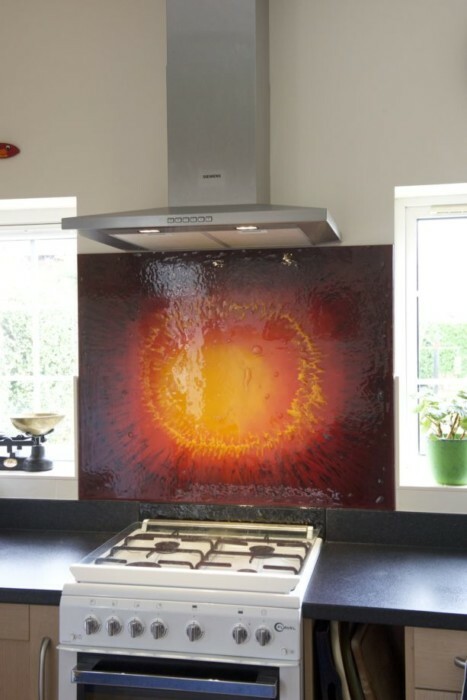 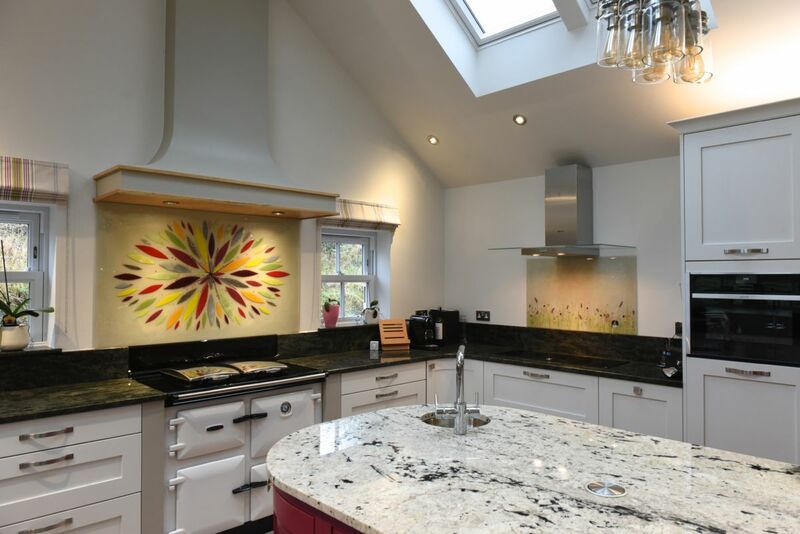 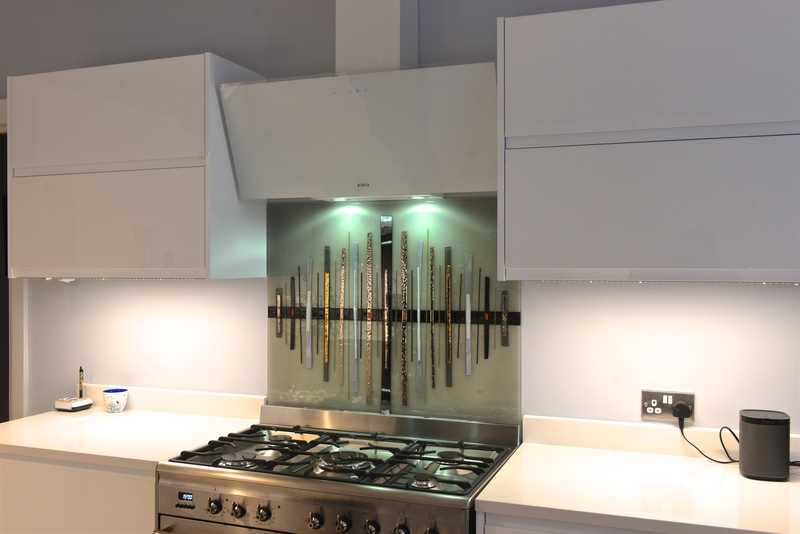 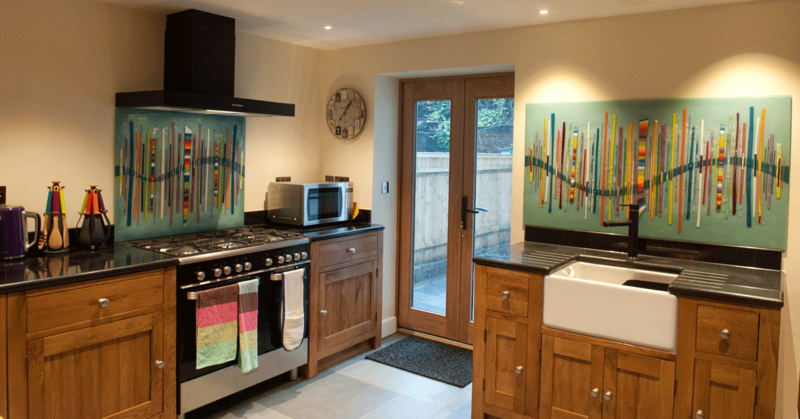 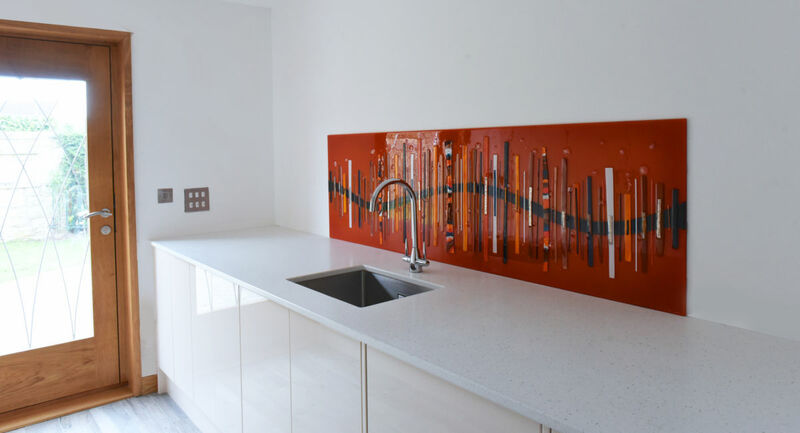 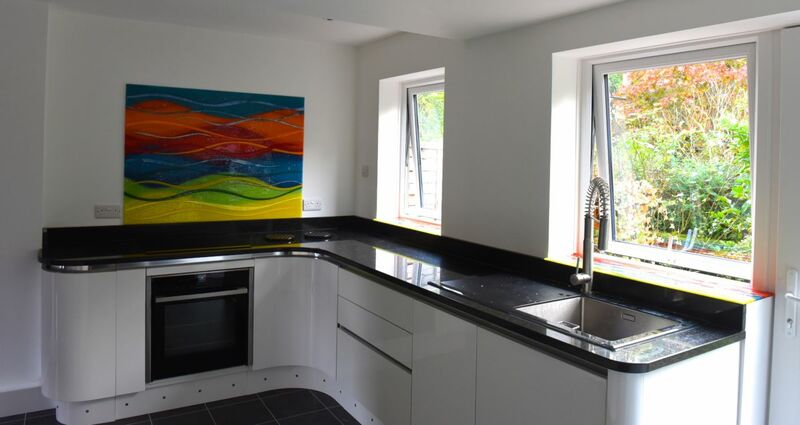 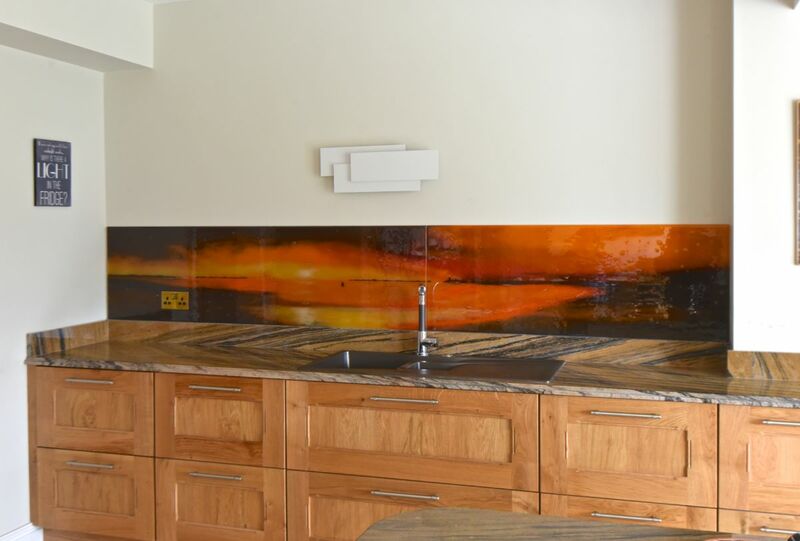 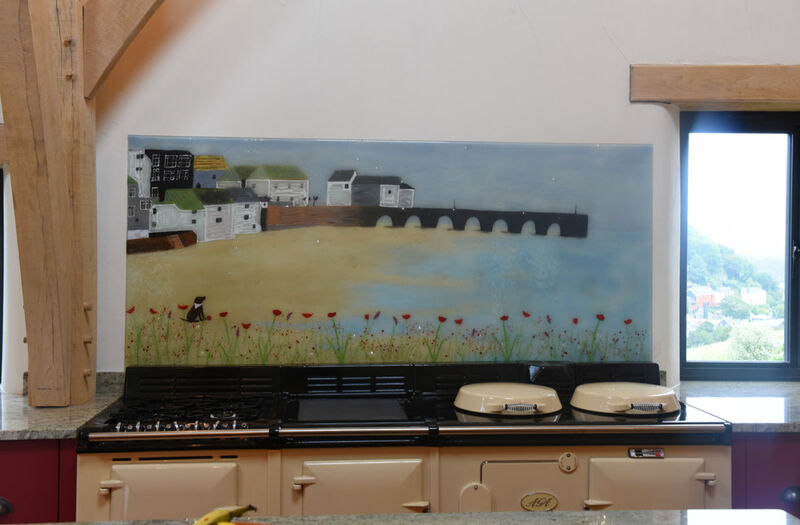 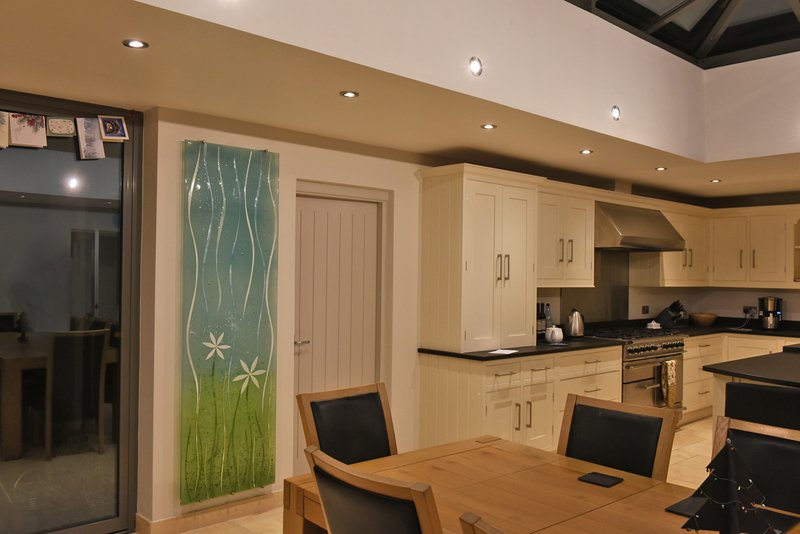 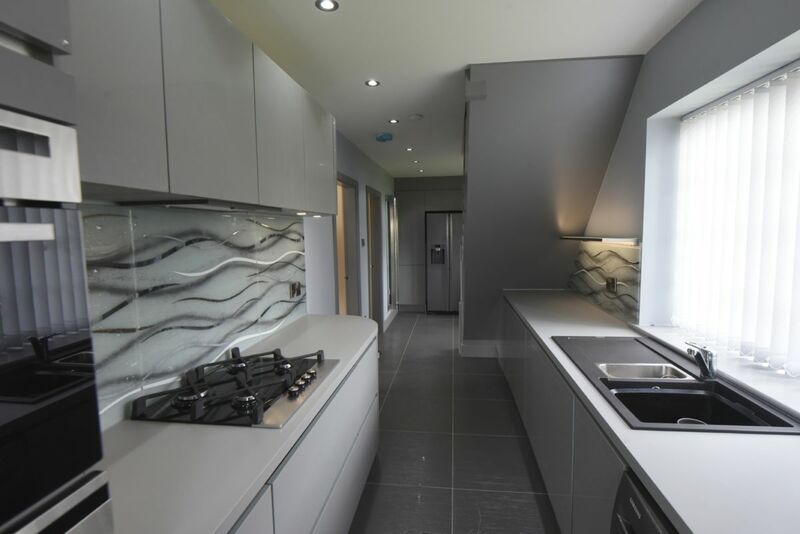 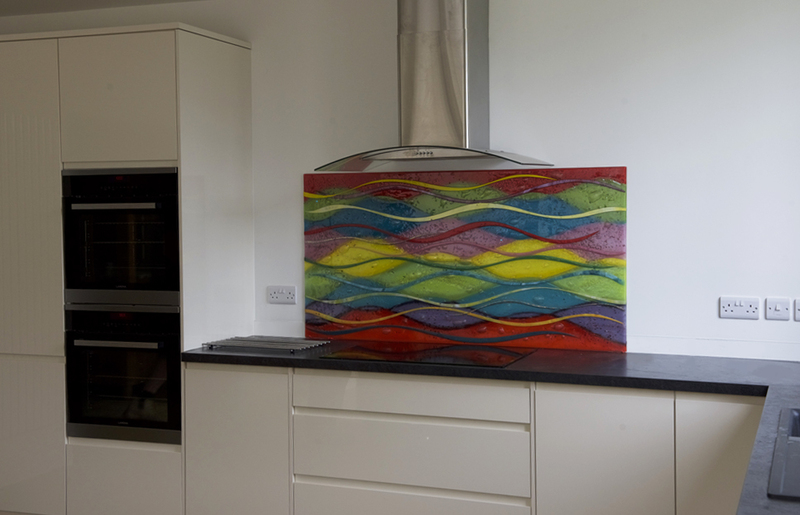 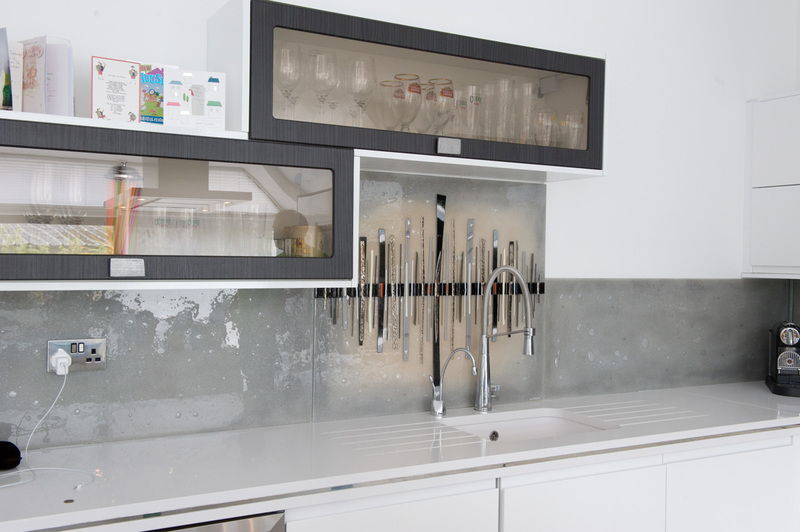 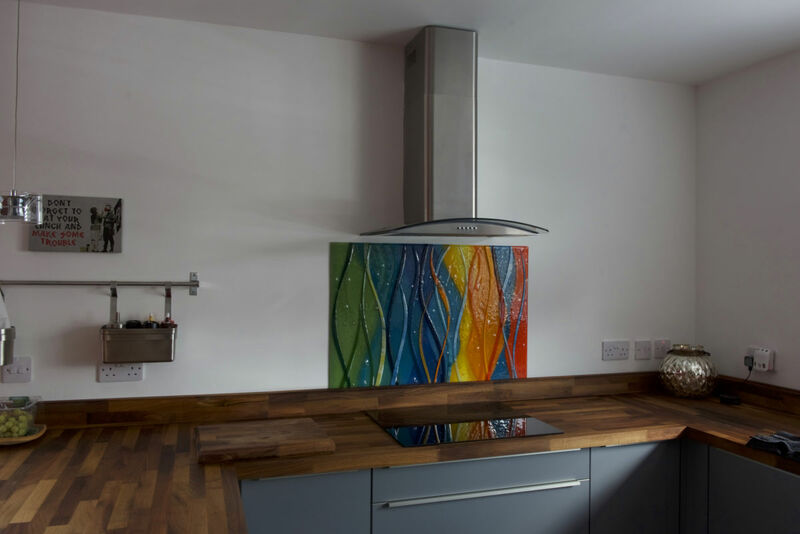 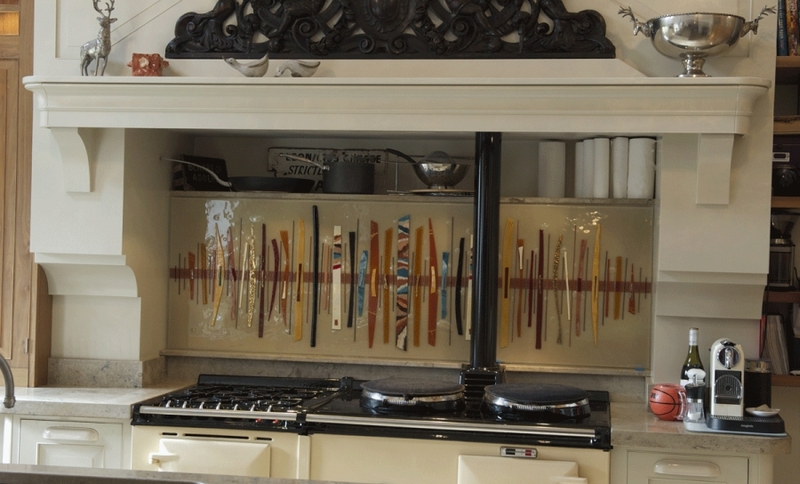 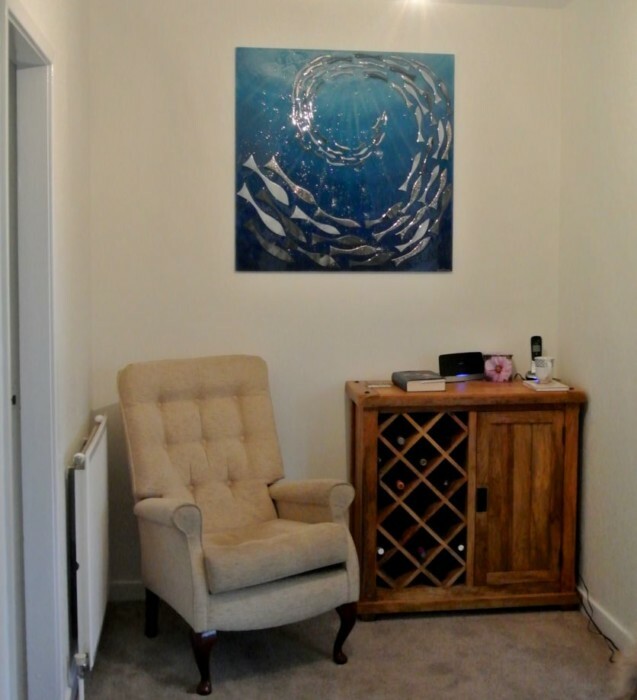 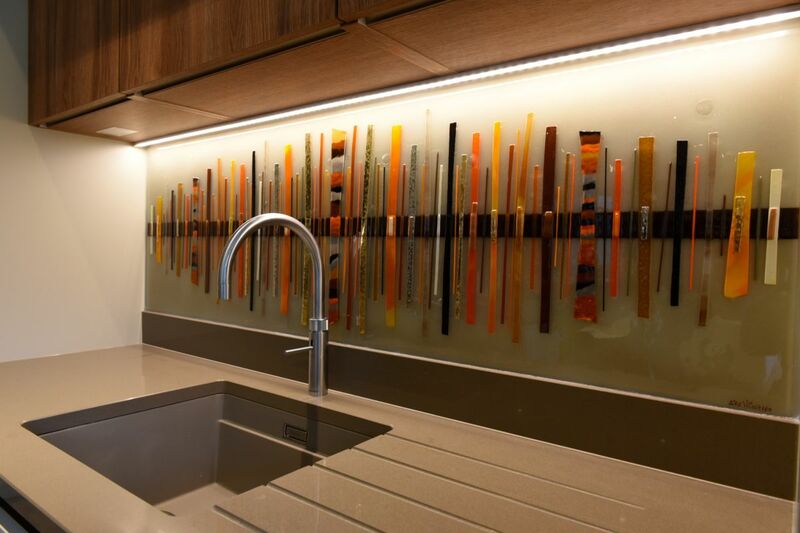 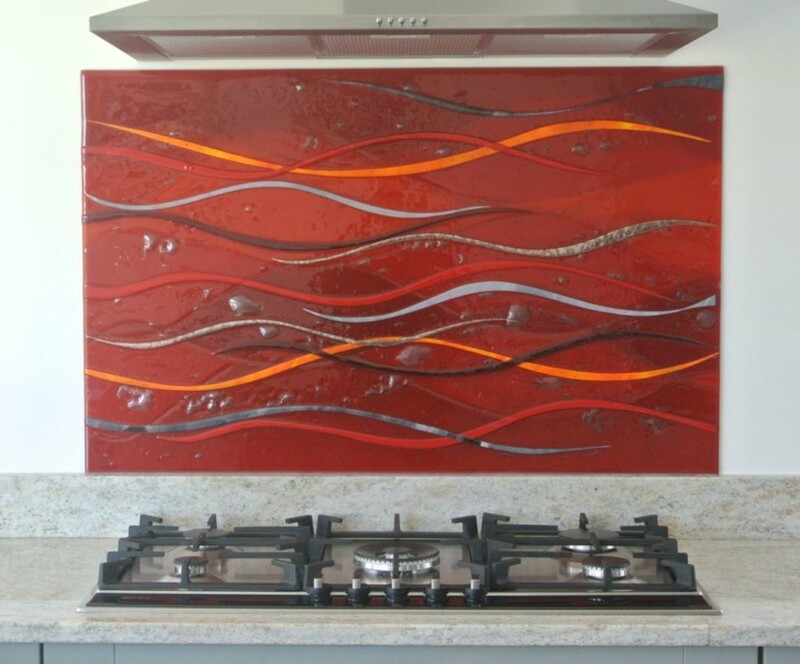 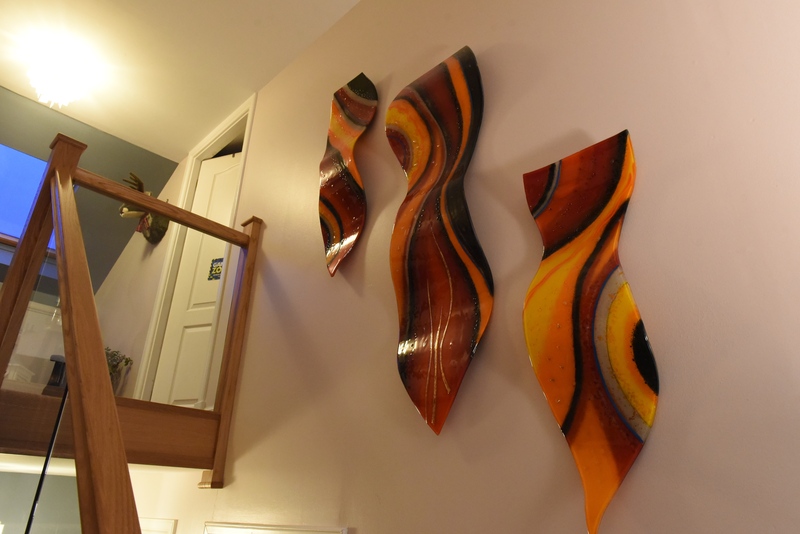 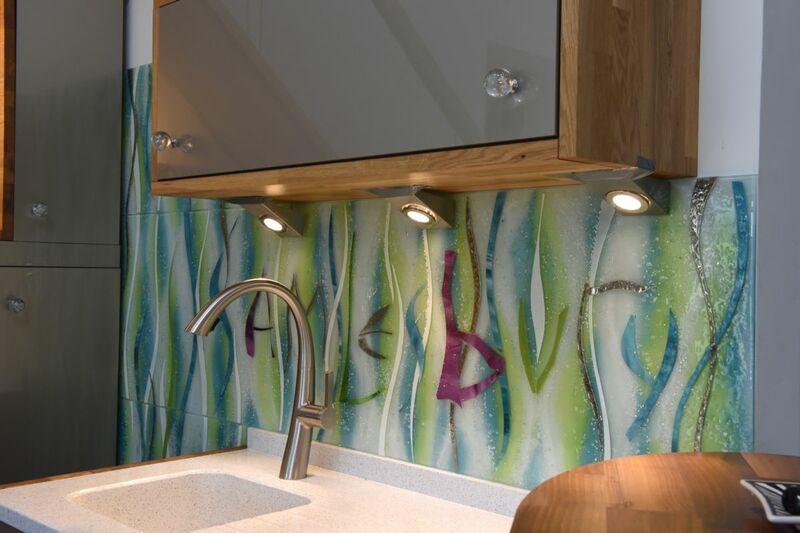 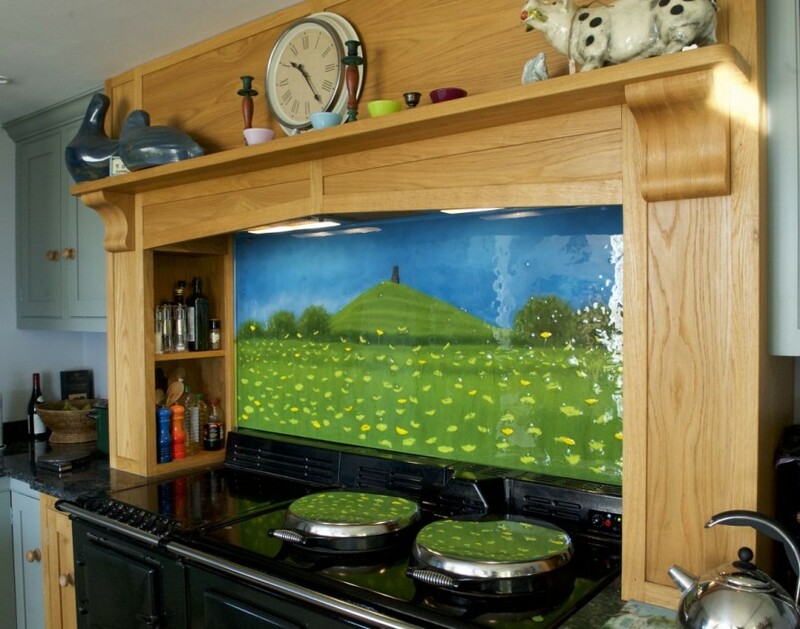 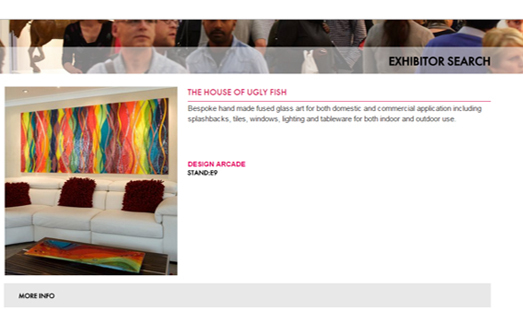 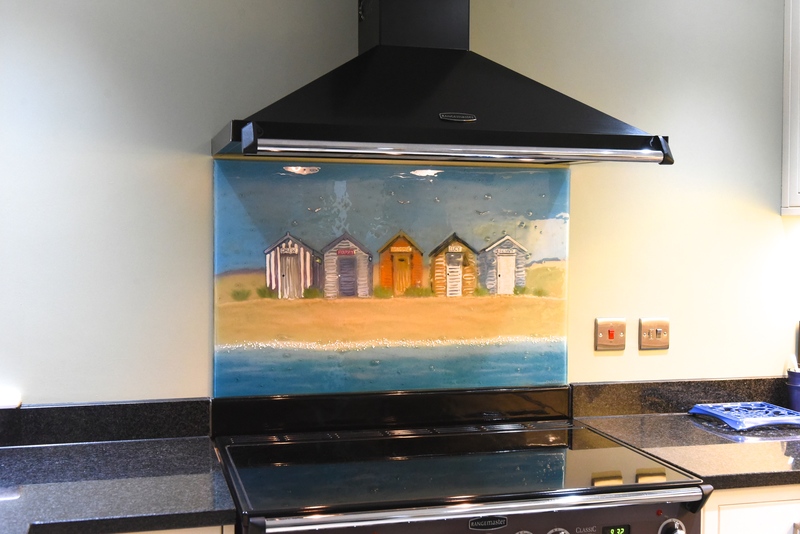 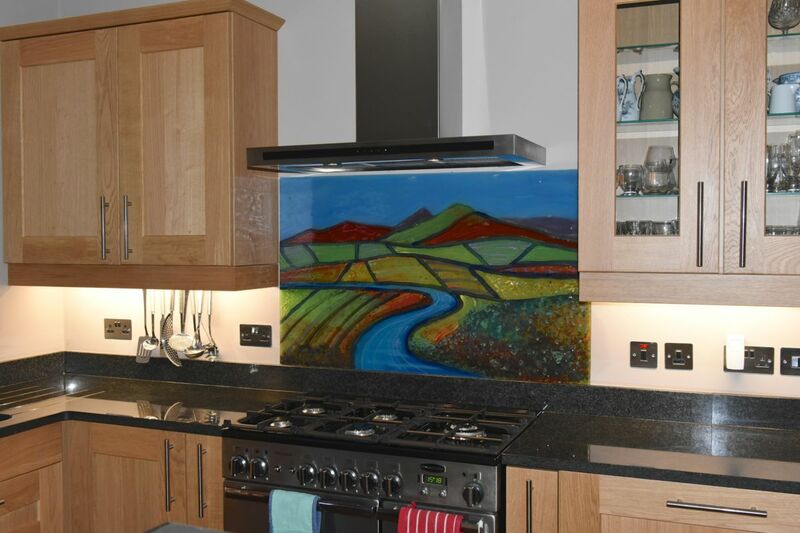 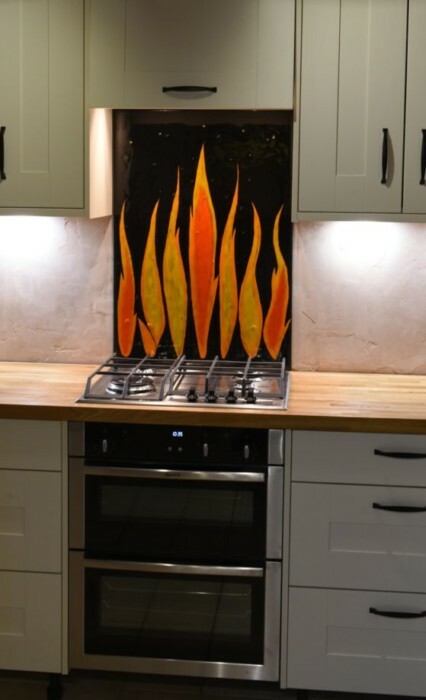 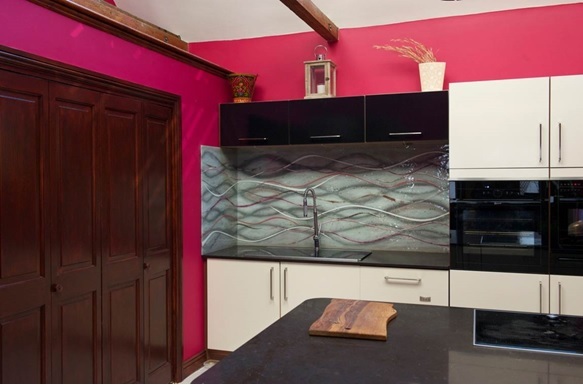 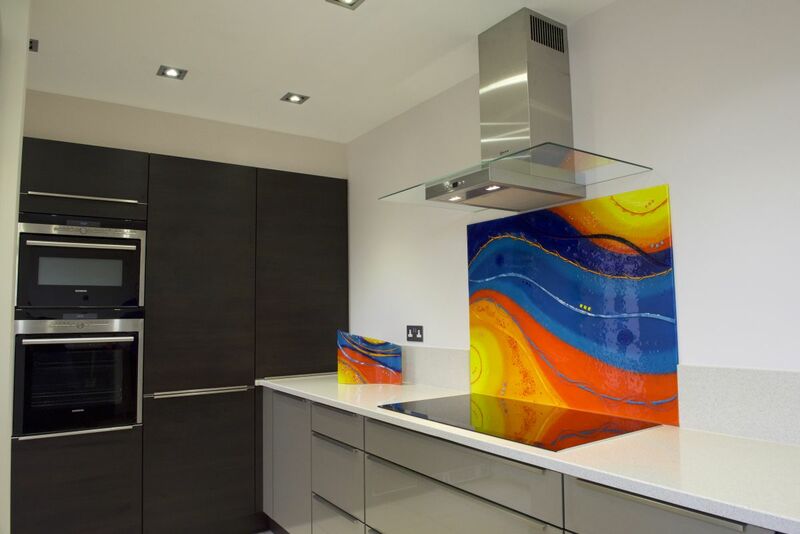 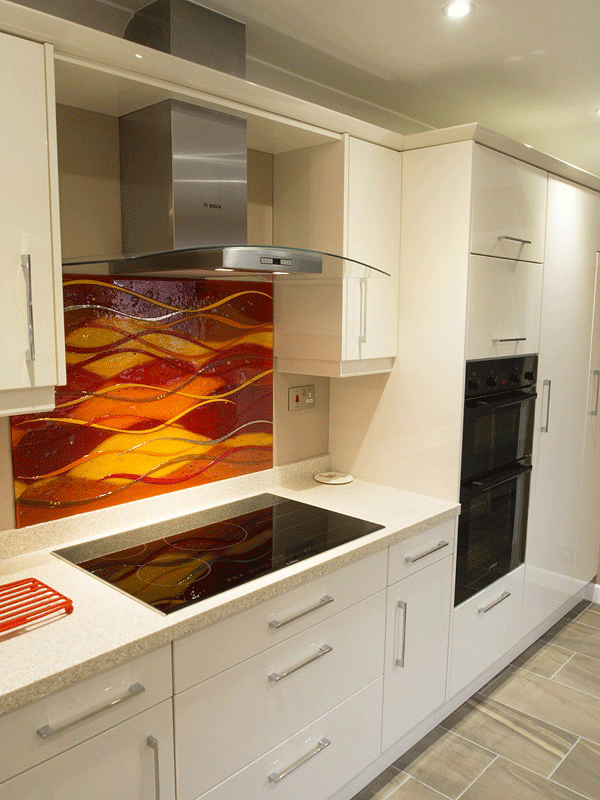 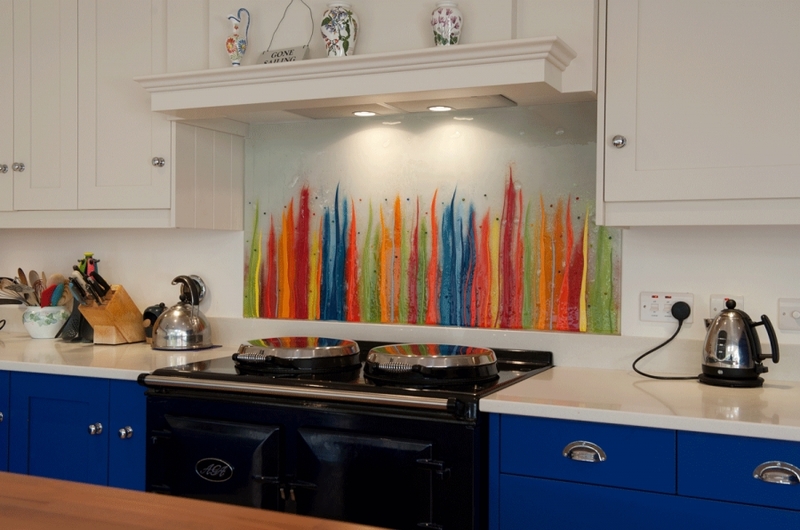 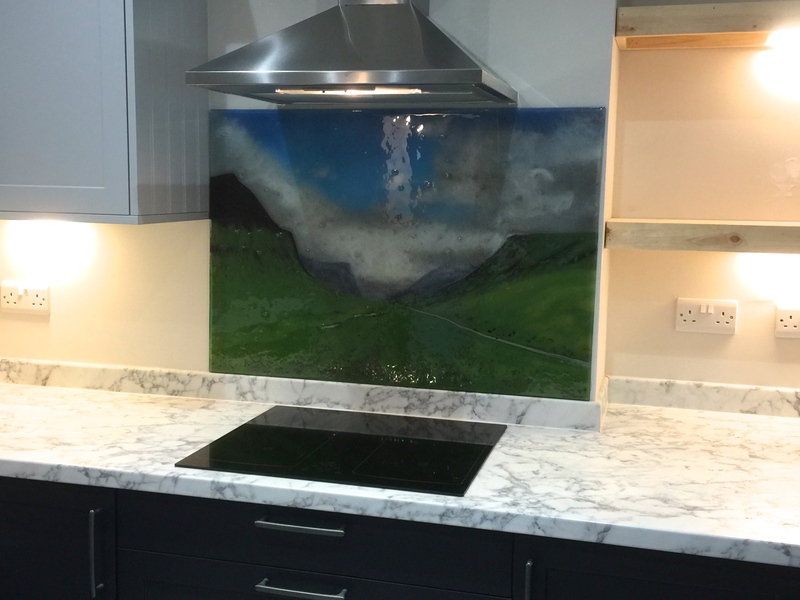 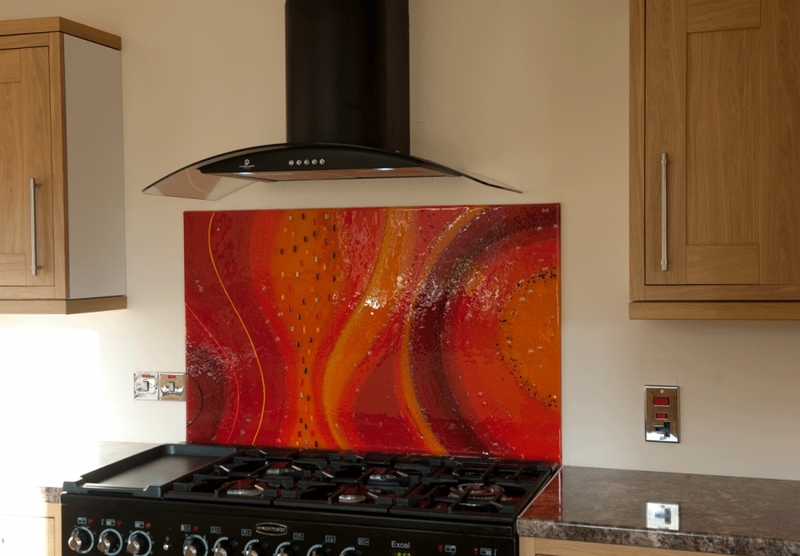 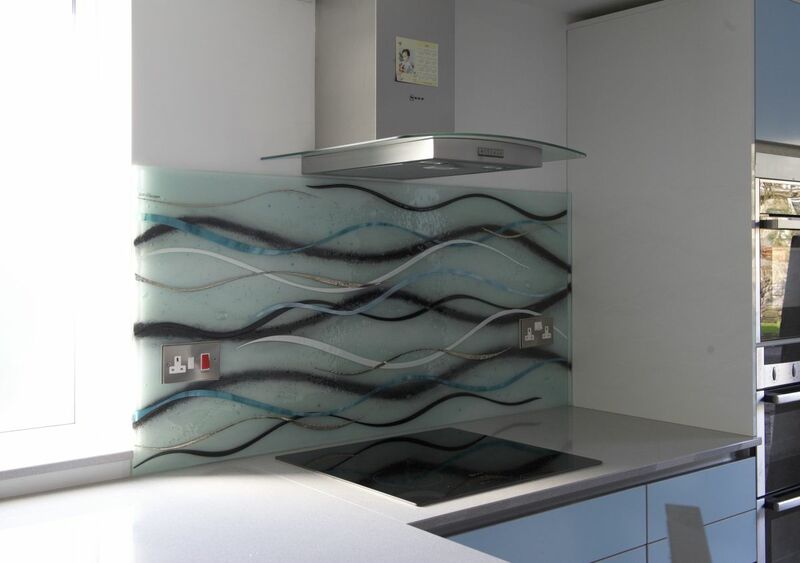 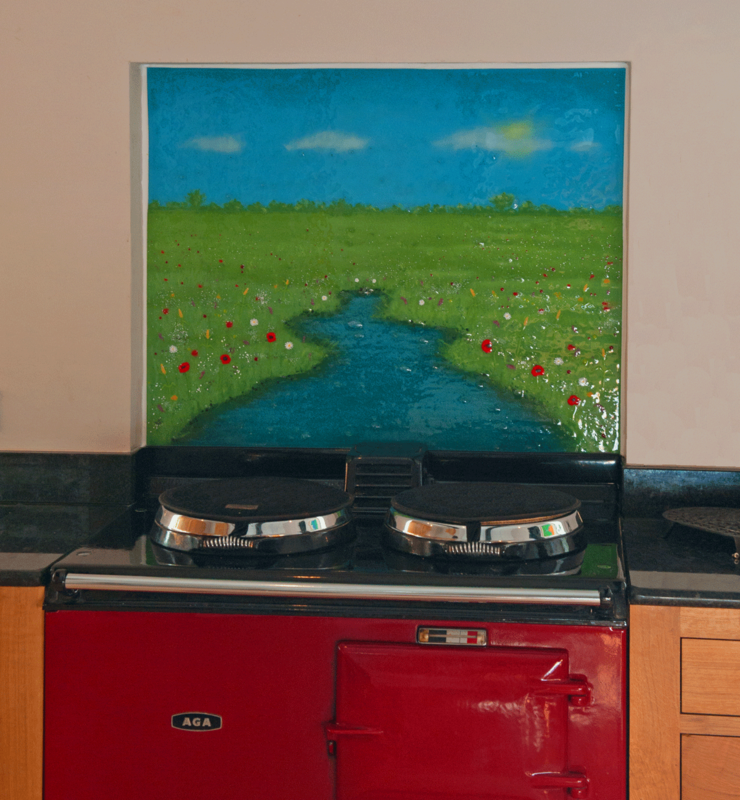 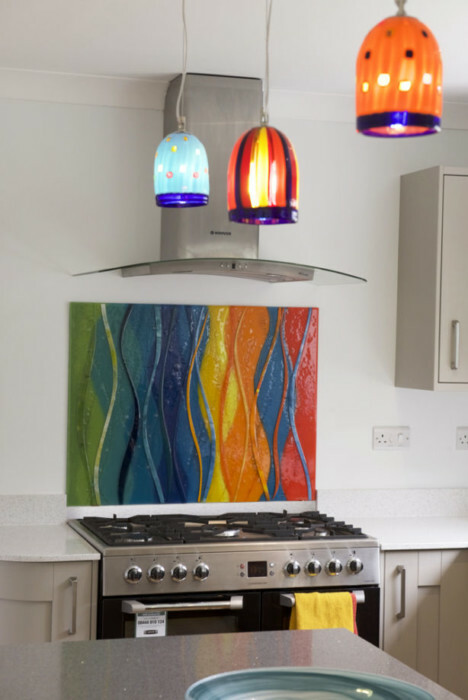 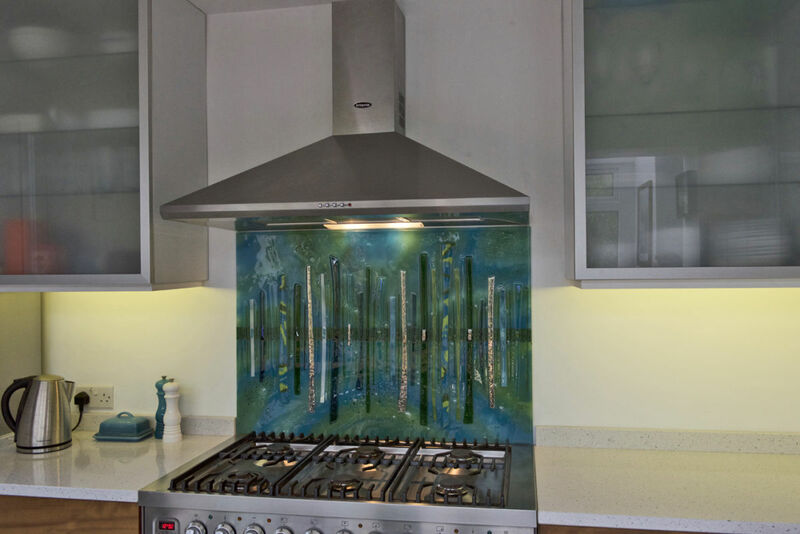 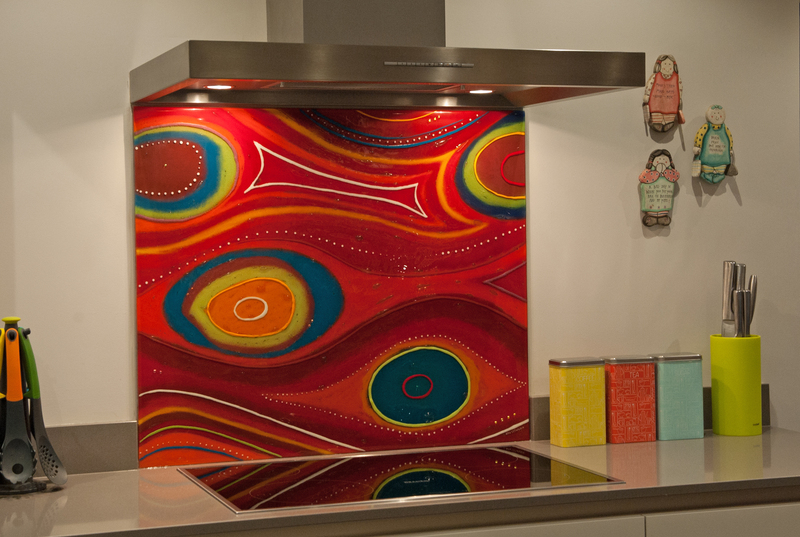 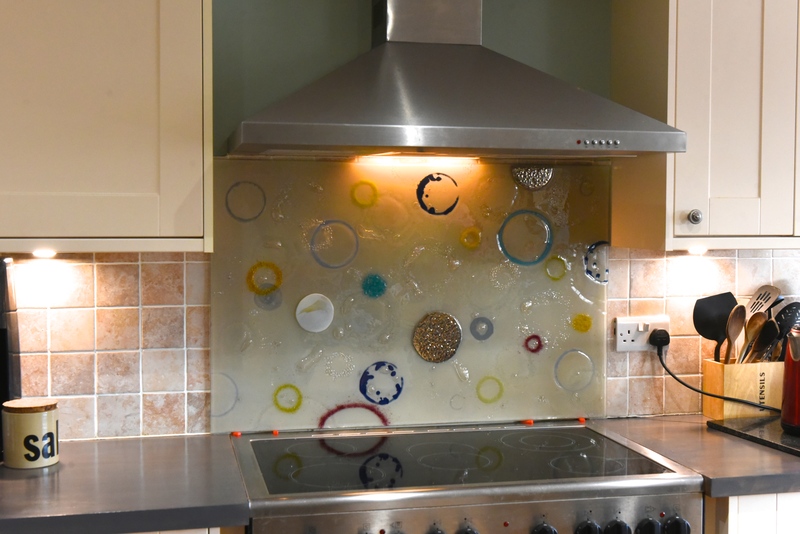 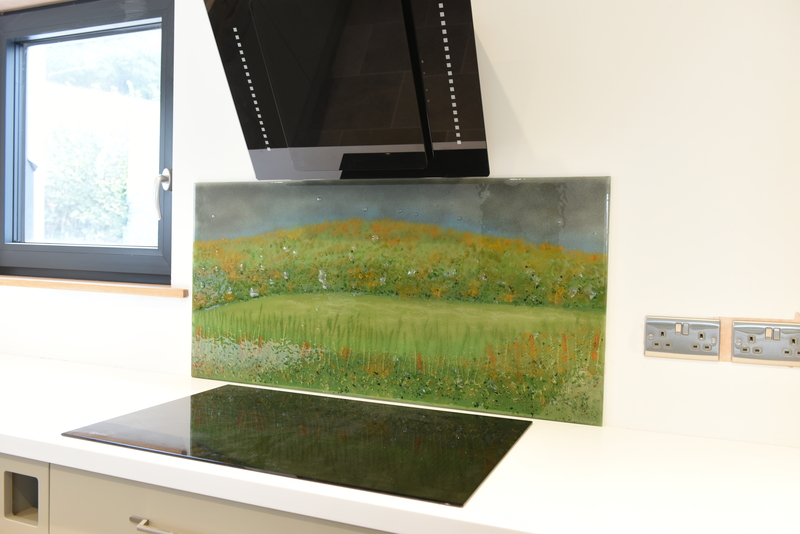 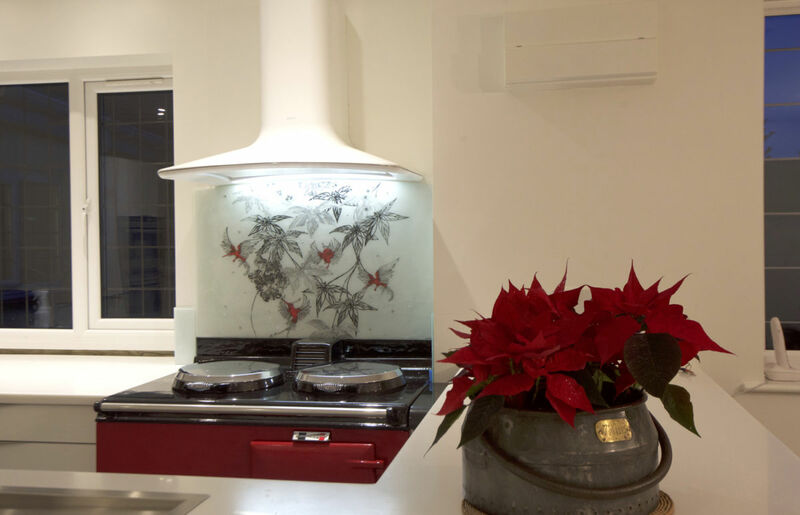 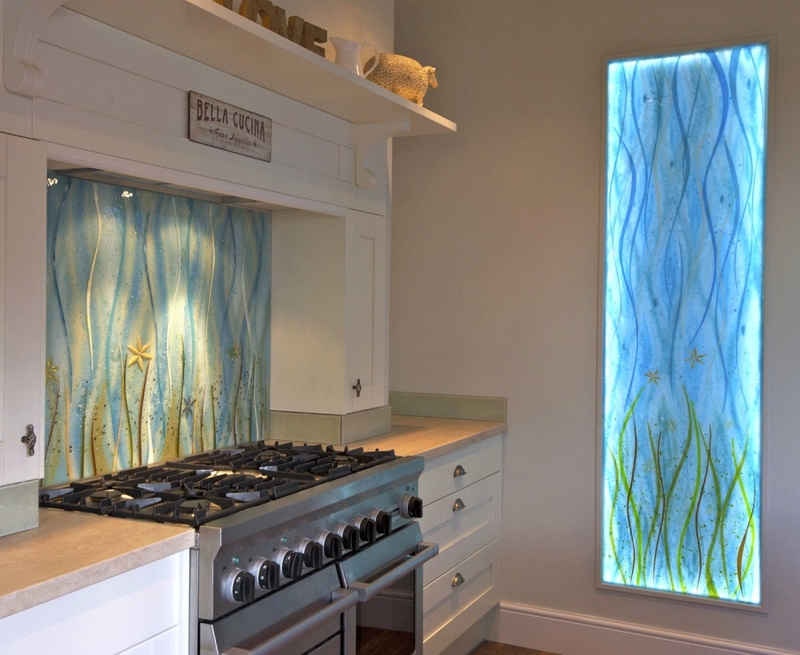 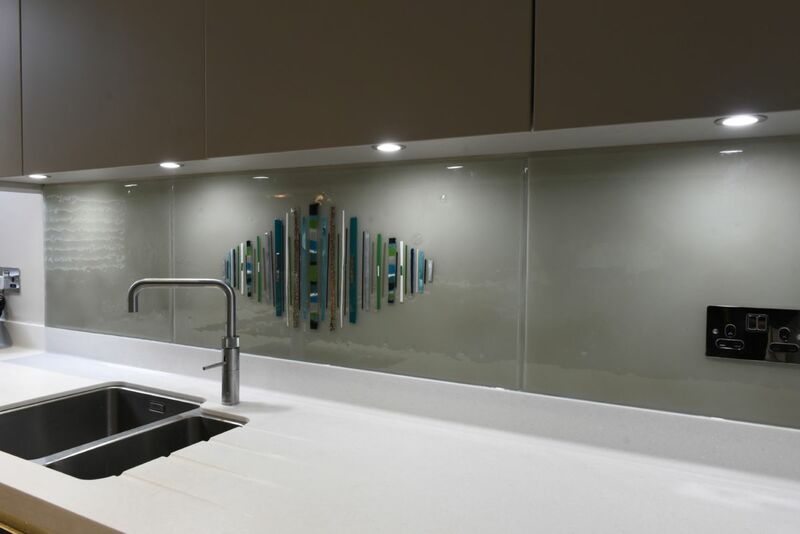 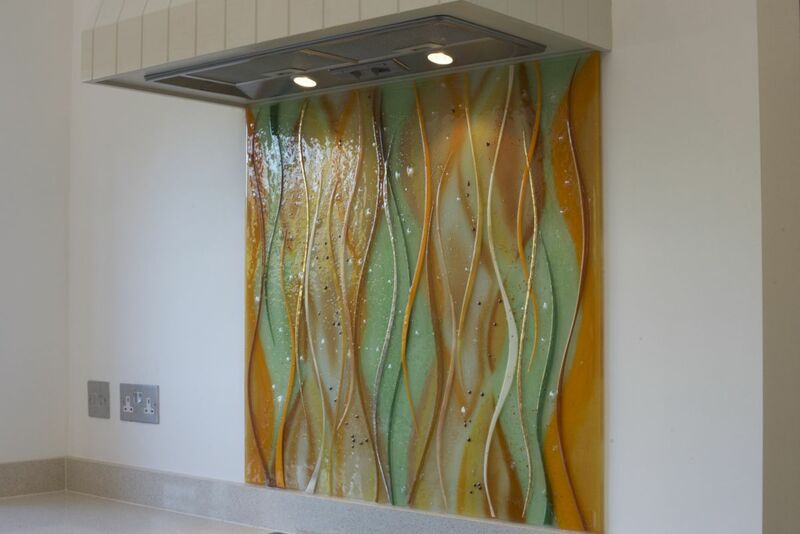 Whether you’re in the market for glass wall art or bespoke splashbacks for the home, The House of Ugly Fish is the number one place to be for those in the know. 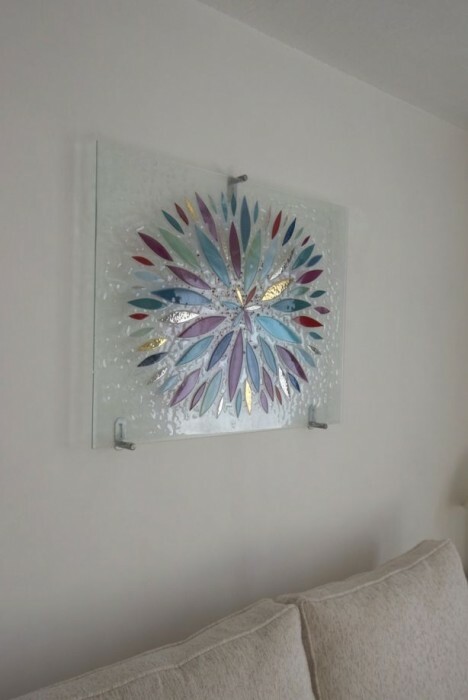 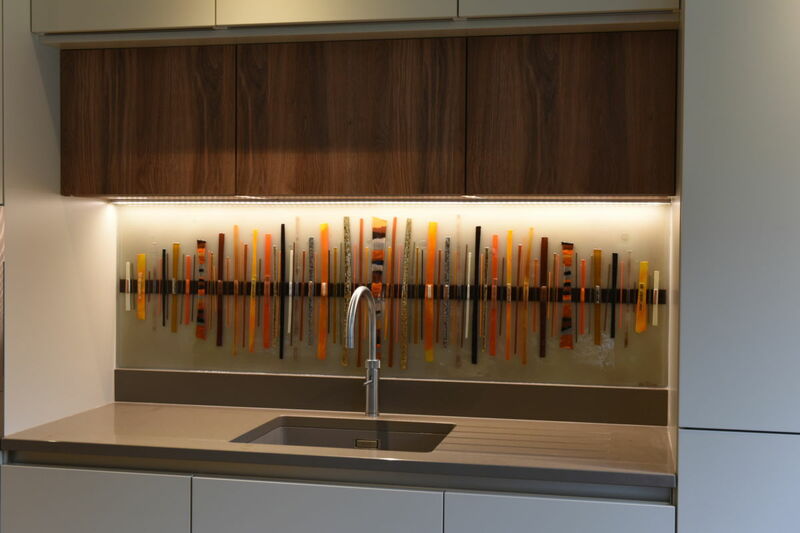 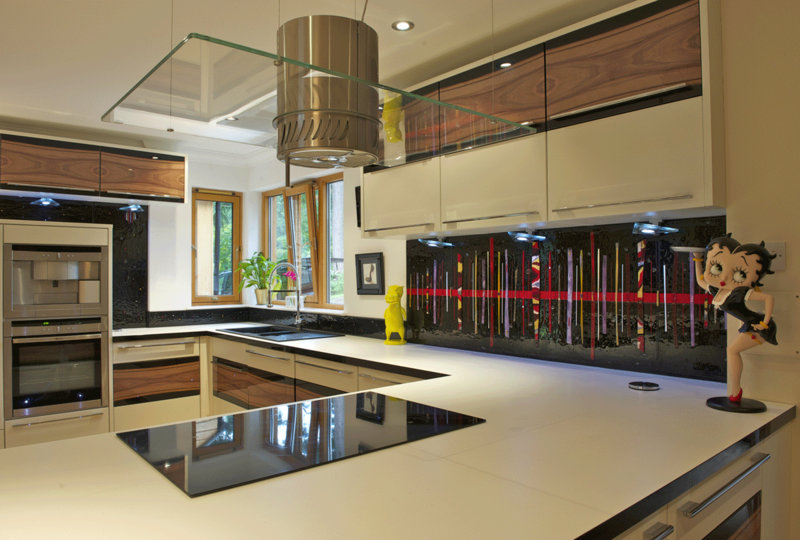 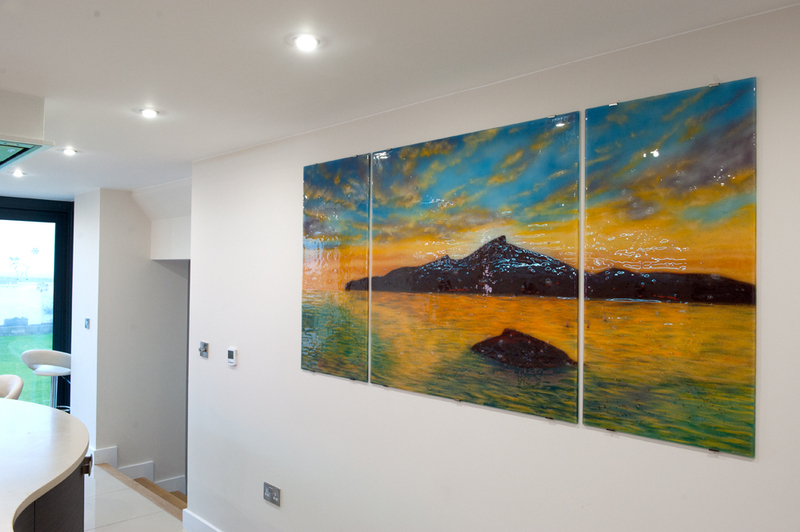 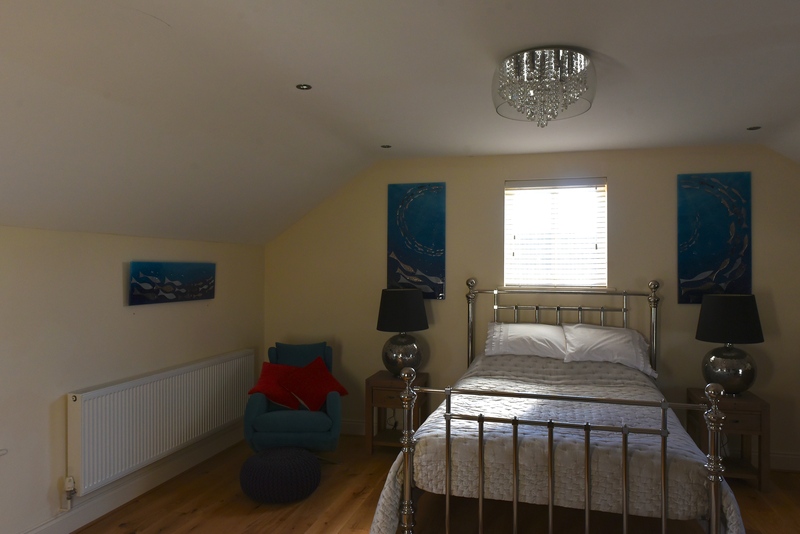 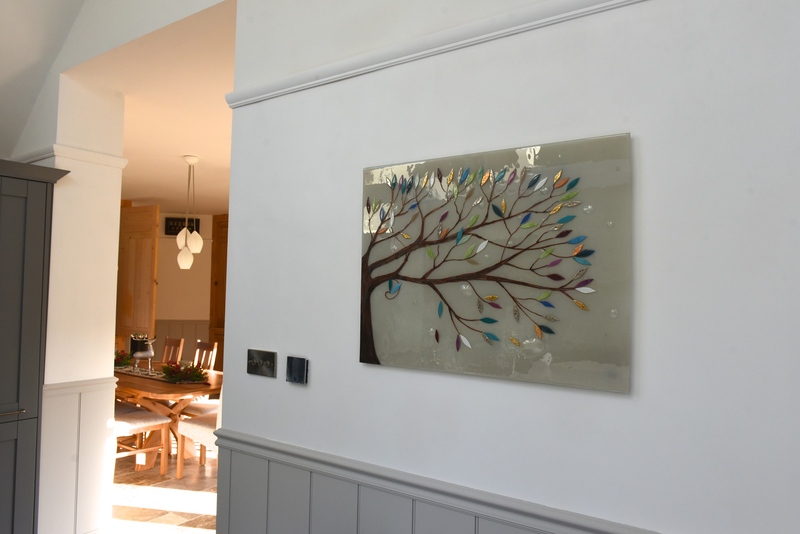 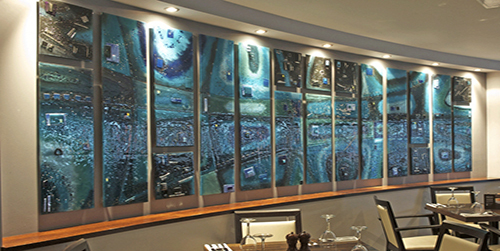 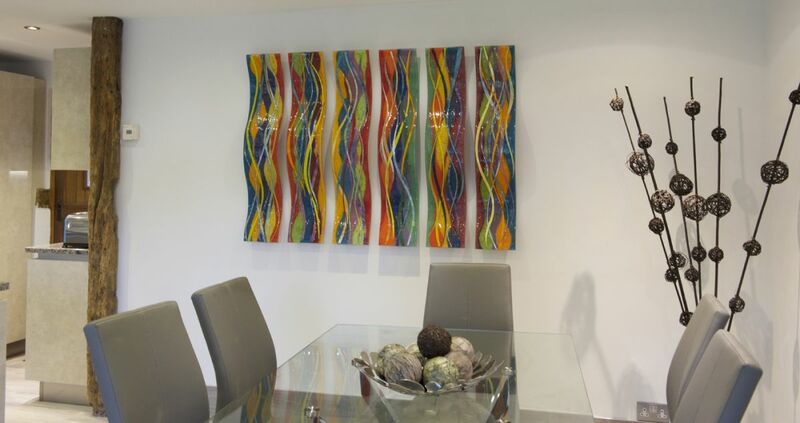 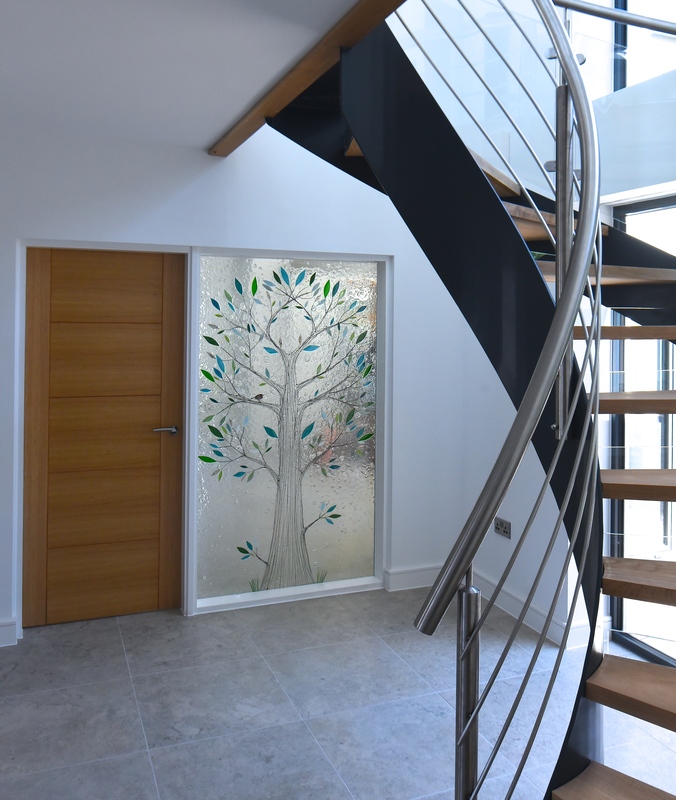 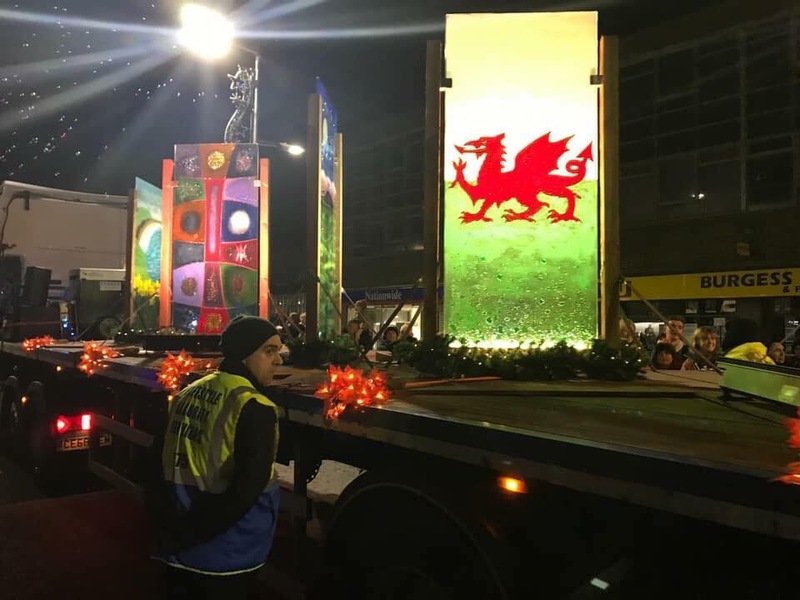 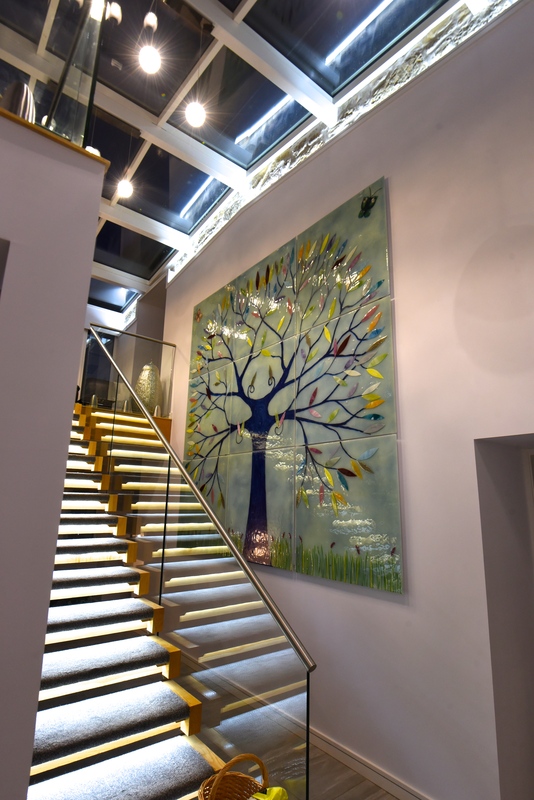 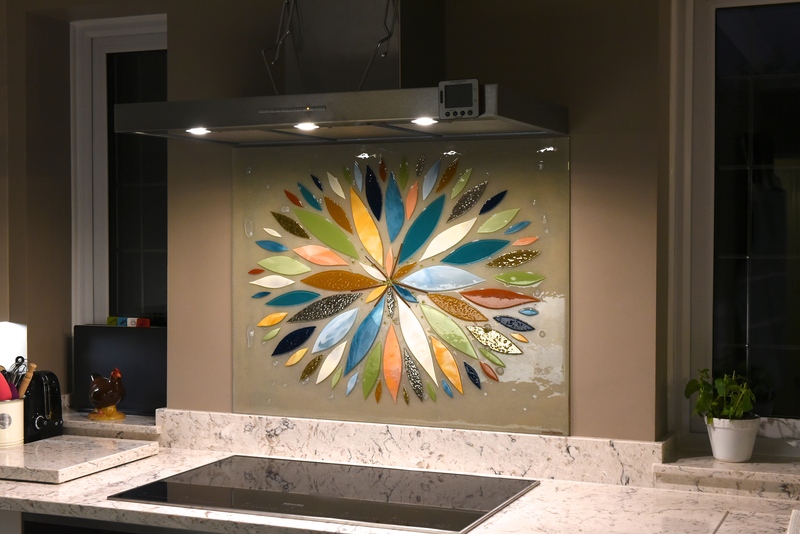 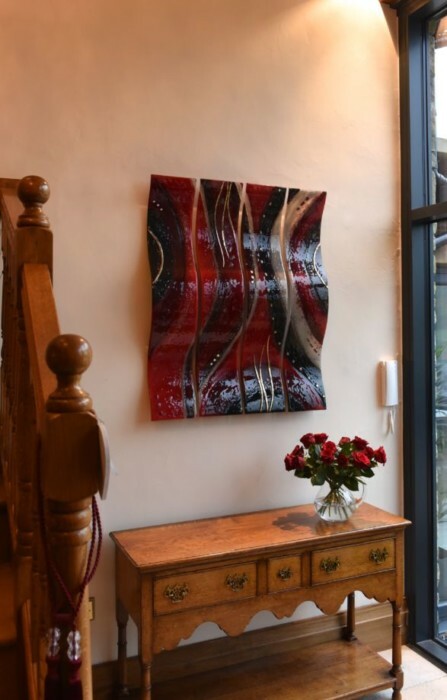 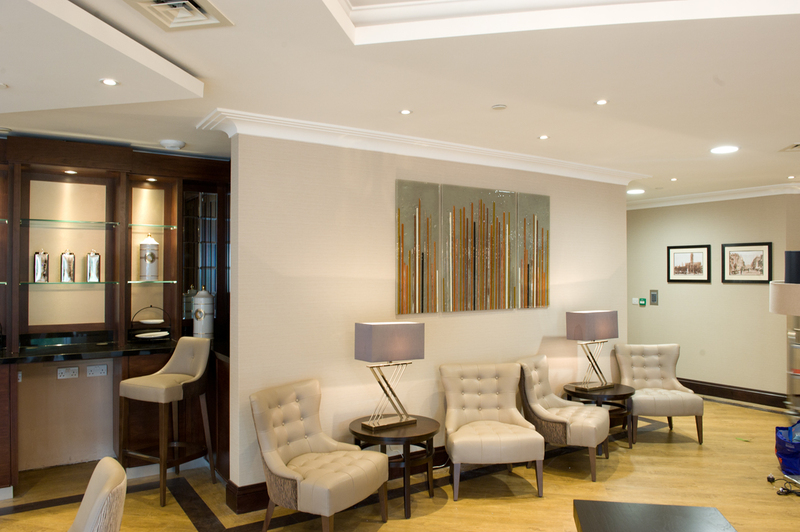 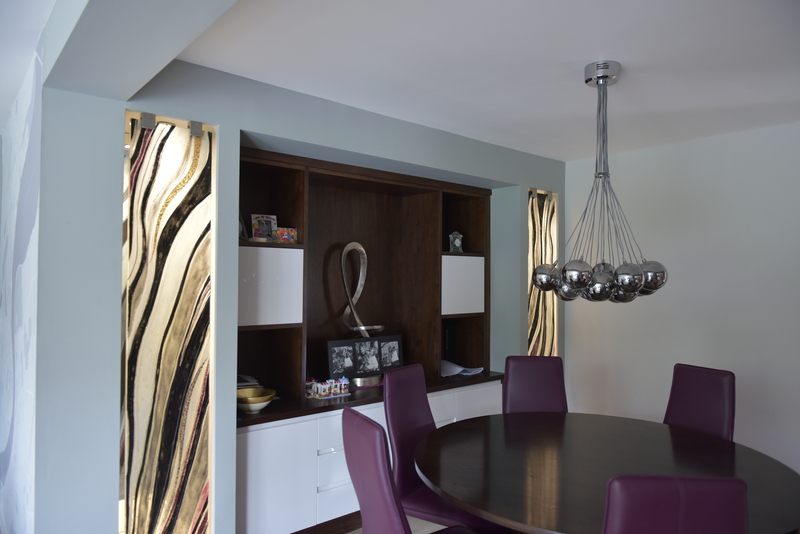 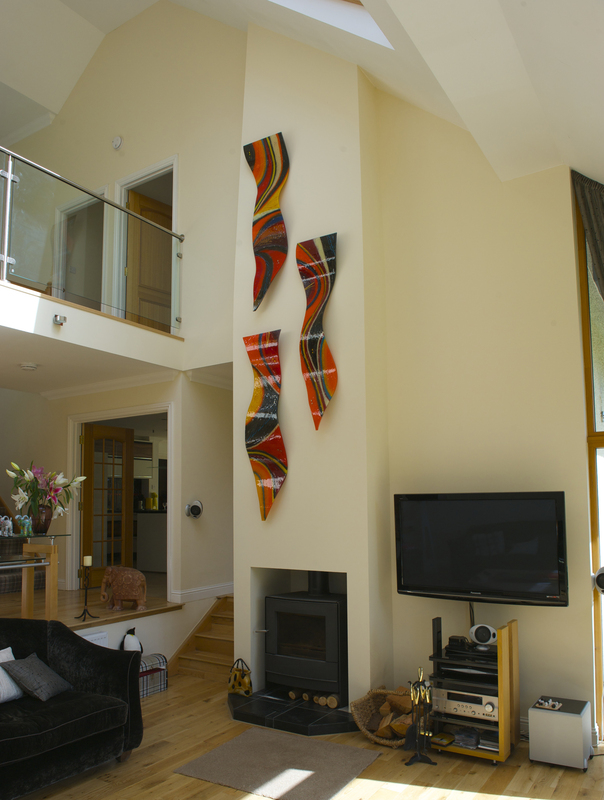 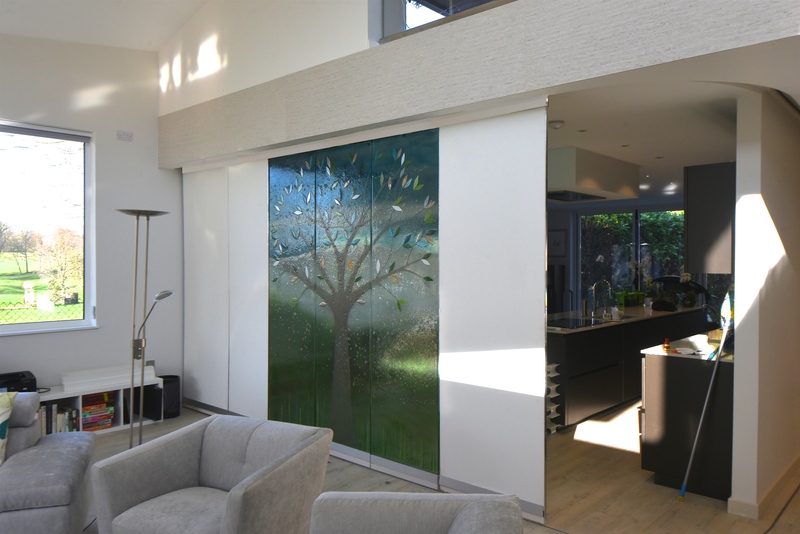 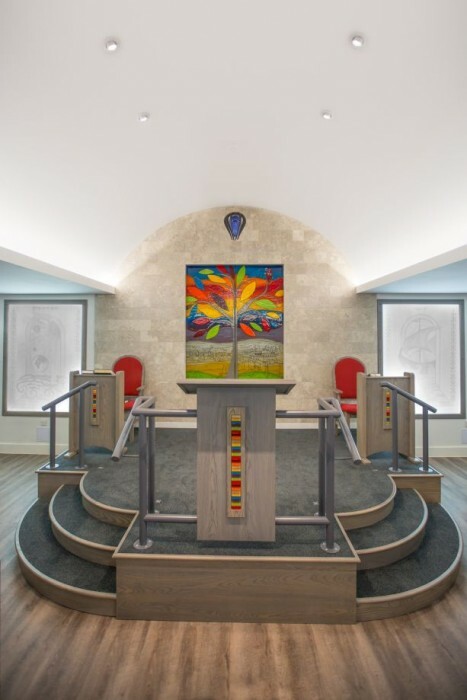 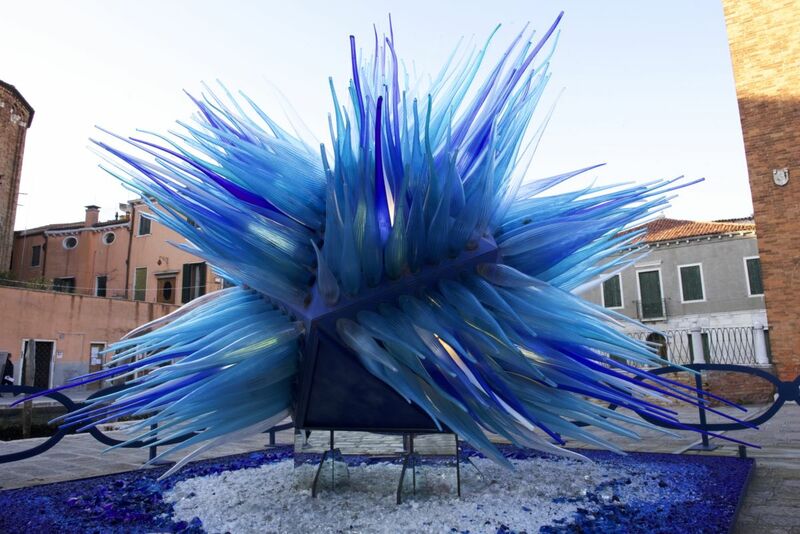 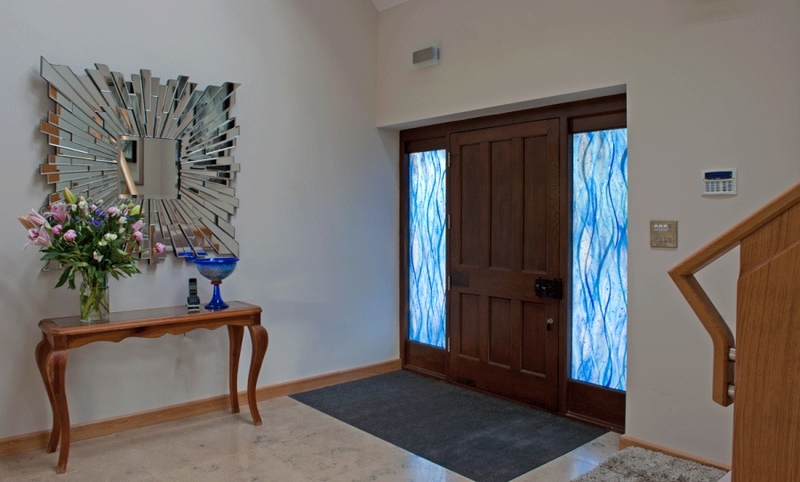 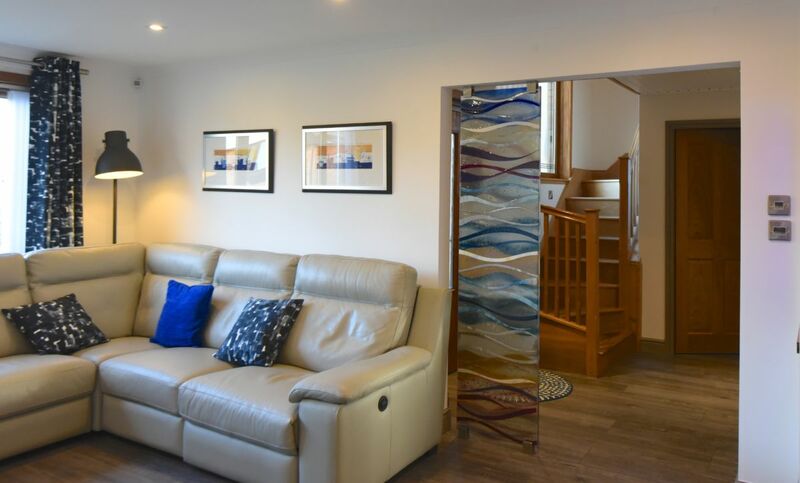 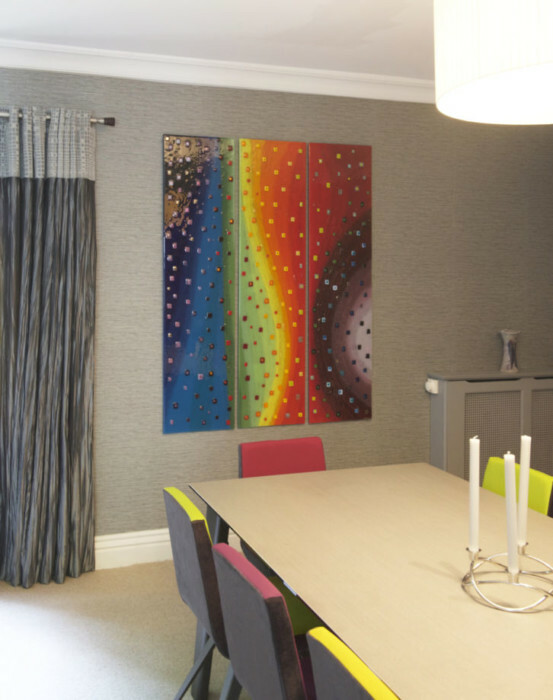 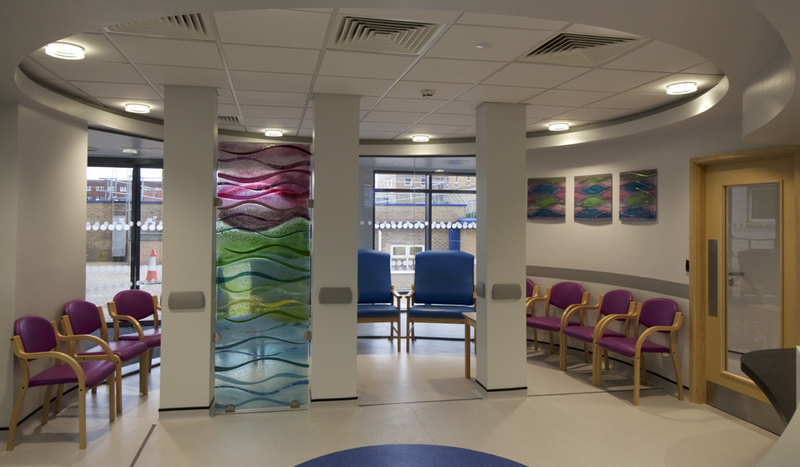 We’ve been a leading name in interior decoration for a long time now, bringing the unique flair of fully bespoke, handmade glass art to locations all across the UK – and sometimes further! 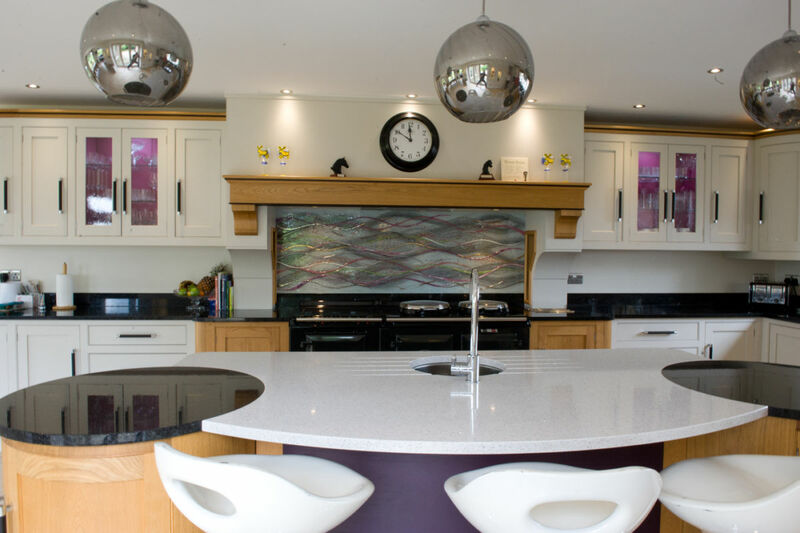 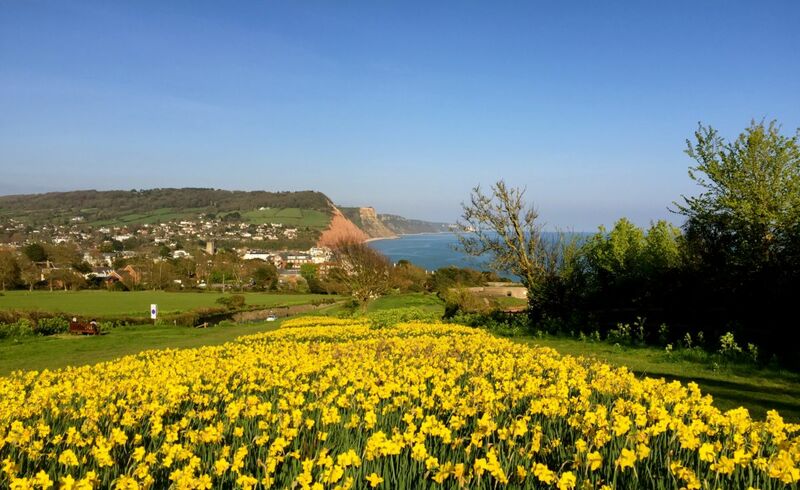 Make sure you don’t wait to pick up the phone or drop us an email. 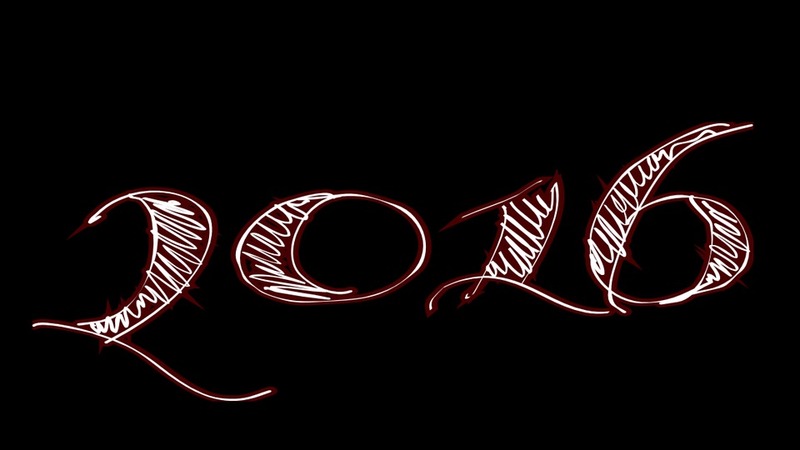 There’s never been a better time to do it!